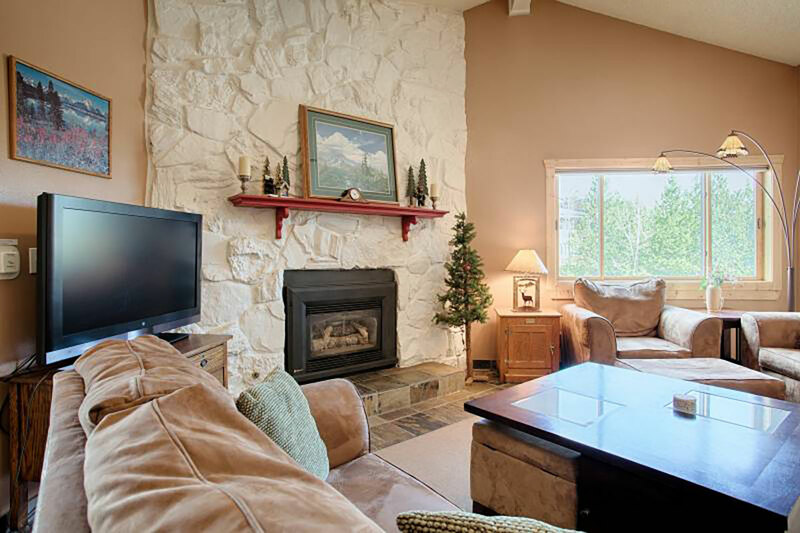 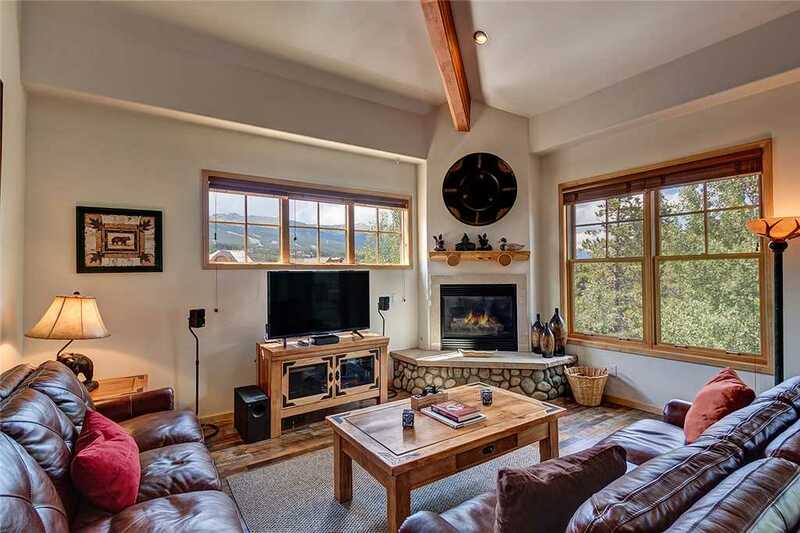 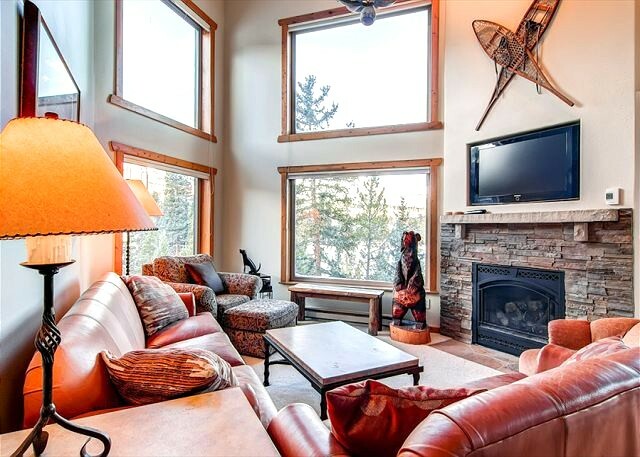 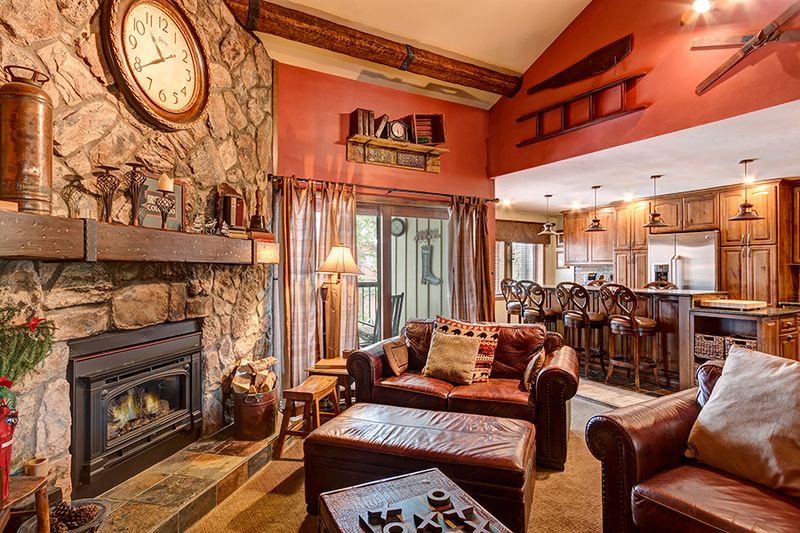 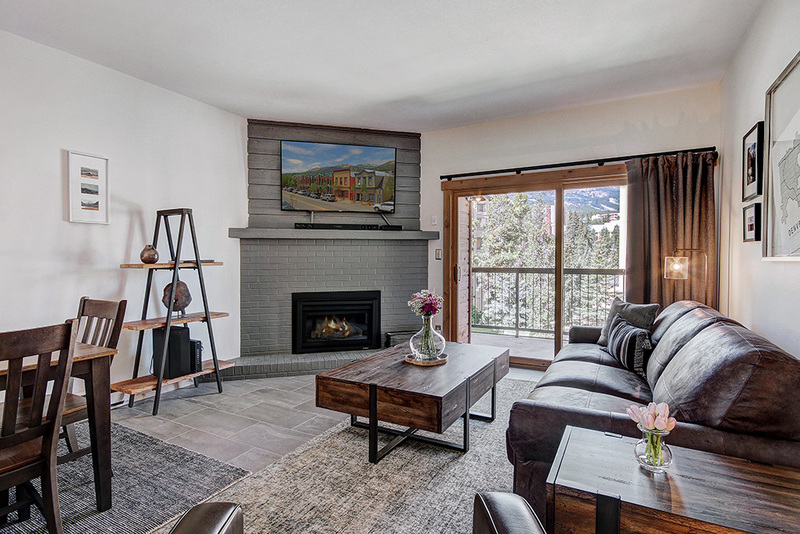 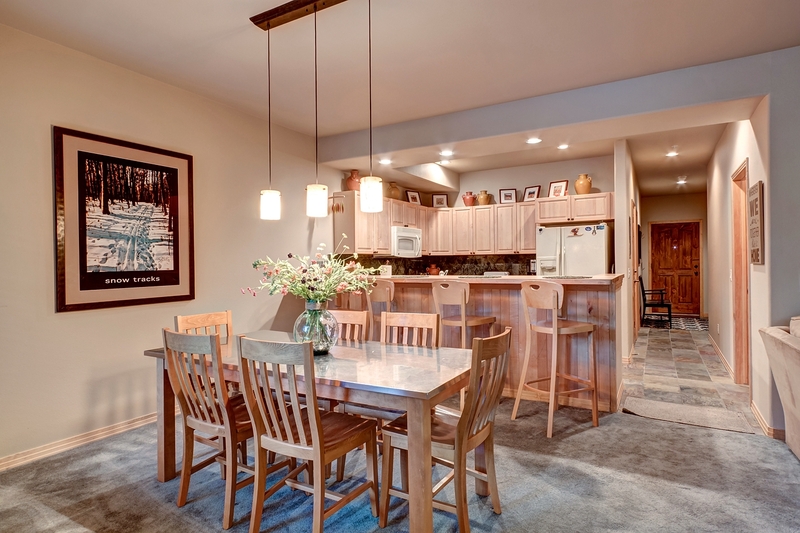 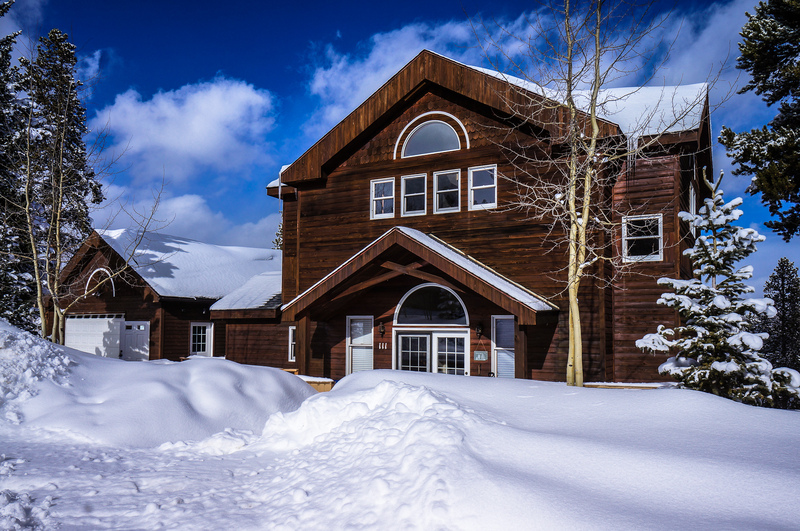 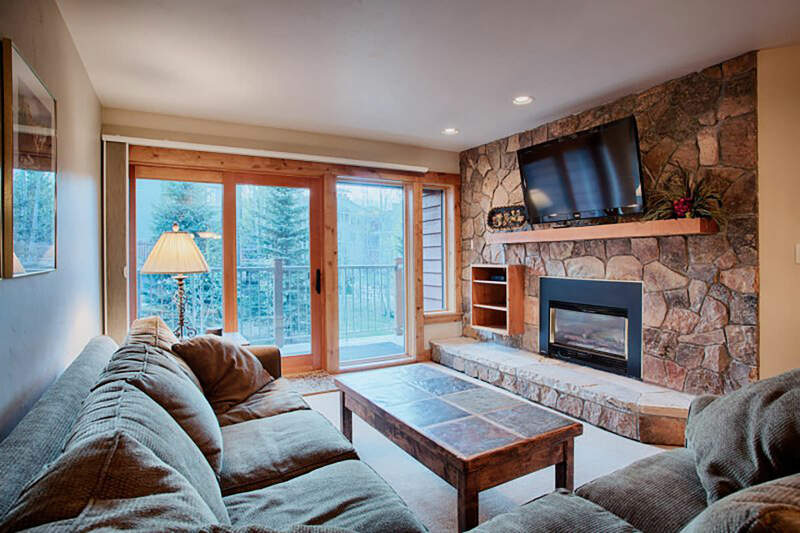 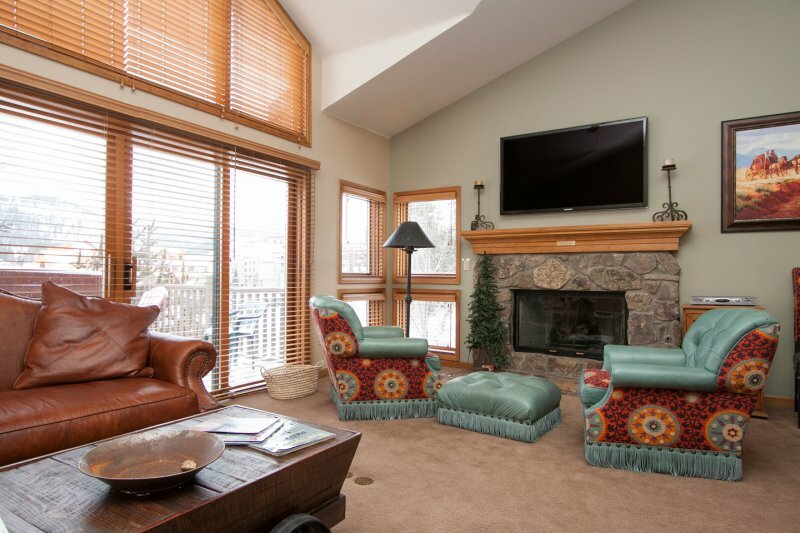 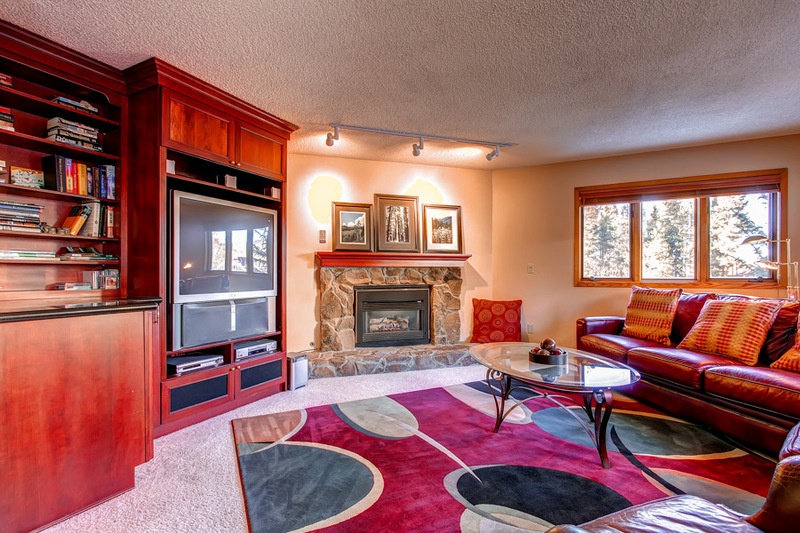 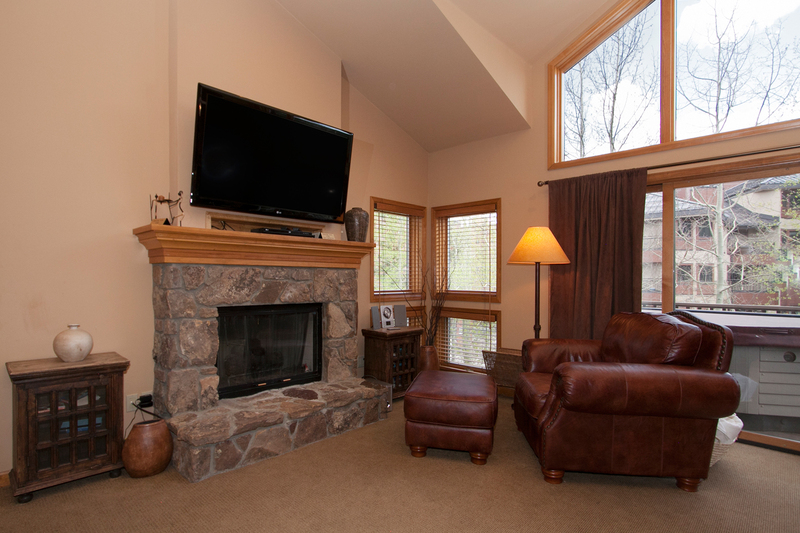 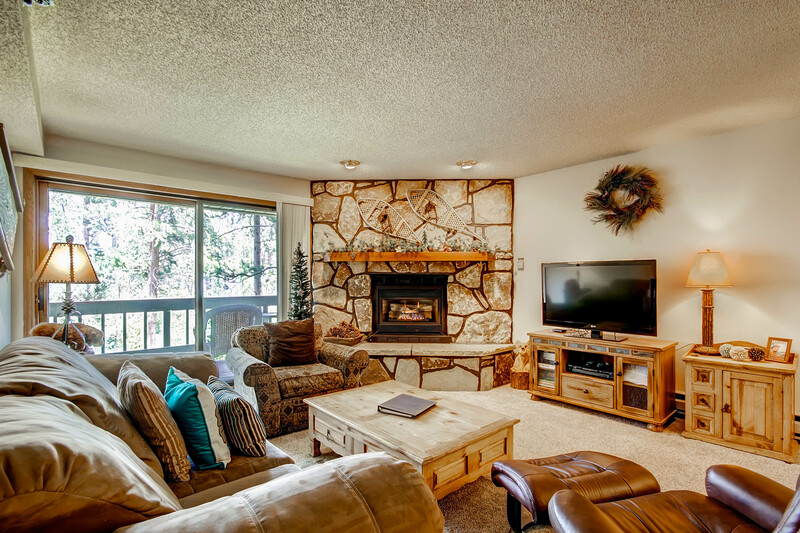 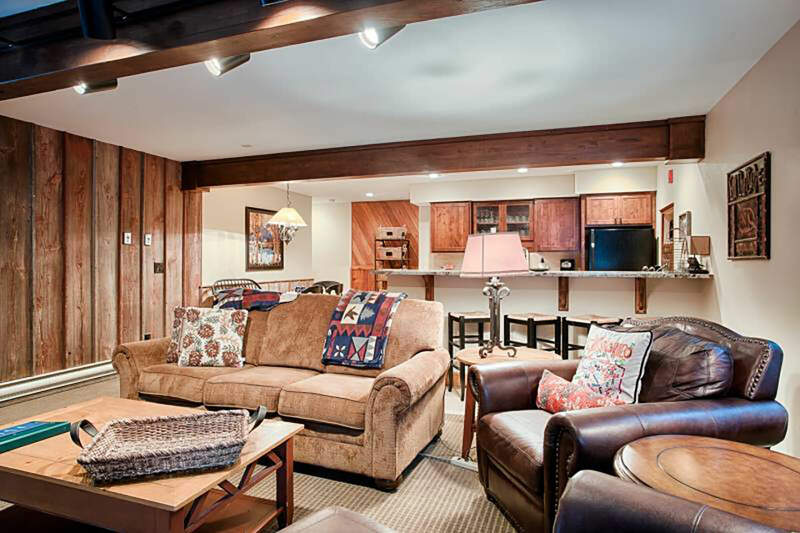 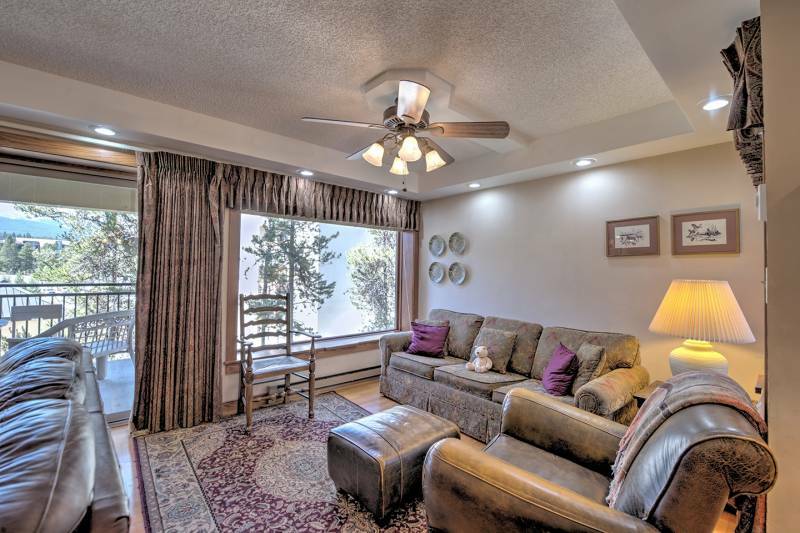 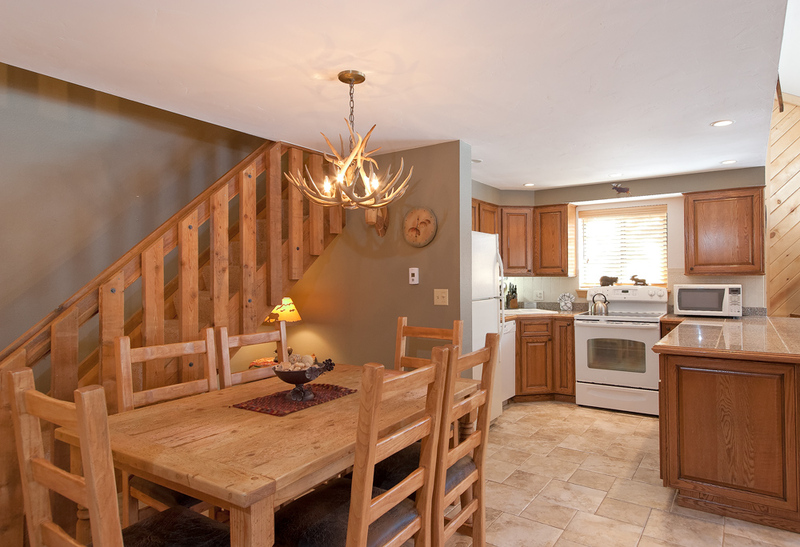 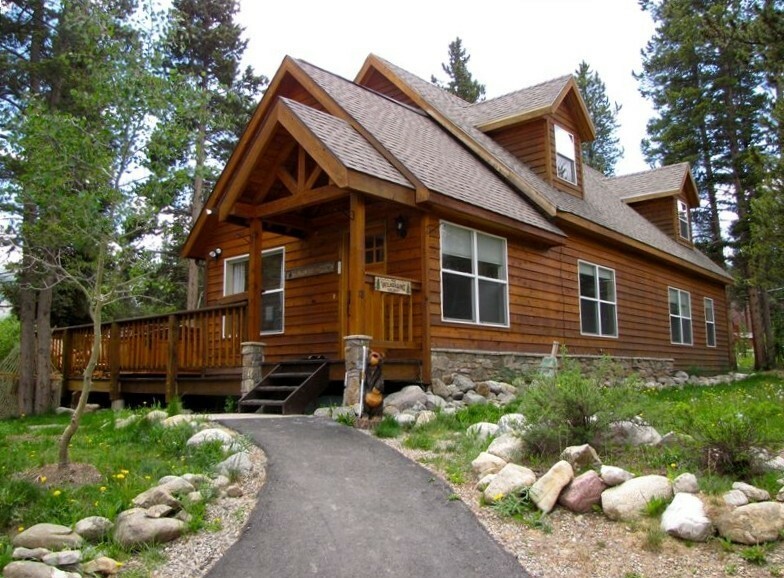 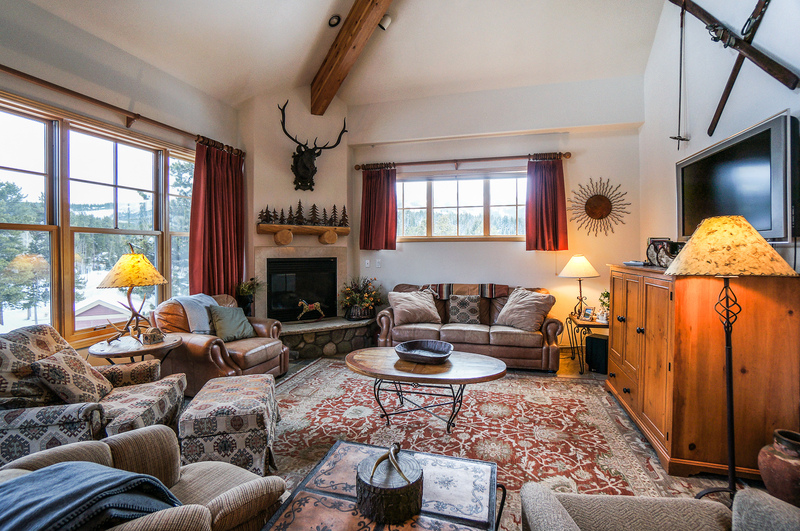 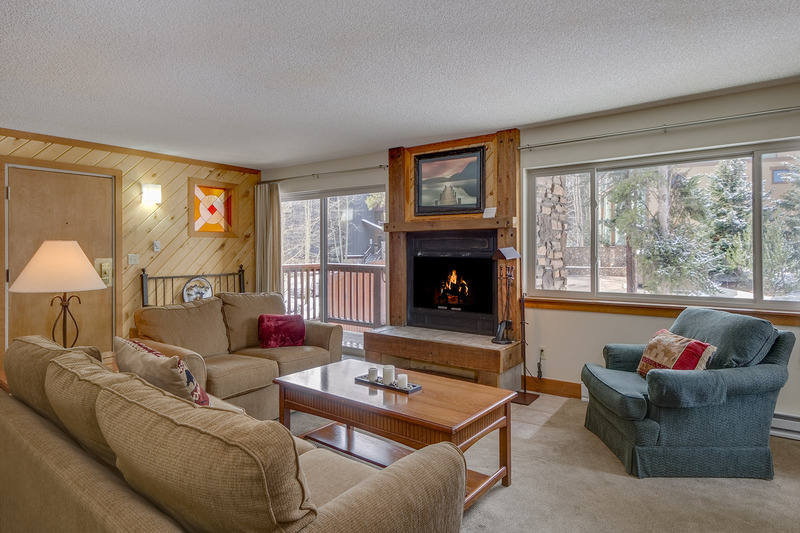 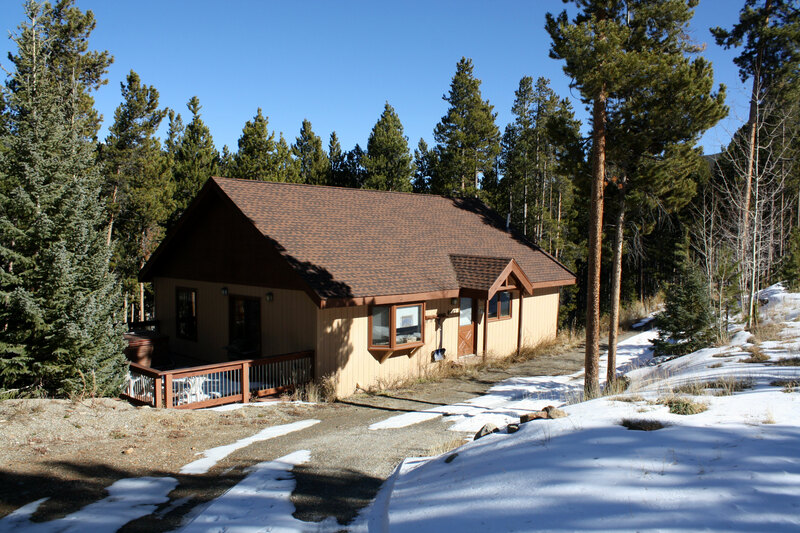 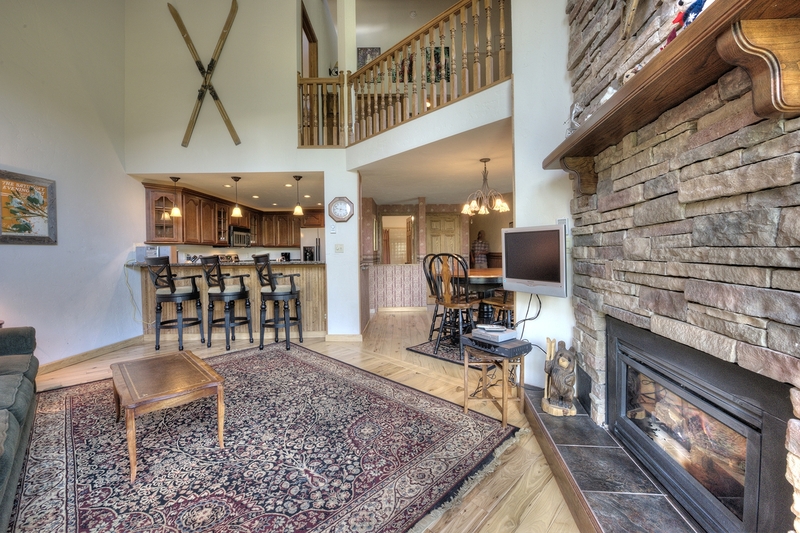 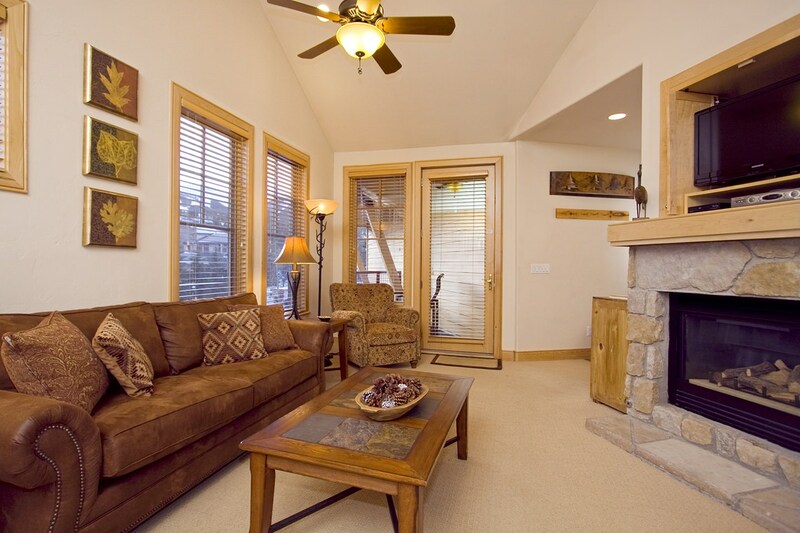 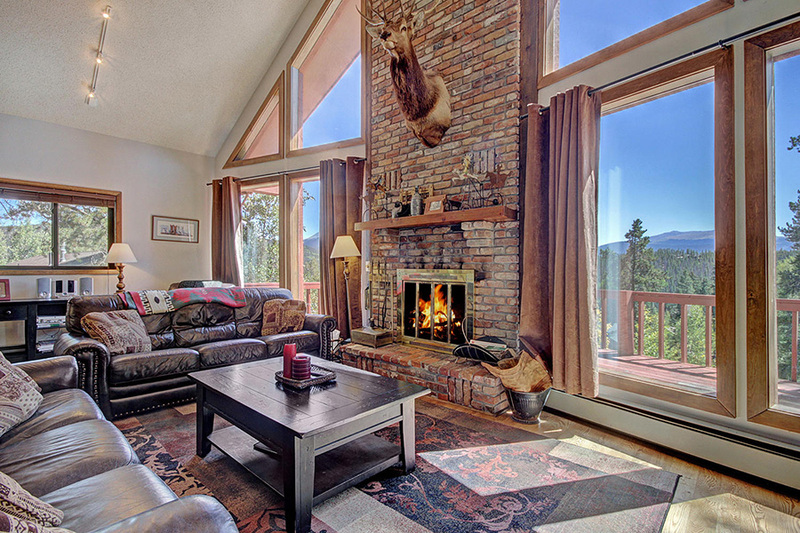 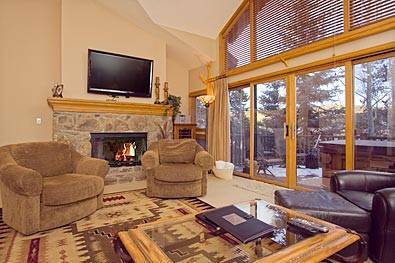 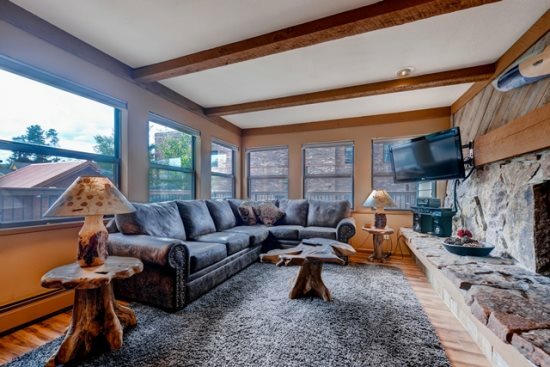 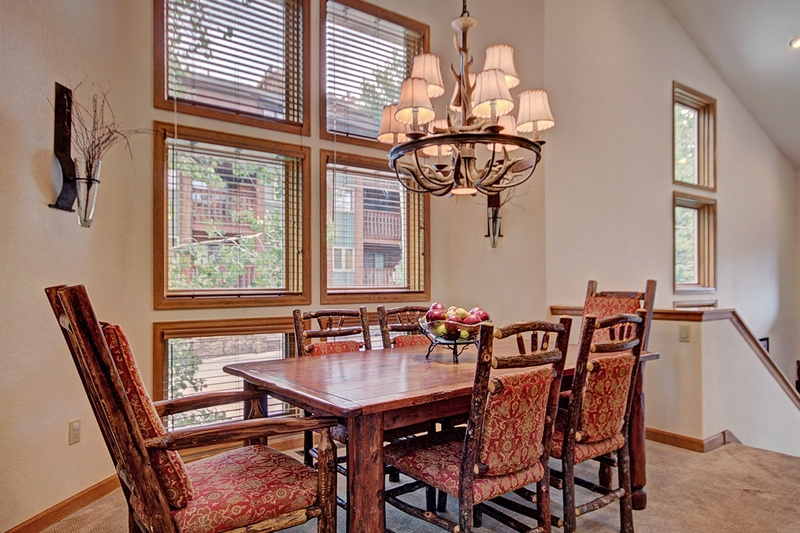 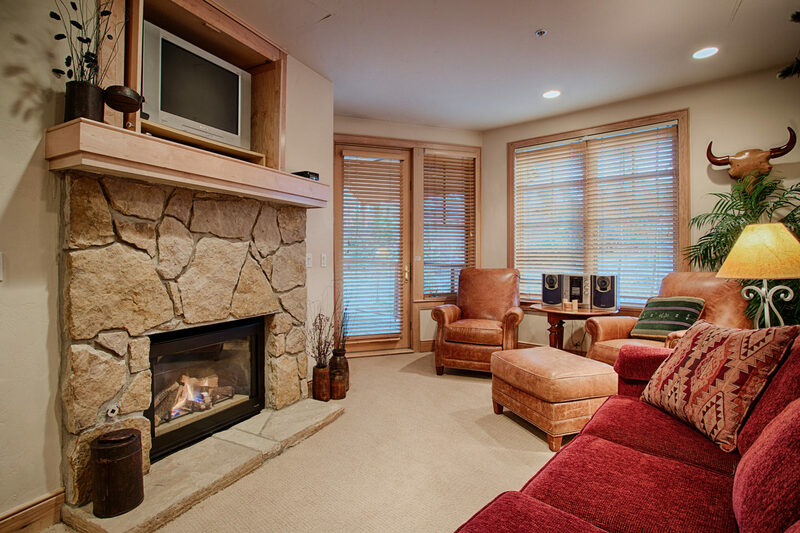 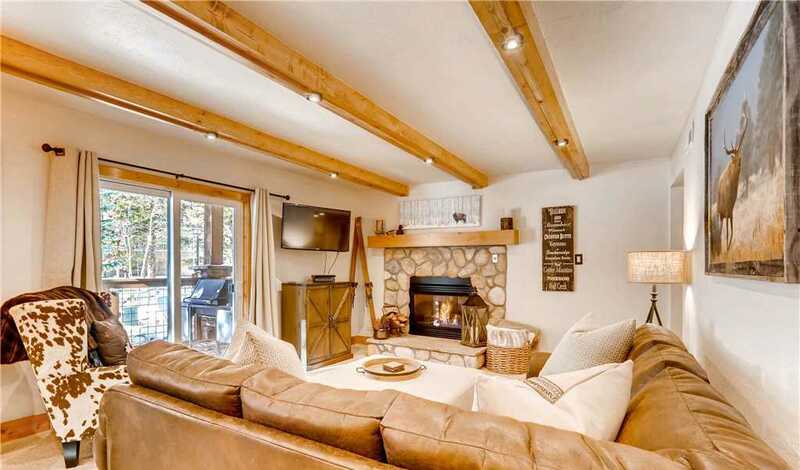 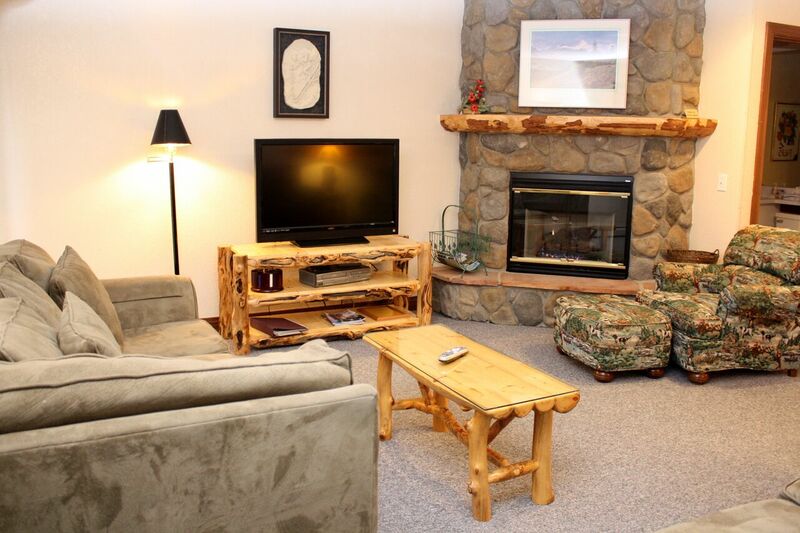 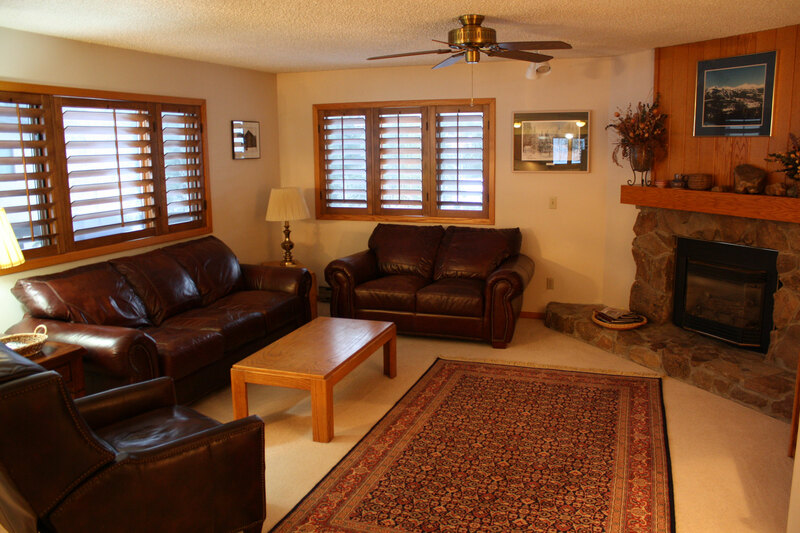 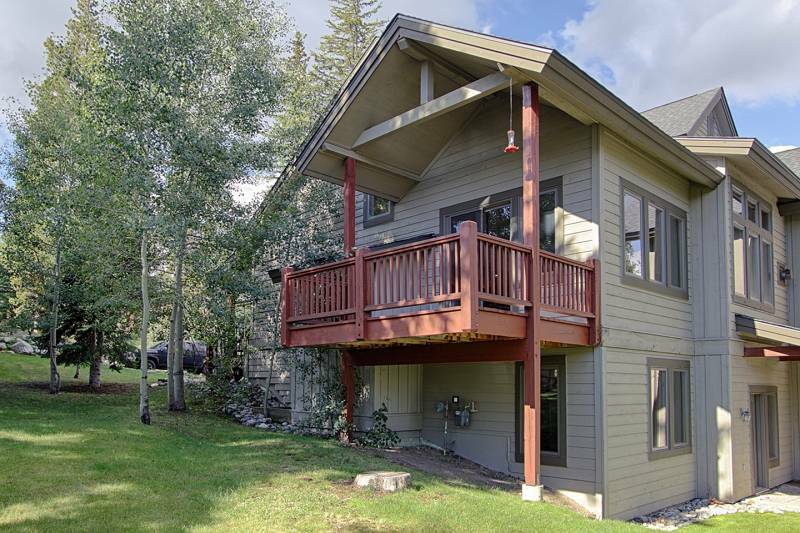 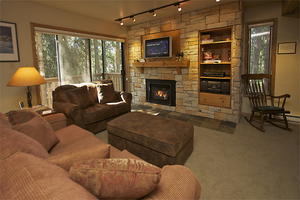 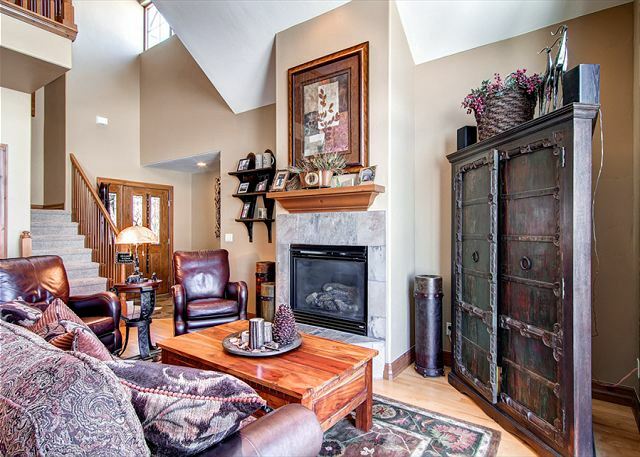 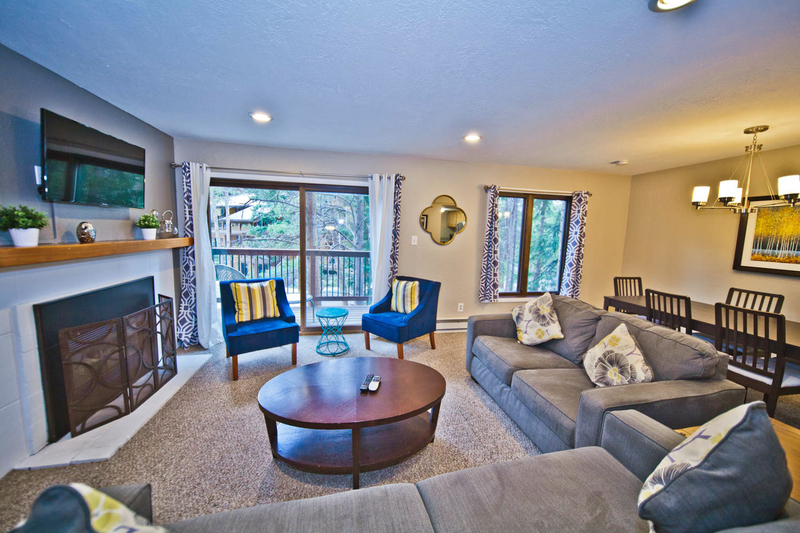 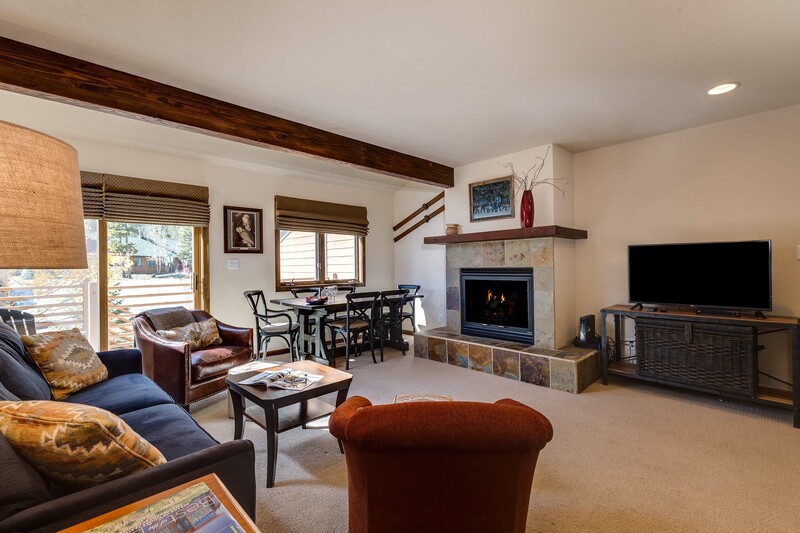 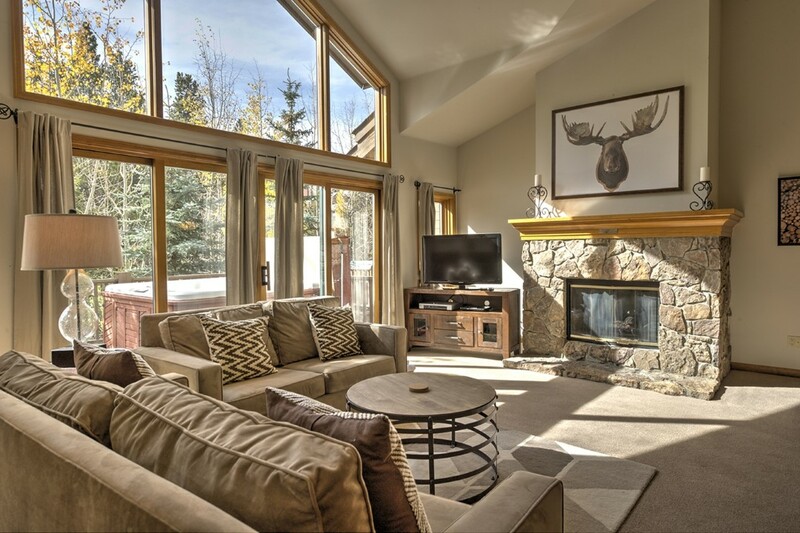 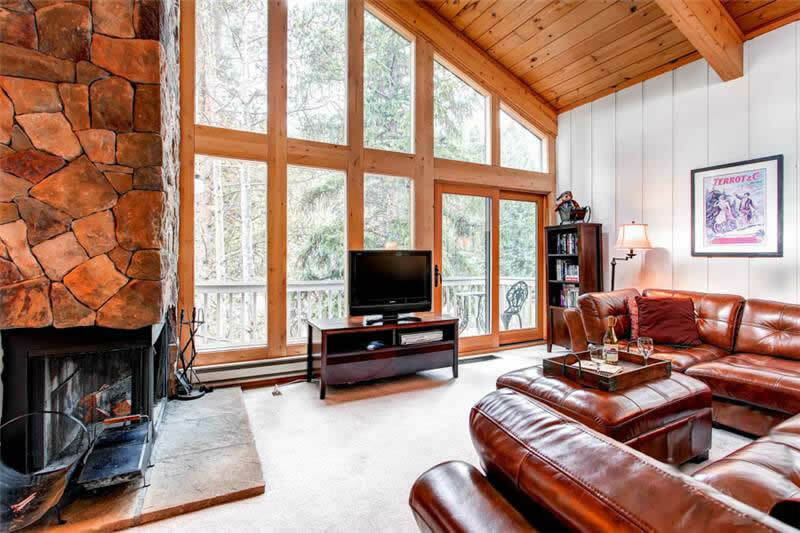 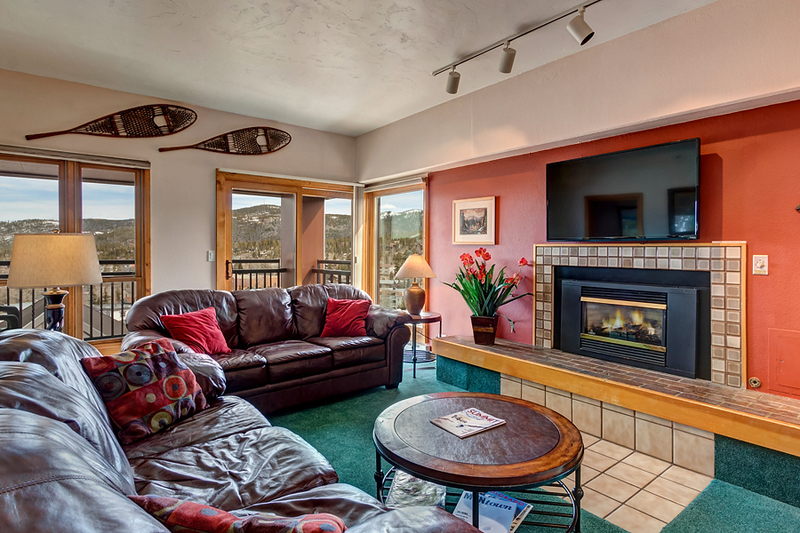 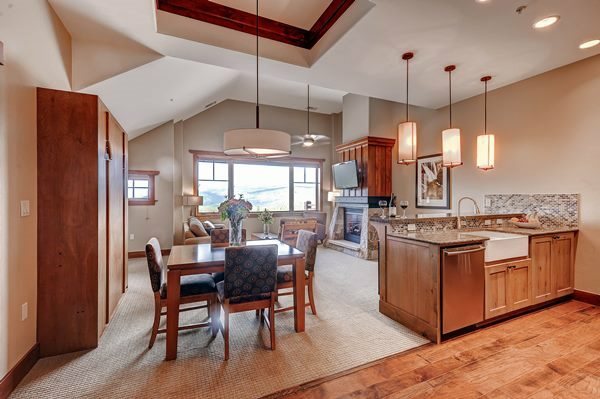 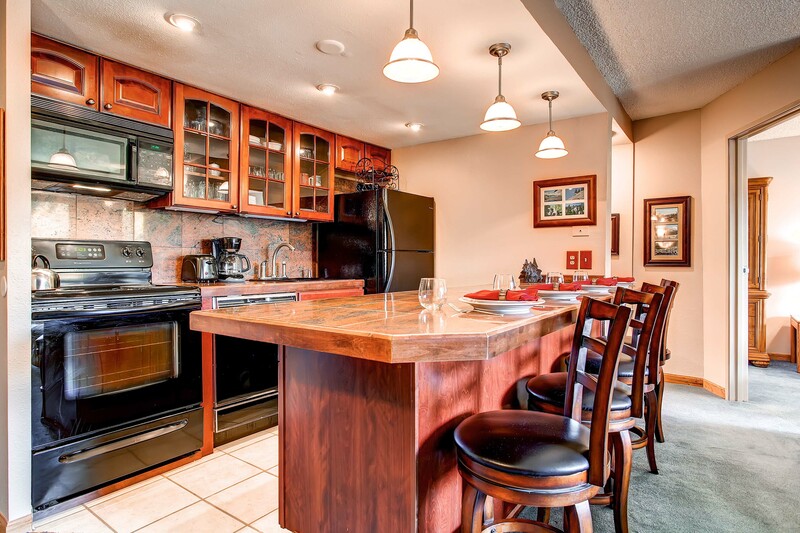 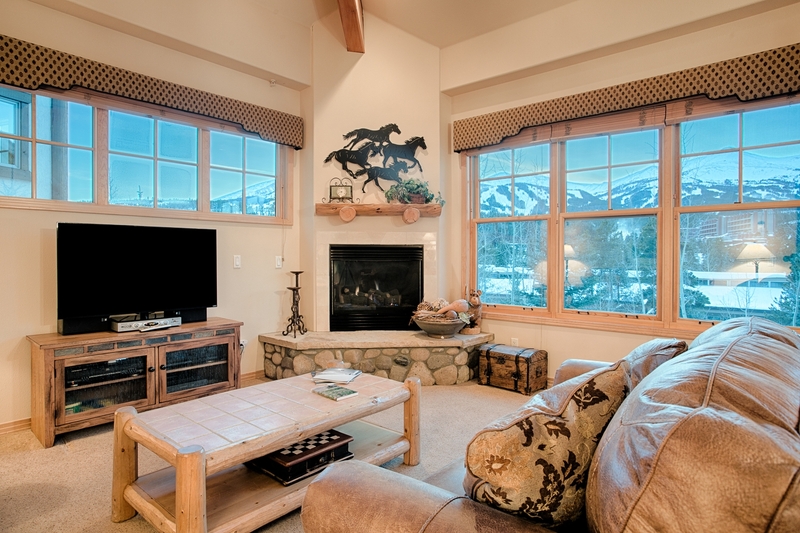 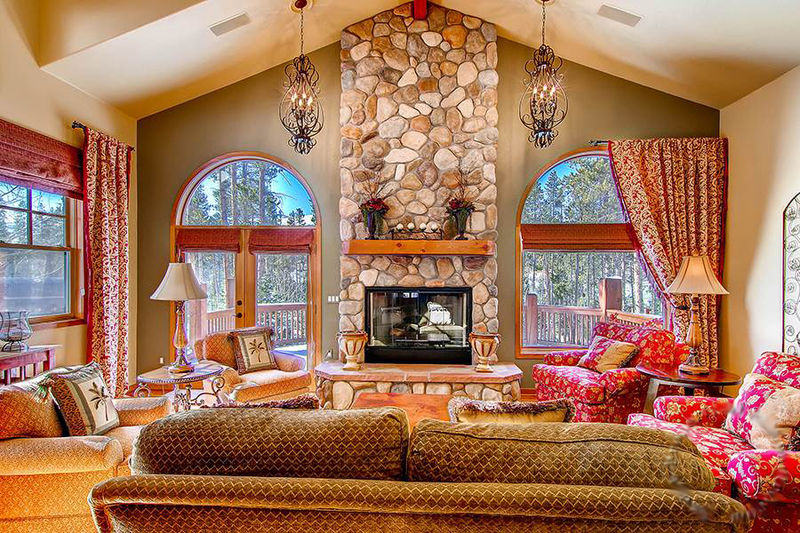 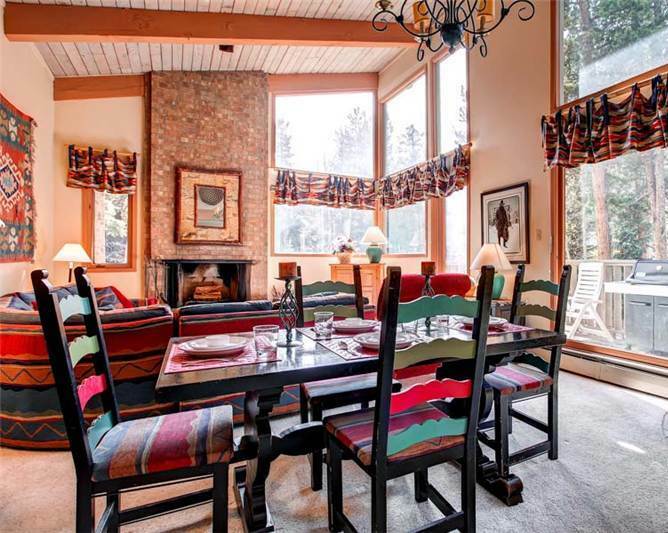 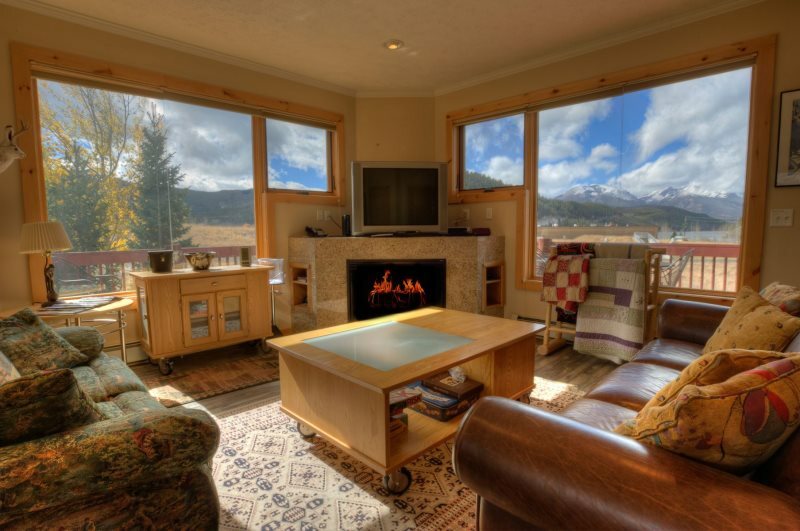 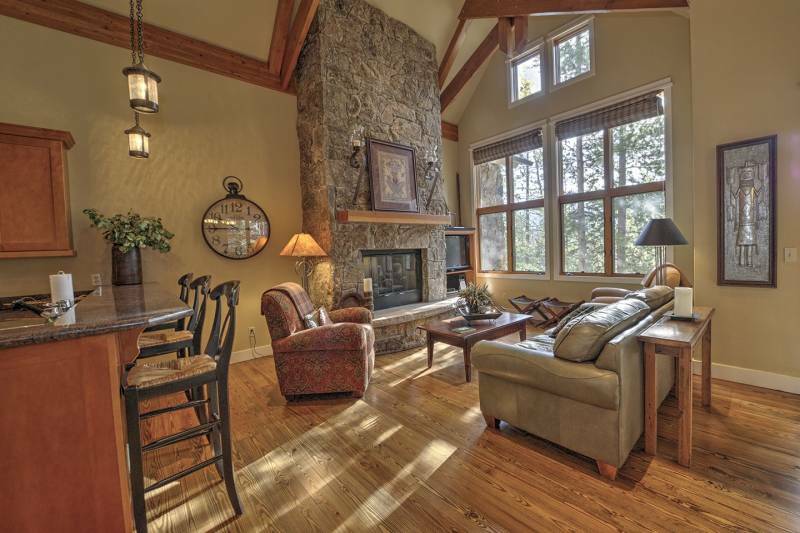 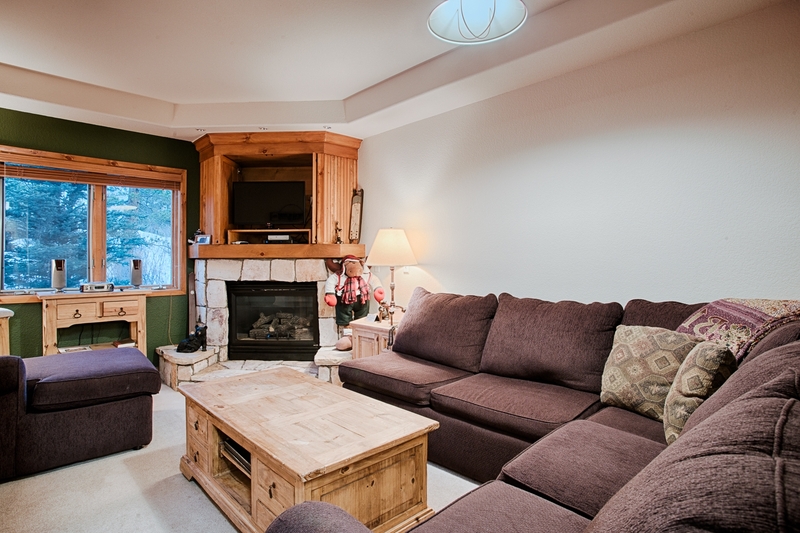 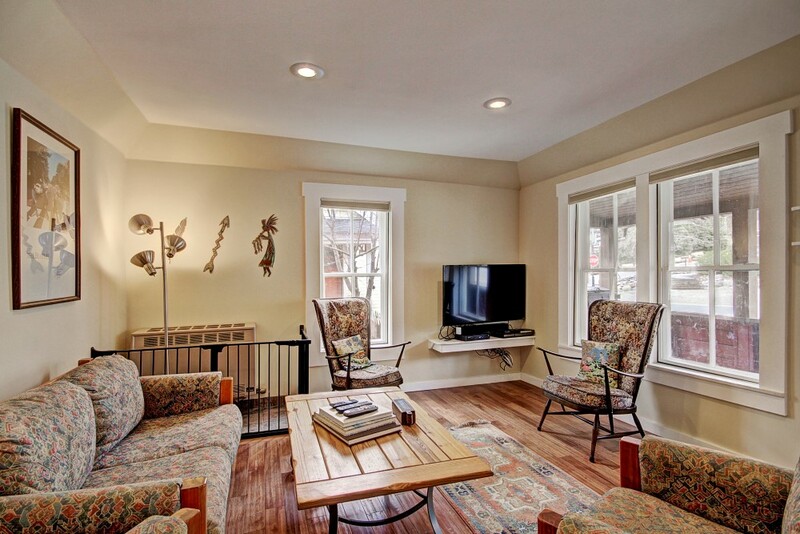 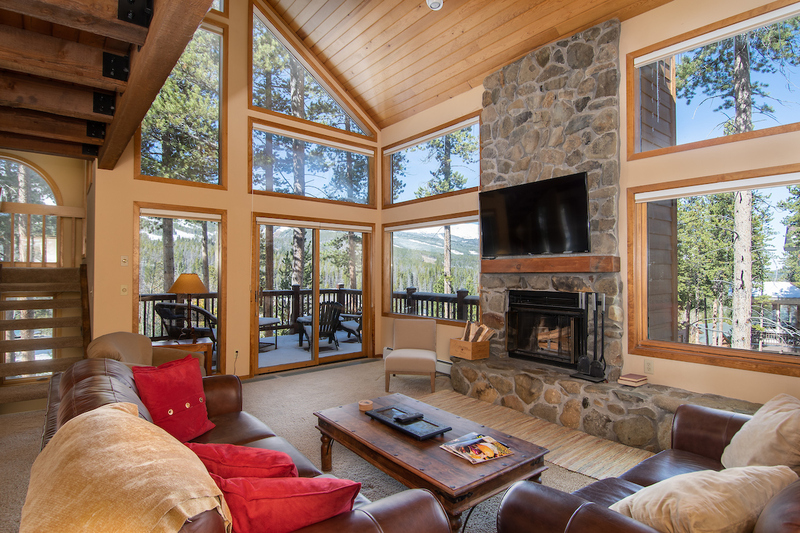 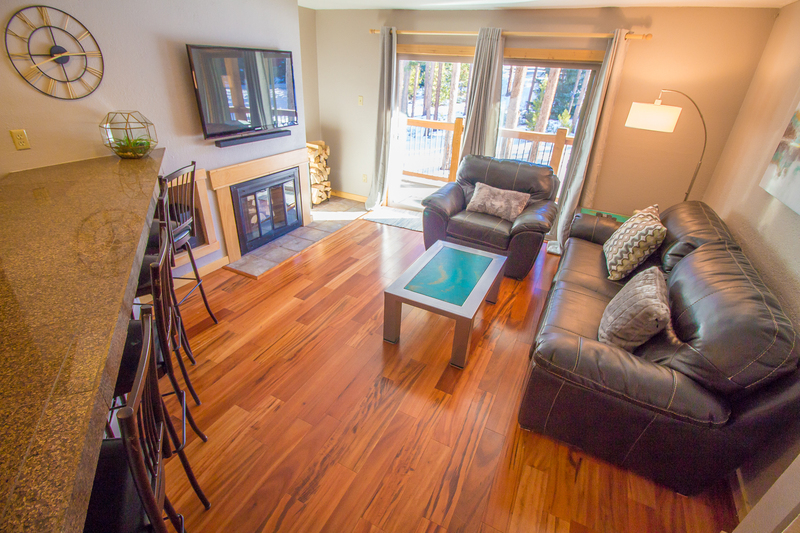 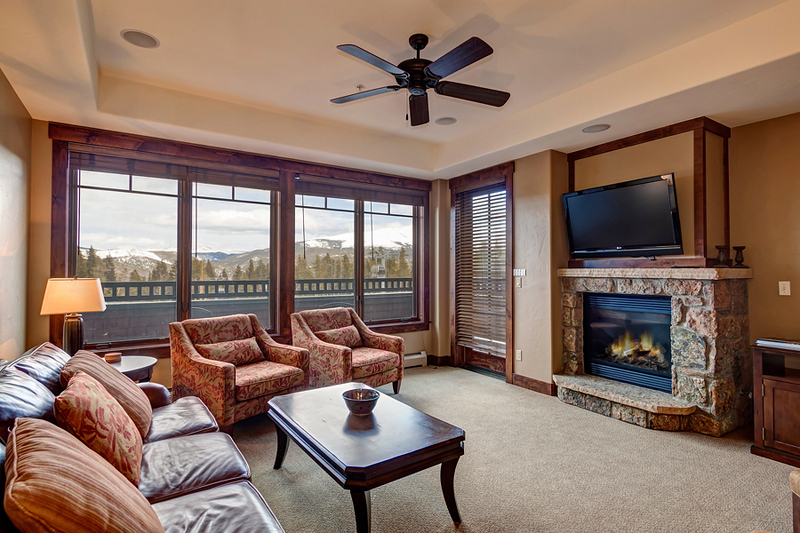 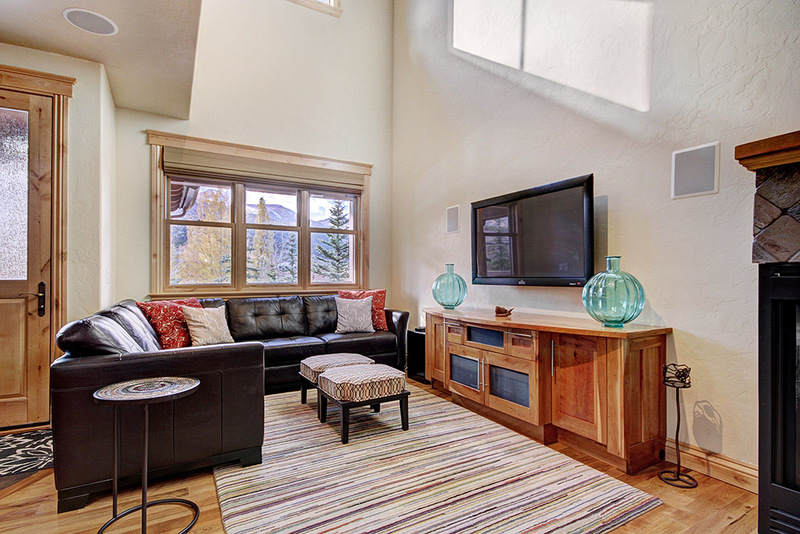 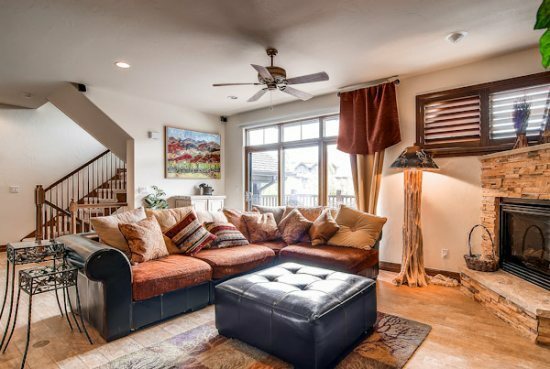 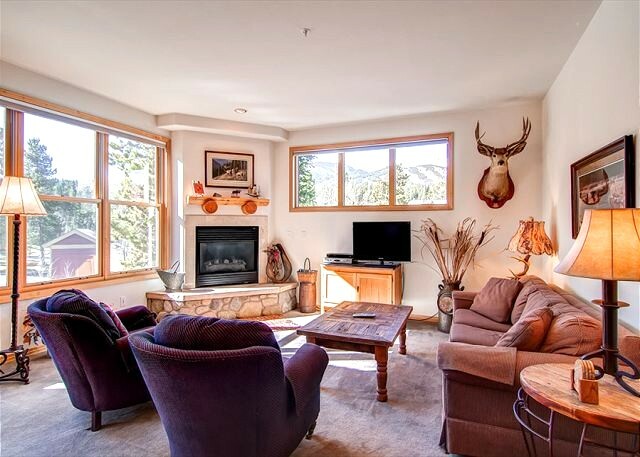 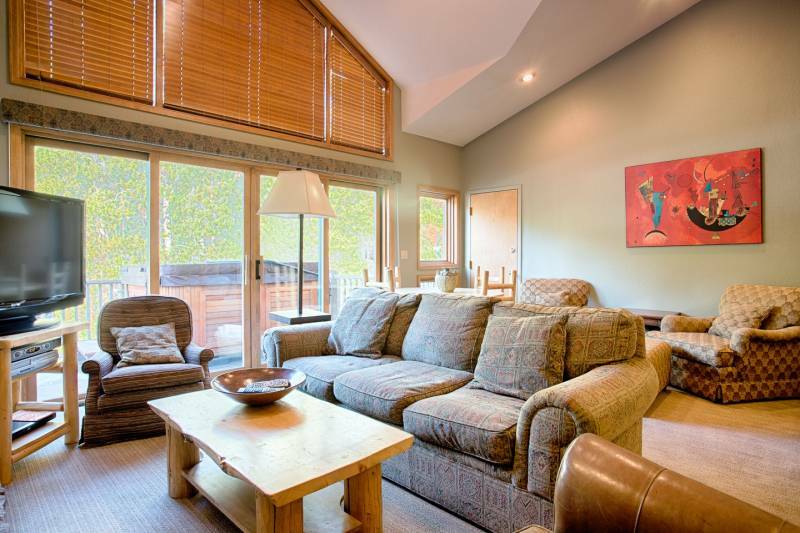 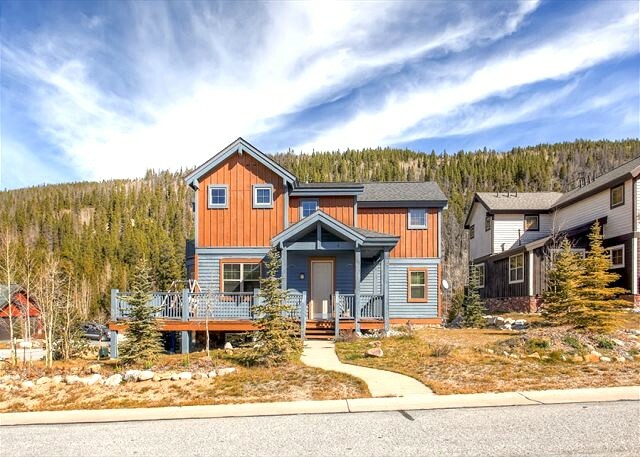 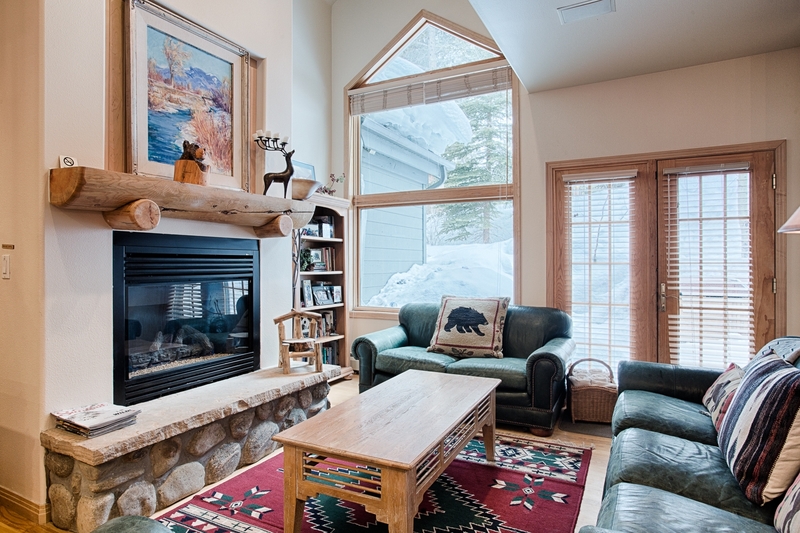 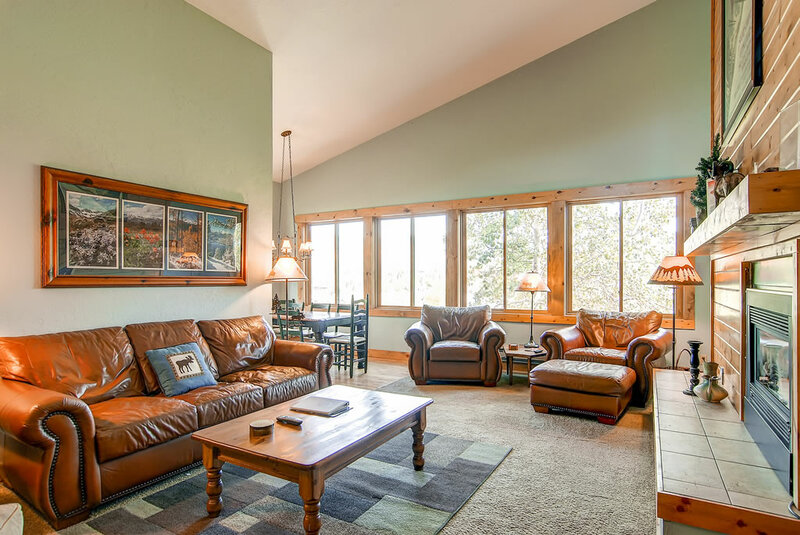 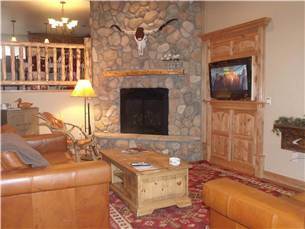 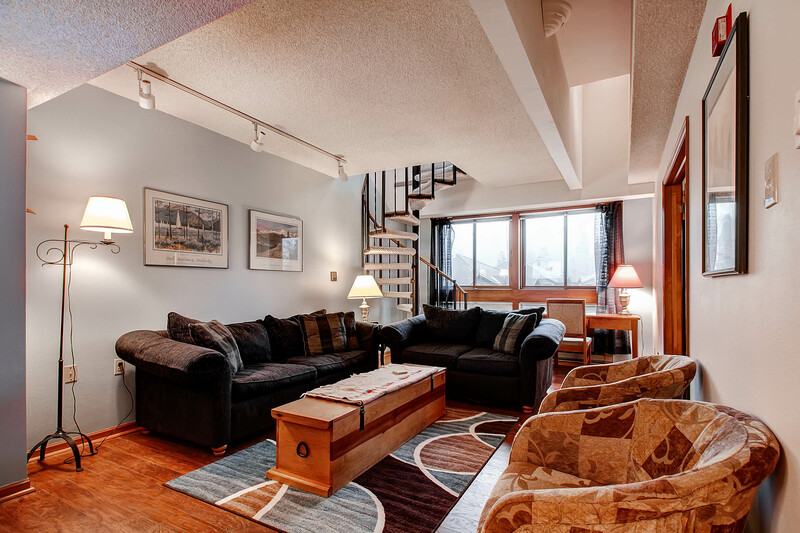 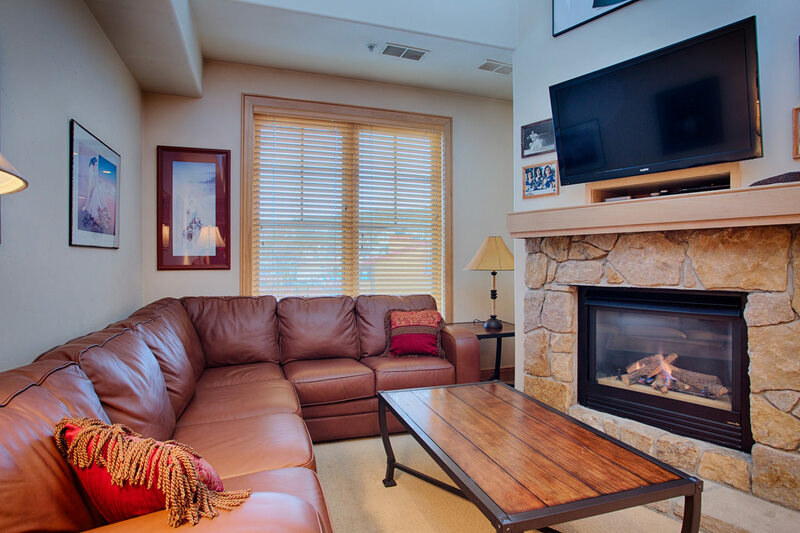 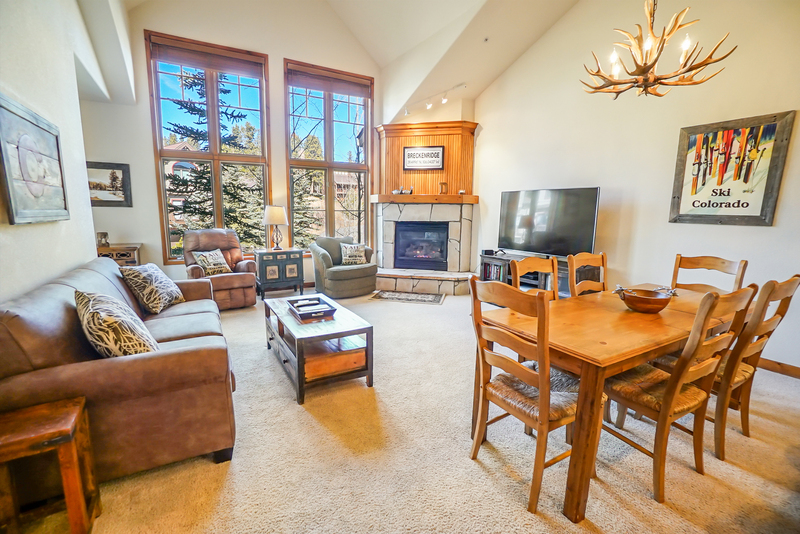 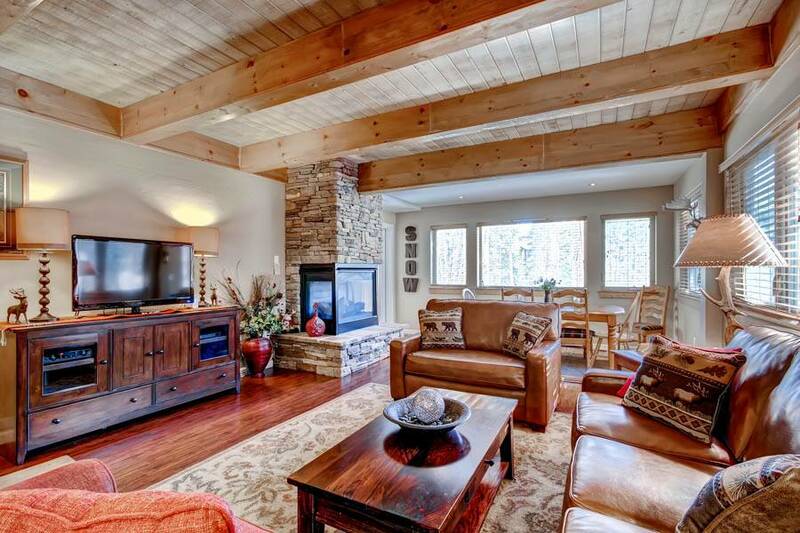 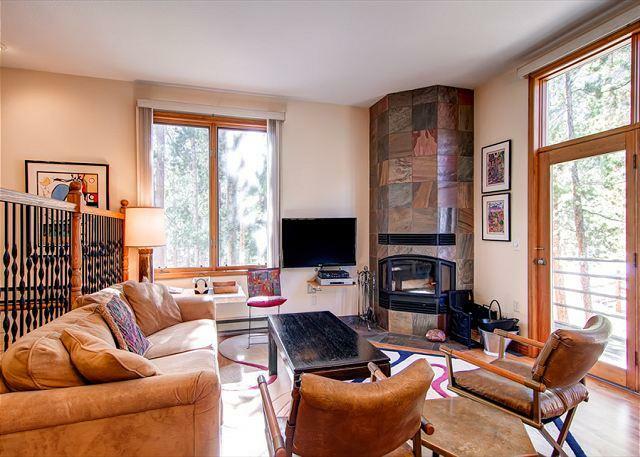 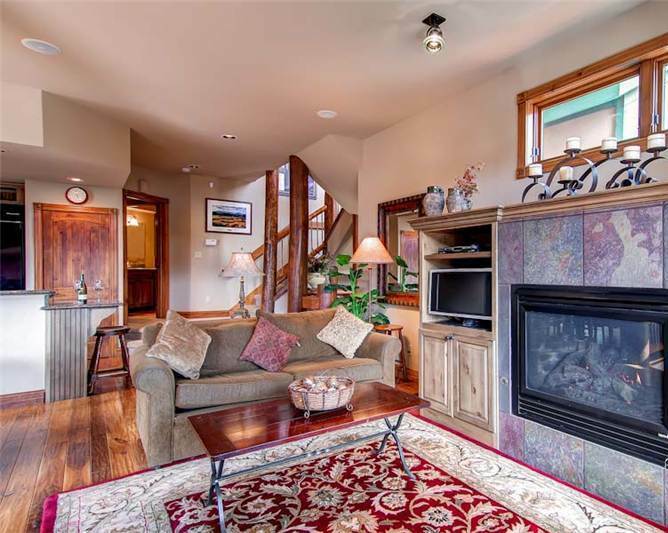 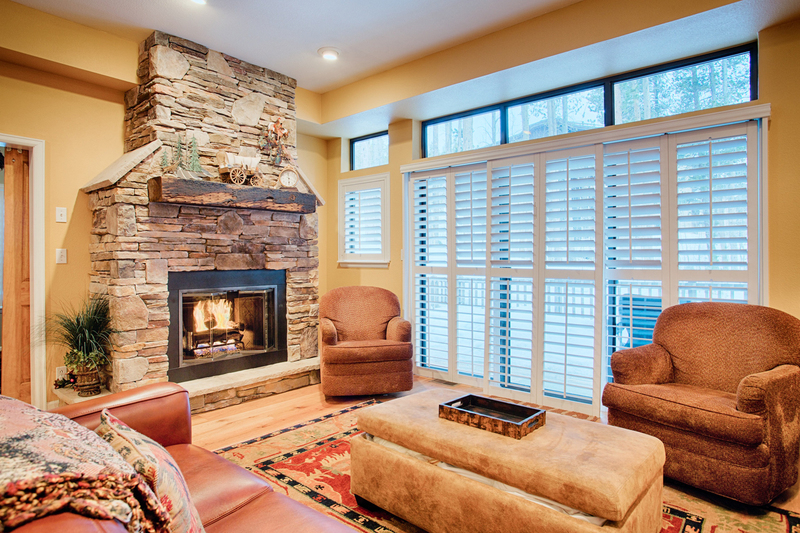 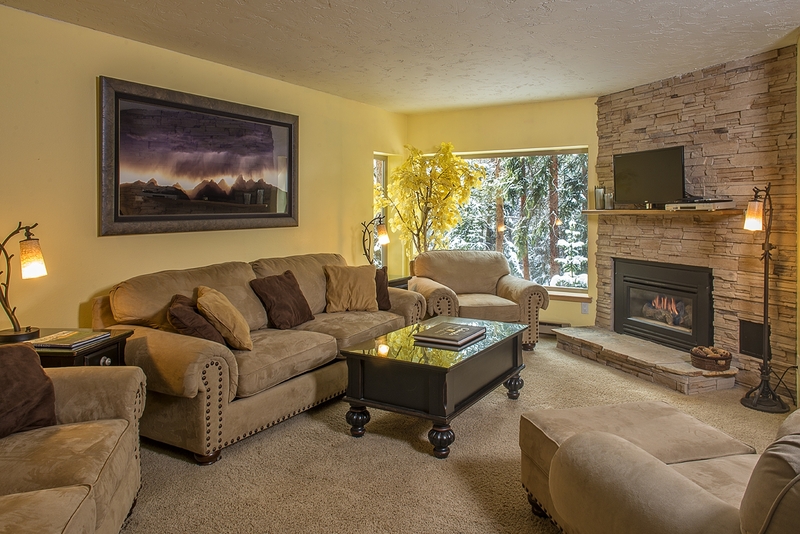 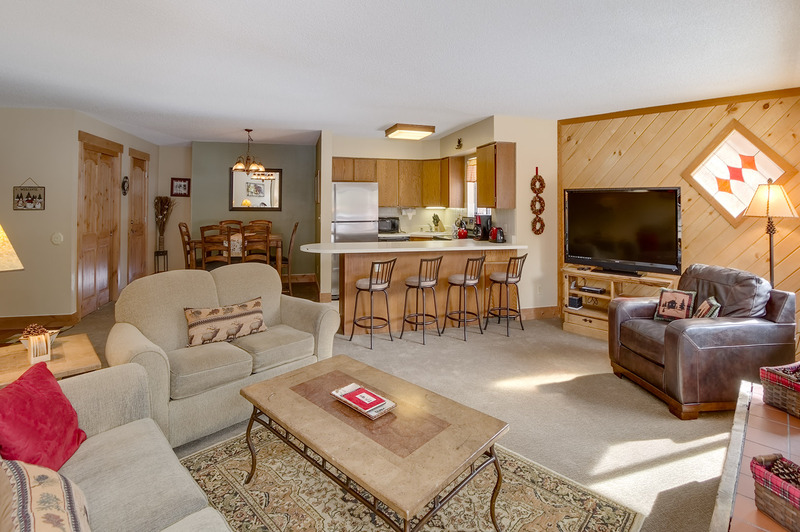 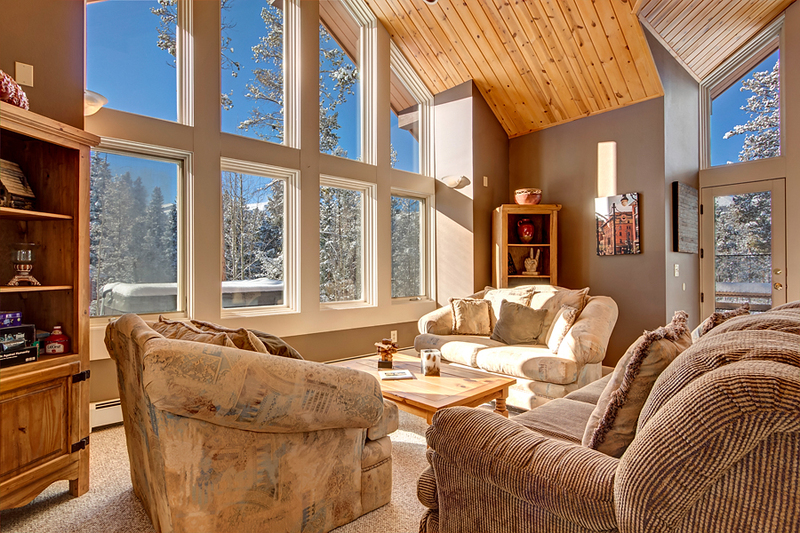 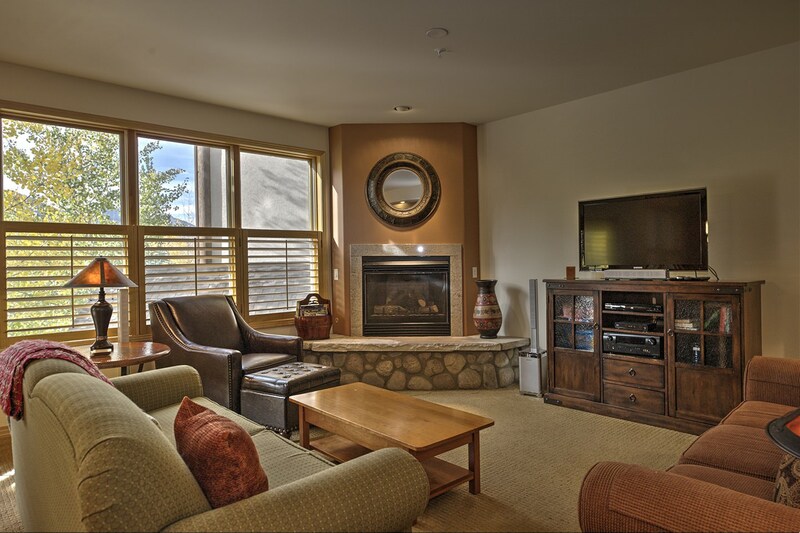 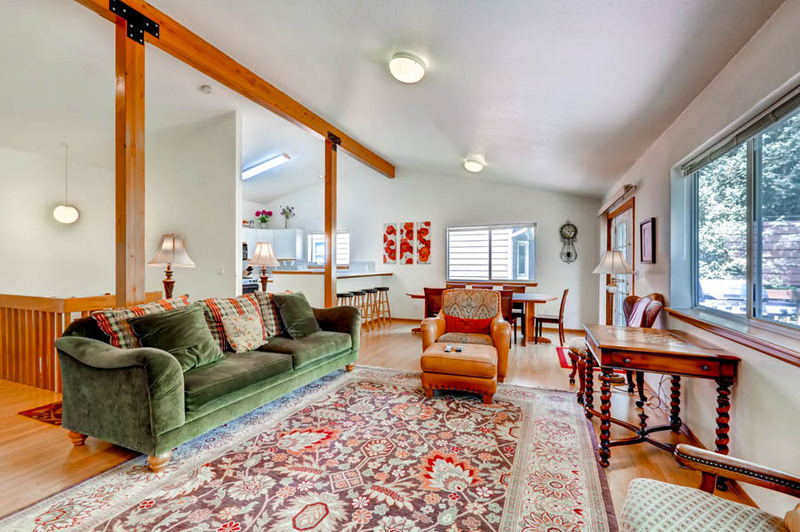 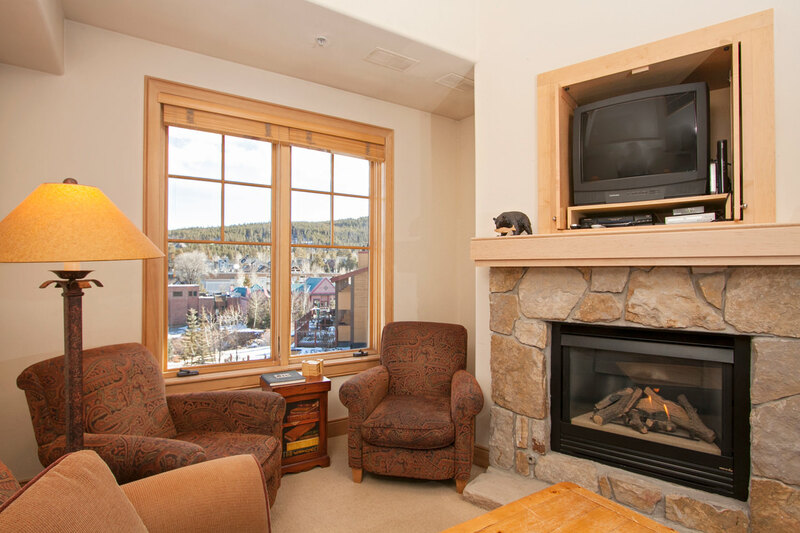 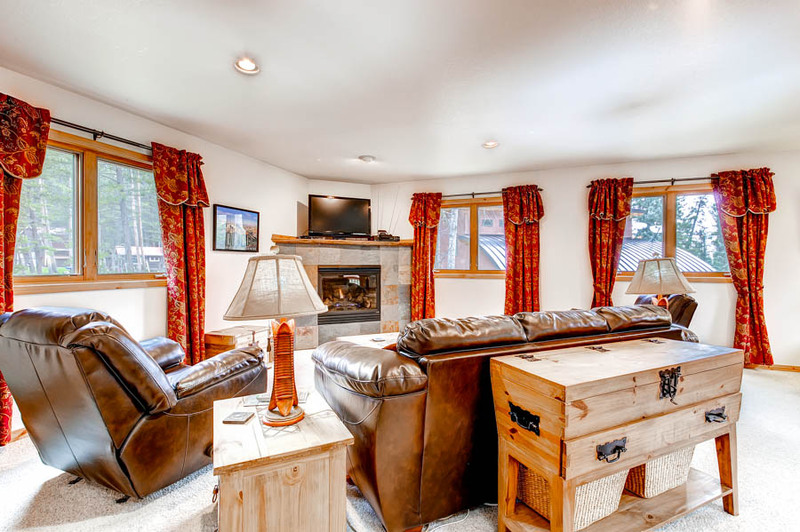 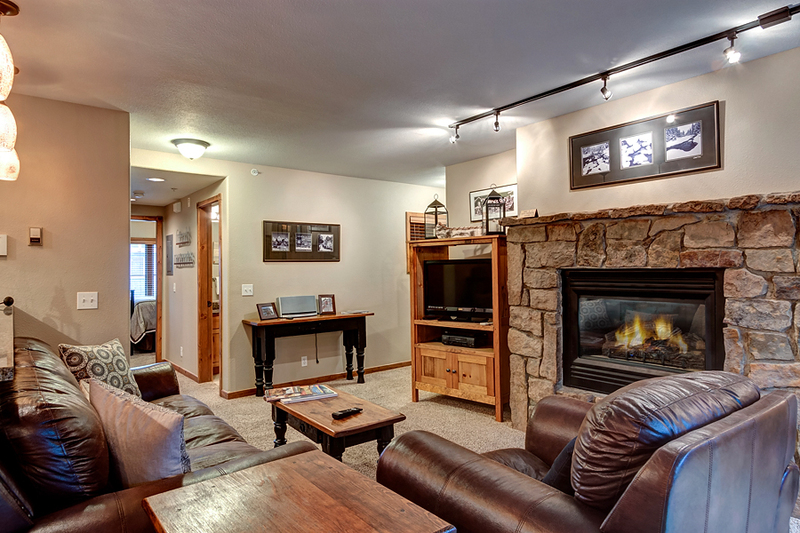 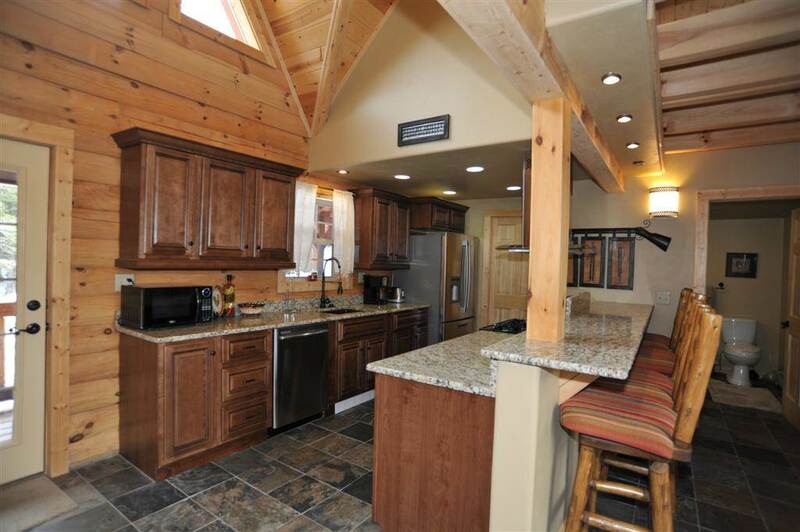 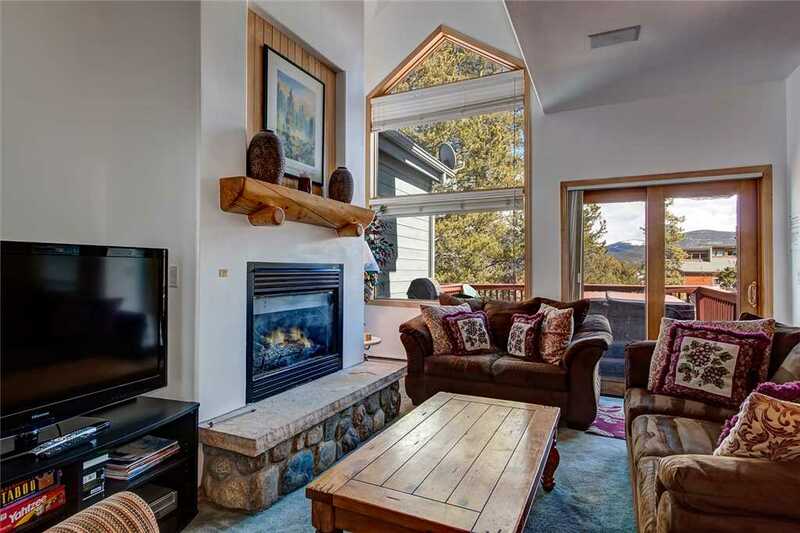 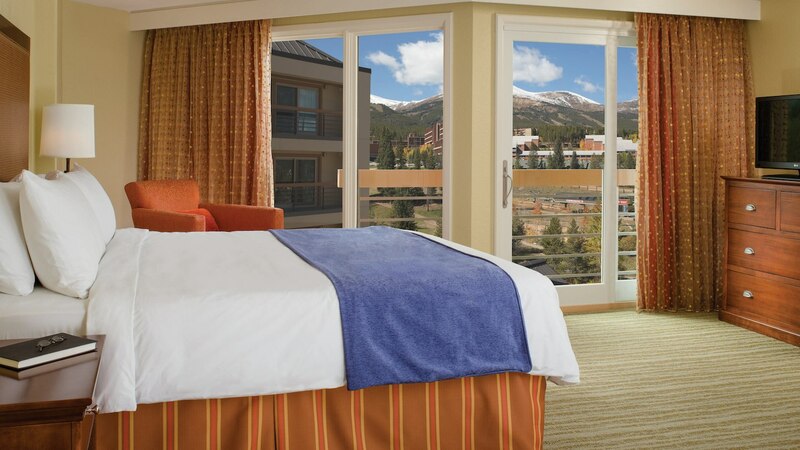 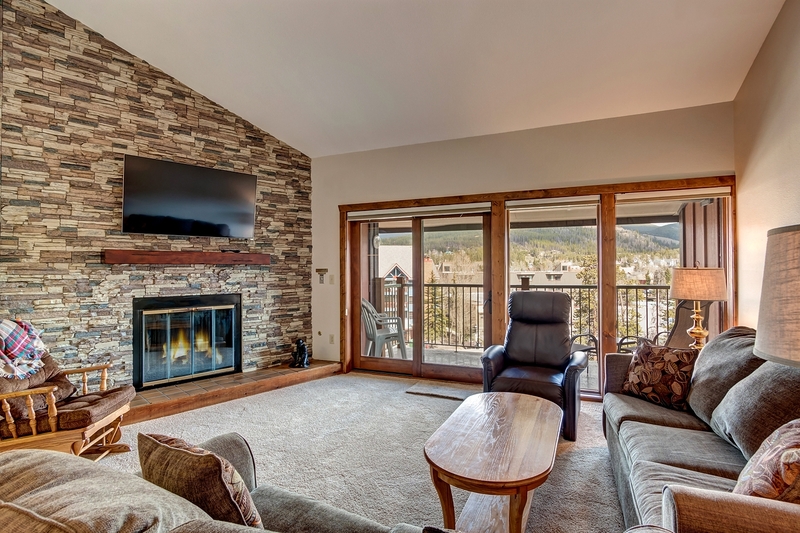 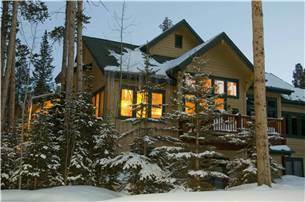 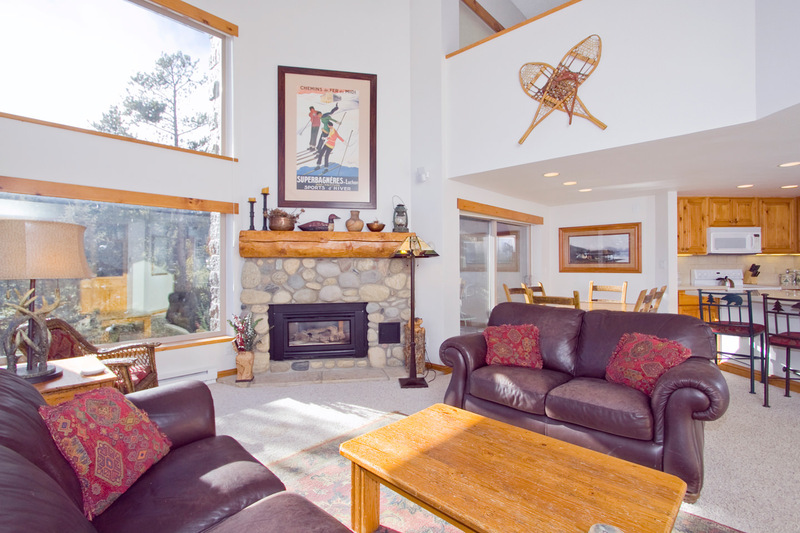 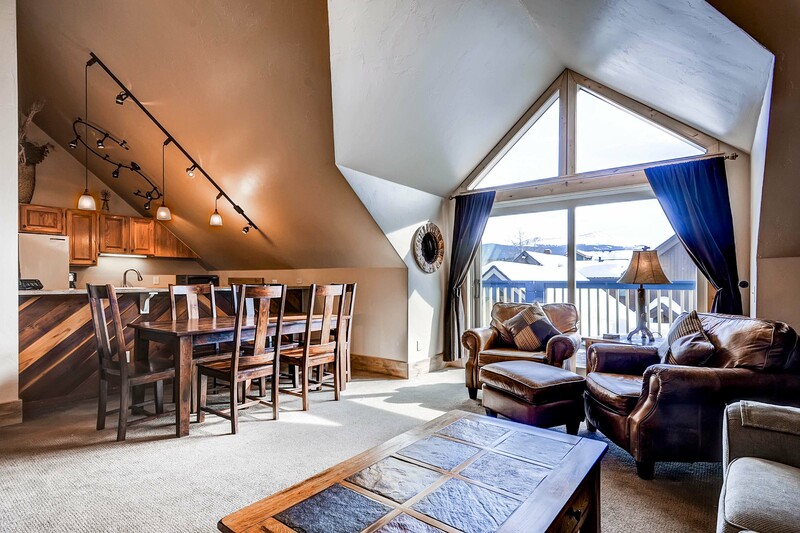 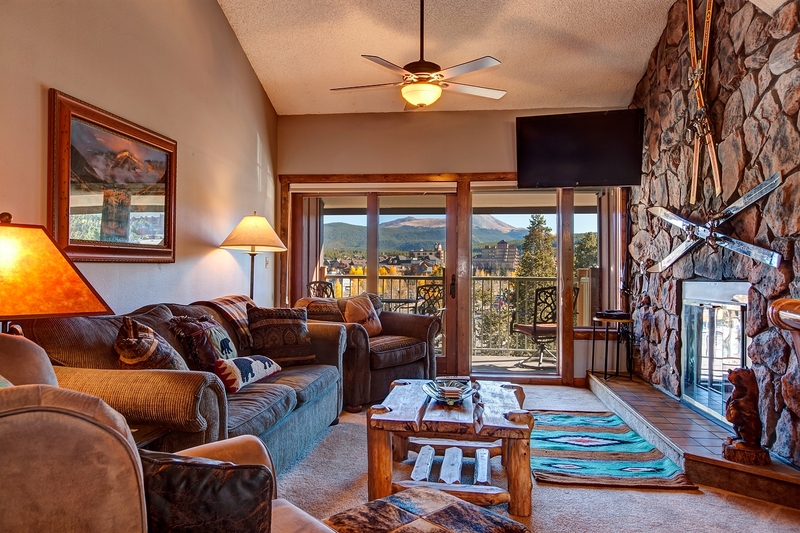 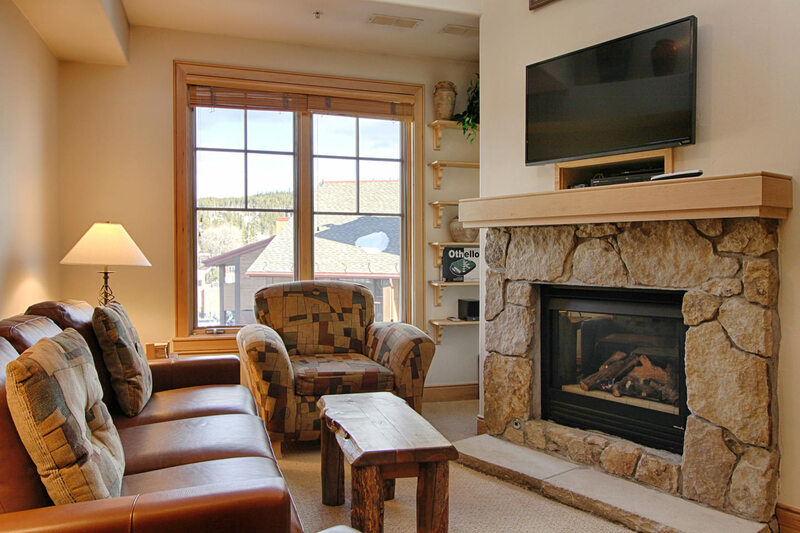 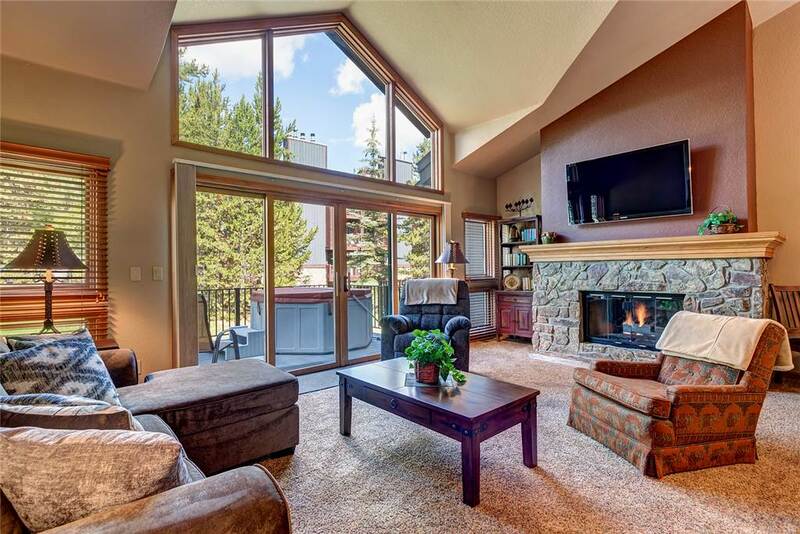 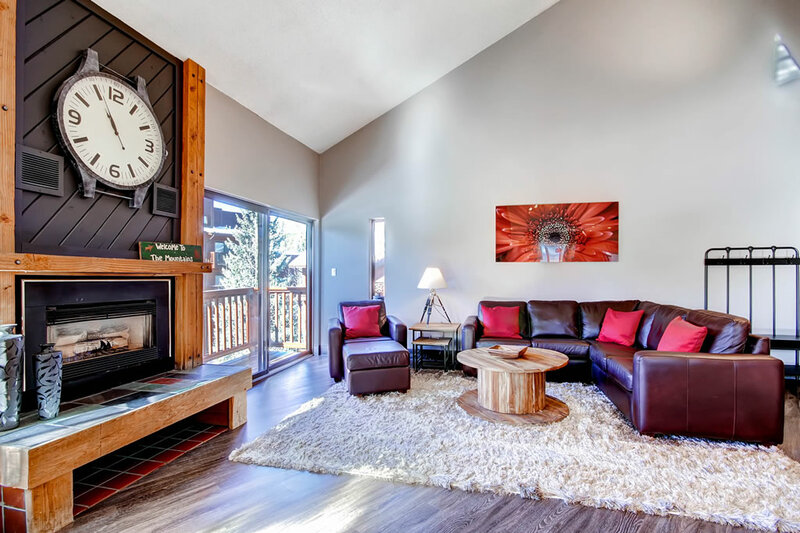 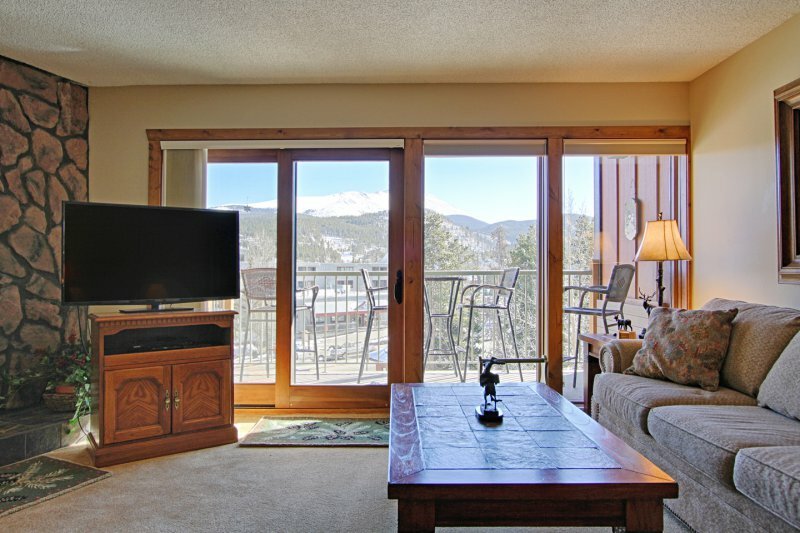 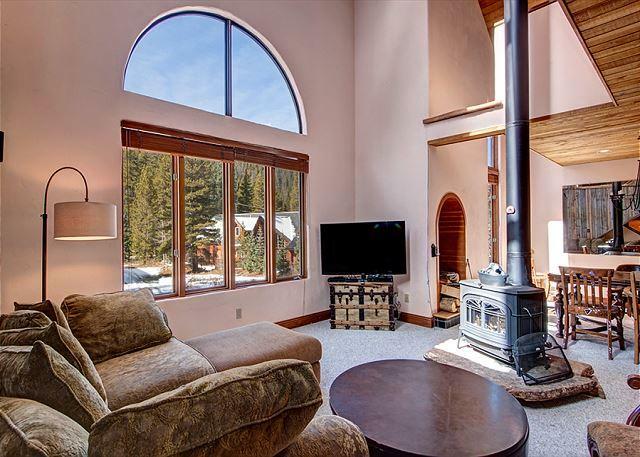 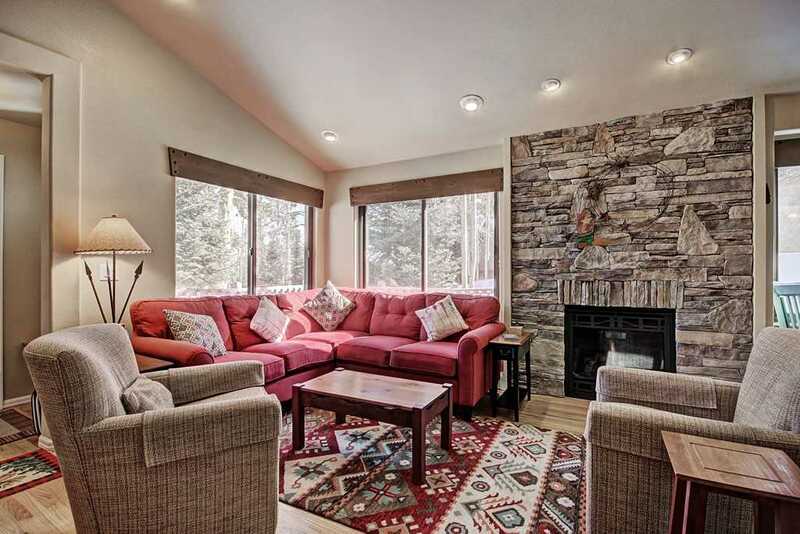 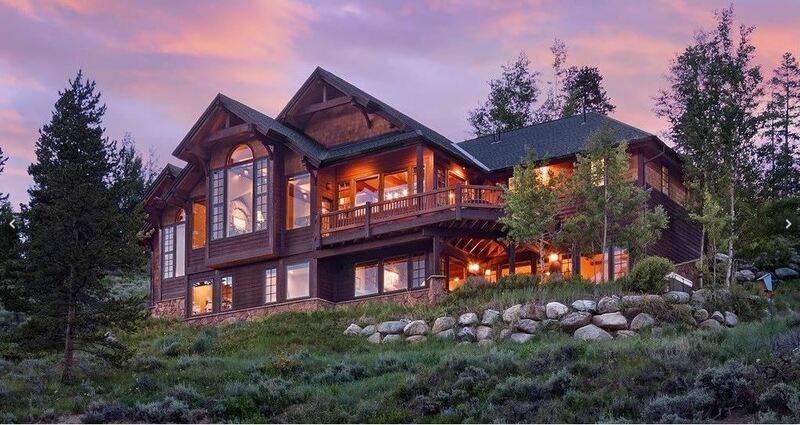 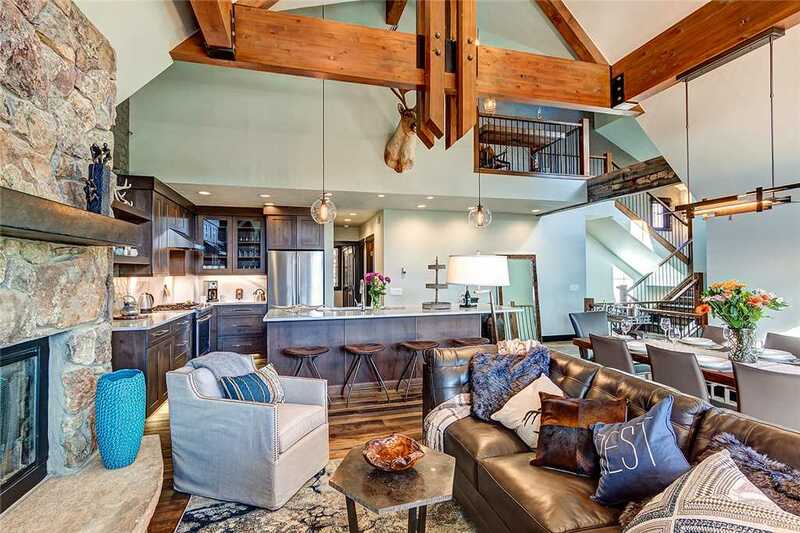 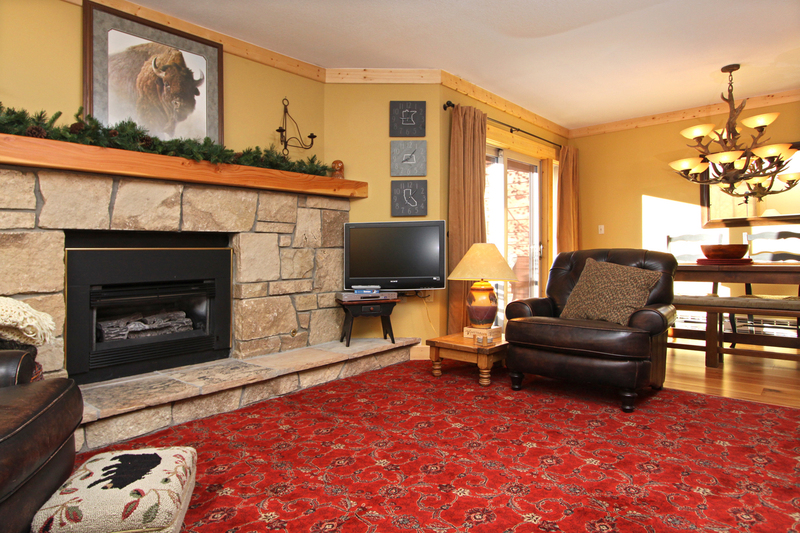 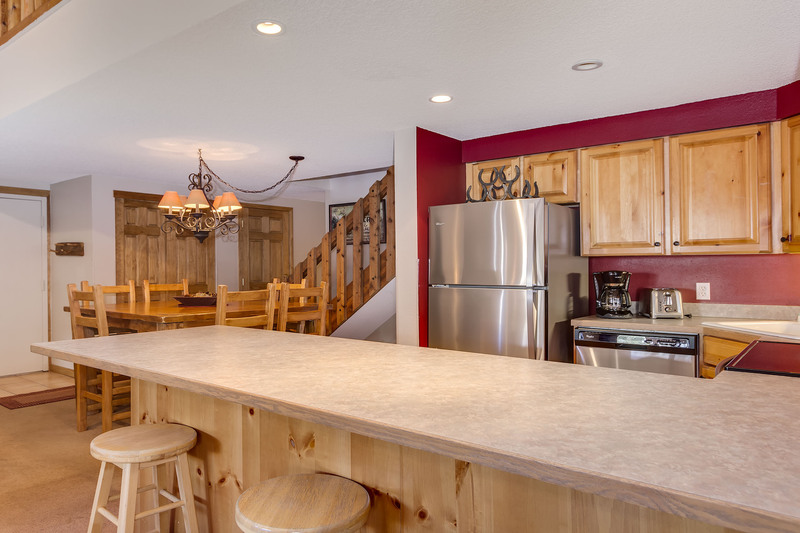 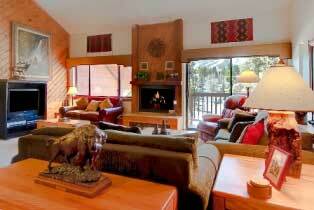 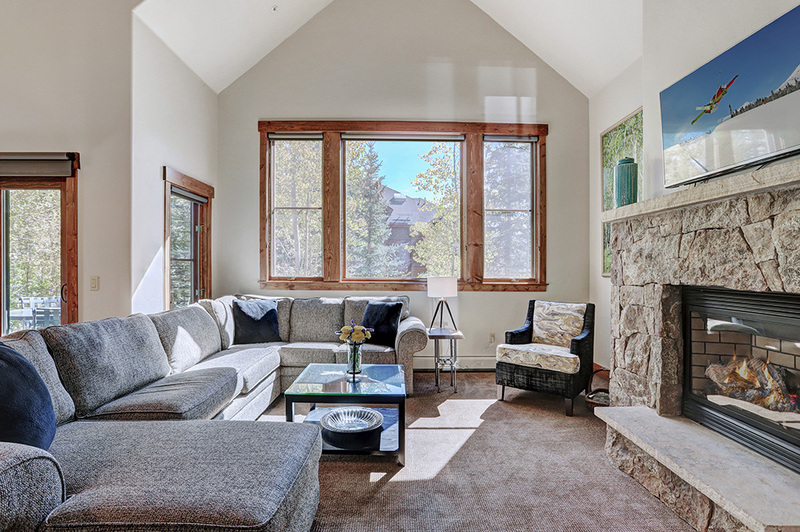 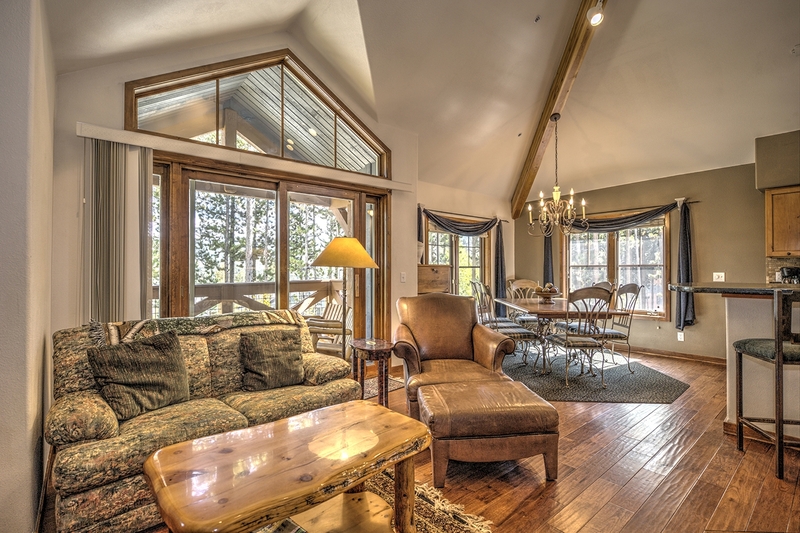 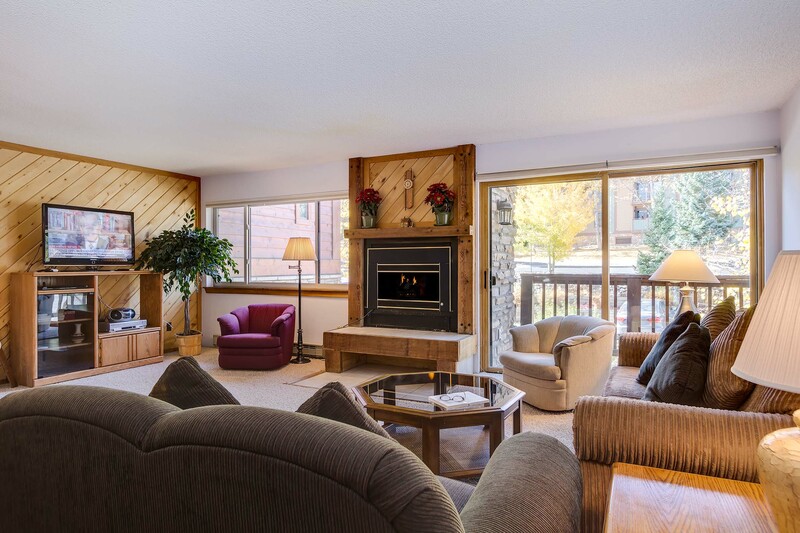 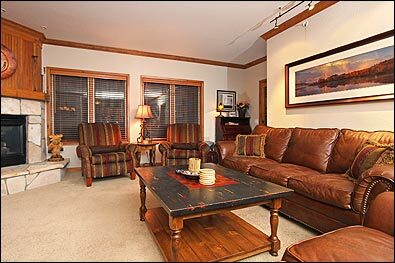 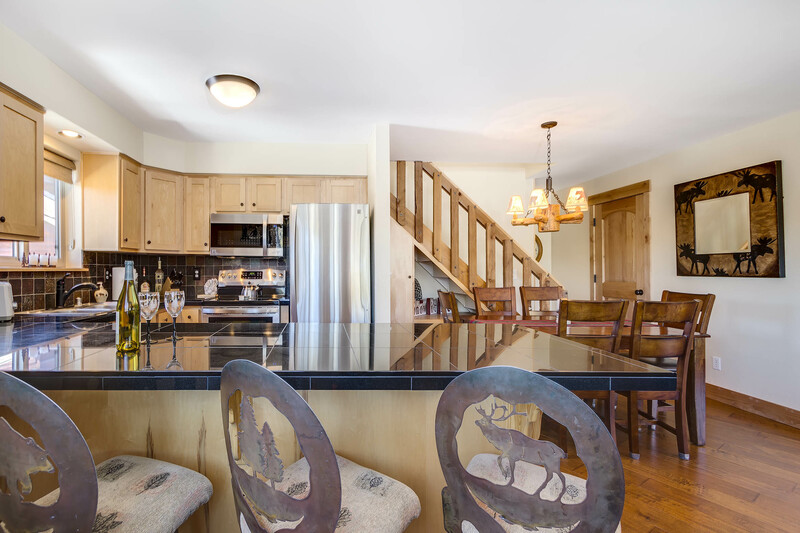 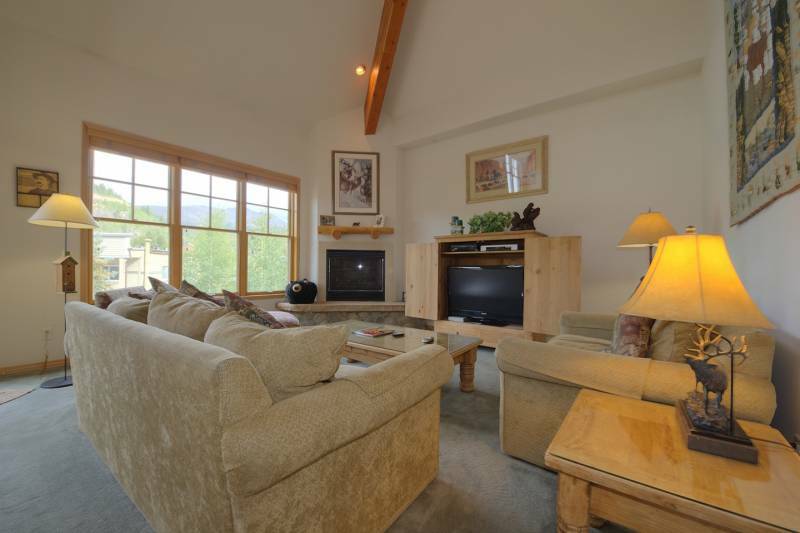 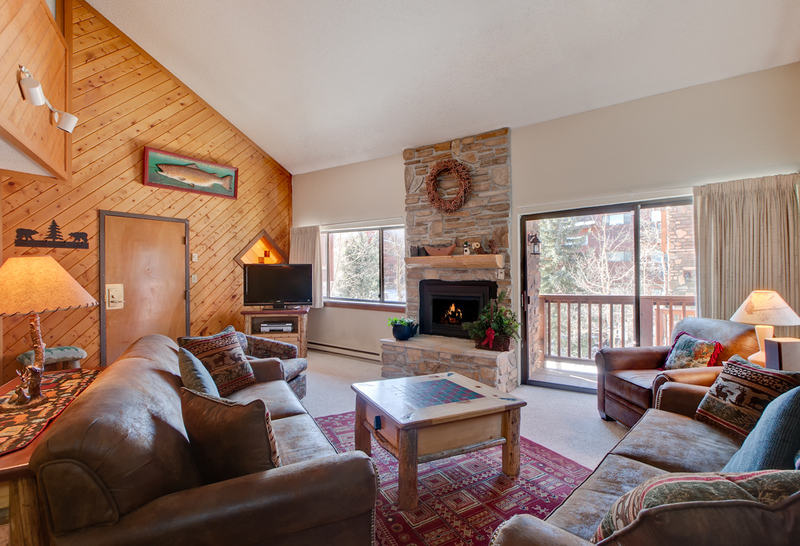 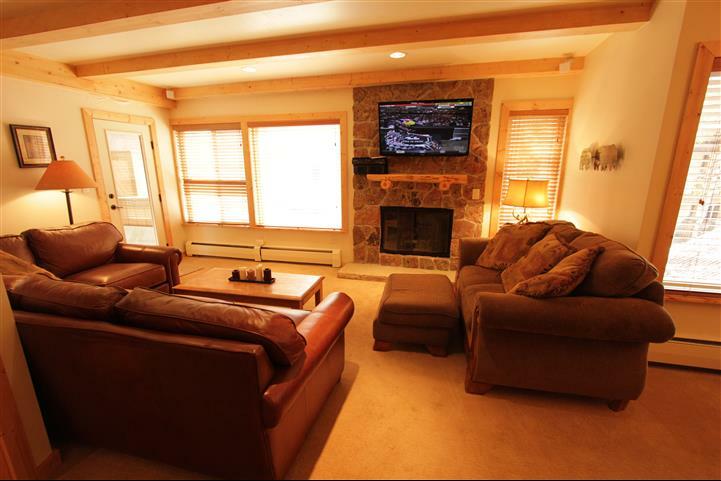 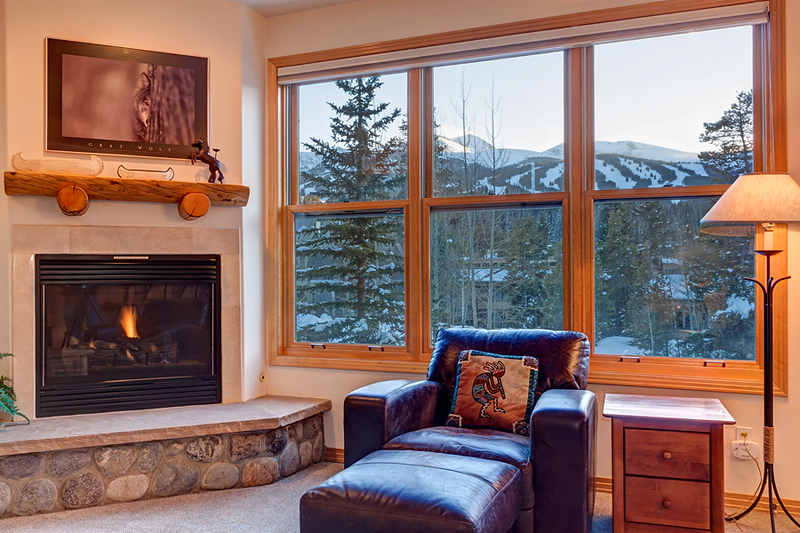 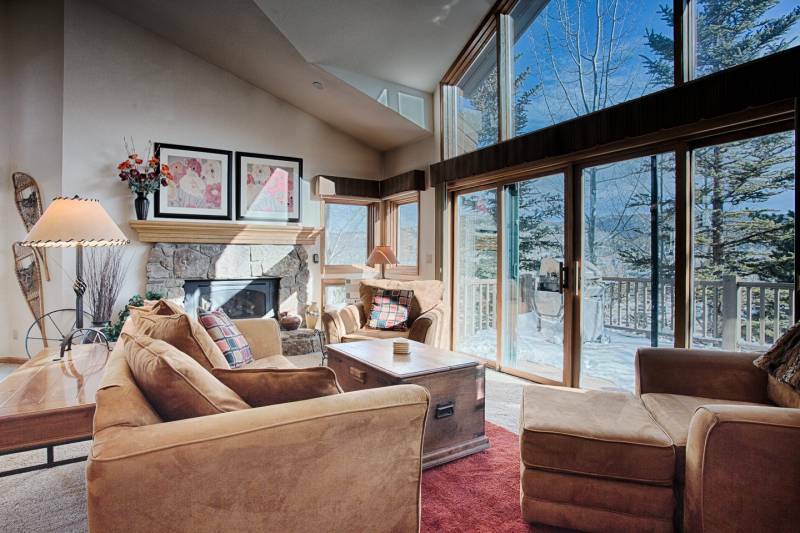 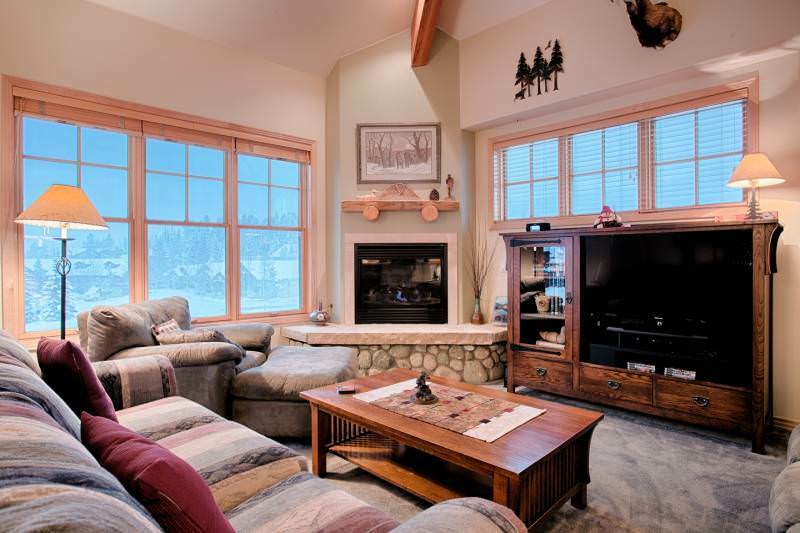 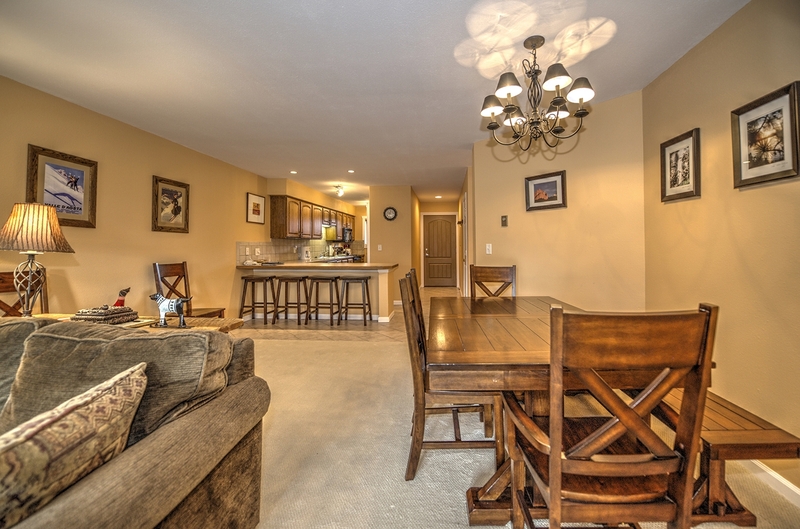 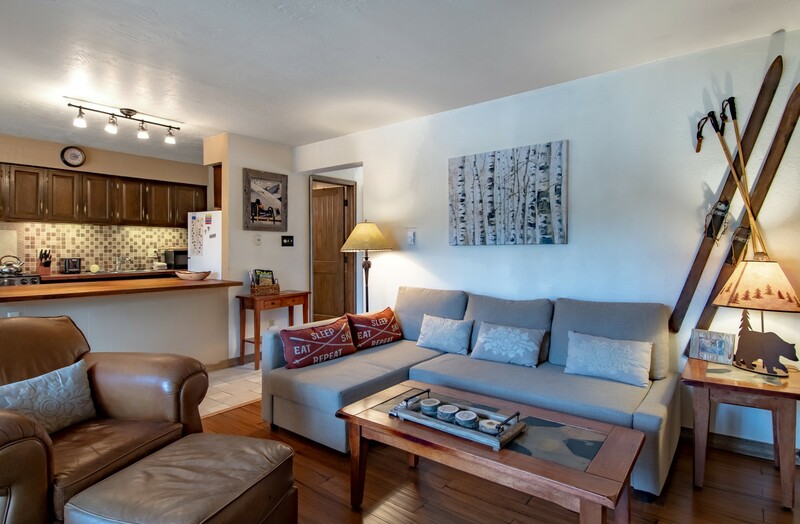 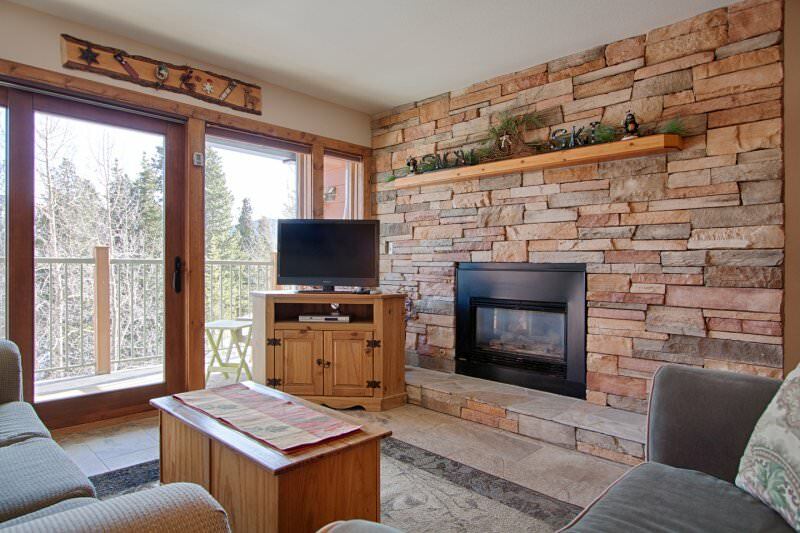 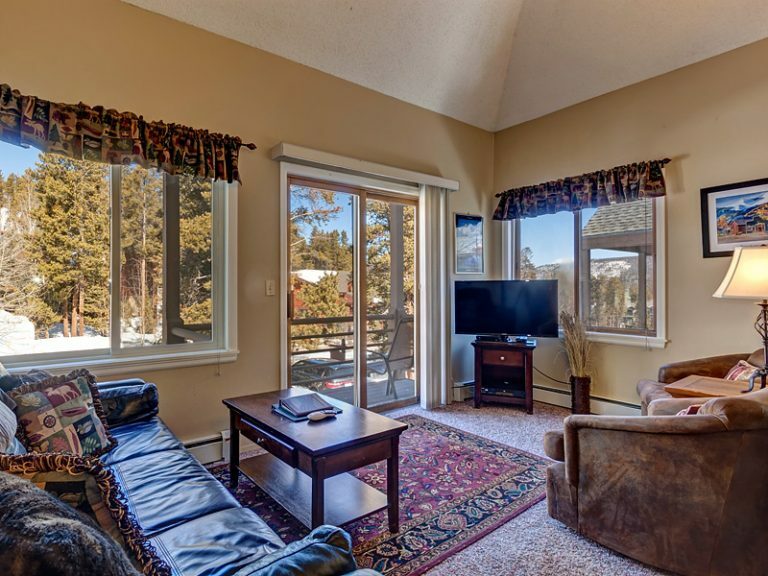 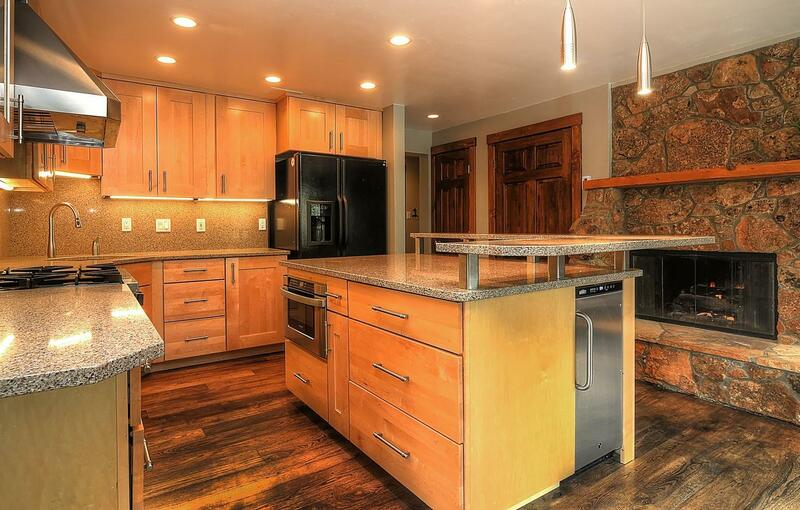 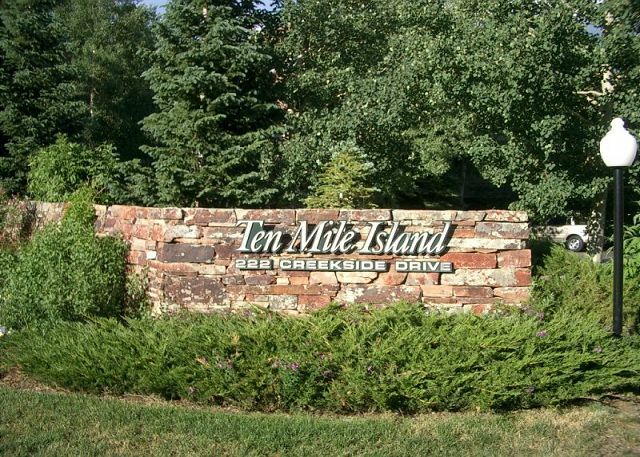 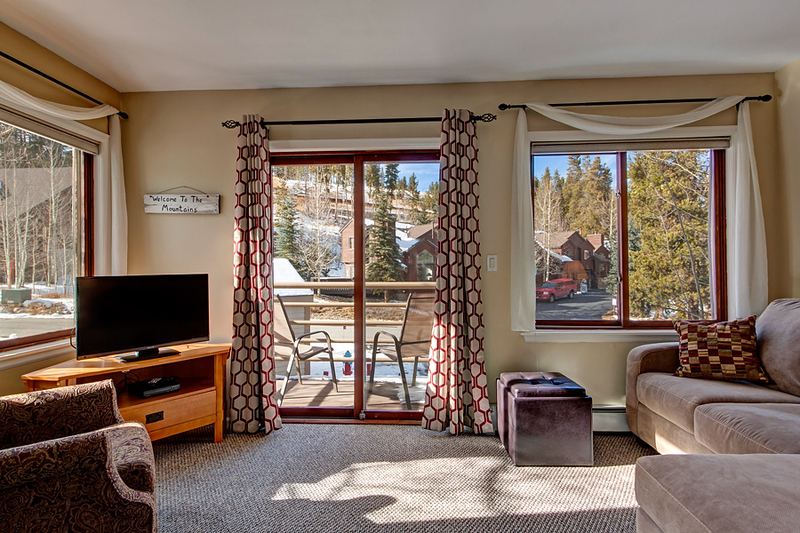 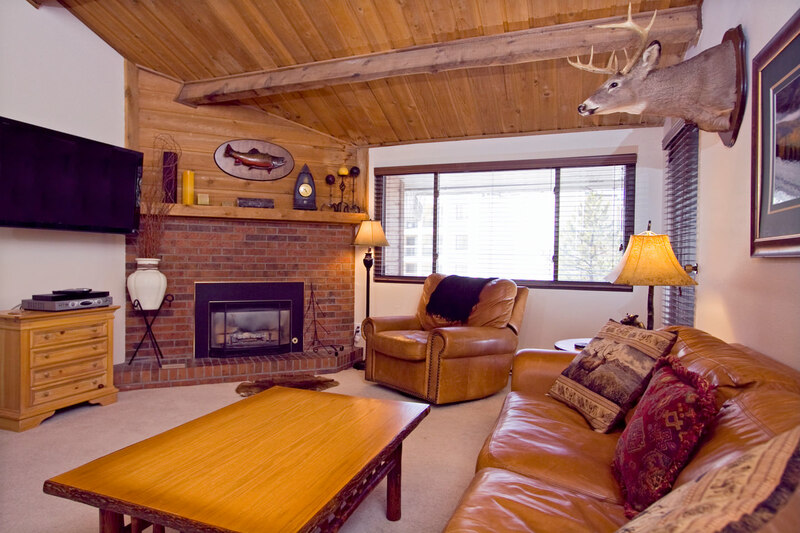 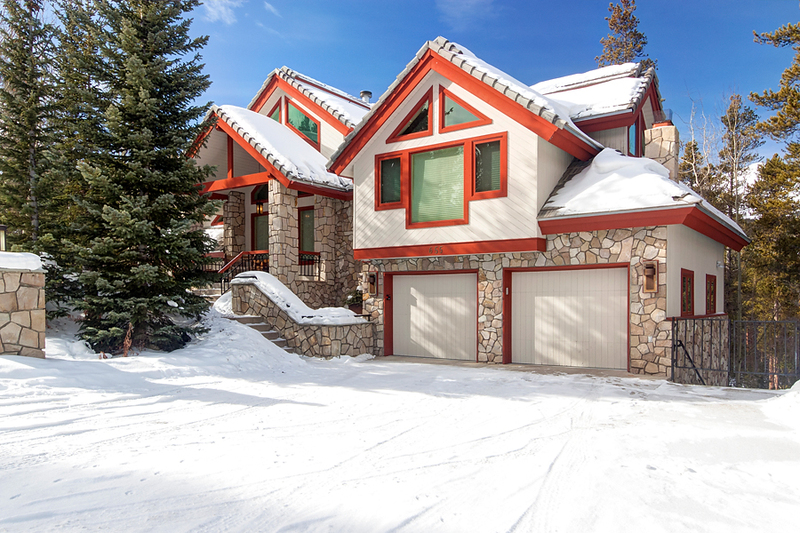 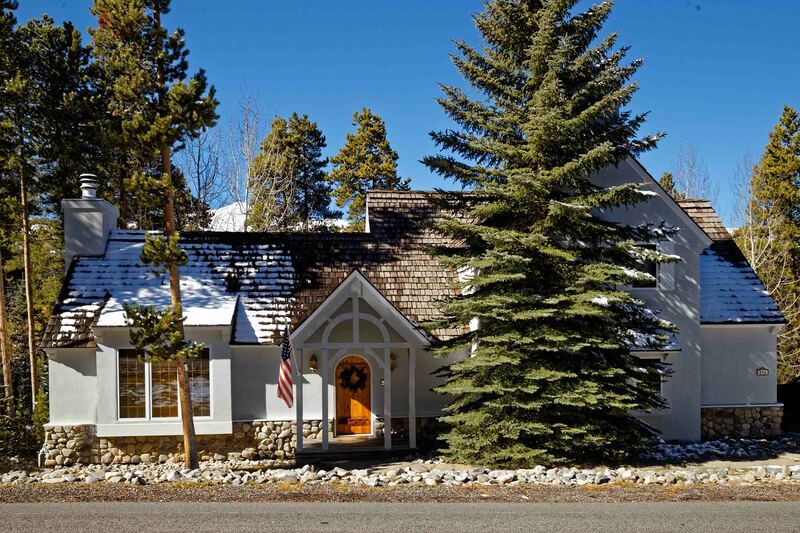 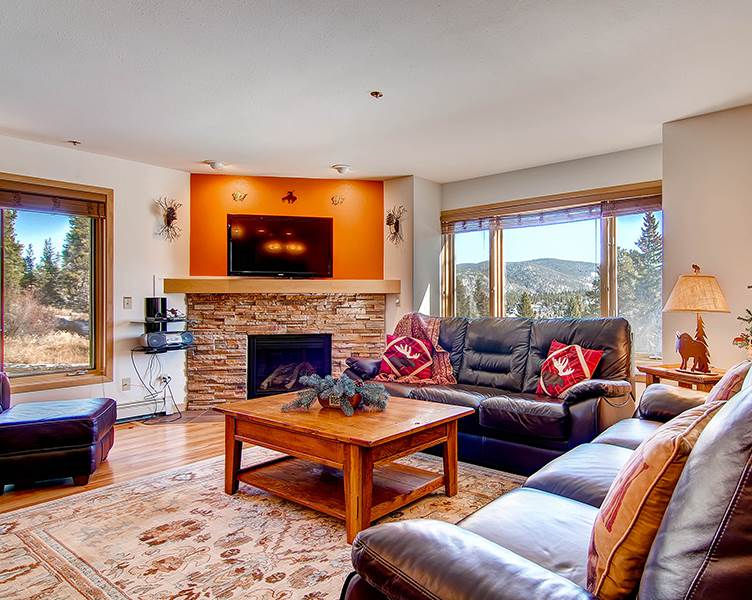 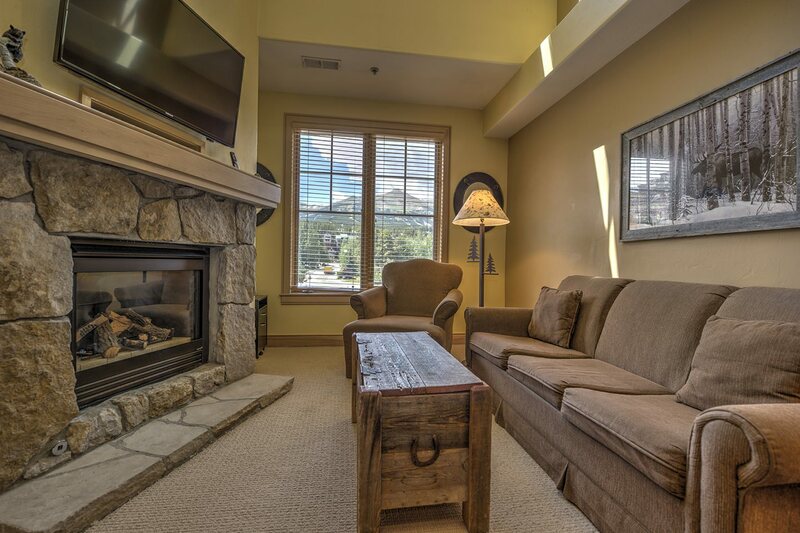 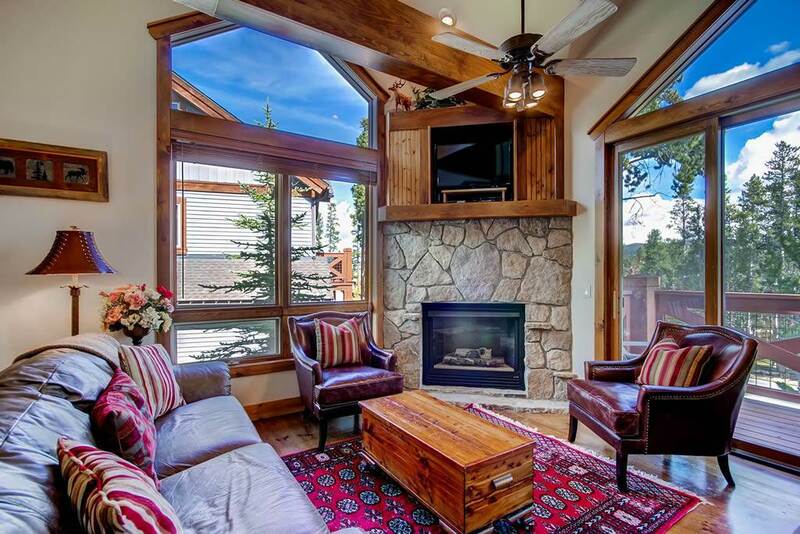 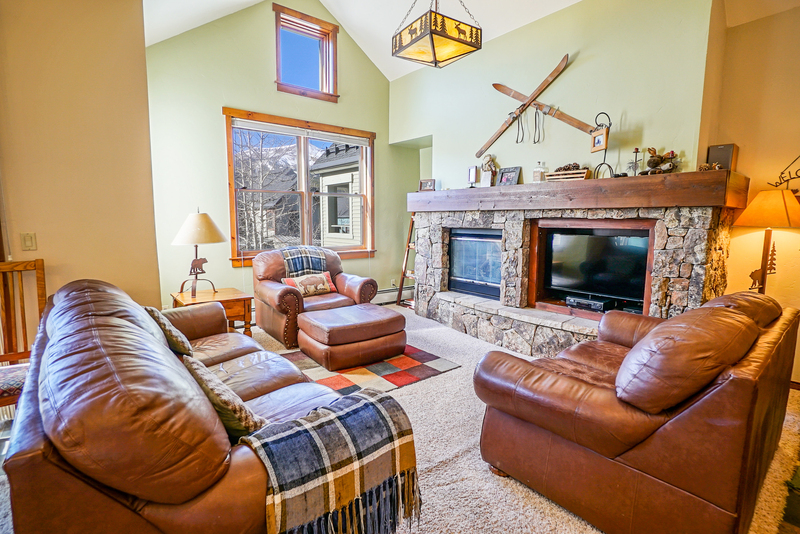 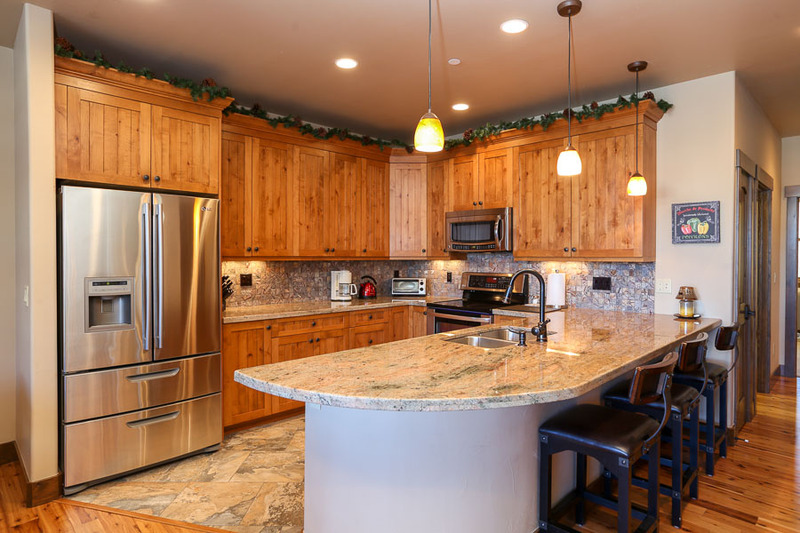 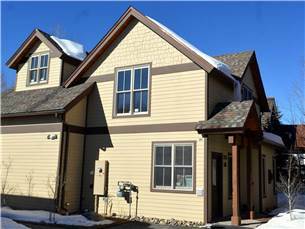 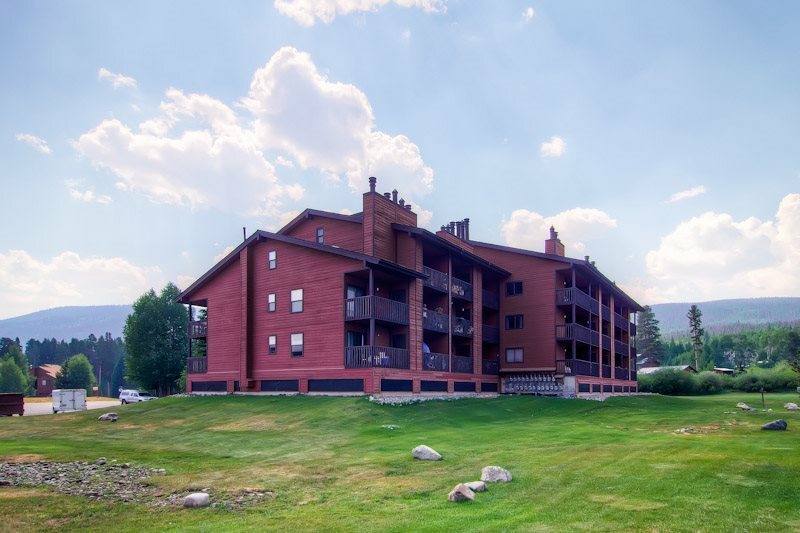 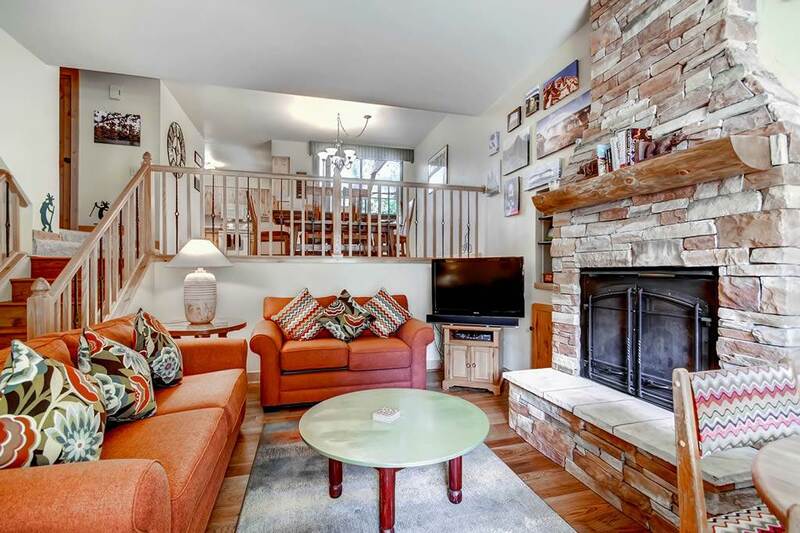 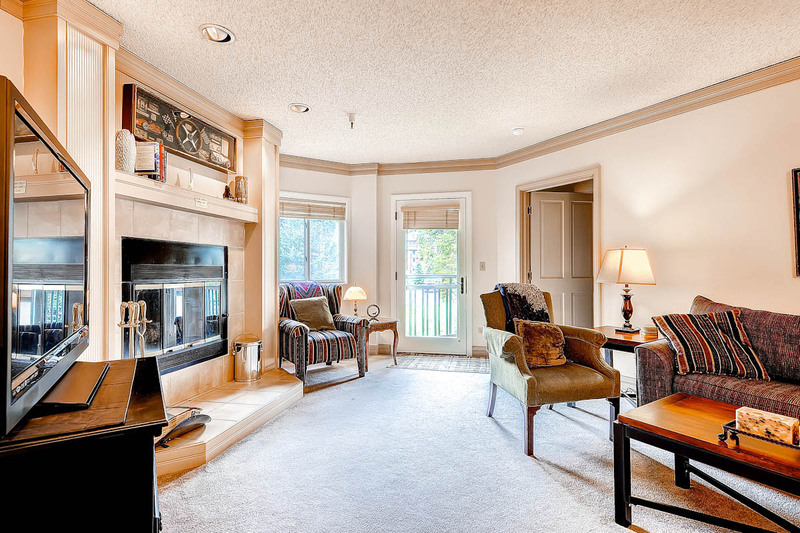 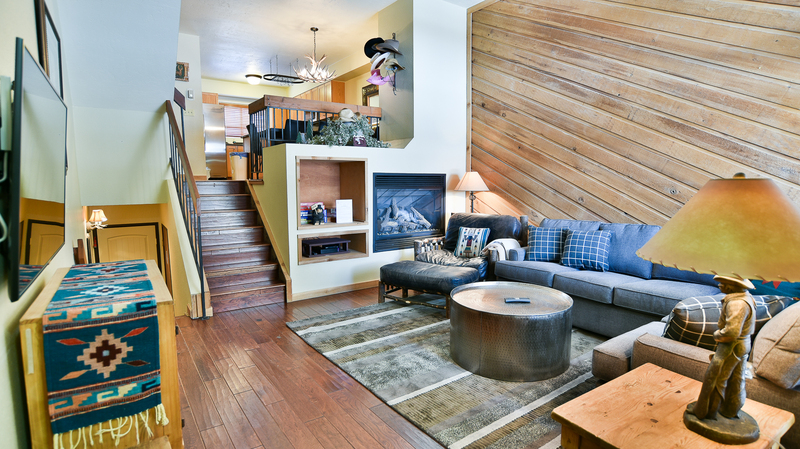 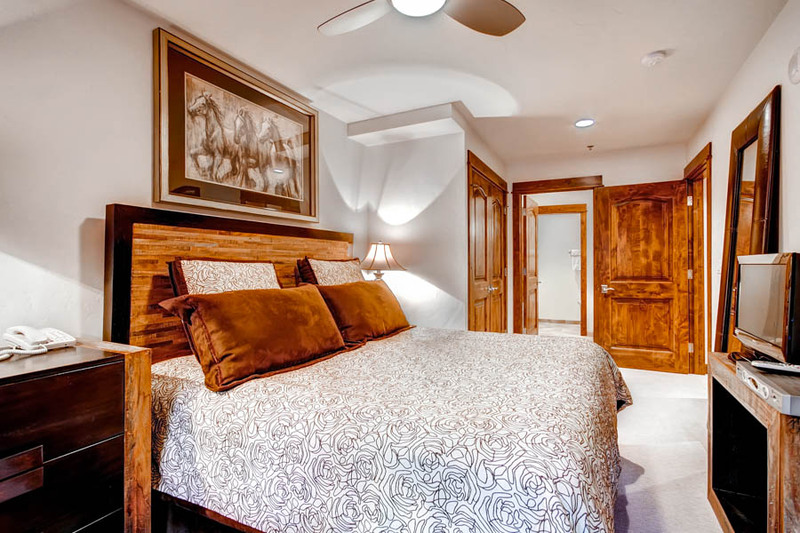 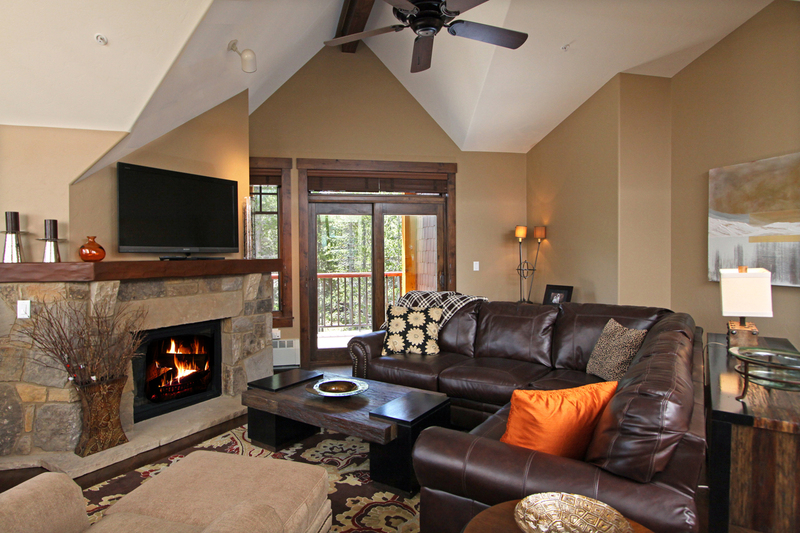 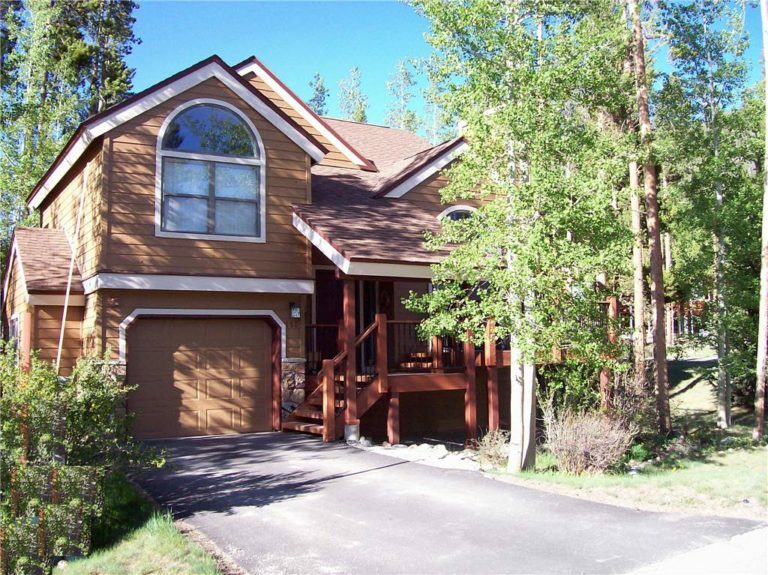 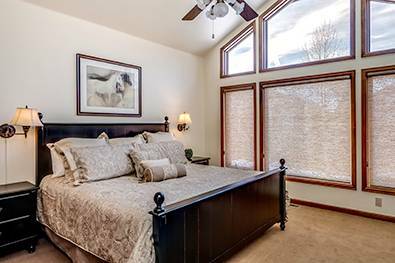 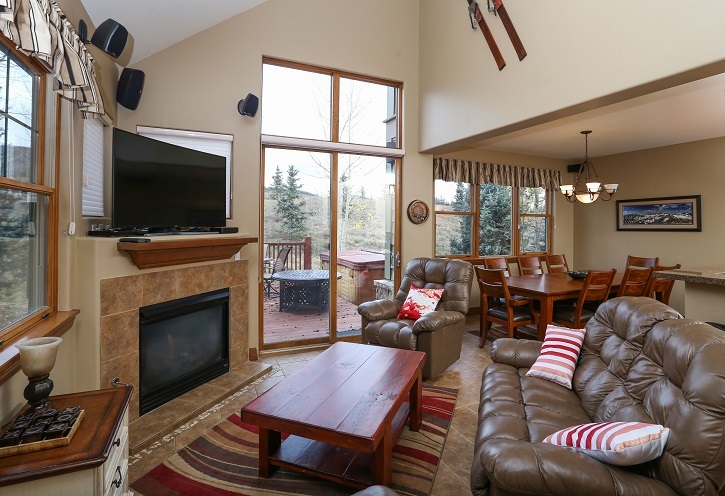 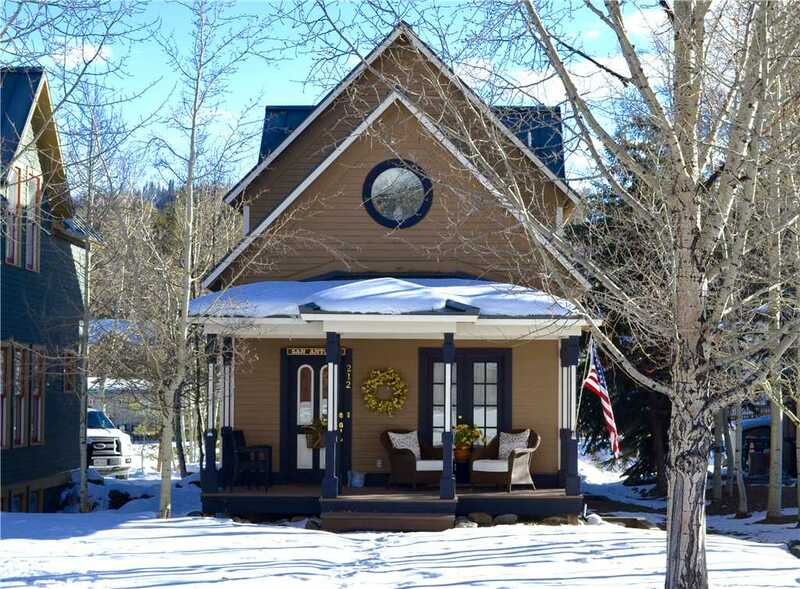 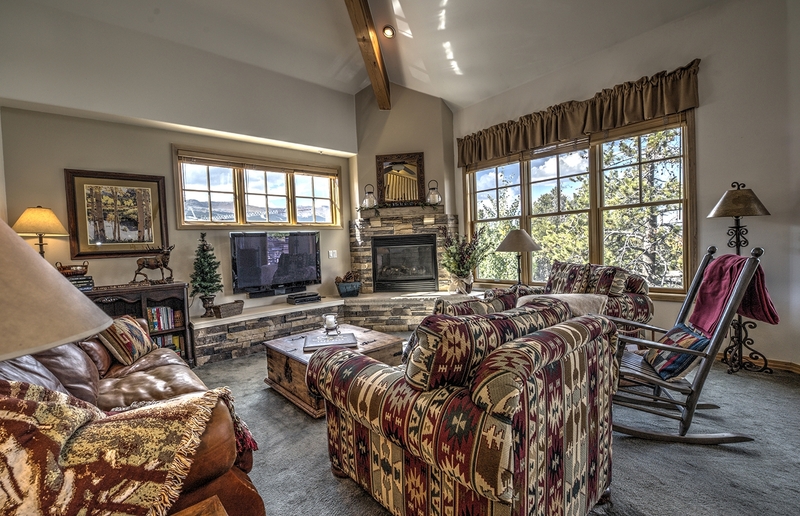 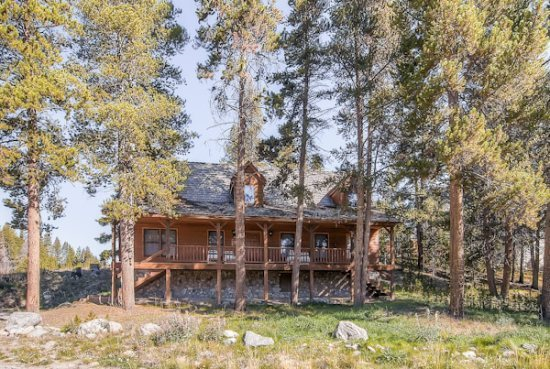 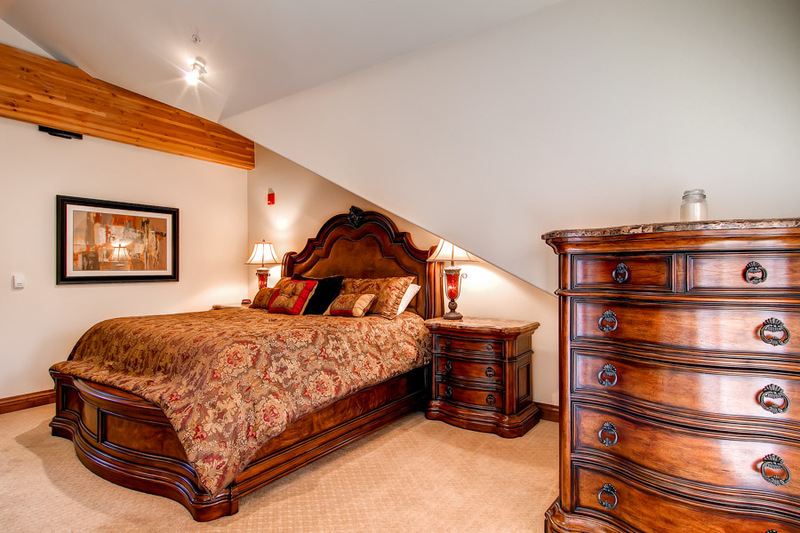 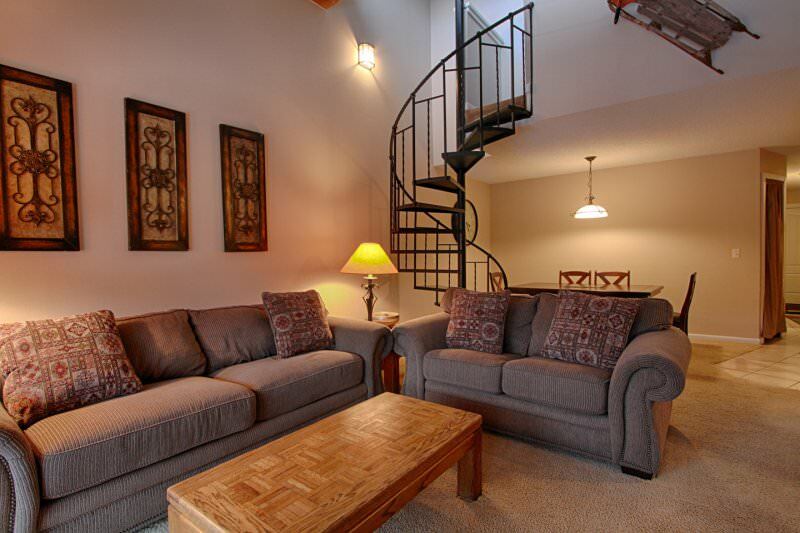 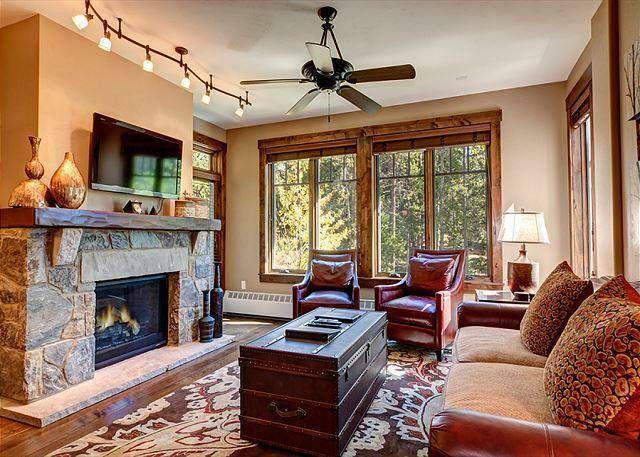 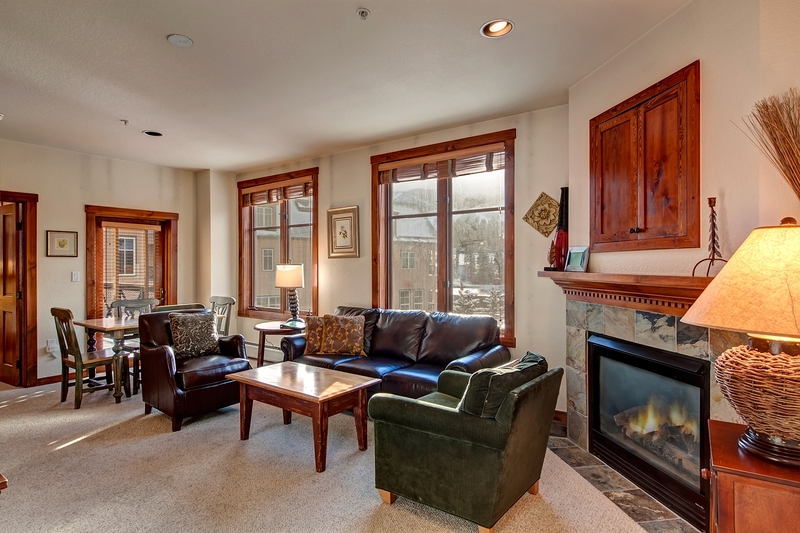 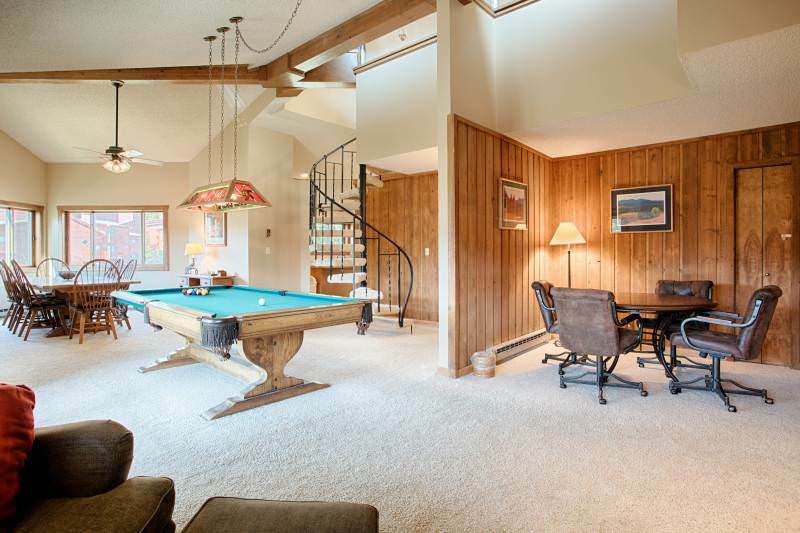 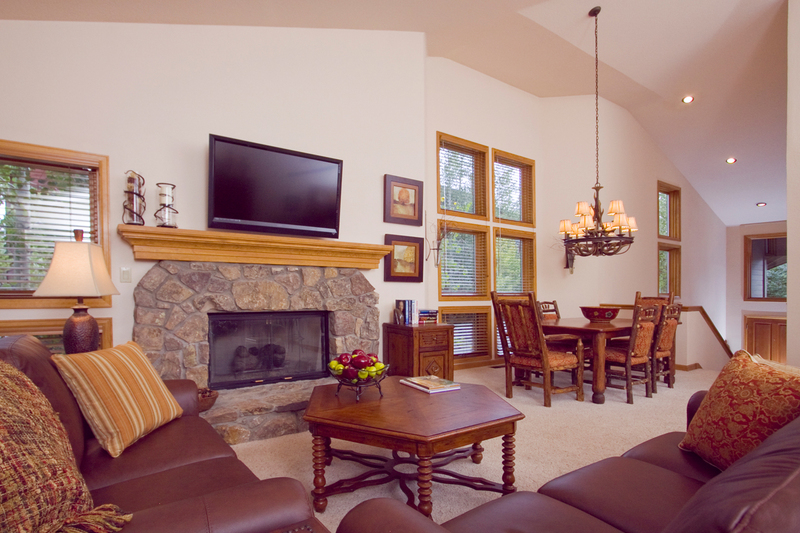 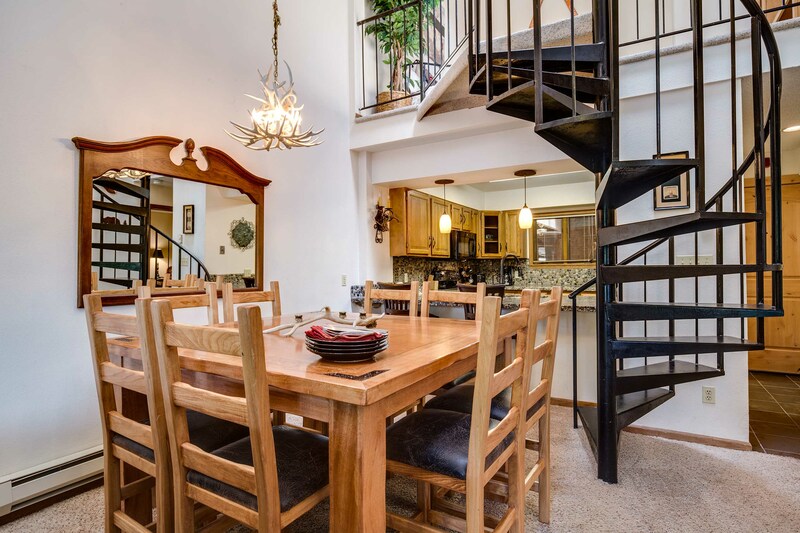 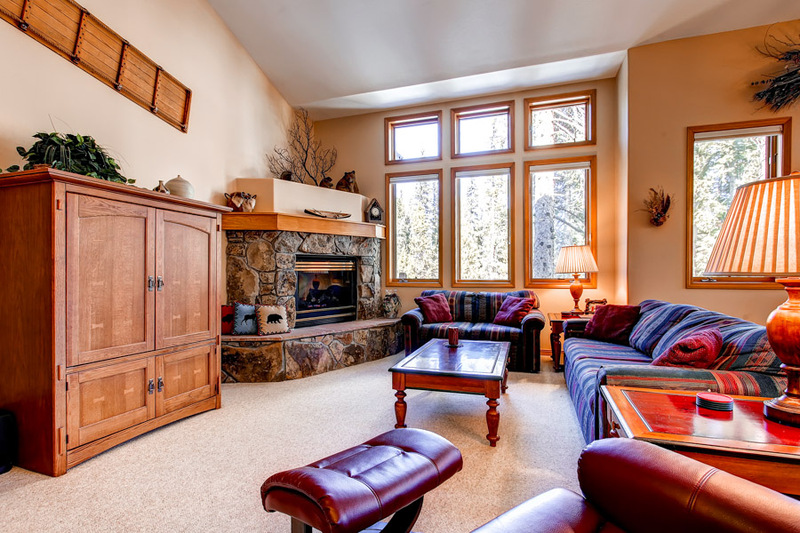 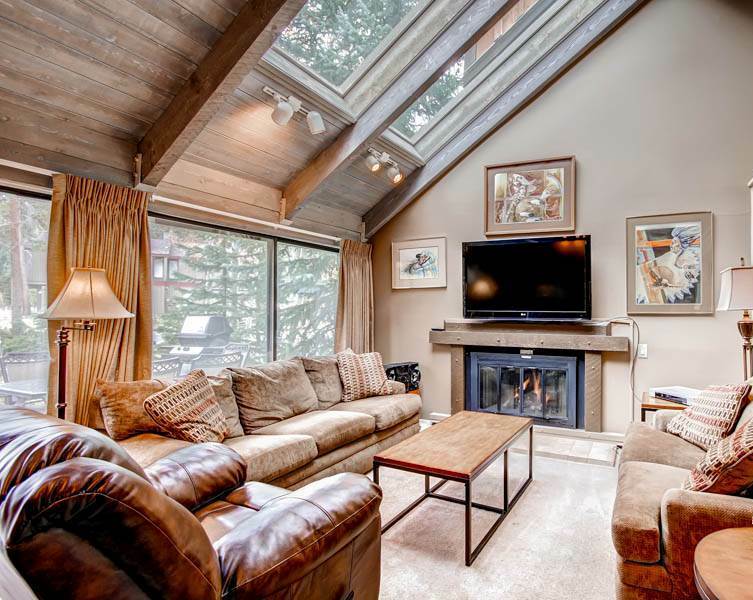 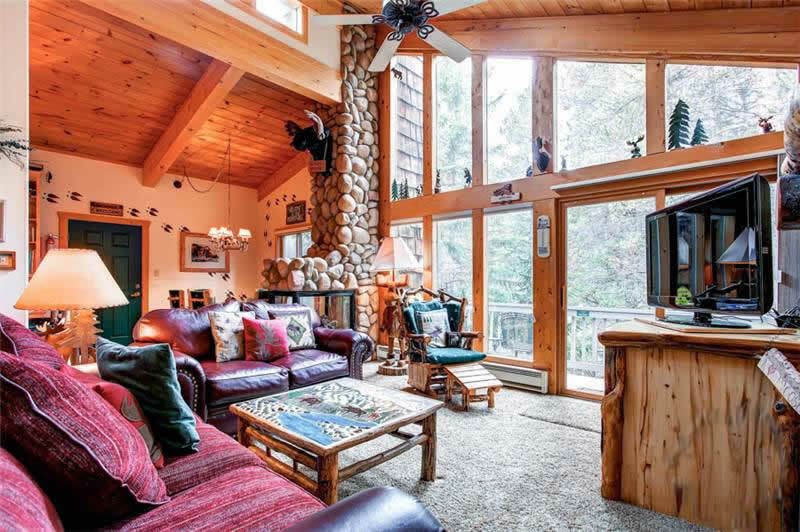 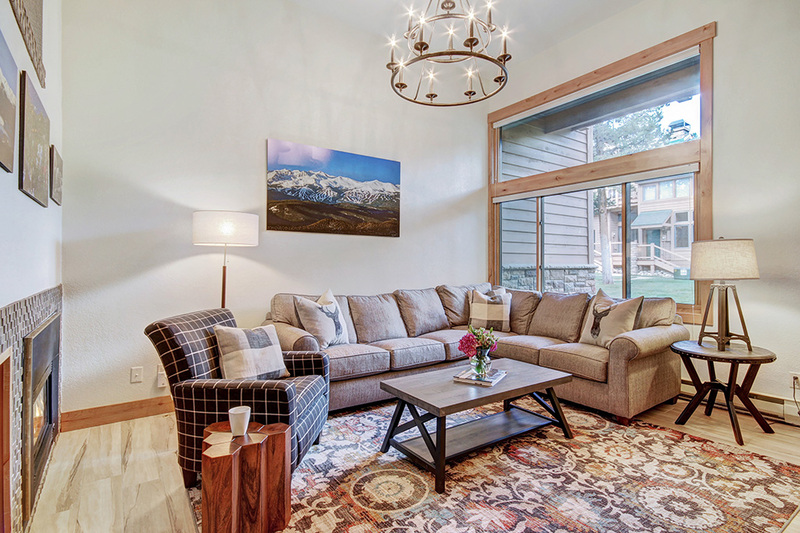 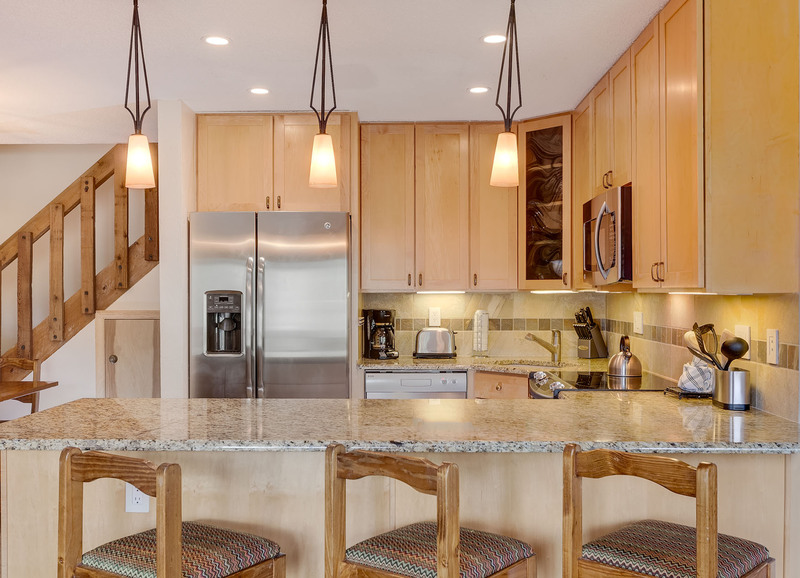 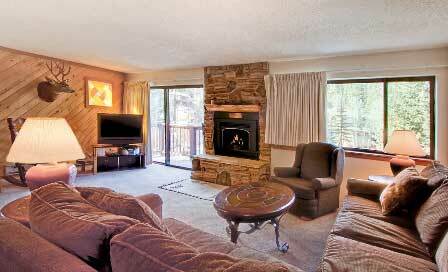 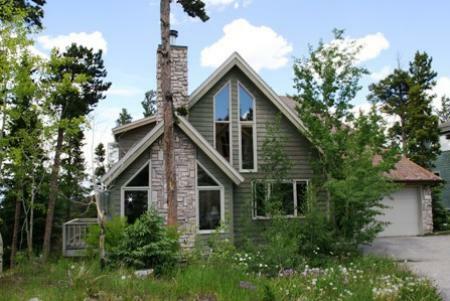 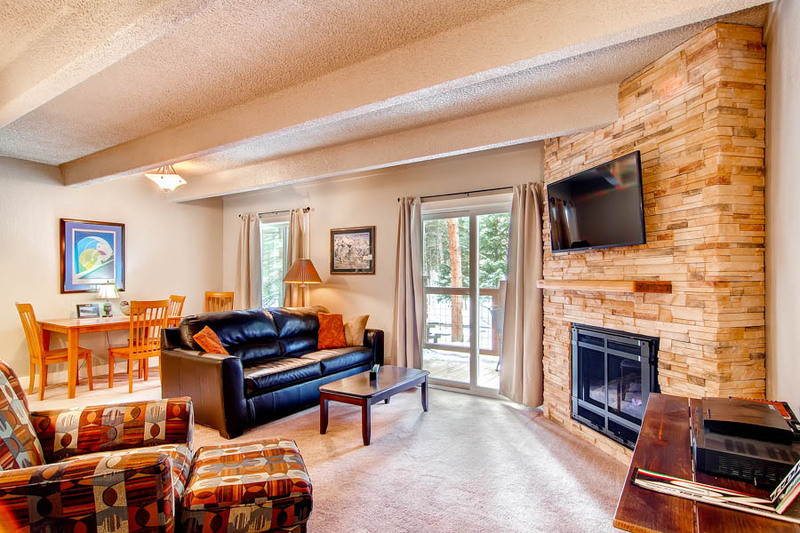 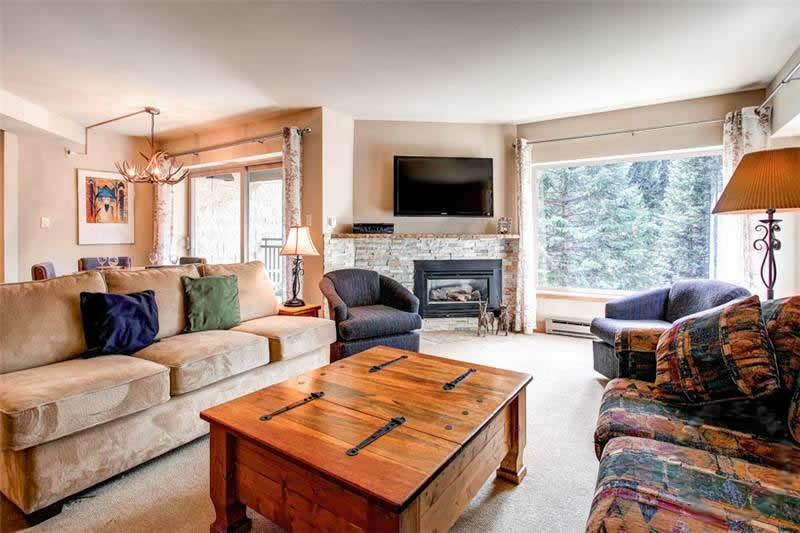 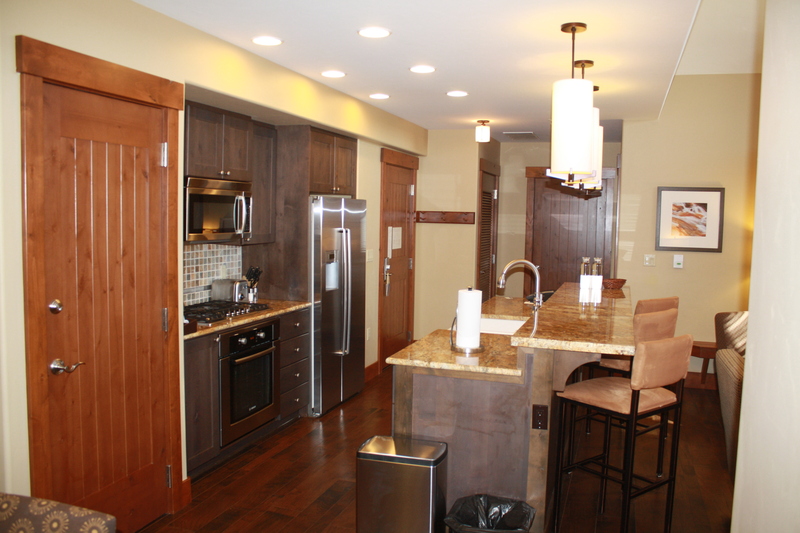 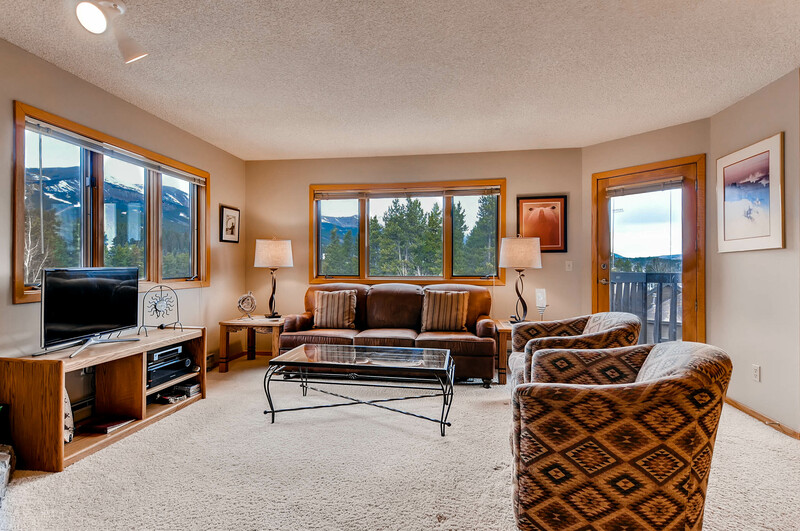 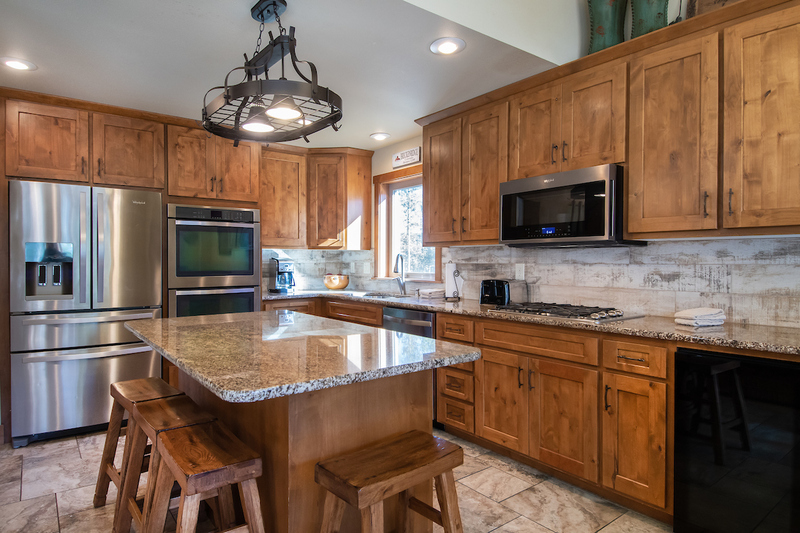 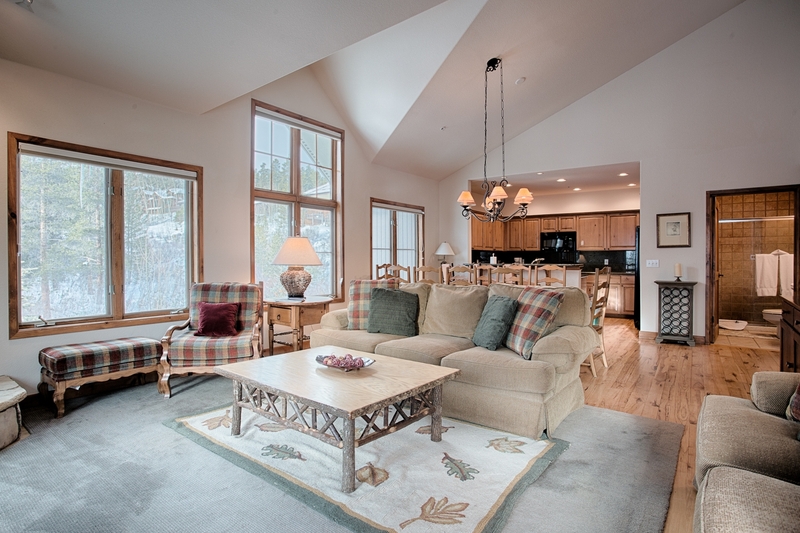 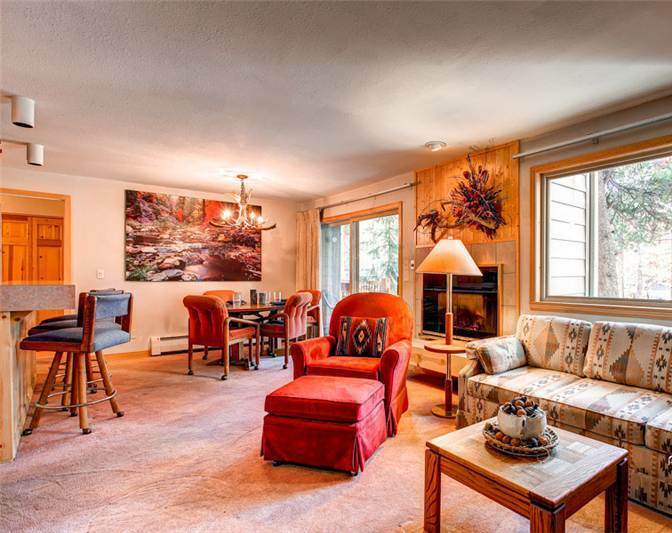 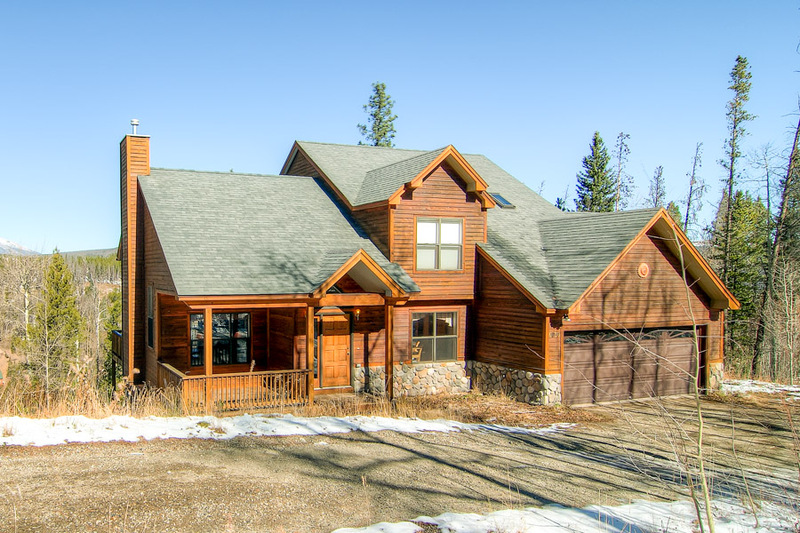 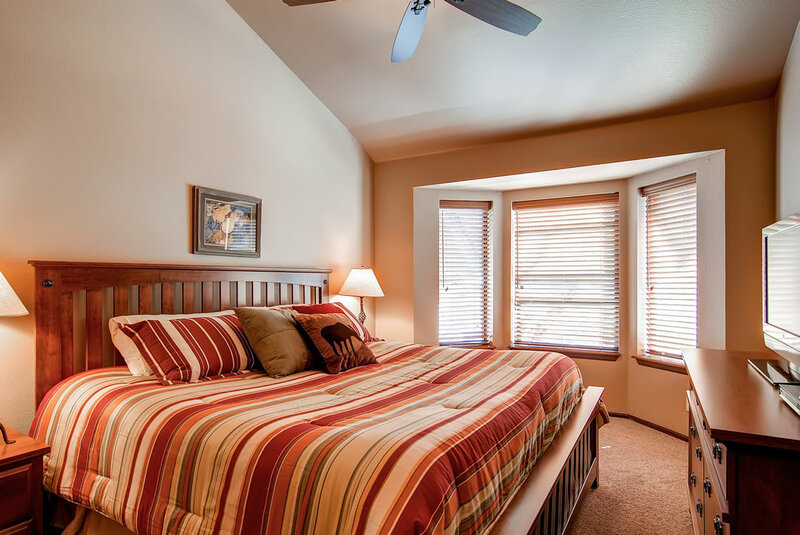 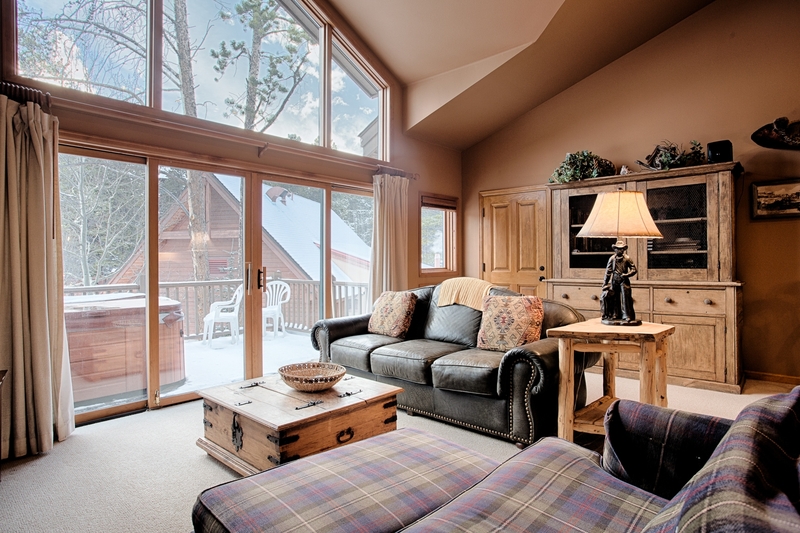 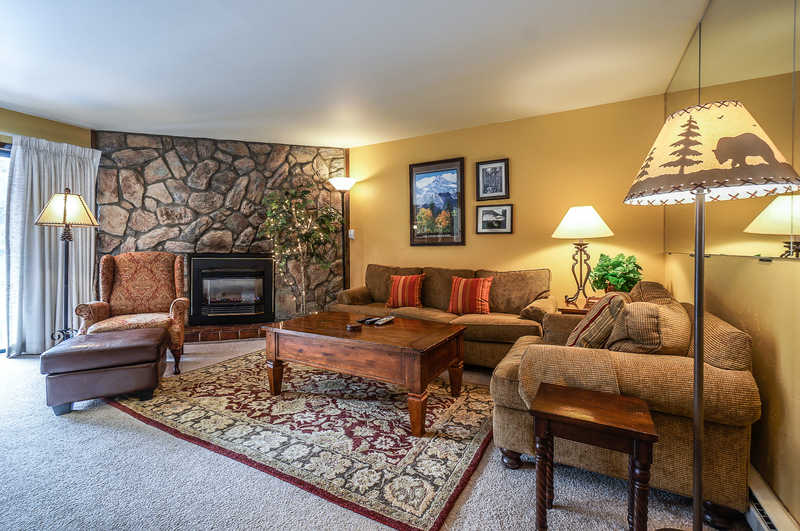 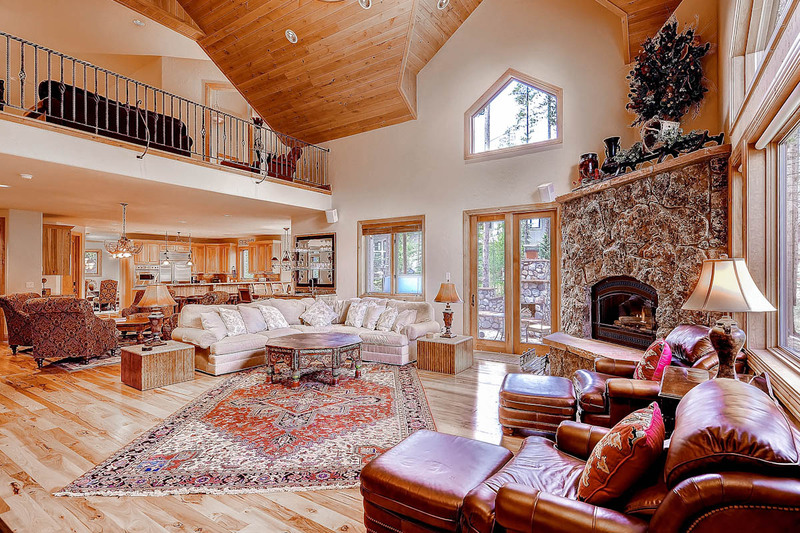 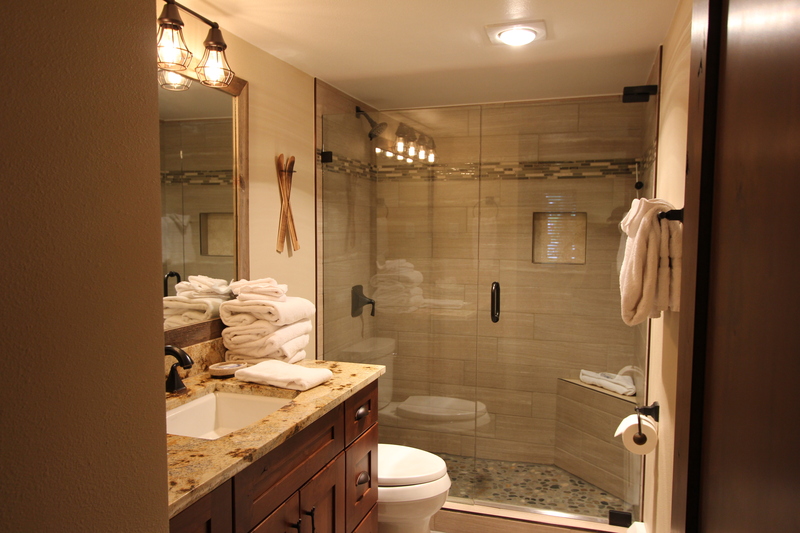 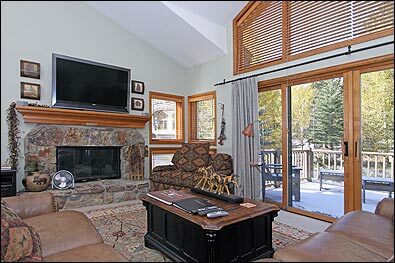 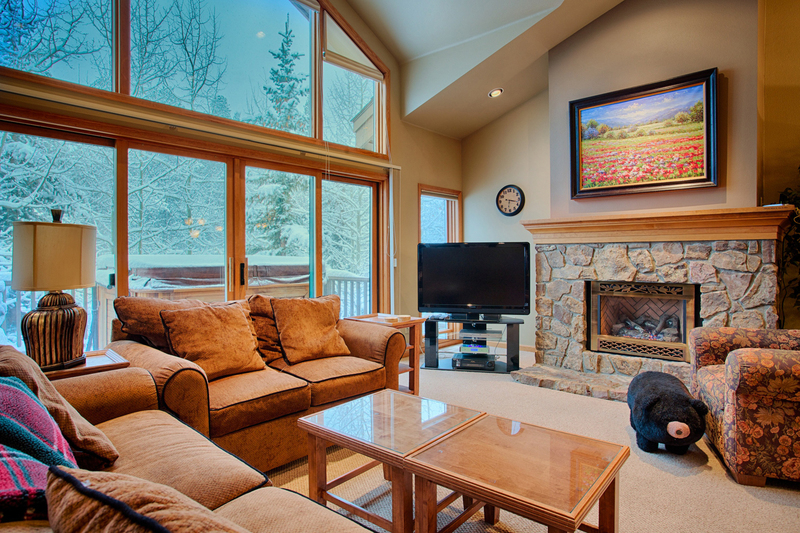 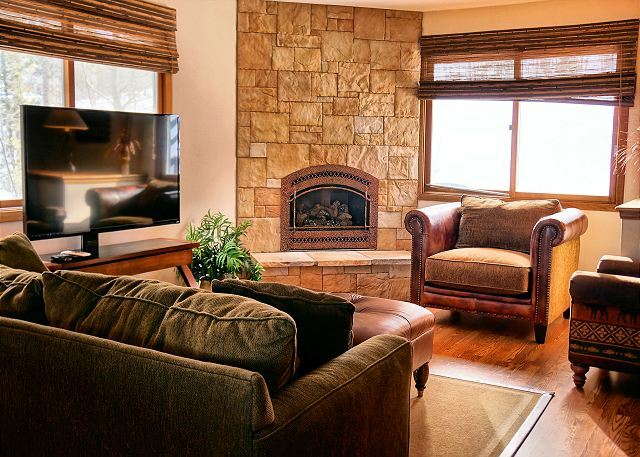 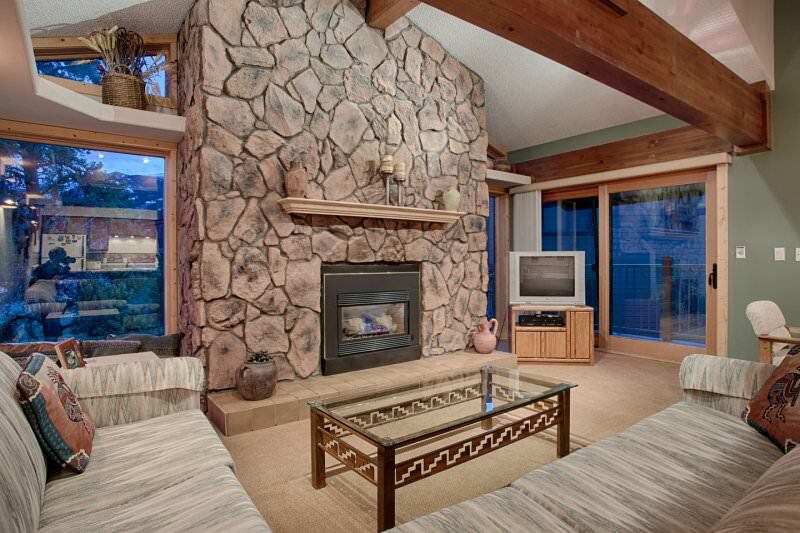 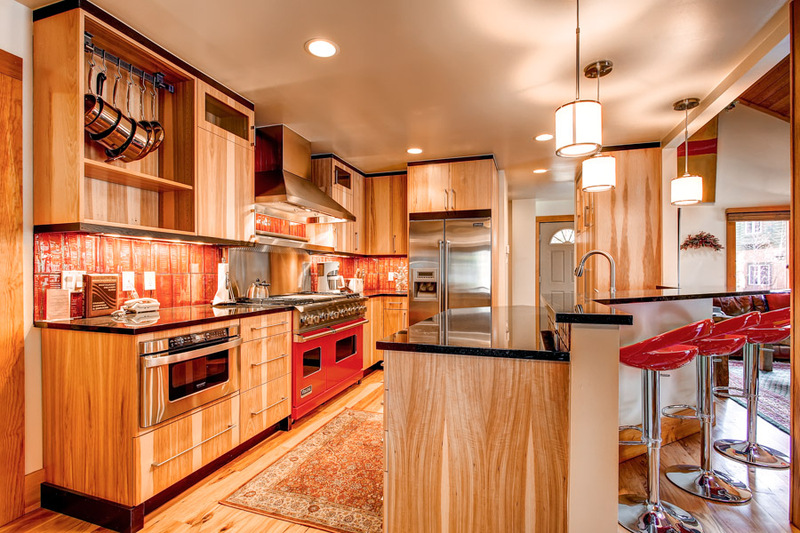 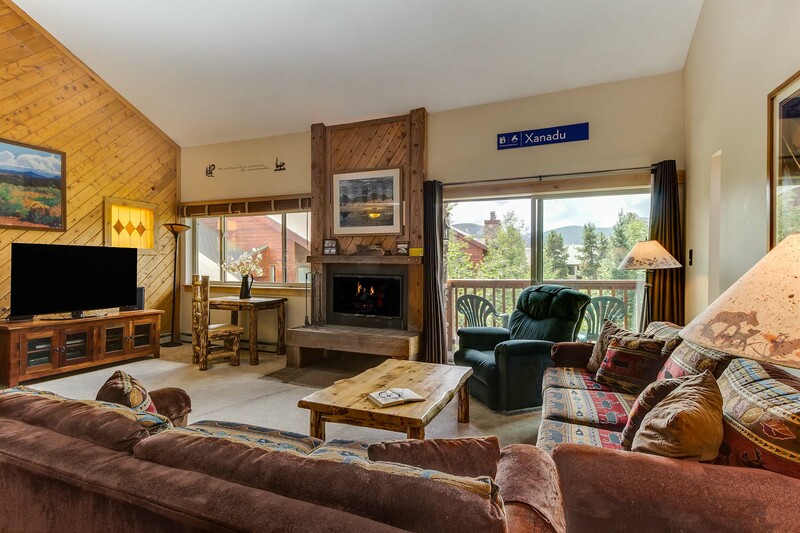 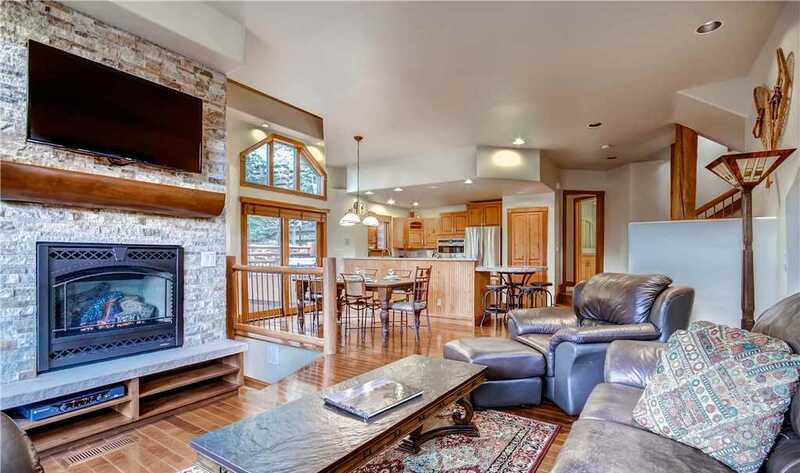 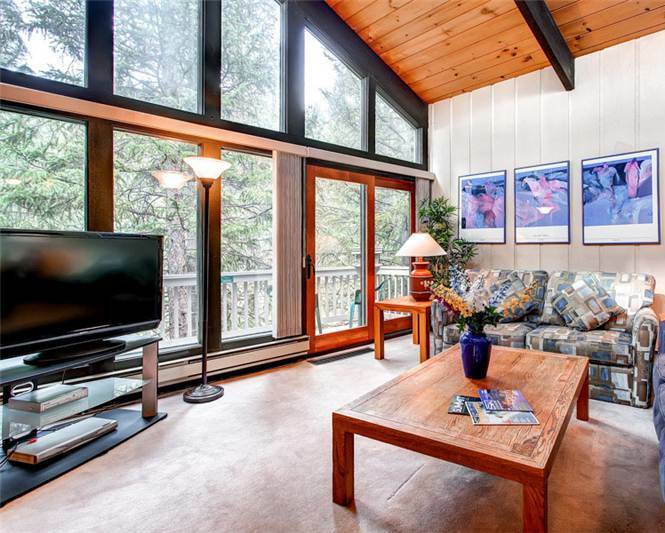 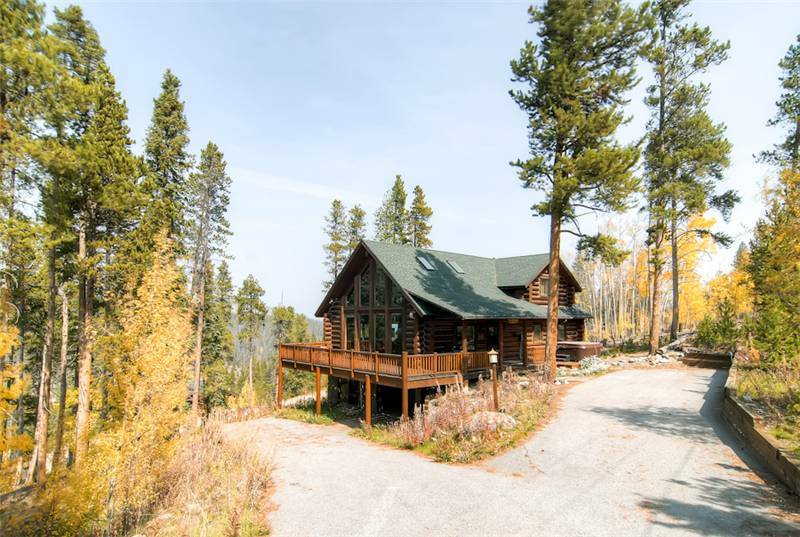 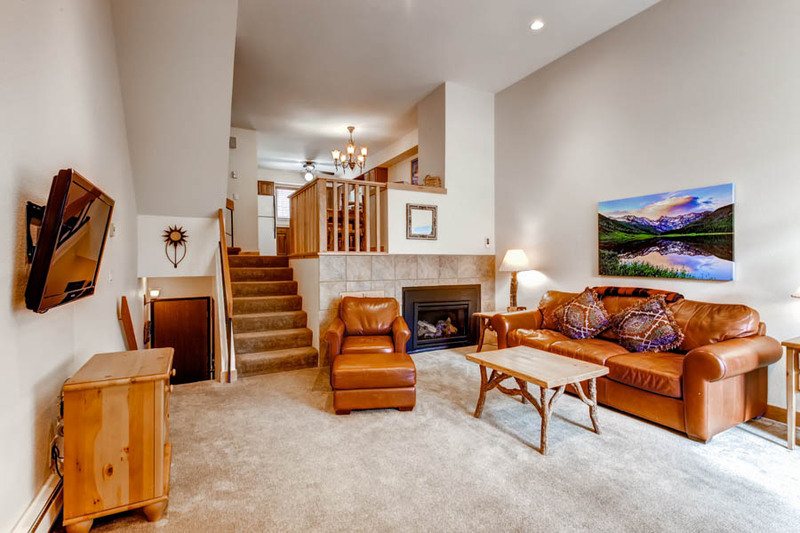 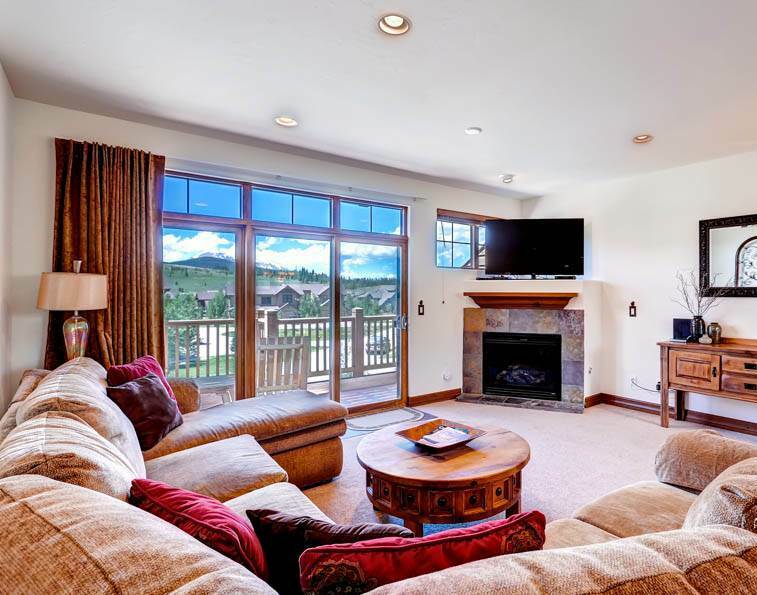 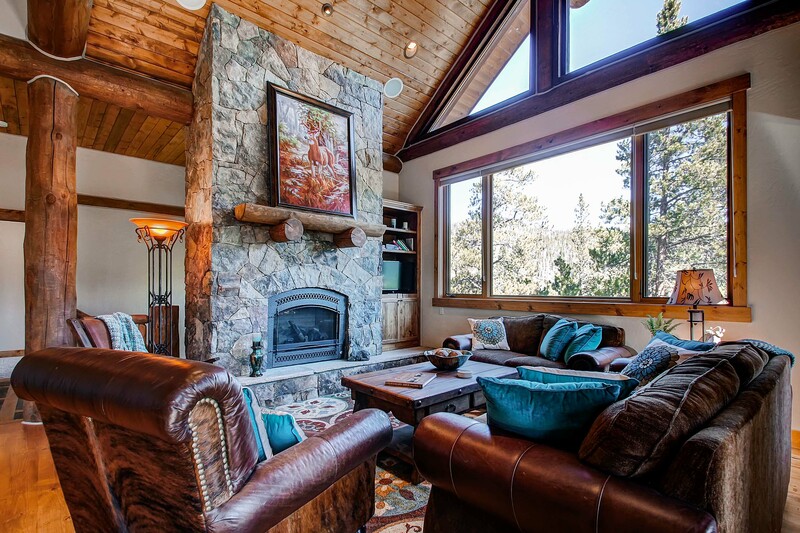 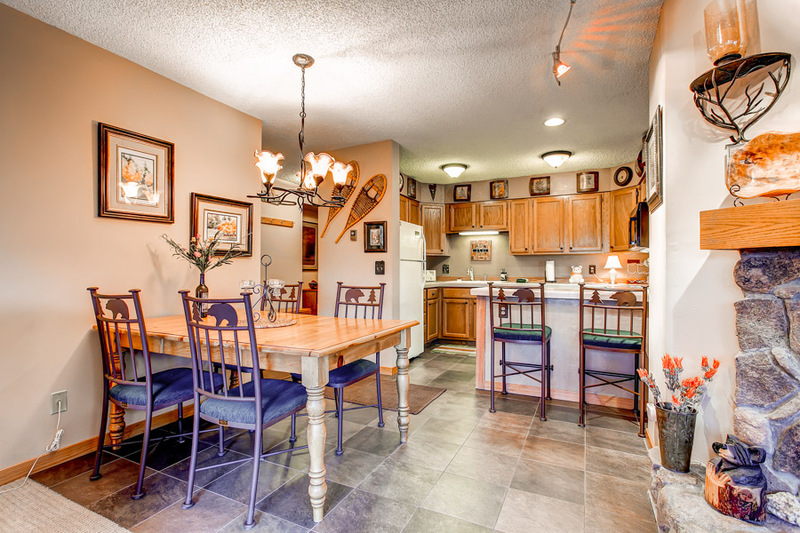 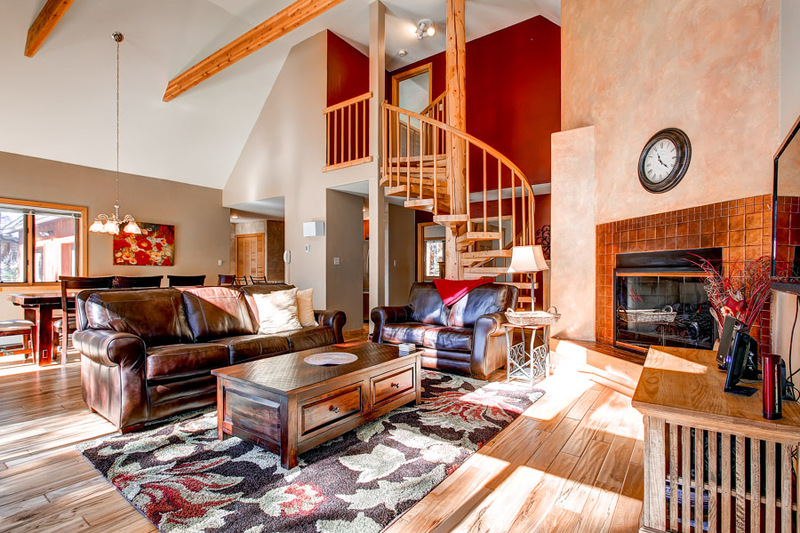 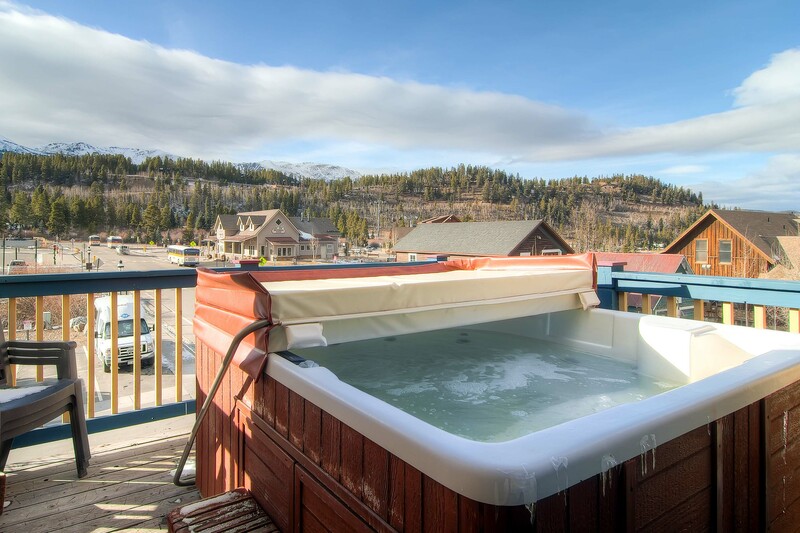 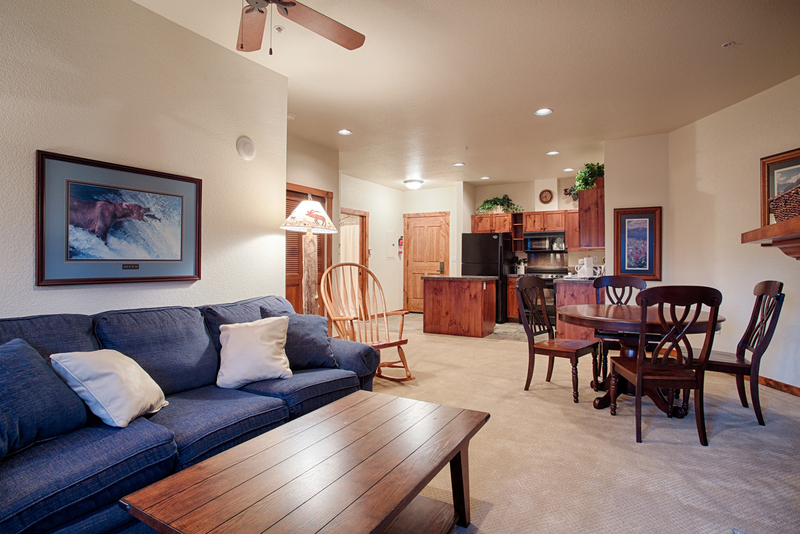 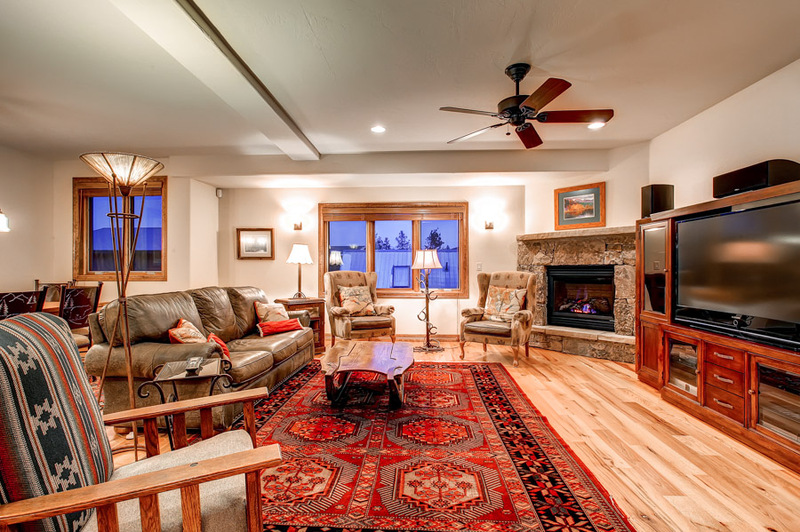 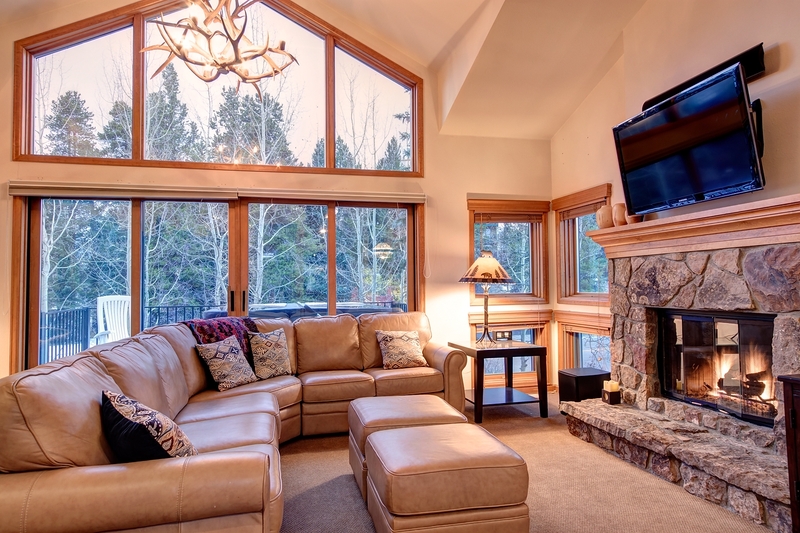 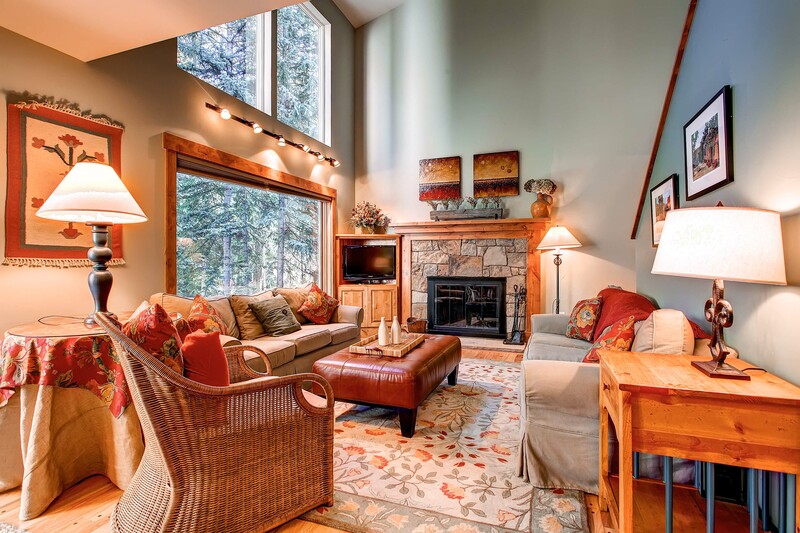 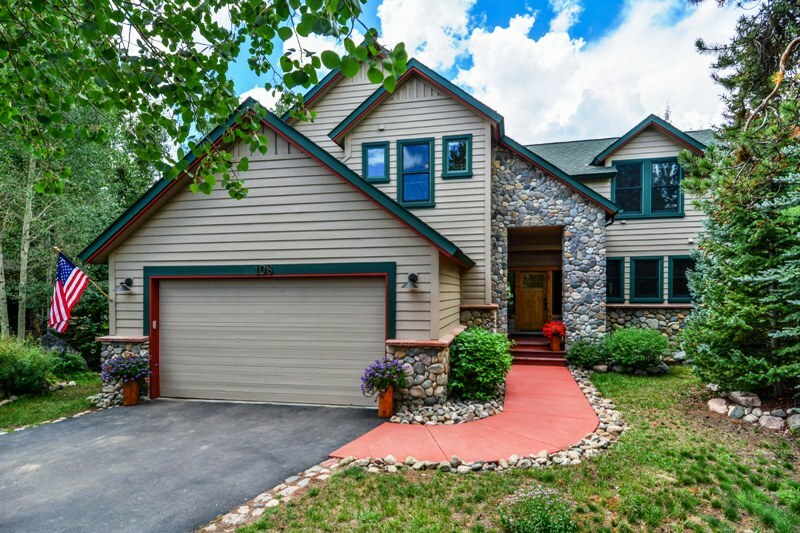 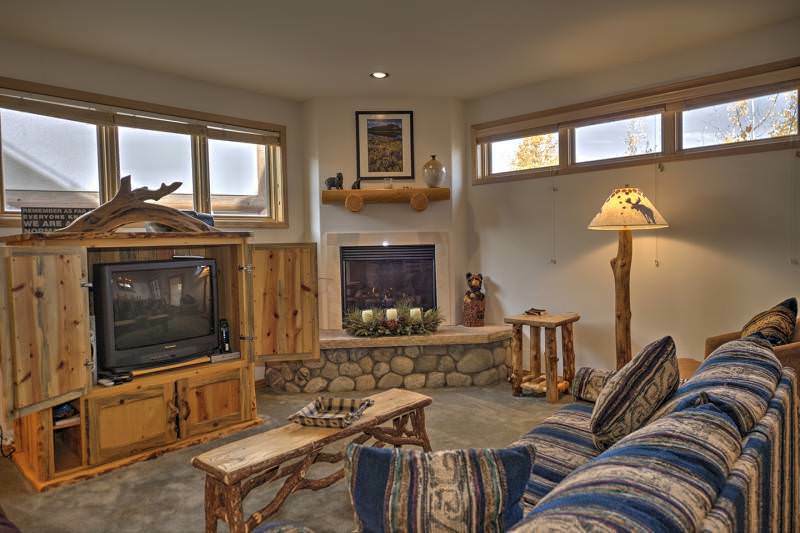 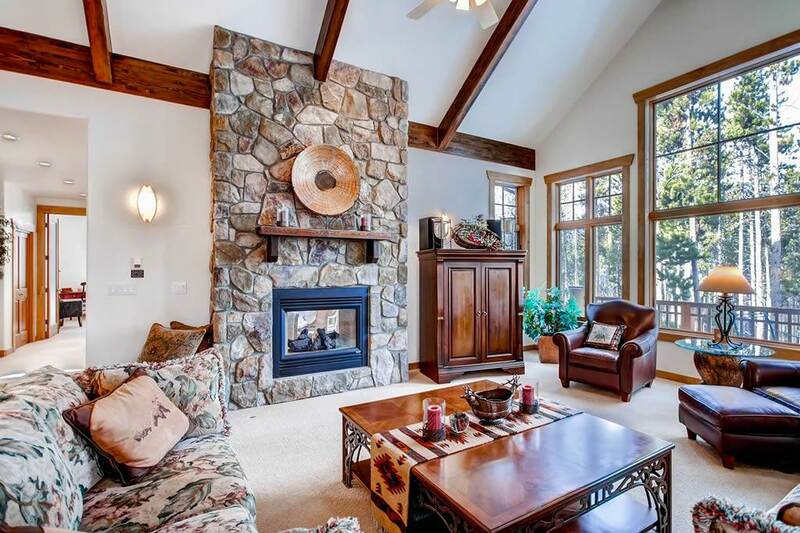 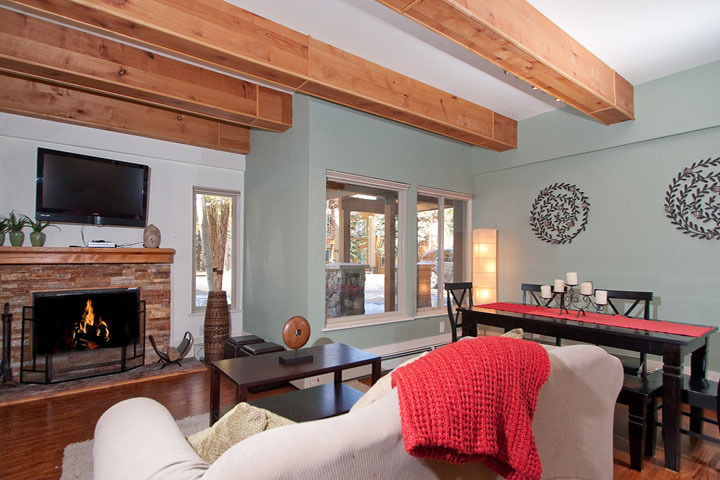 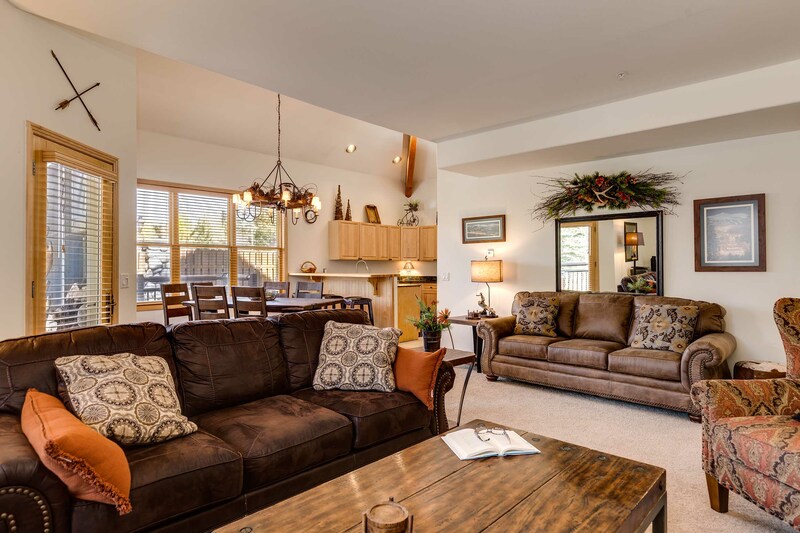 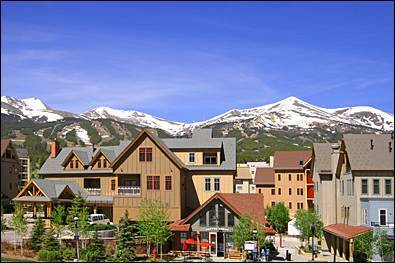 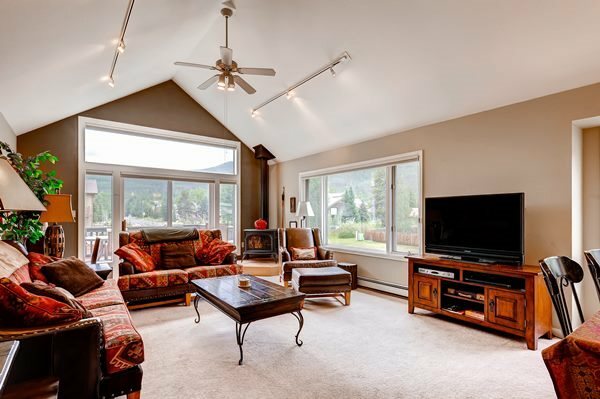 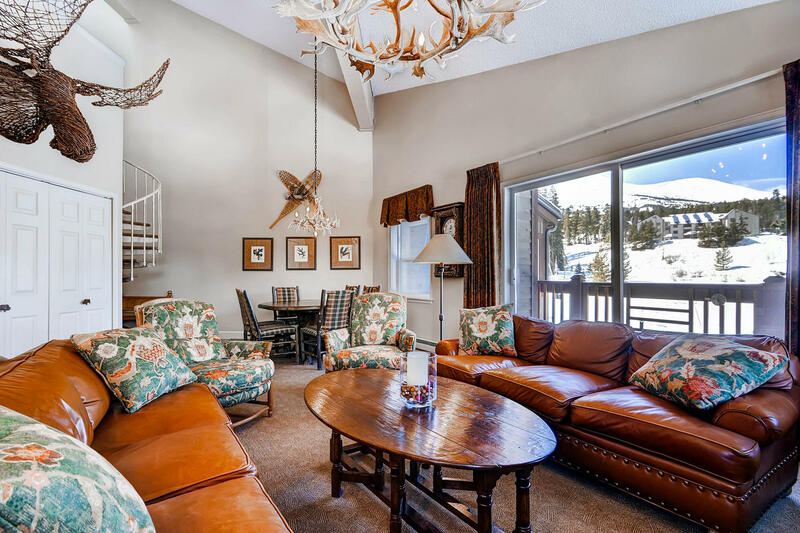 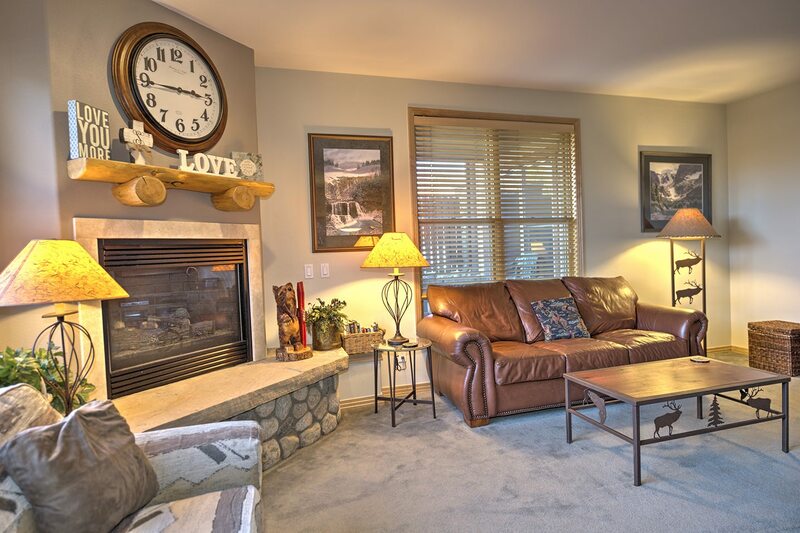 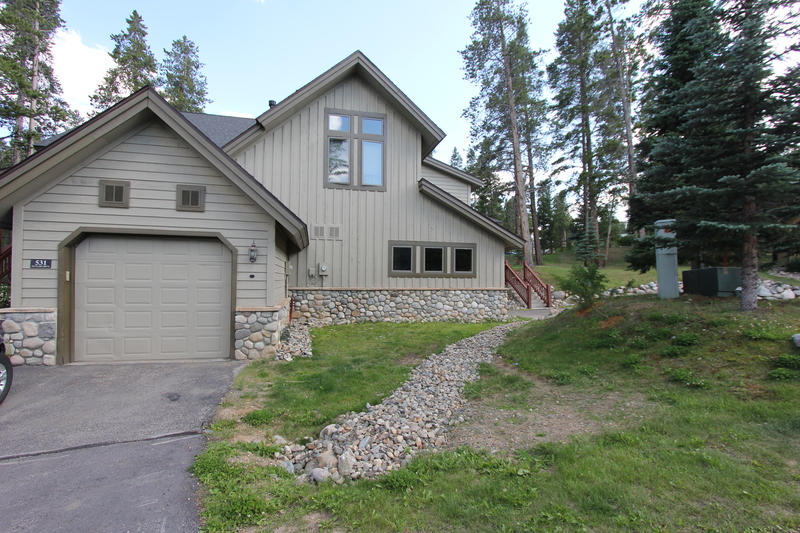 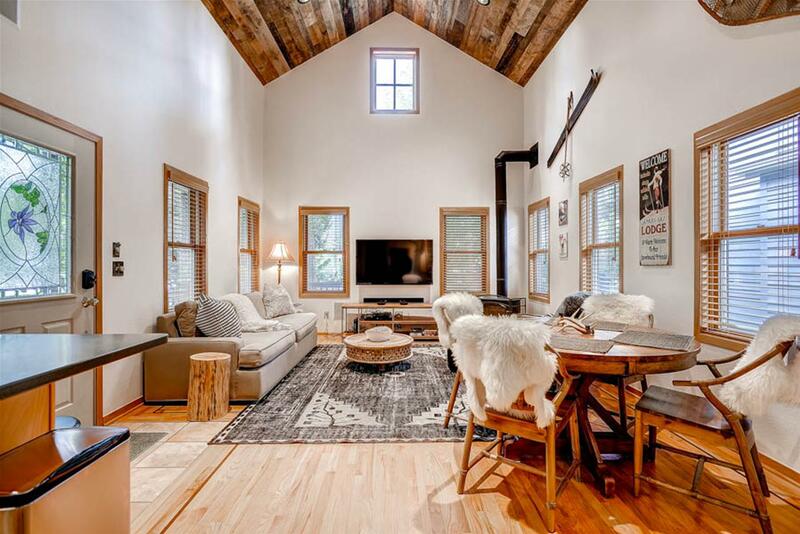 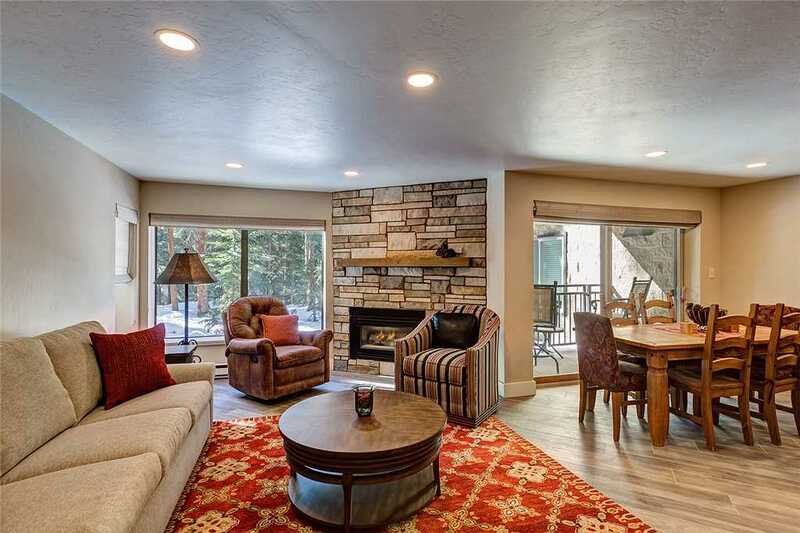 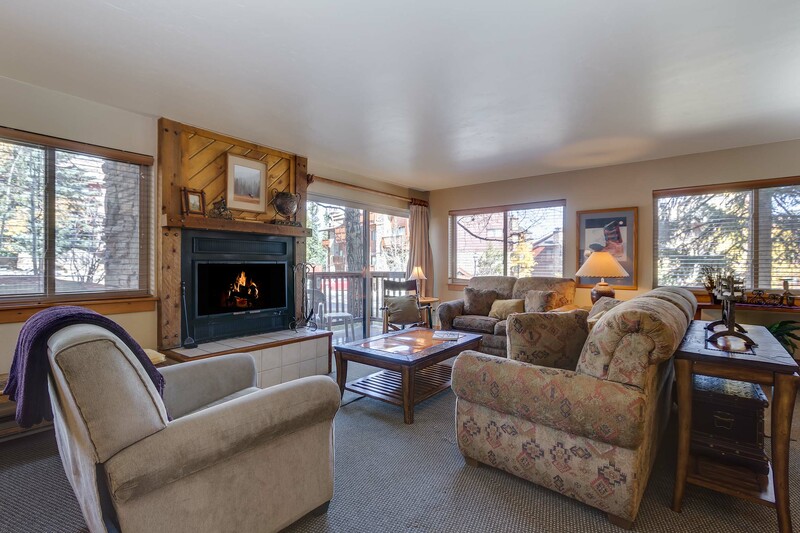 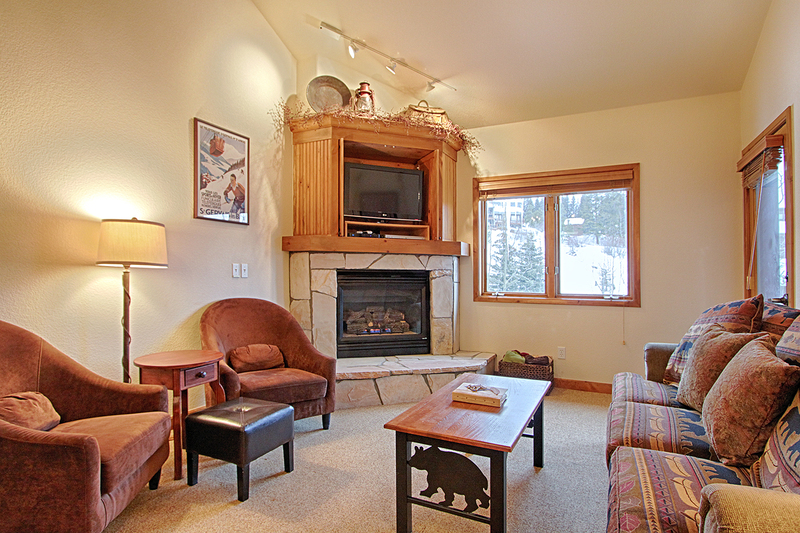 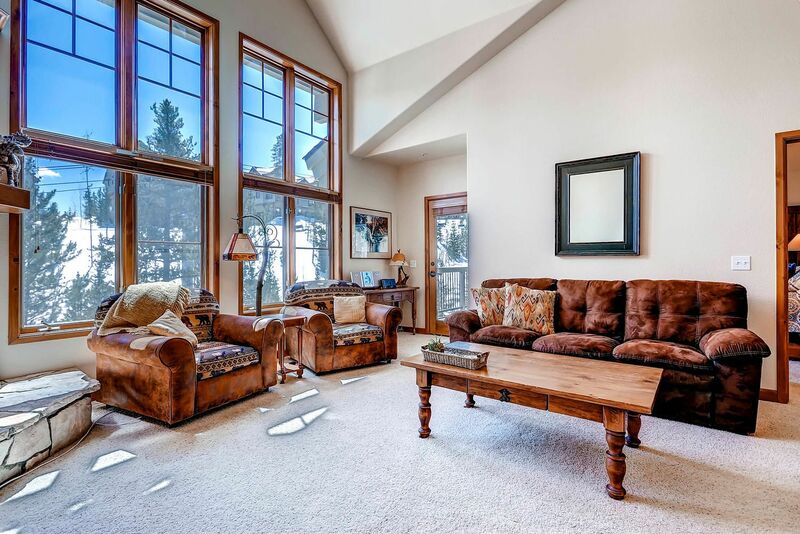 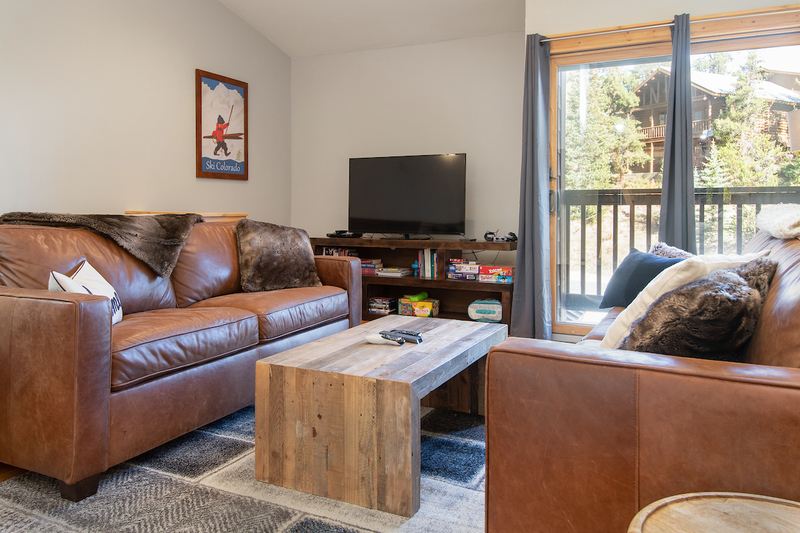 Best Location in Breckenridge! 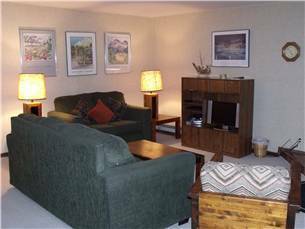 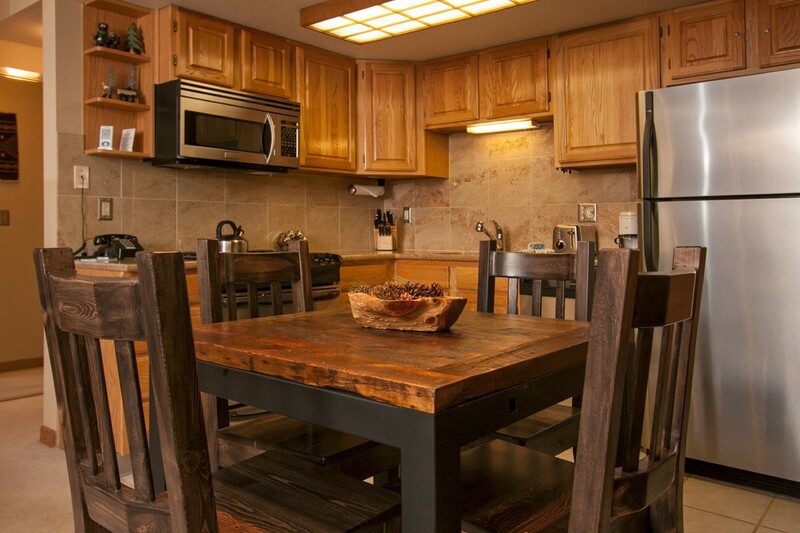 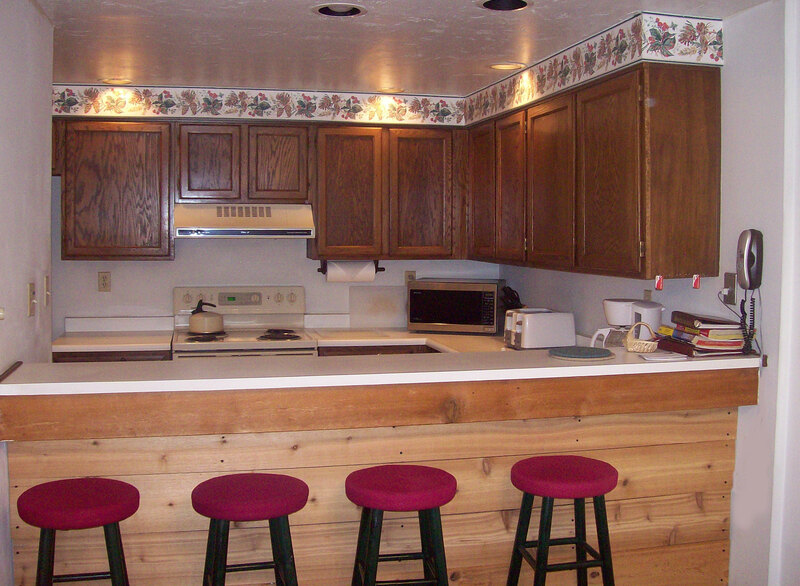 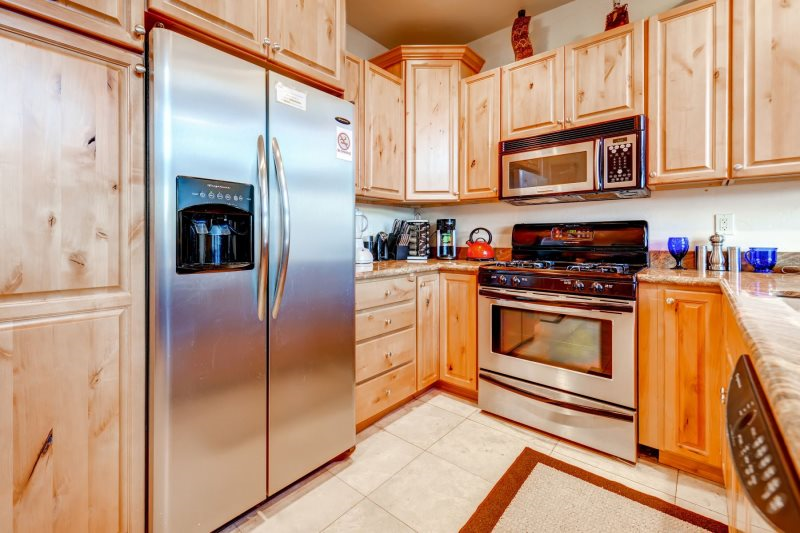 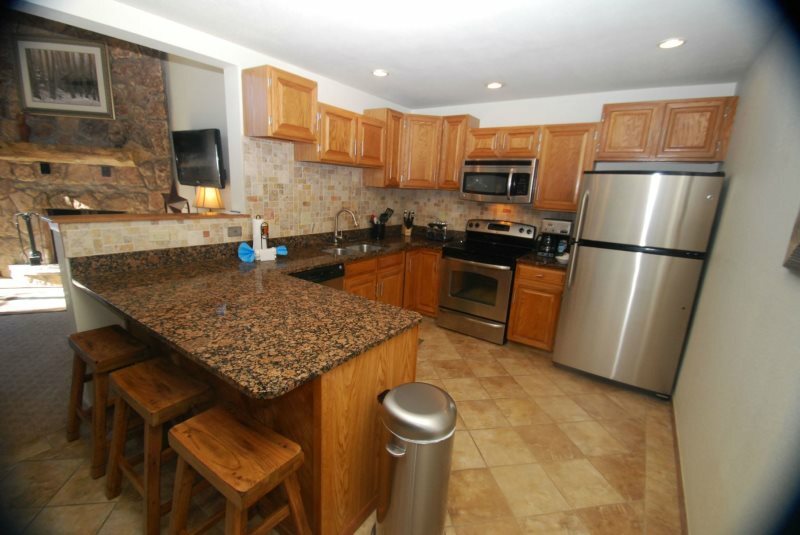 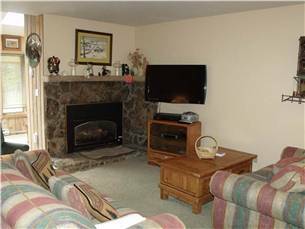 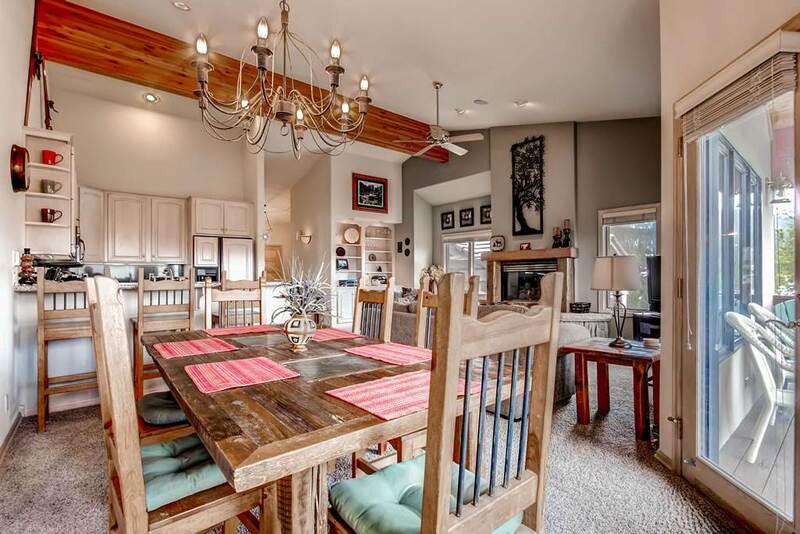 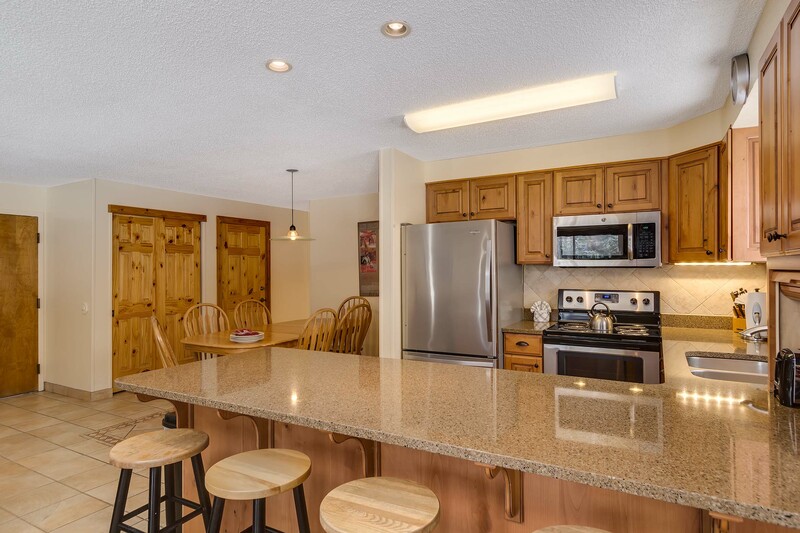 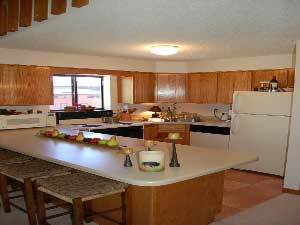 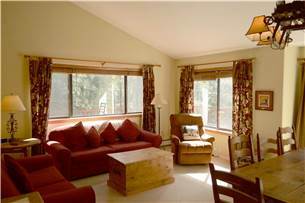 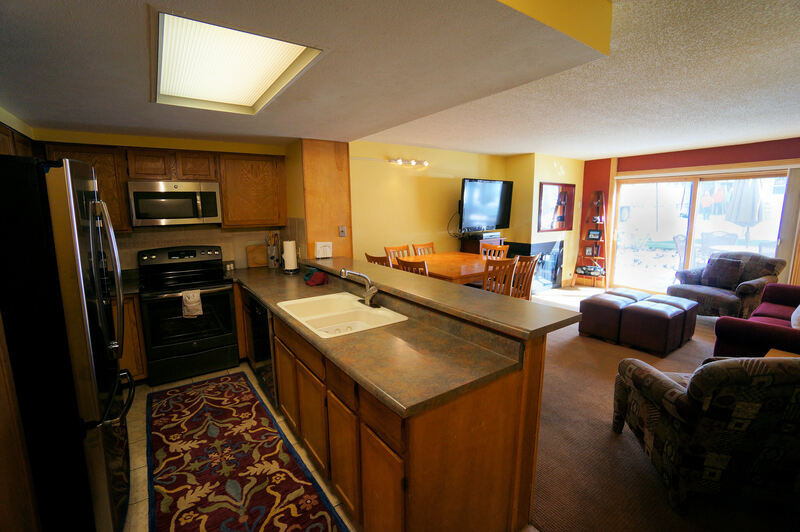 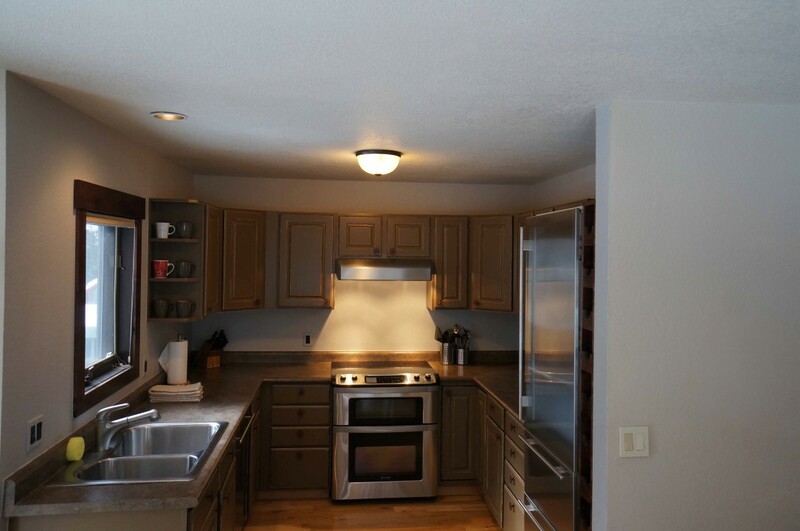 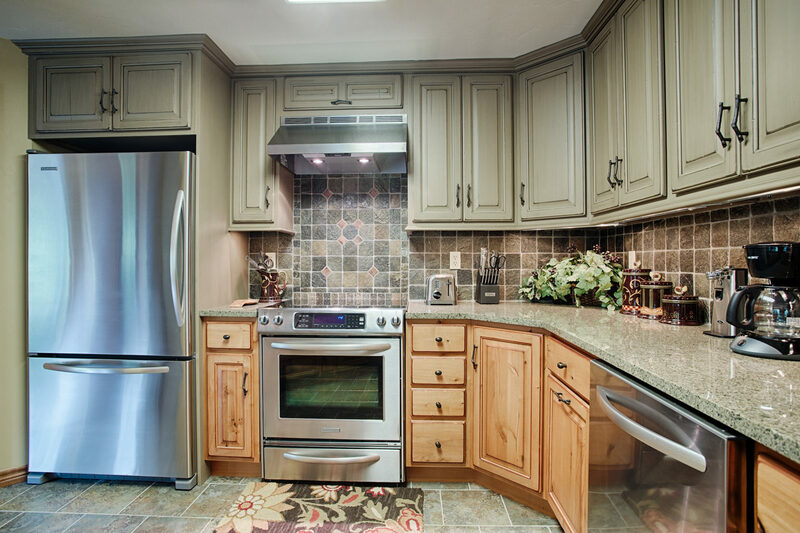 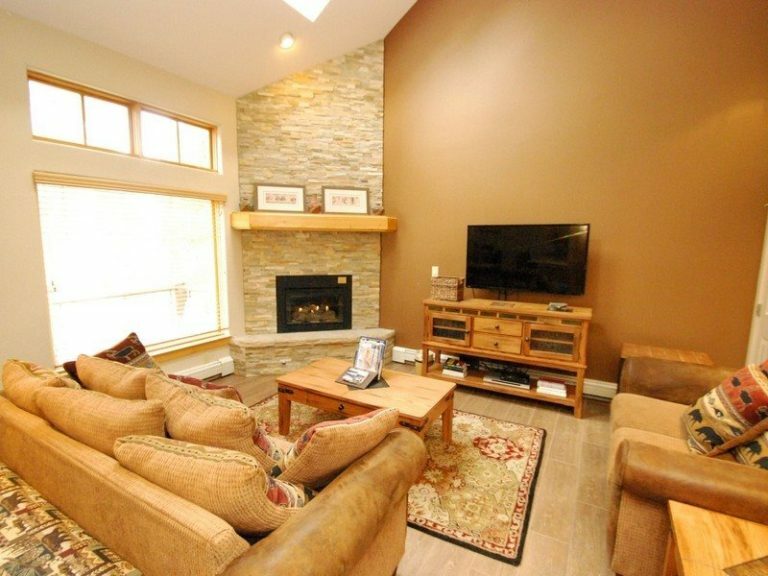 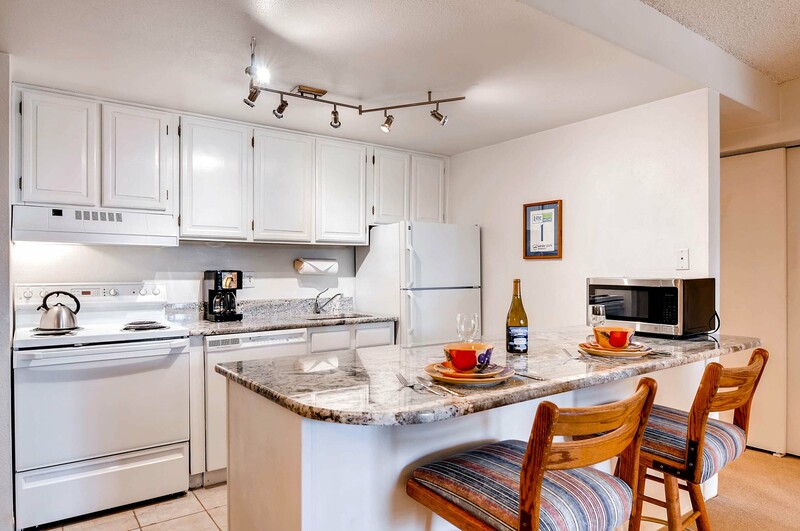 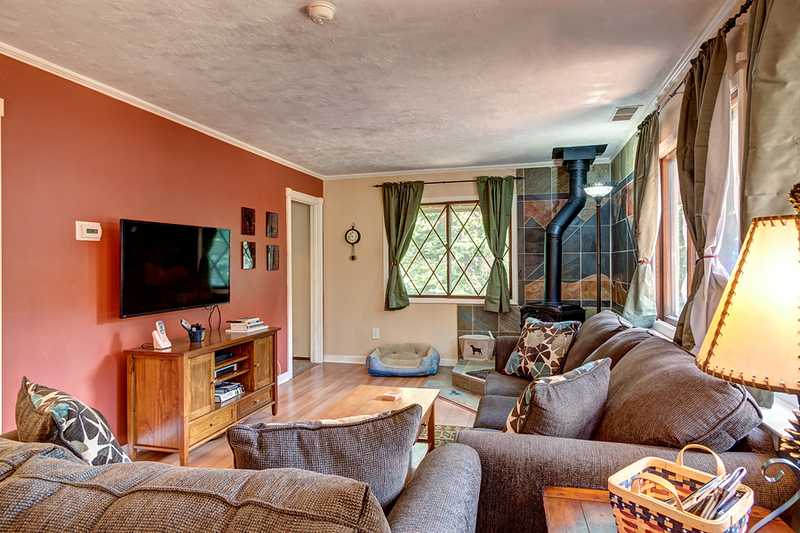 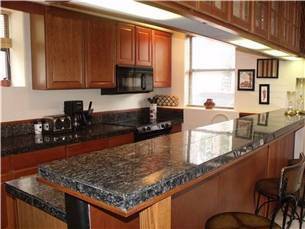 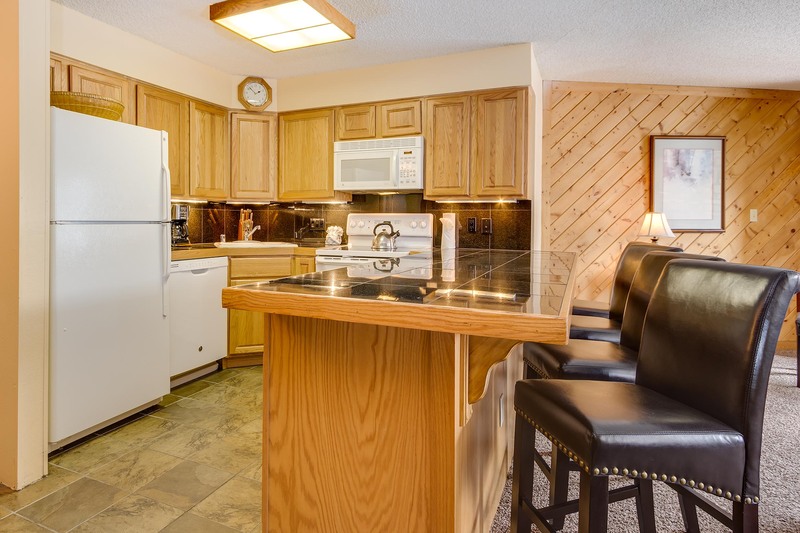 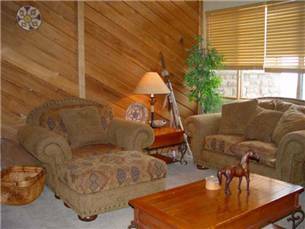 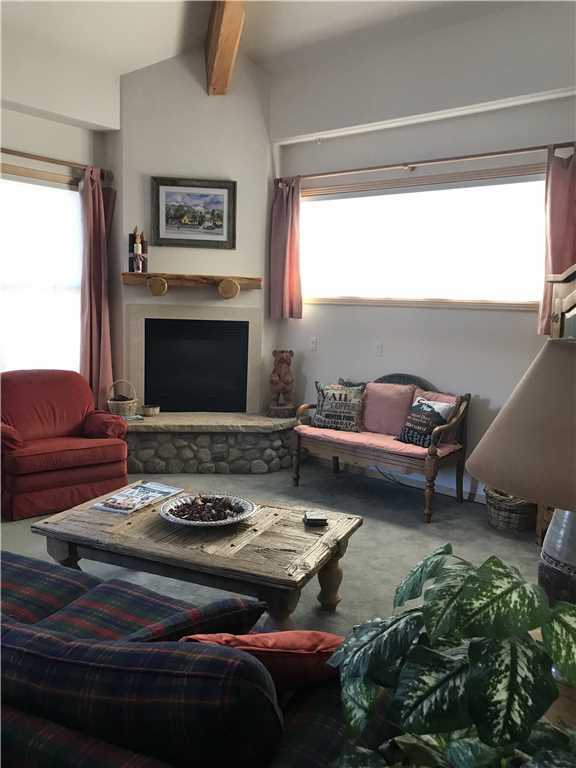 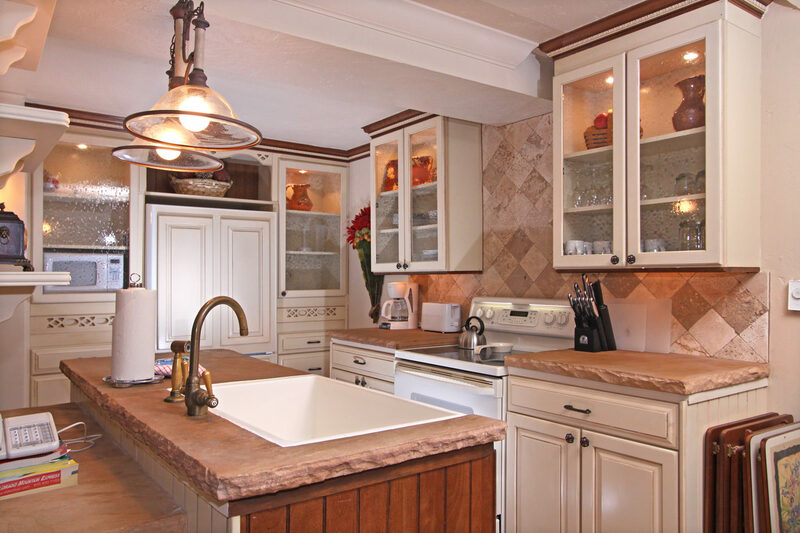 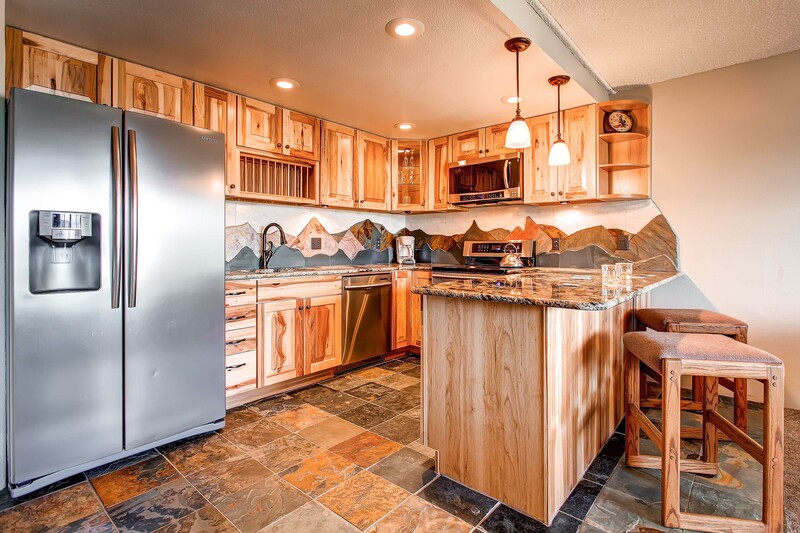 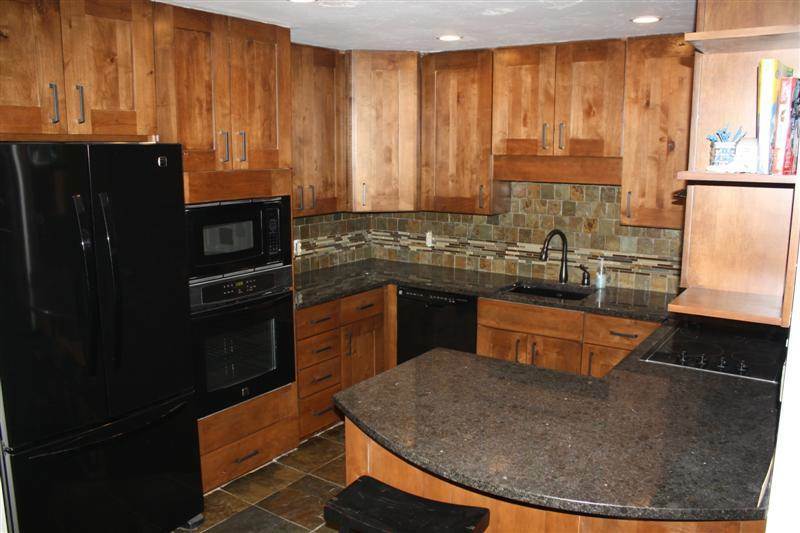 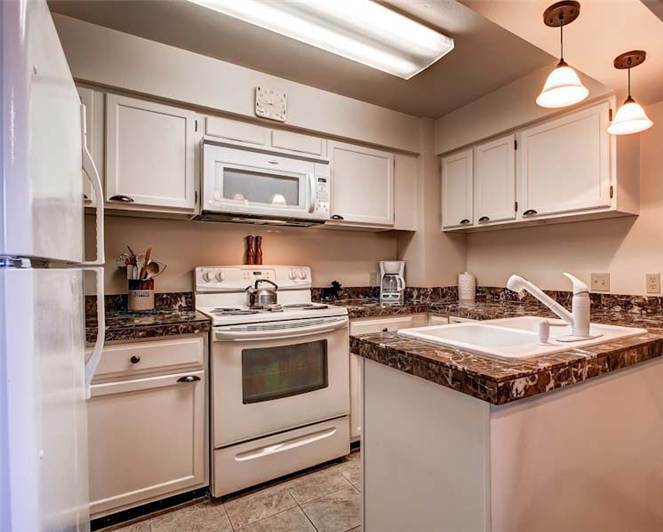 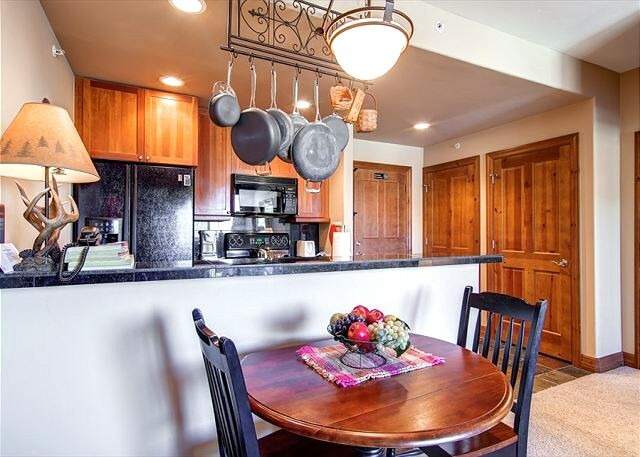 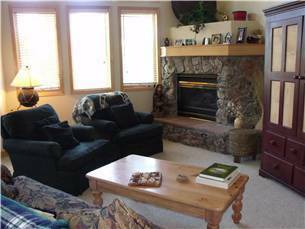 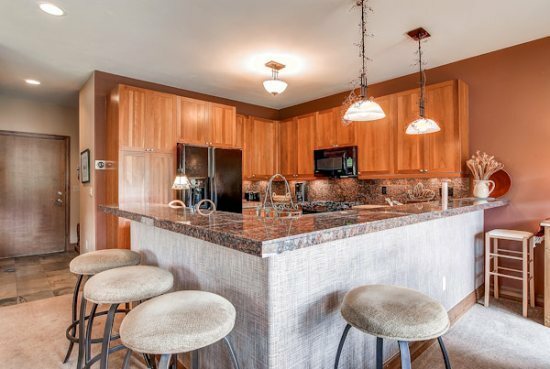 NEWLY REMODELED with Granite, Stainless Steel Appliances, Hickory cabinets, Knotty Pine Doors, leather furniture and rustic accents. 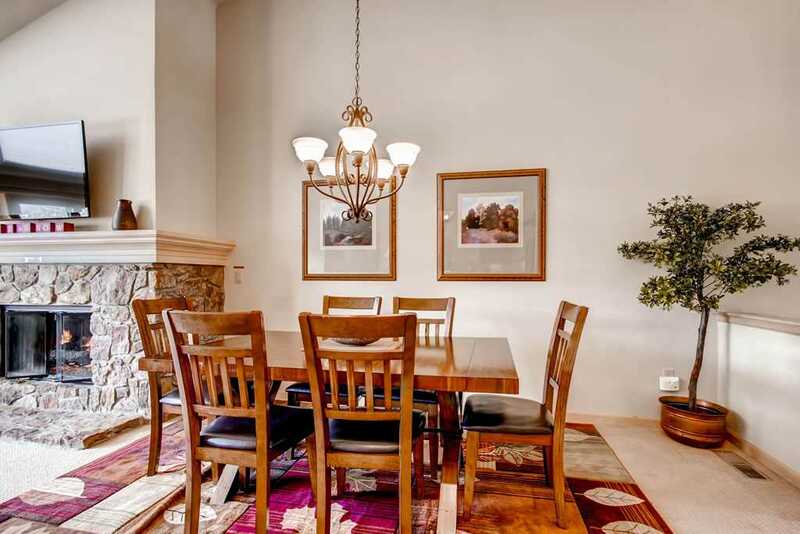 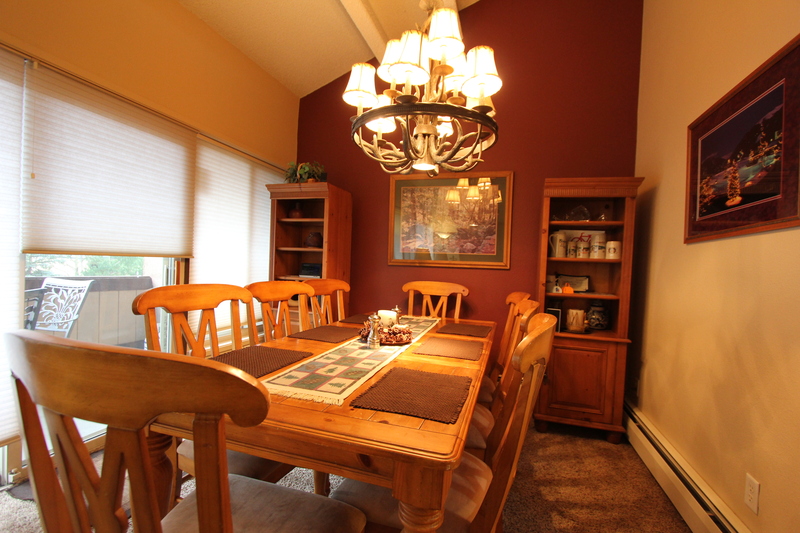 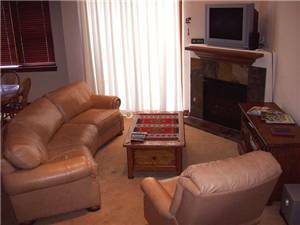 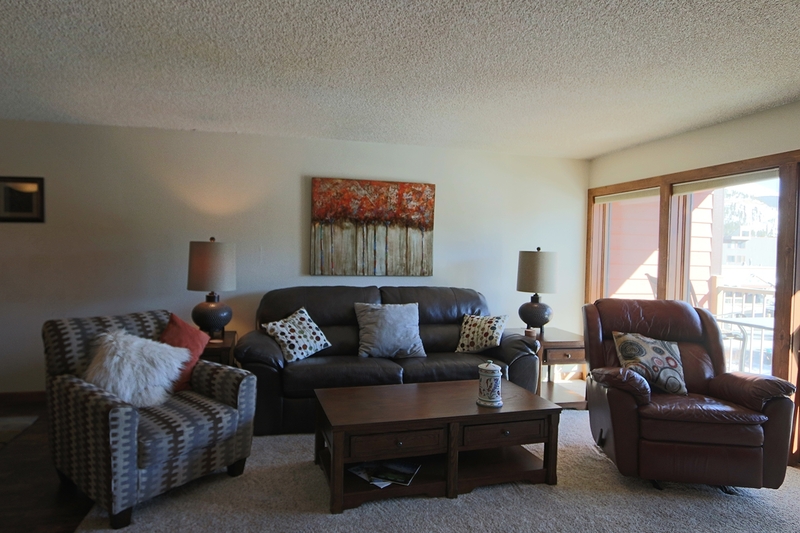 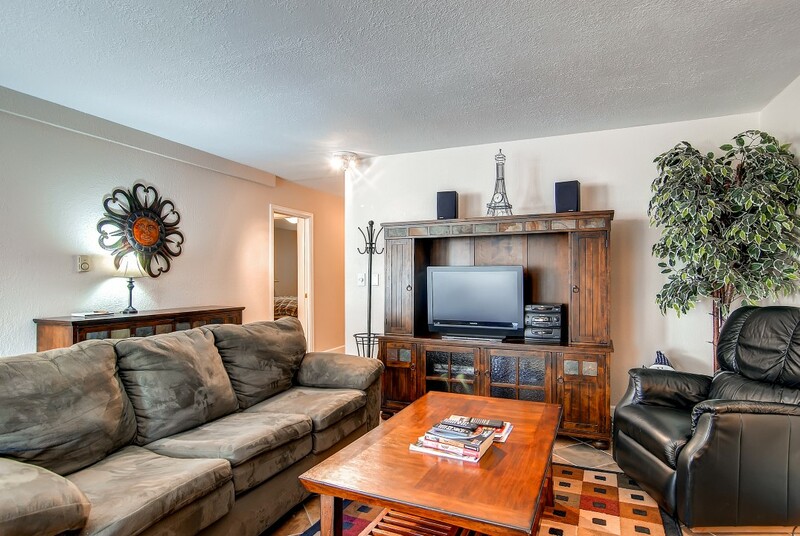 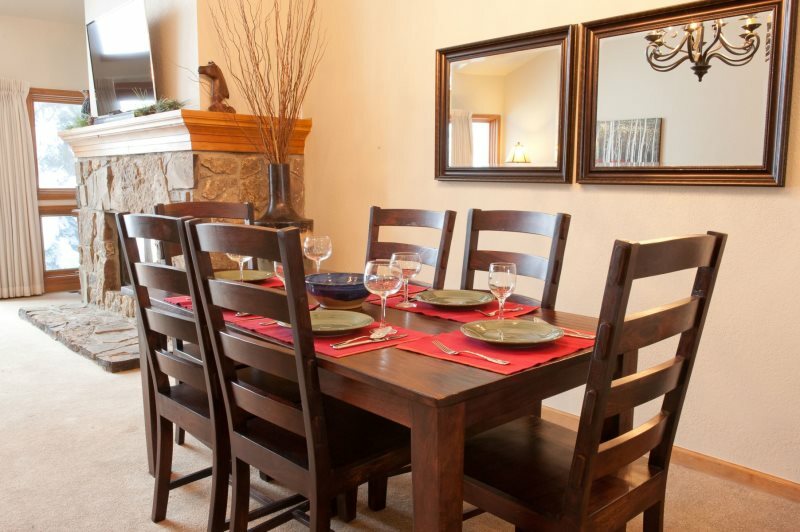 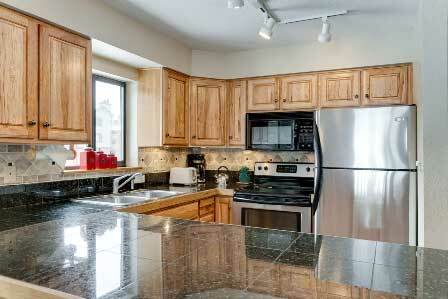 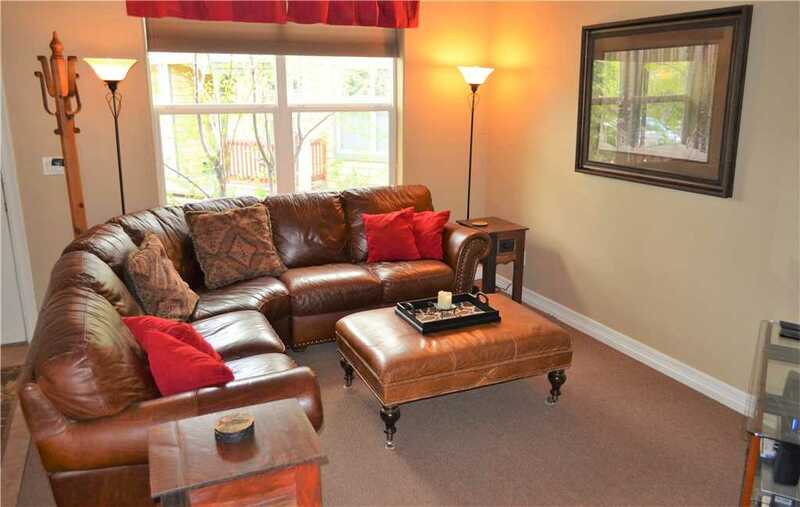 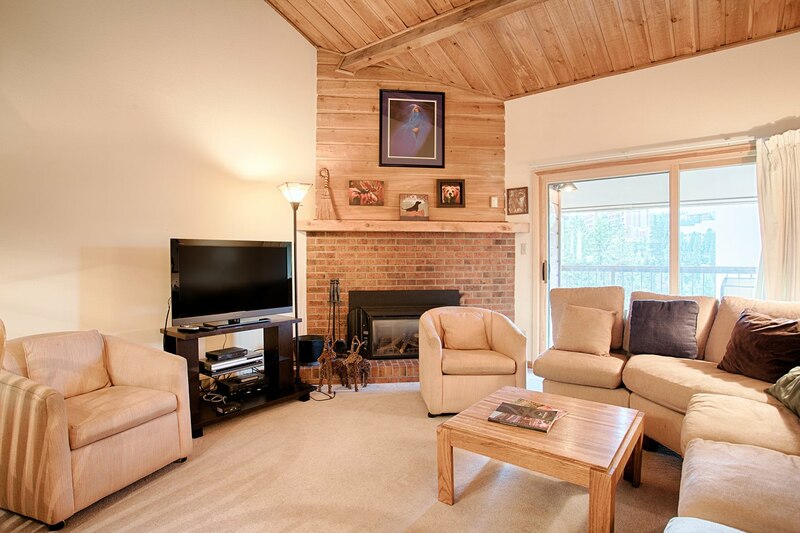 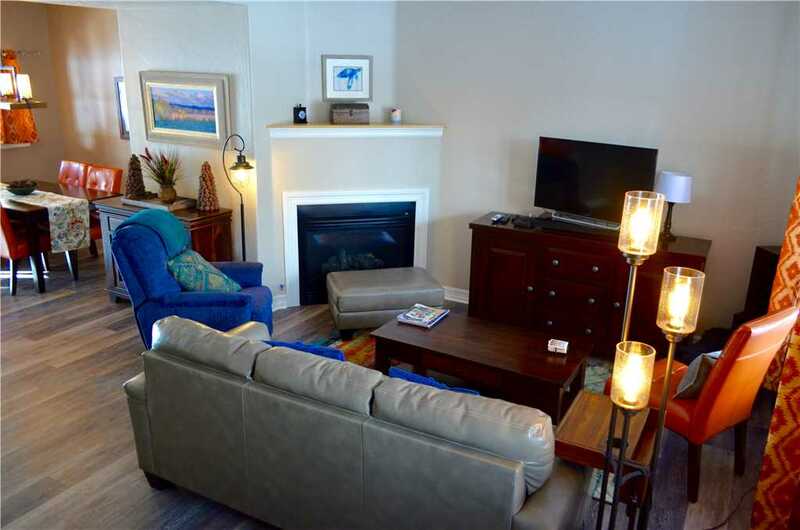 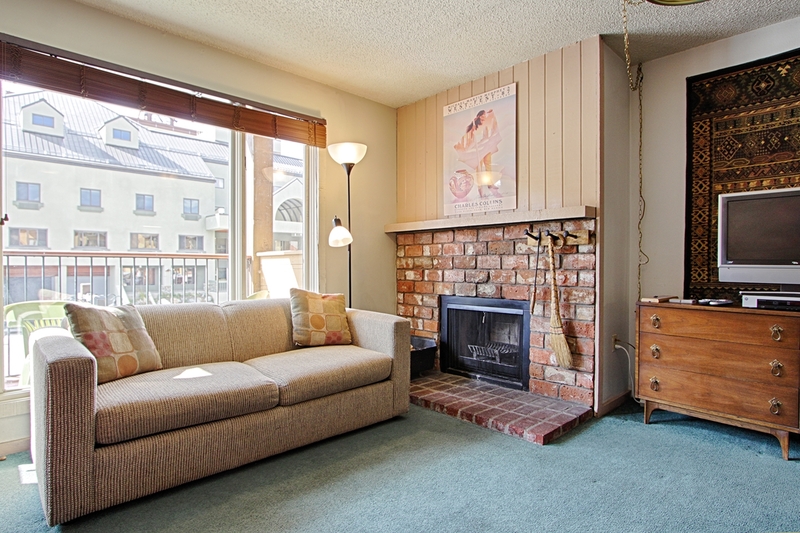 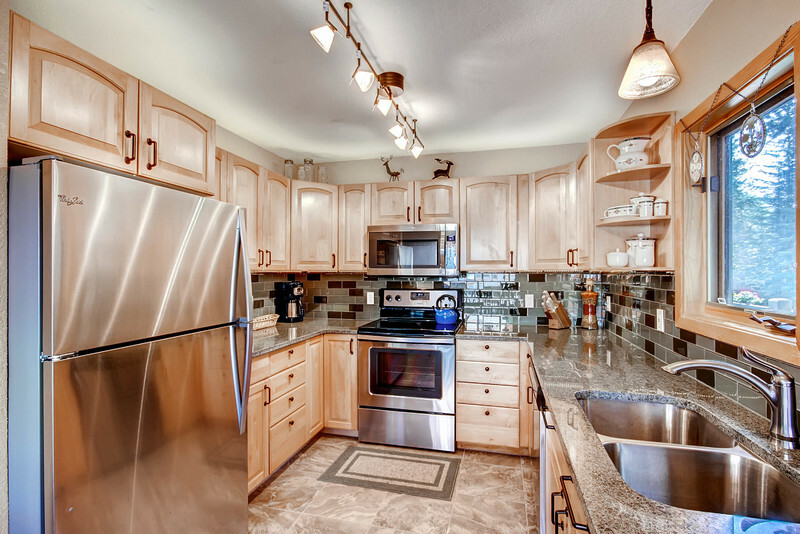 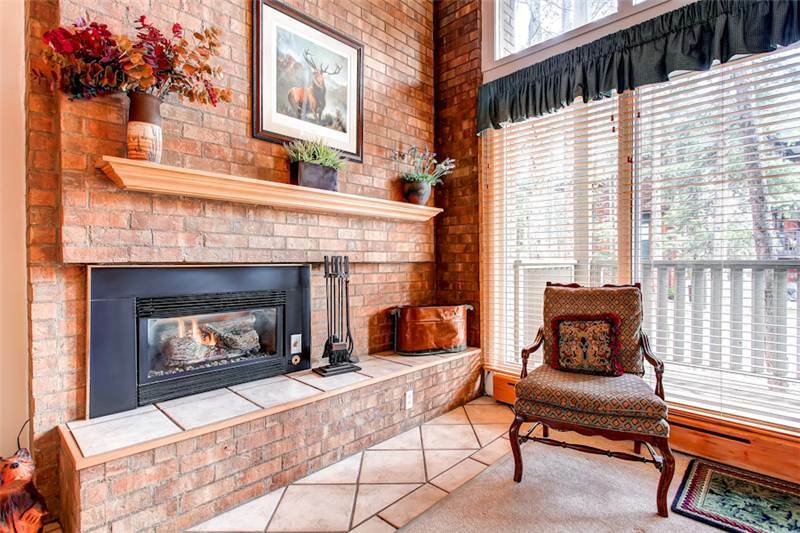 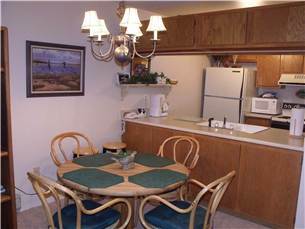 One block walk from Main Street with shopping, restaurants and entertainment. 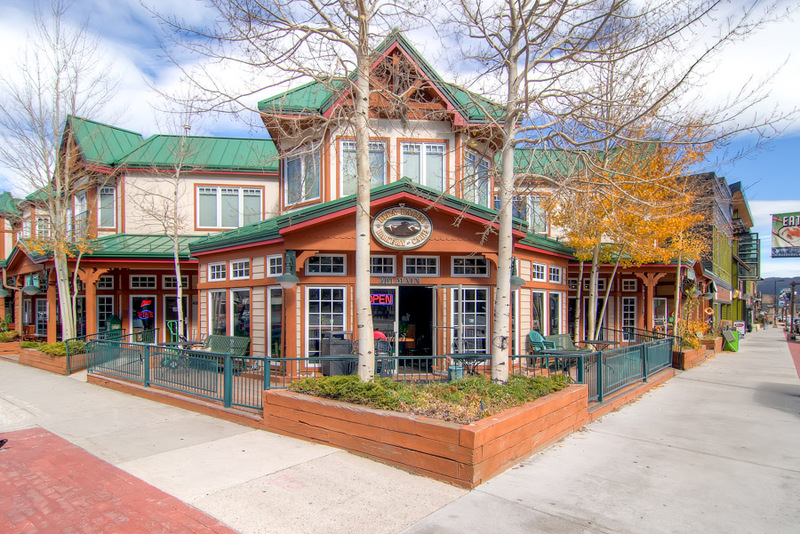 Across the street from the Riverwalk and Performing Arts Center. 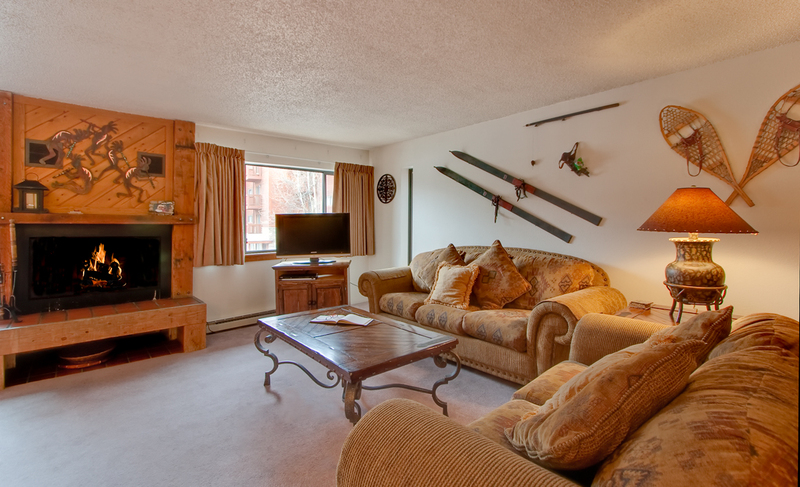 At the end of the day, ski down Four O’ Clock Run, pop off your skis, and walk 50 yards to the condo. 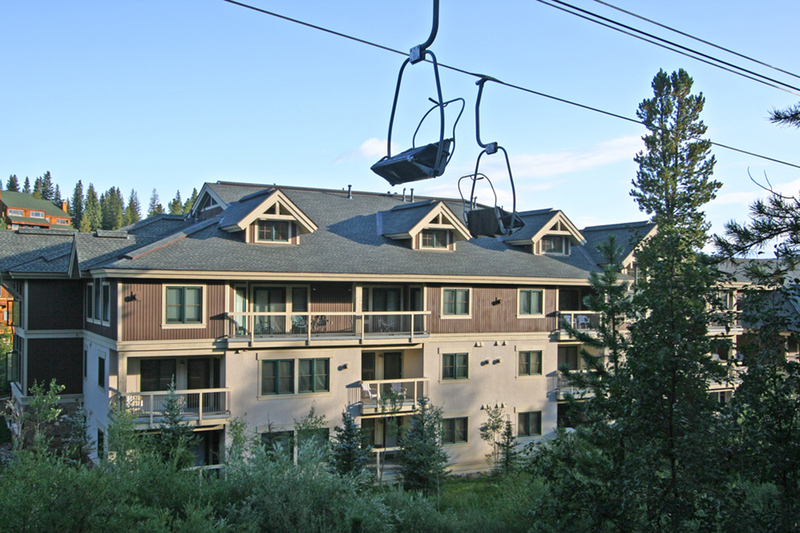 800 feet to the Snowflake chairlift or shuttle 3 minutes to the Beaver Run lifts. 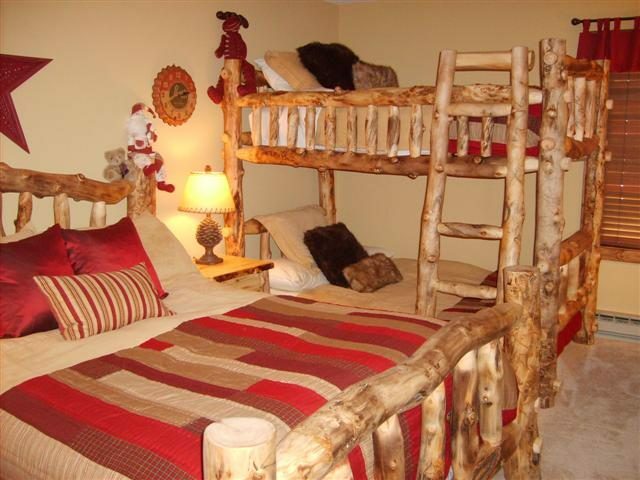 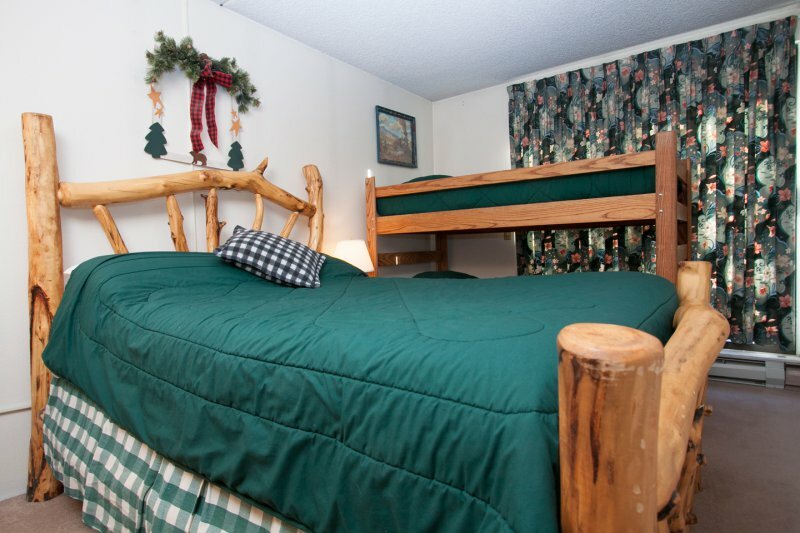 (2)Queen-size, full over full bunk bed, Queen Sofa Sleeper. 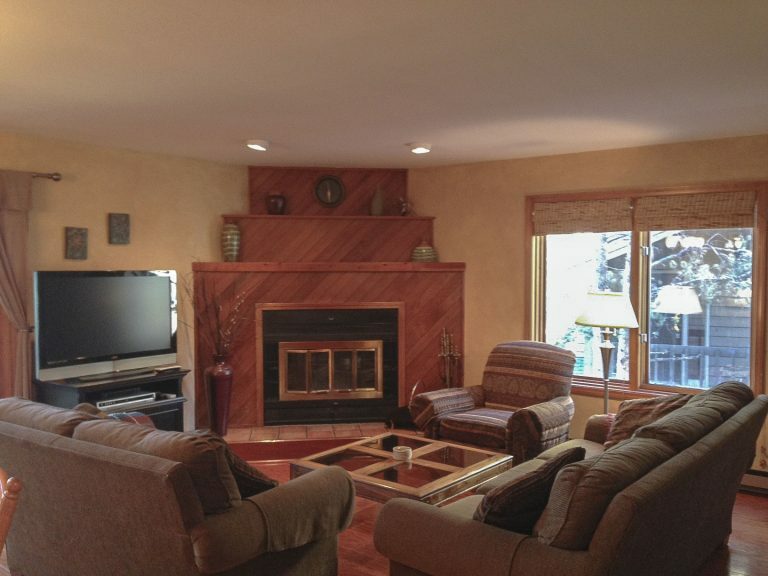 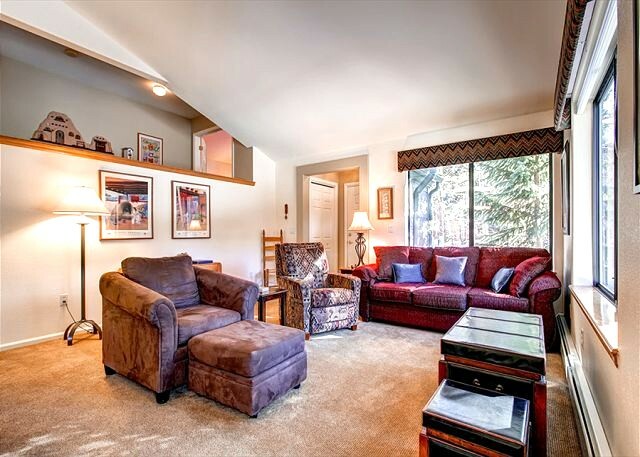 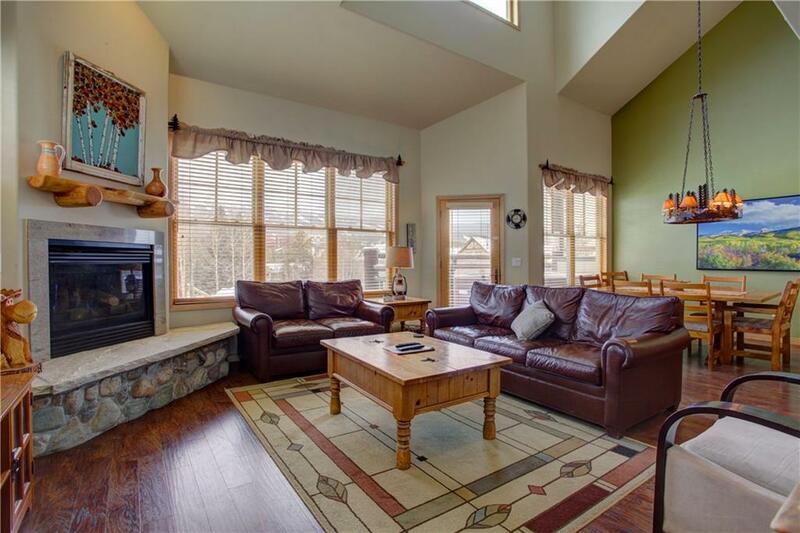 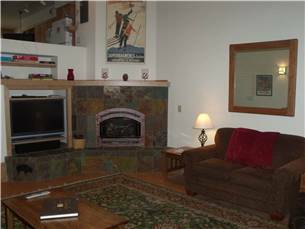 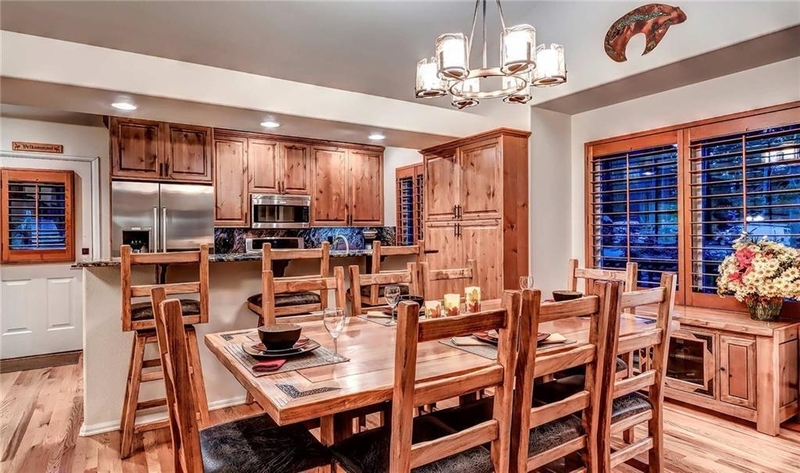 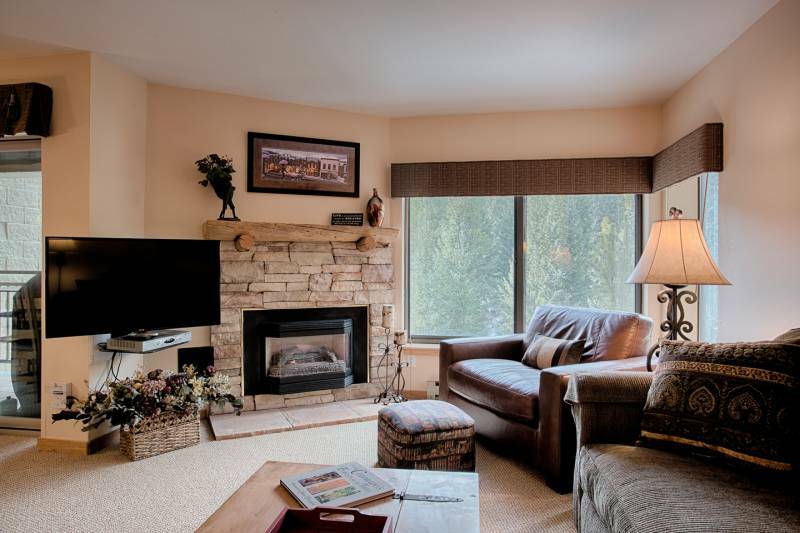 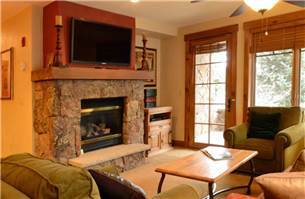 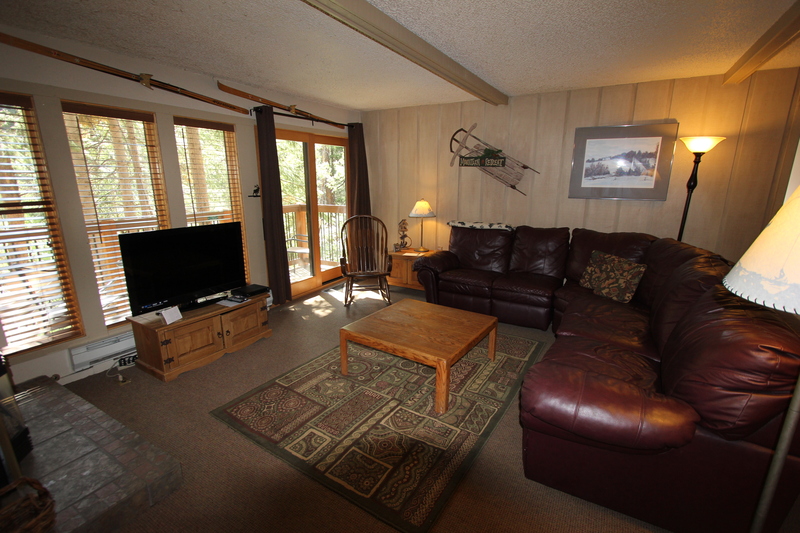 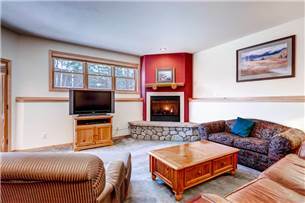 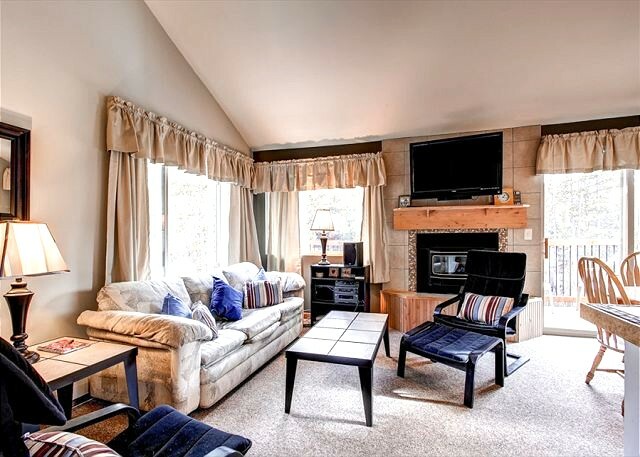 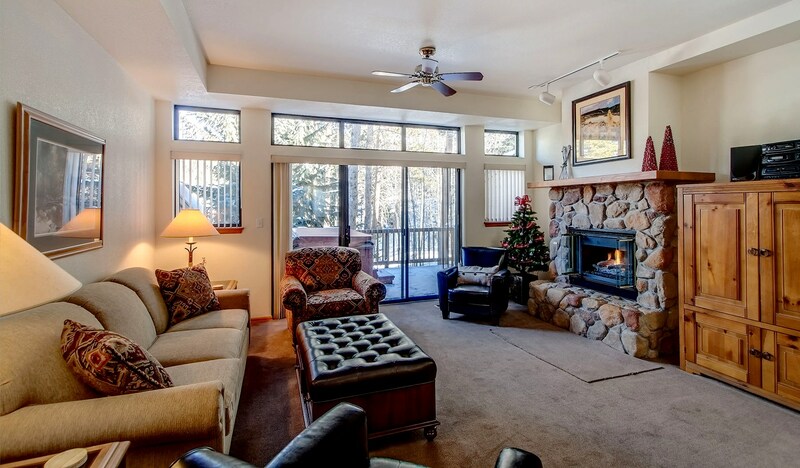 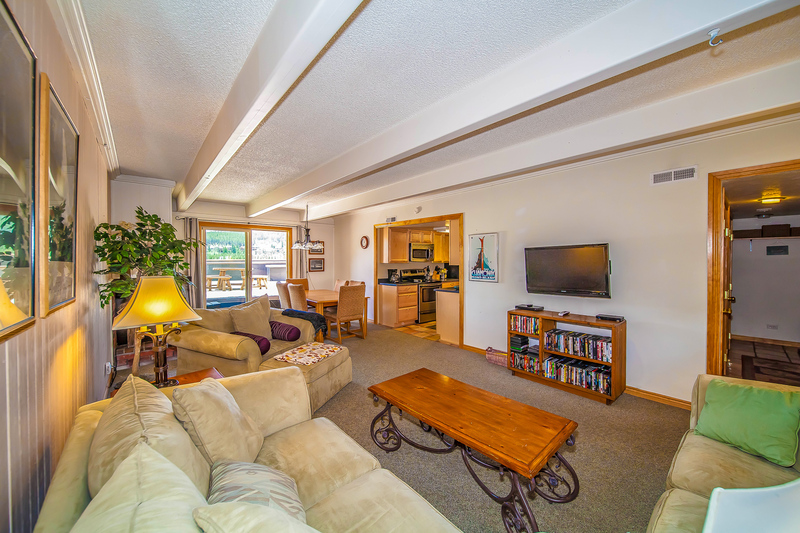 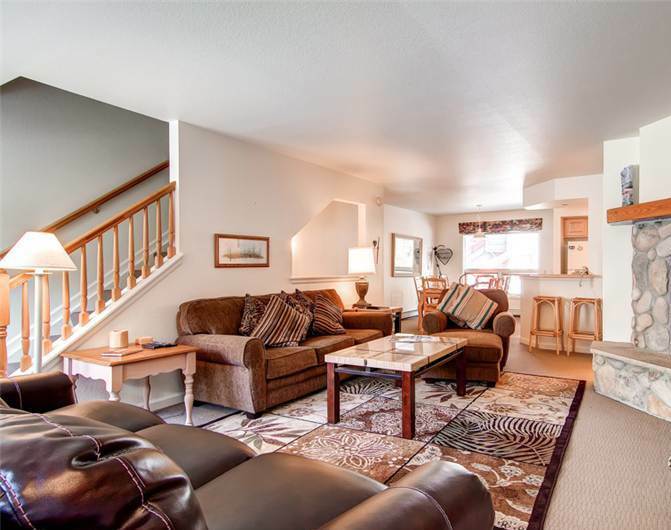 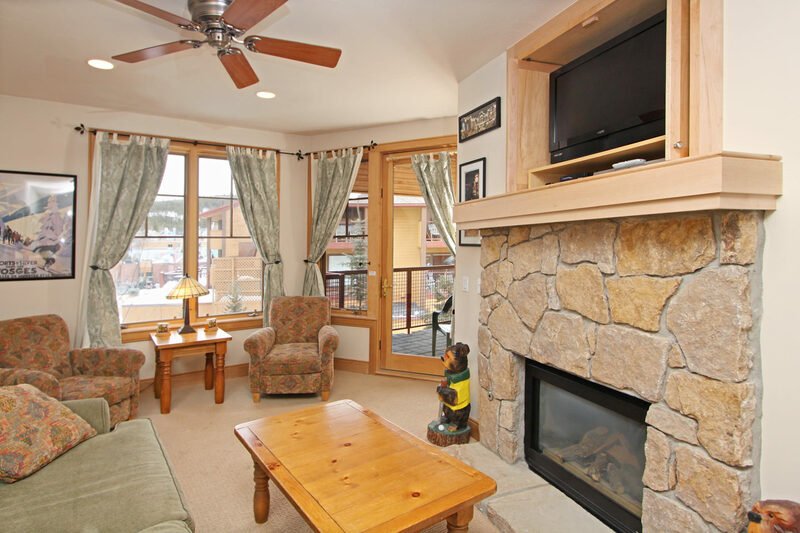 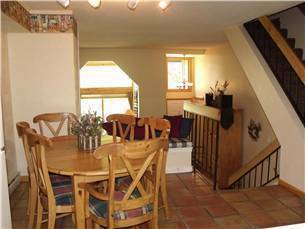 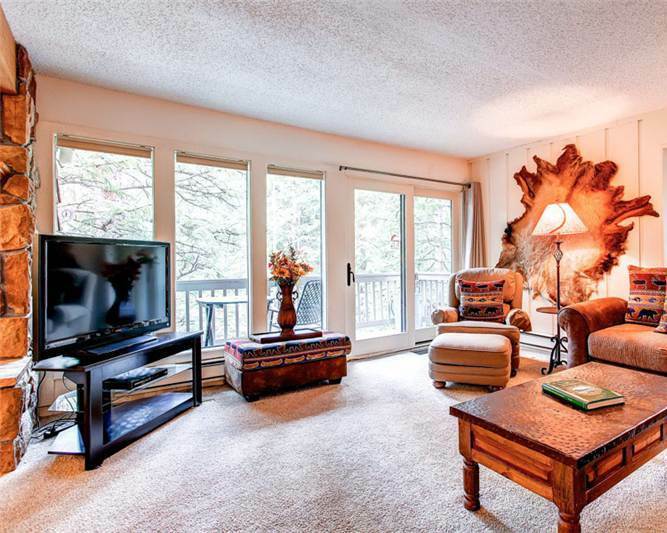 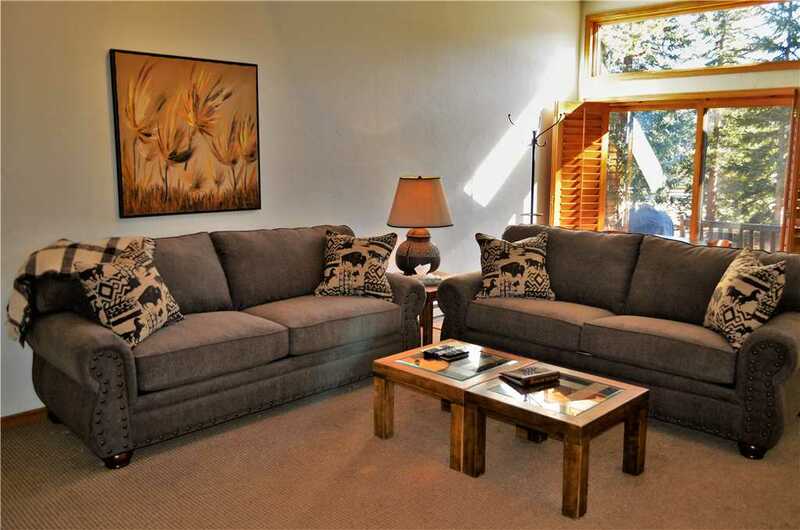 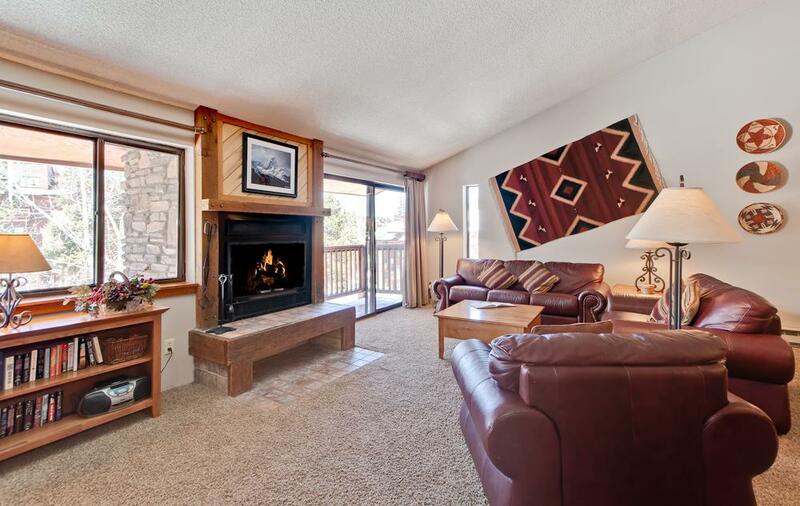 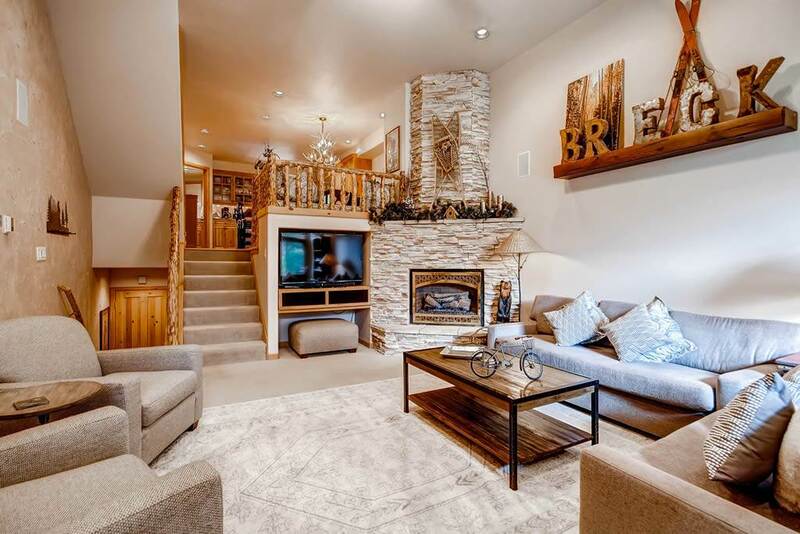 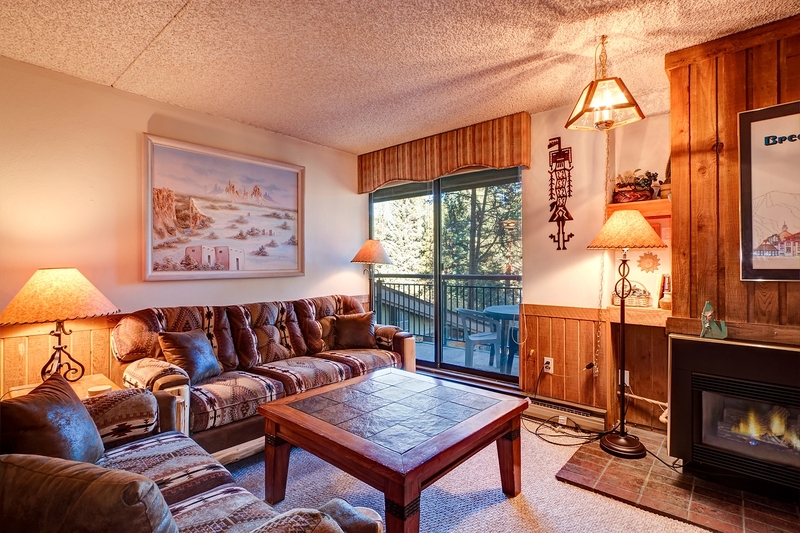 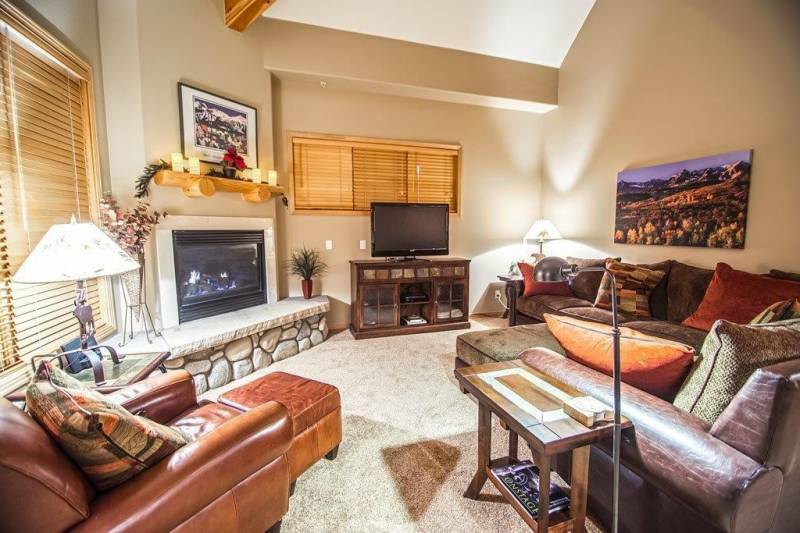 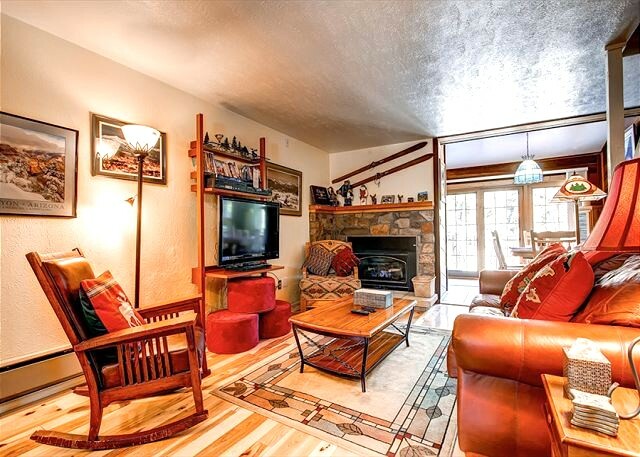 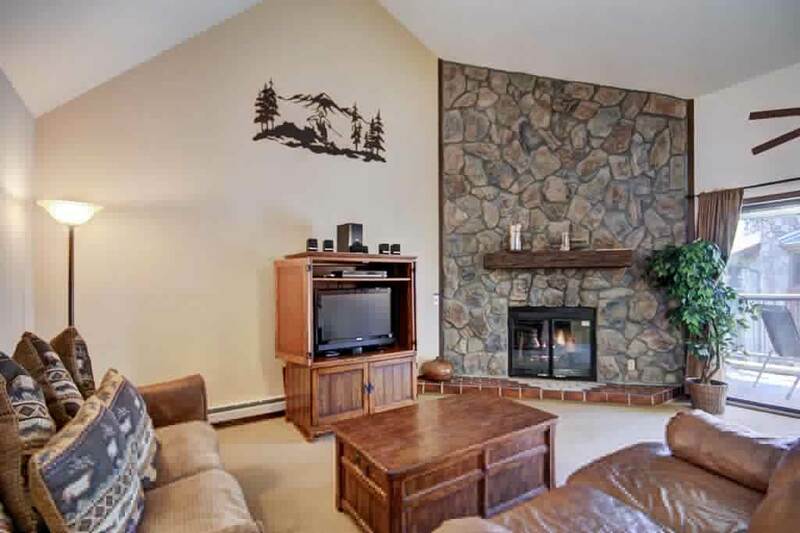 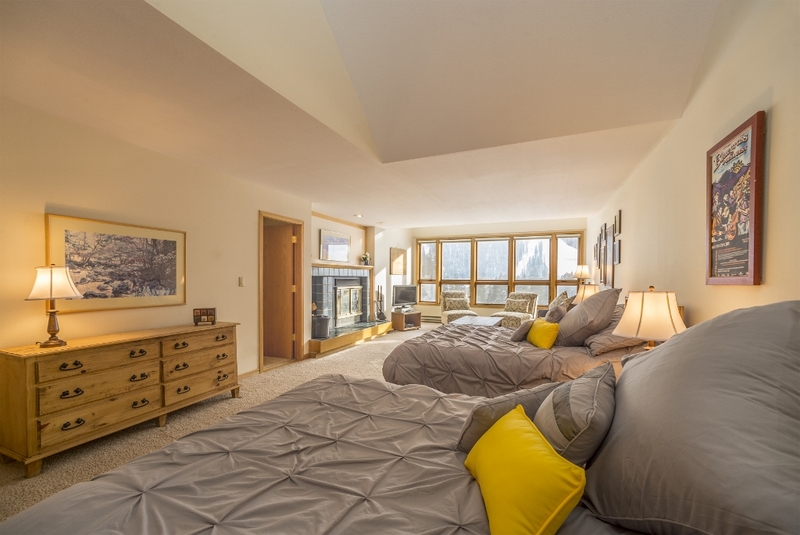 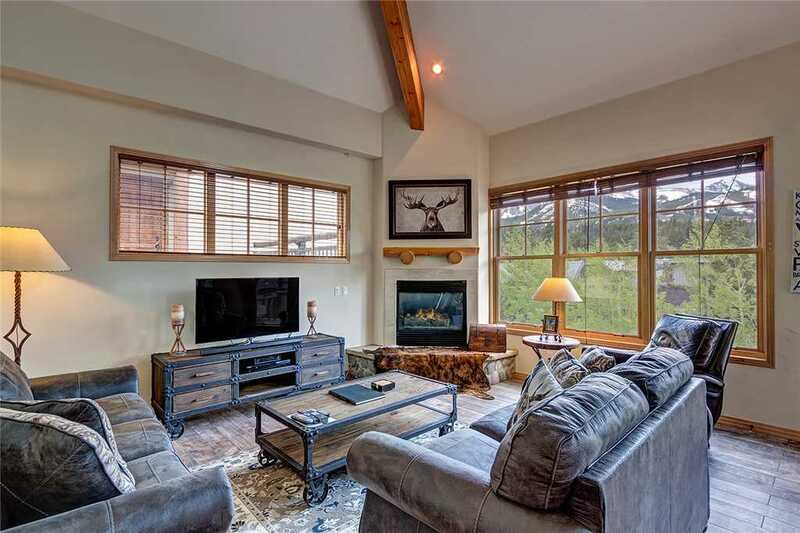 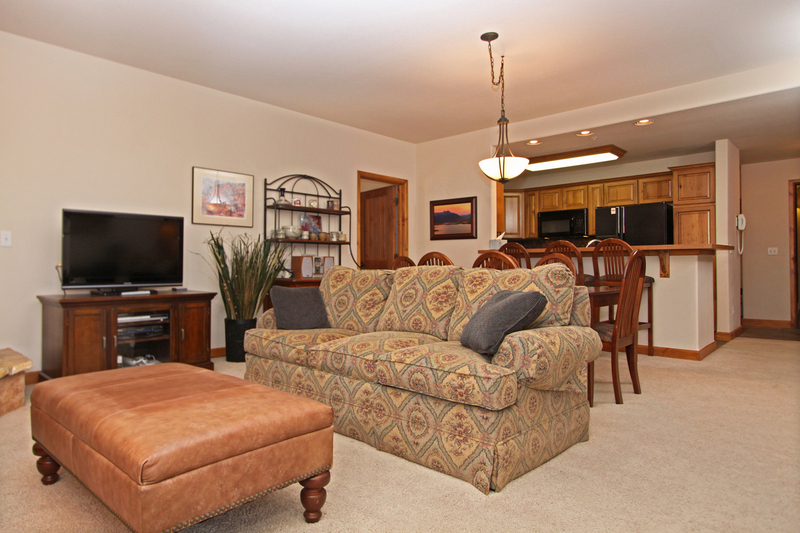 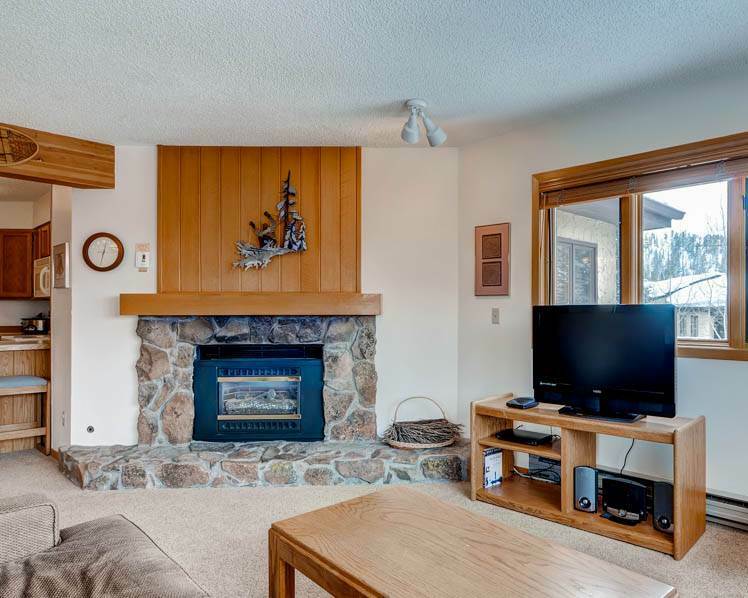 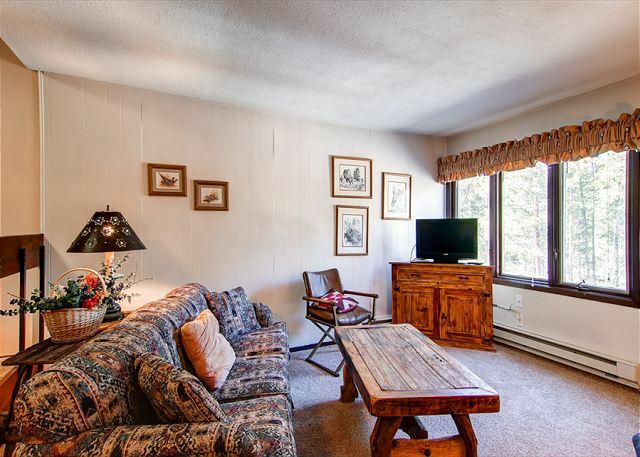 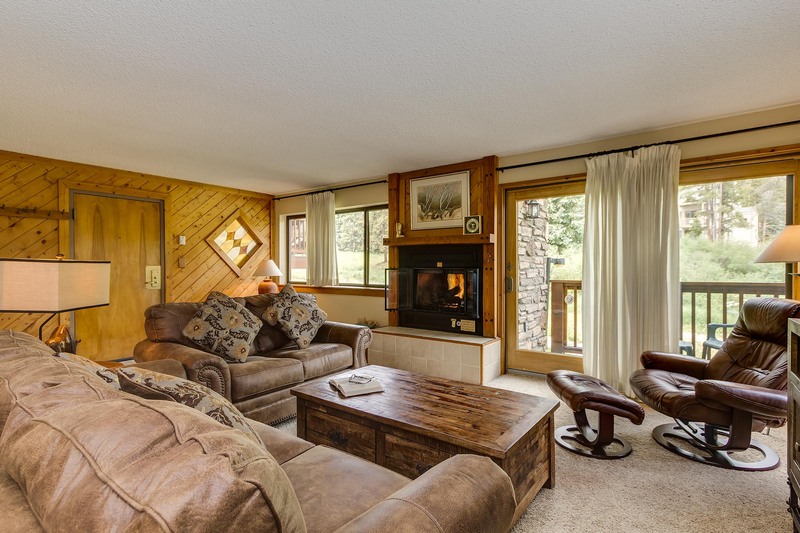 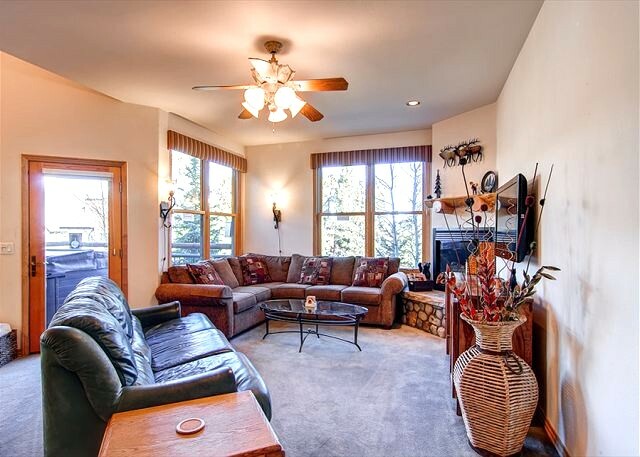 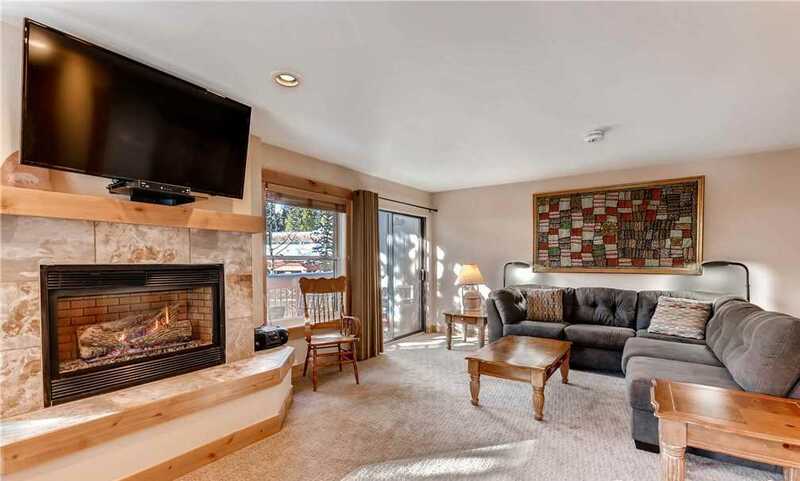 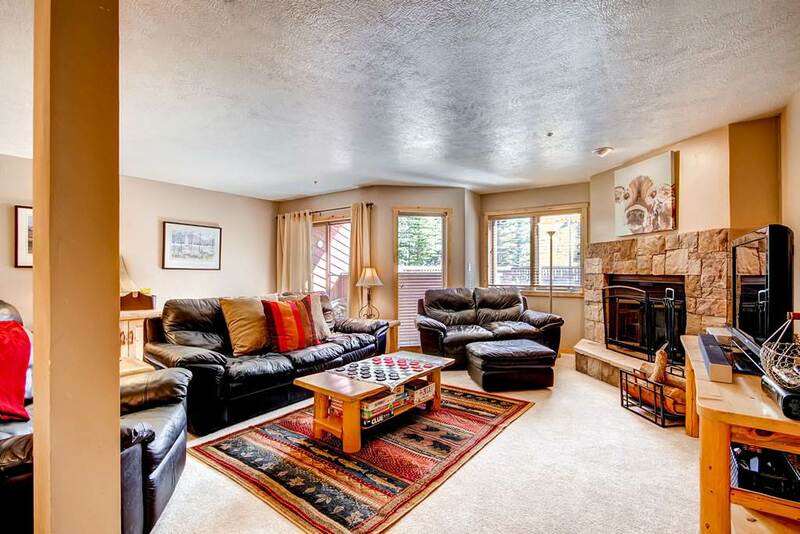 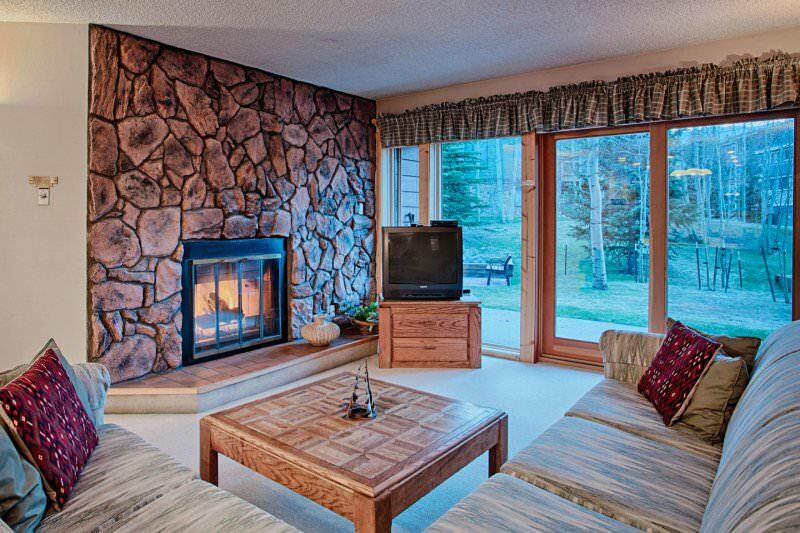 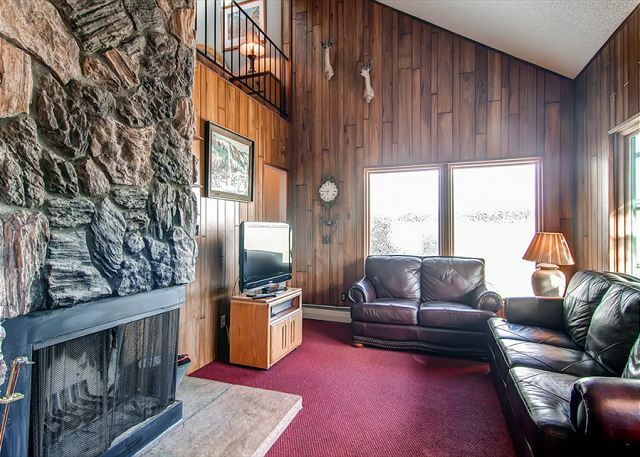 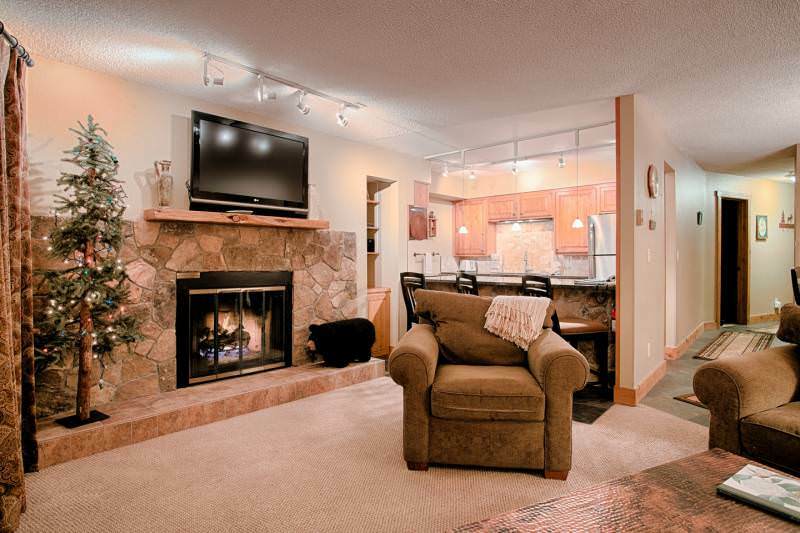 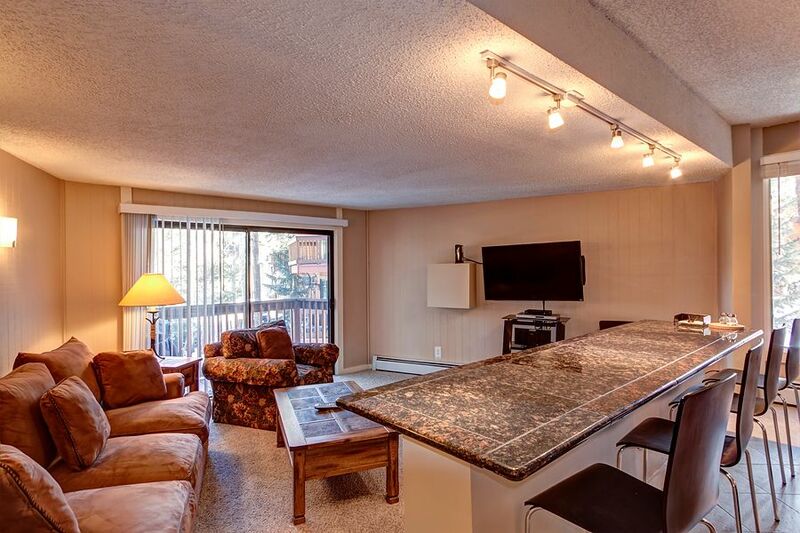 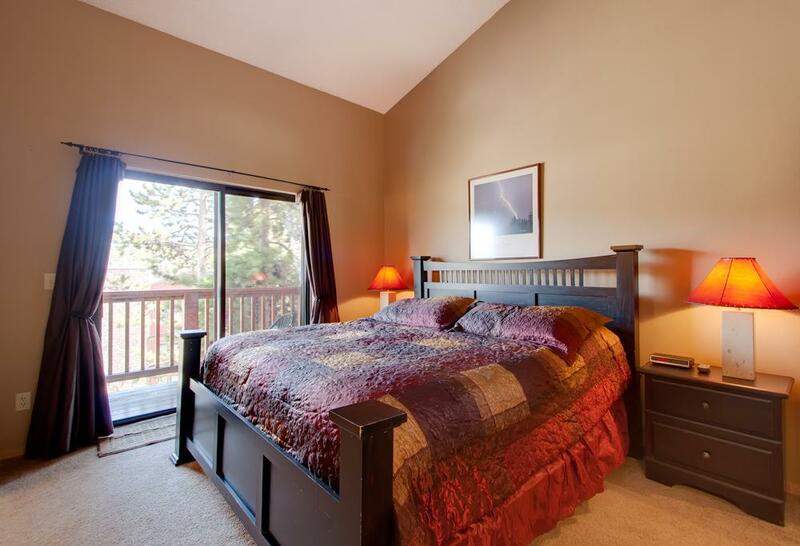 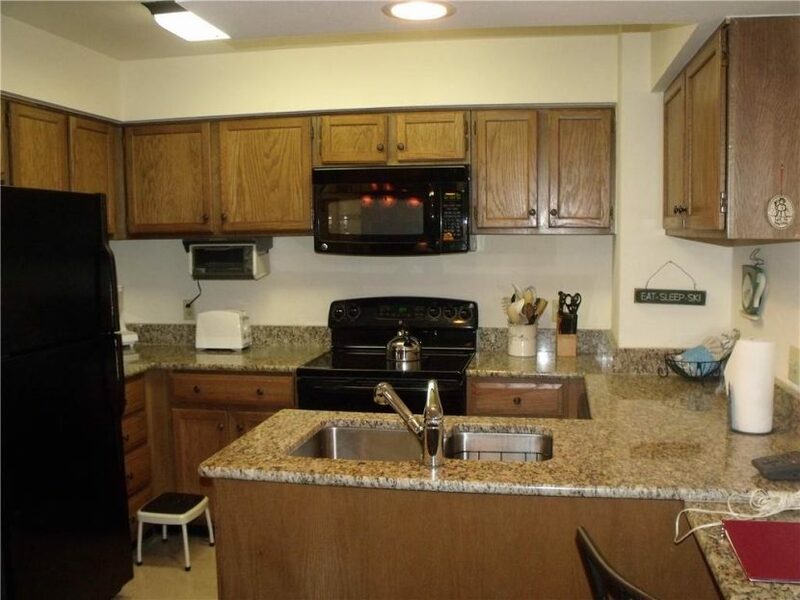 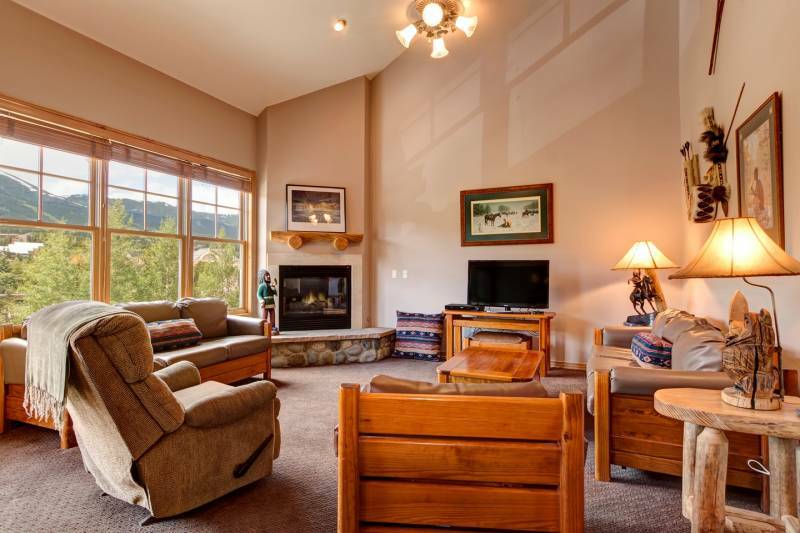 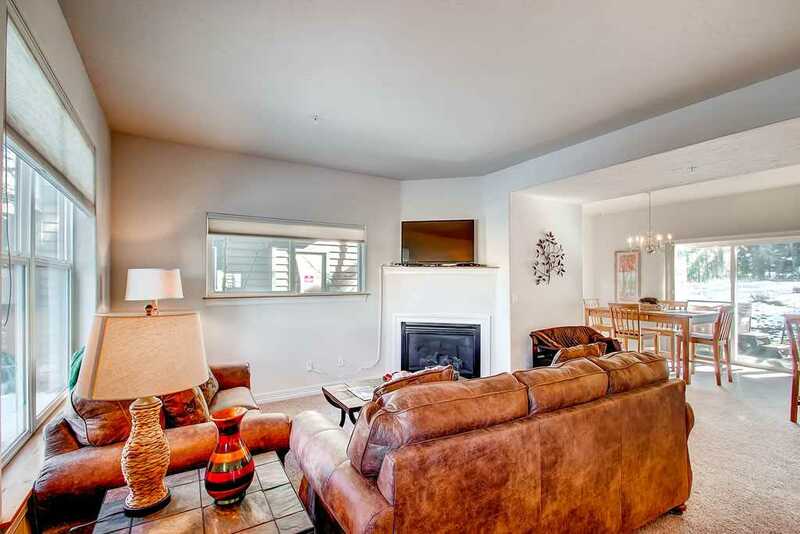 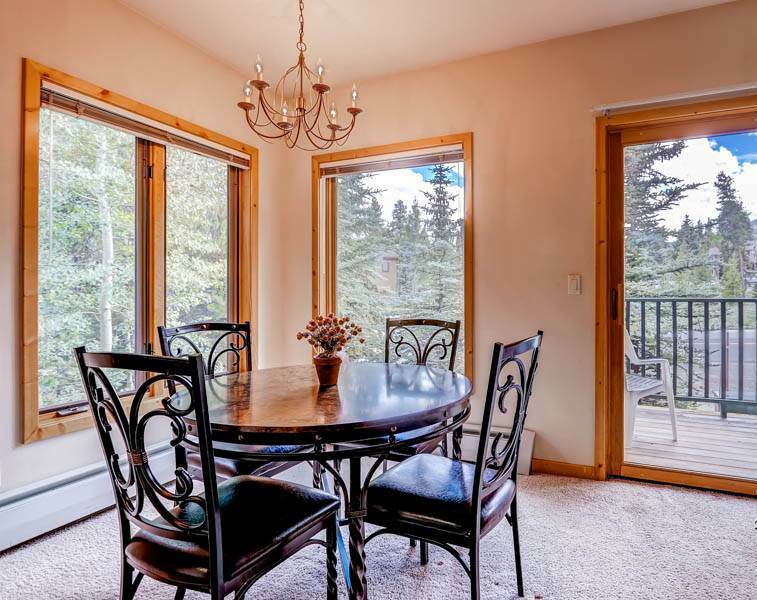 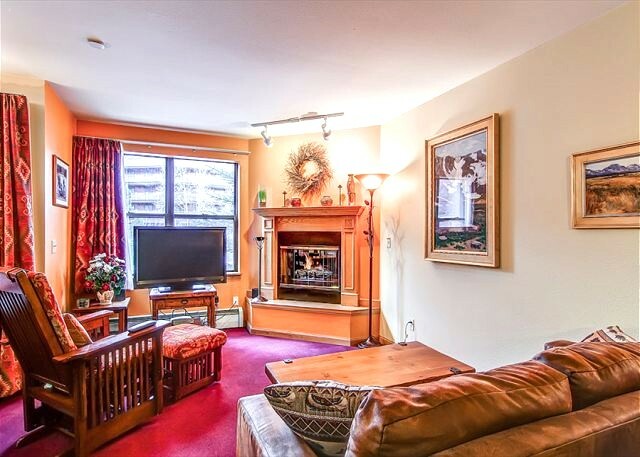 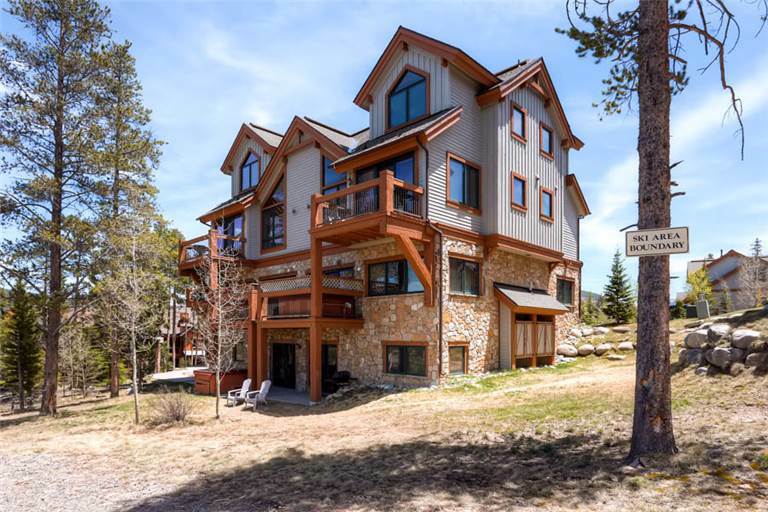 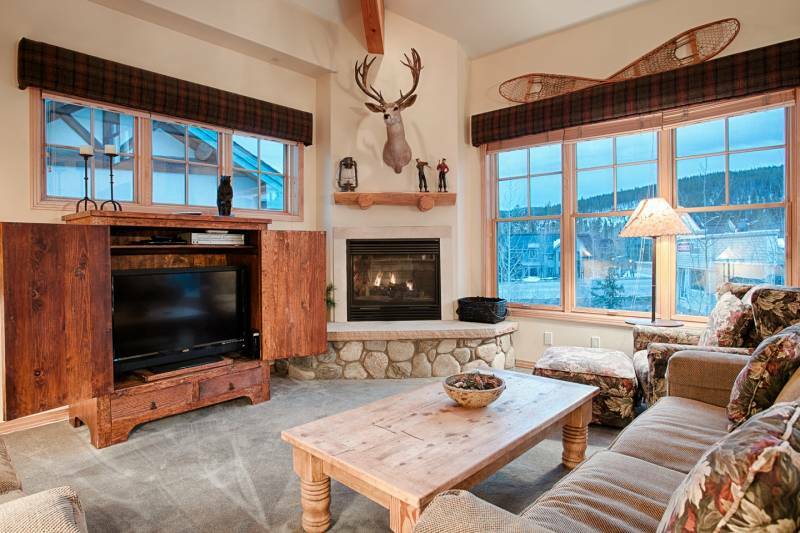 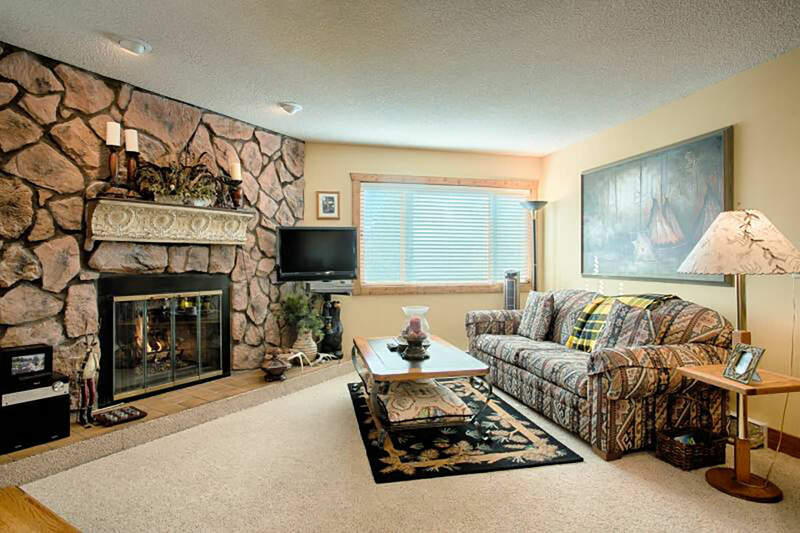 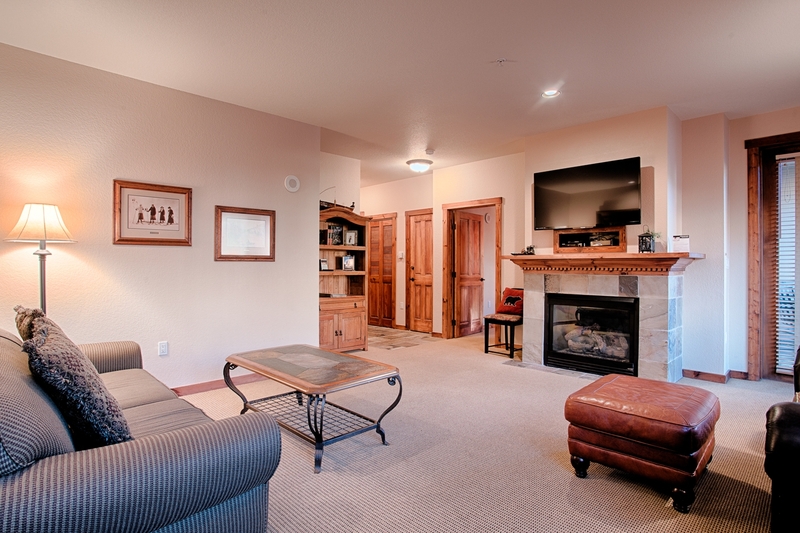 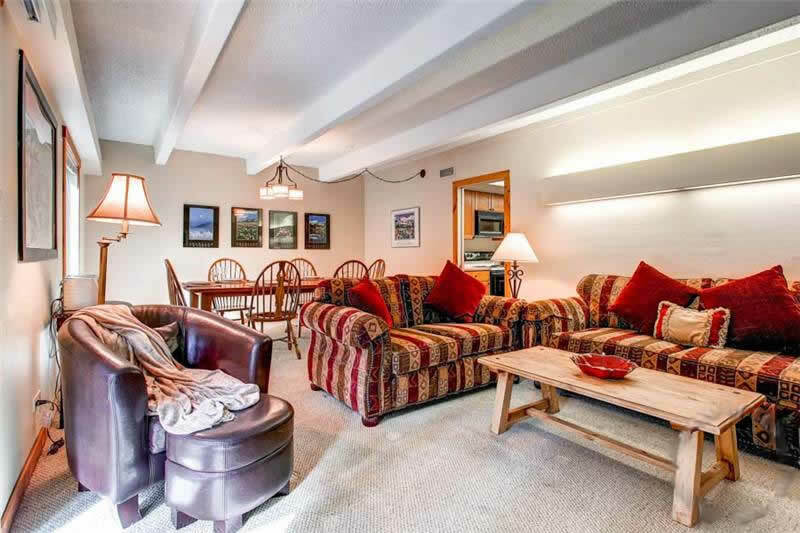 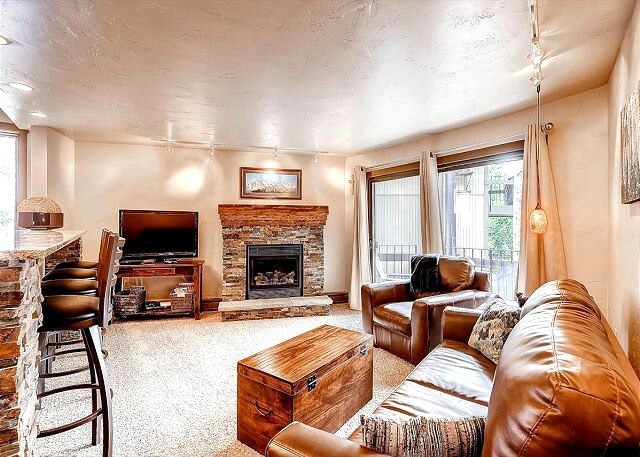 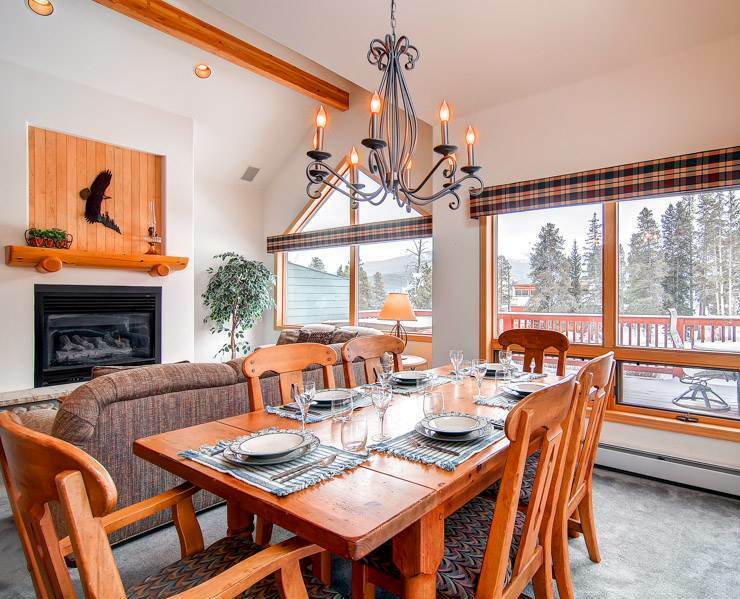 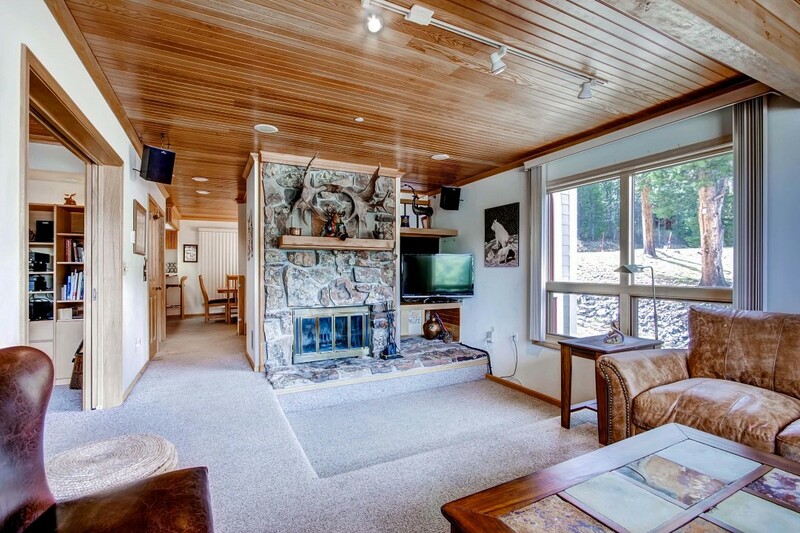 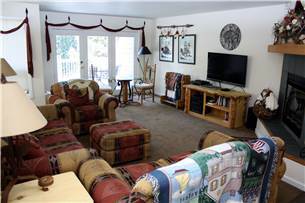 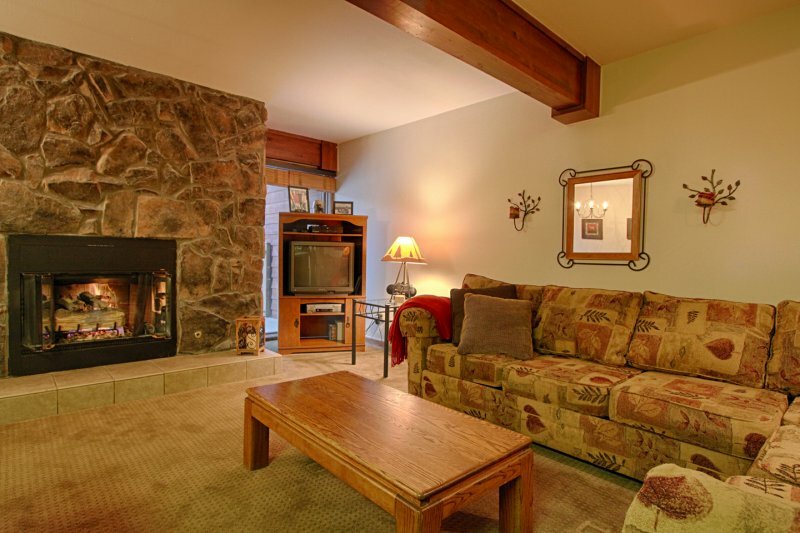 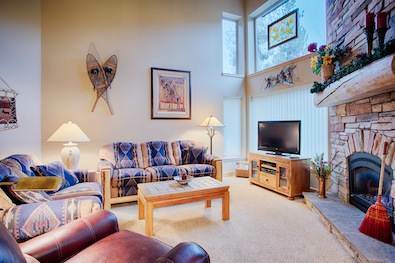 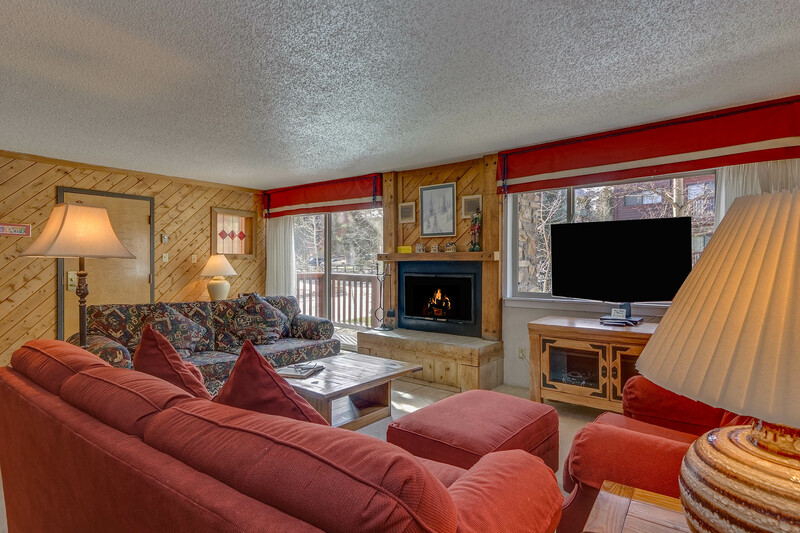 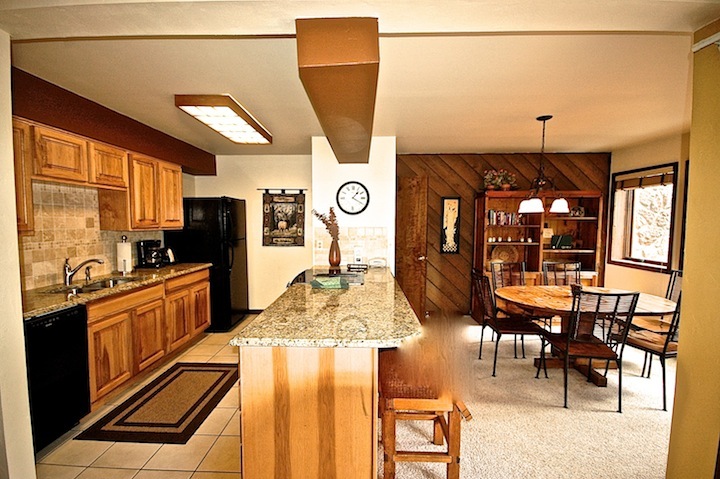 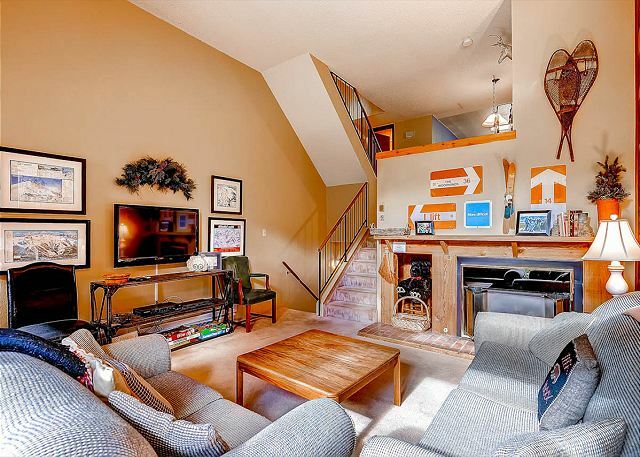 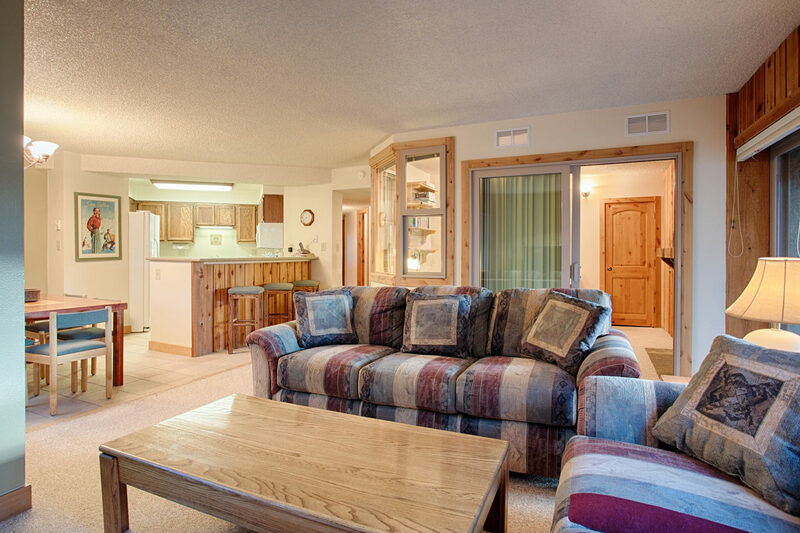 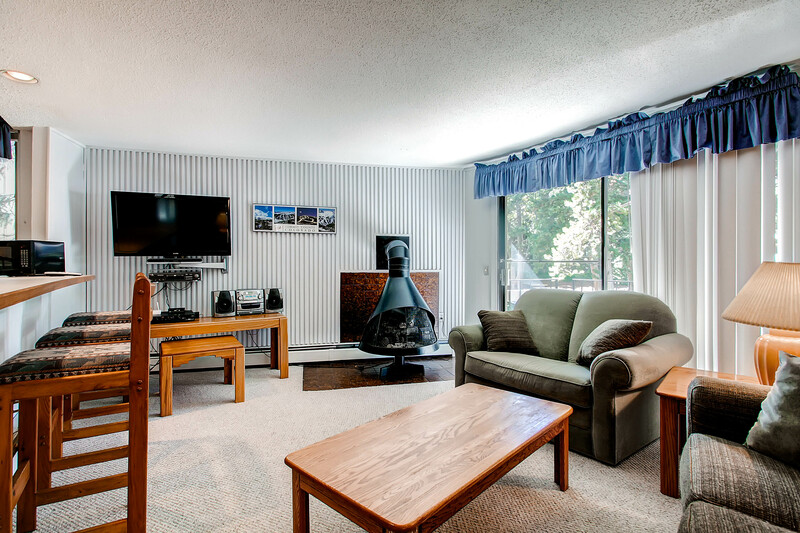 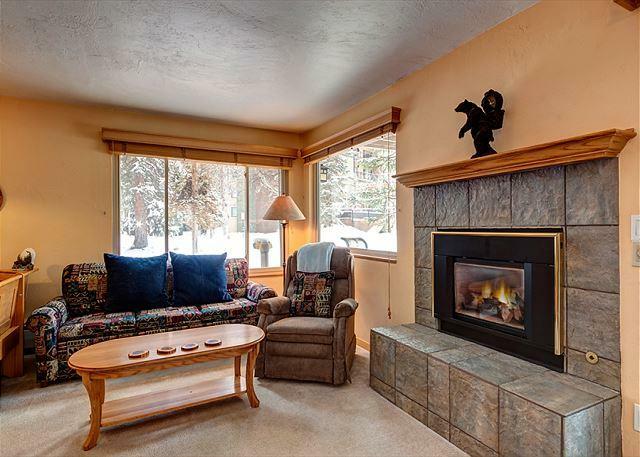 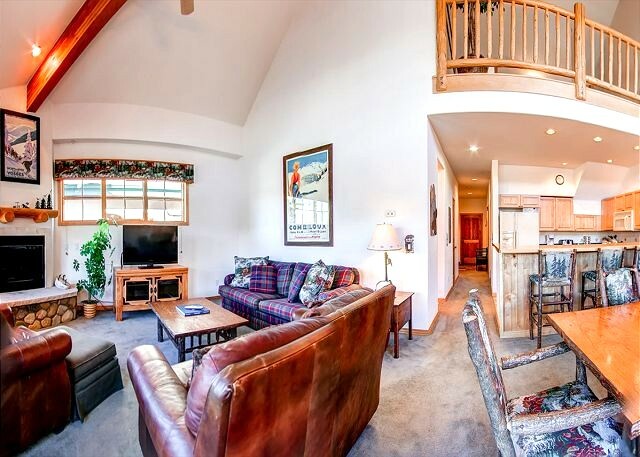 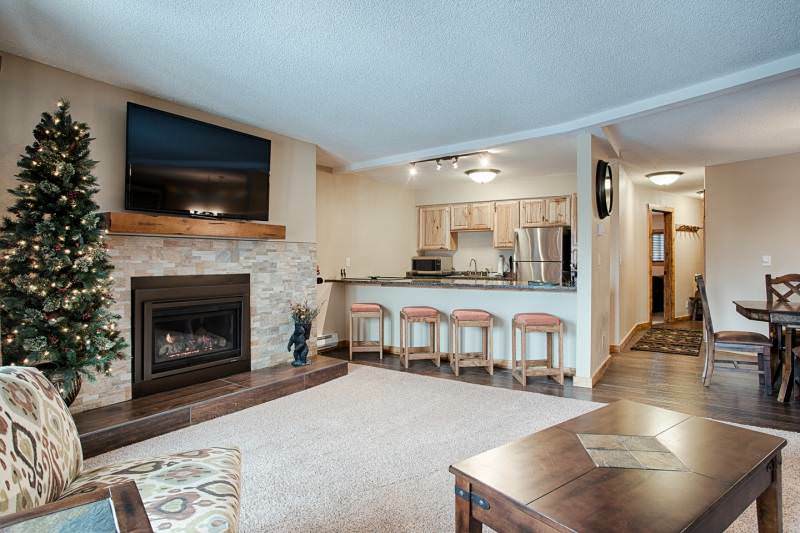 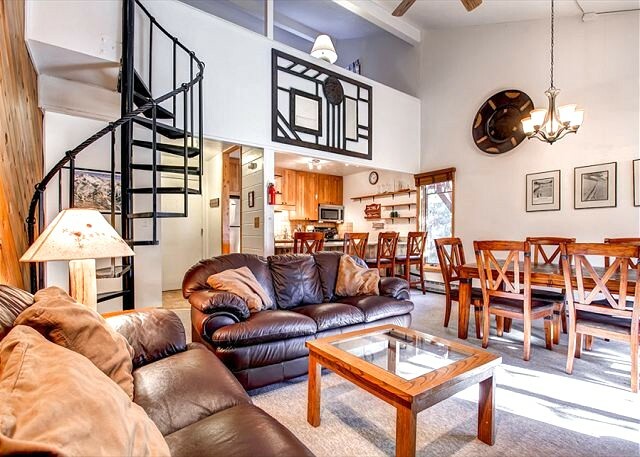 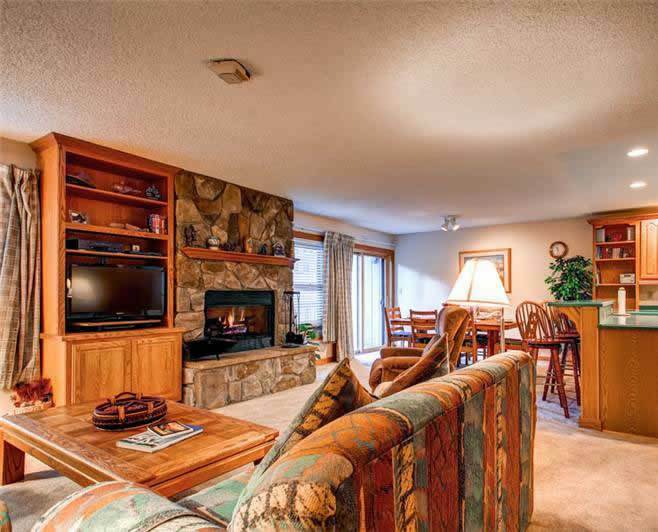 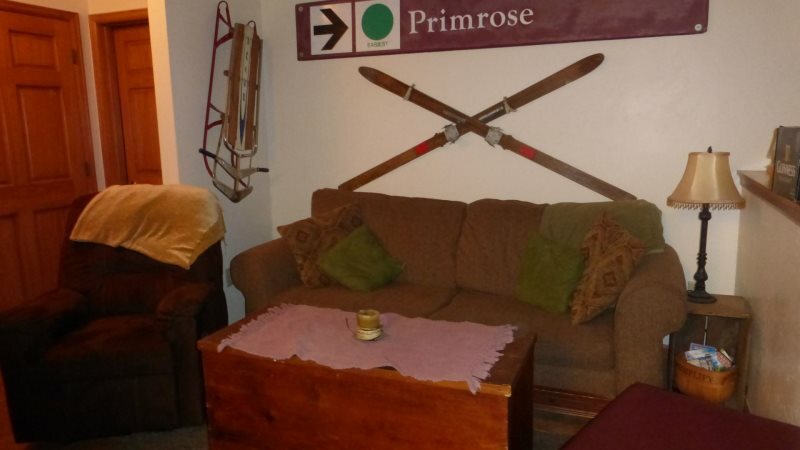 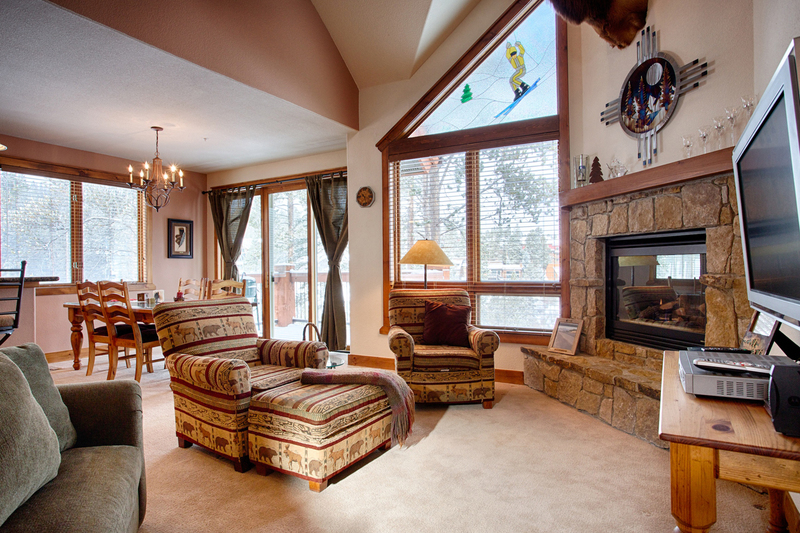 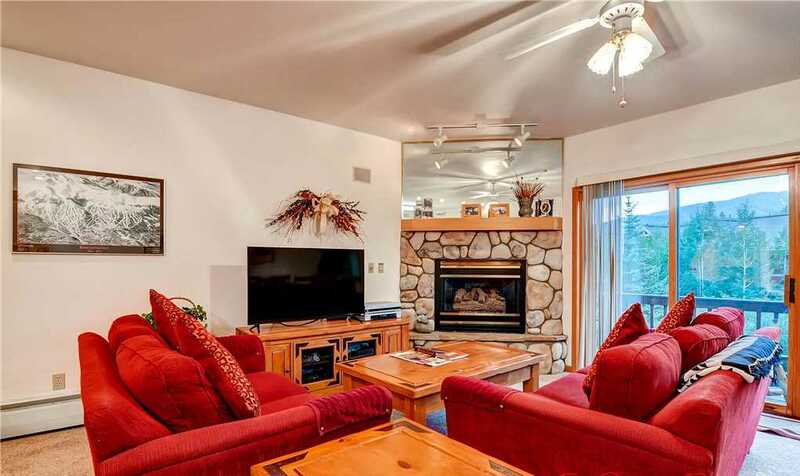 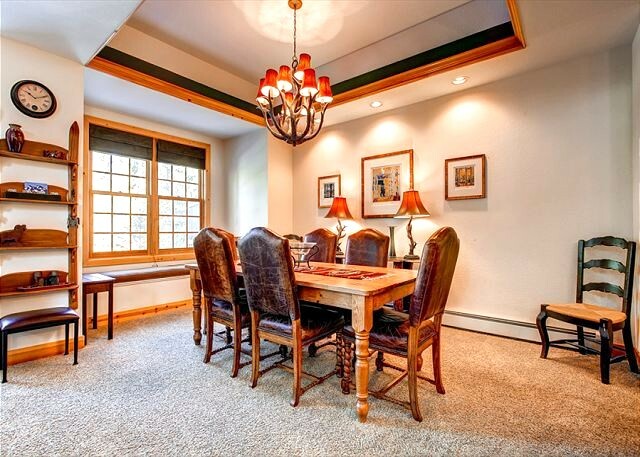 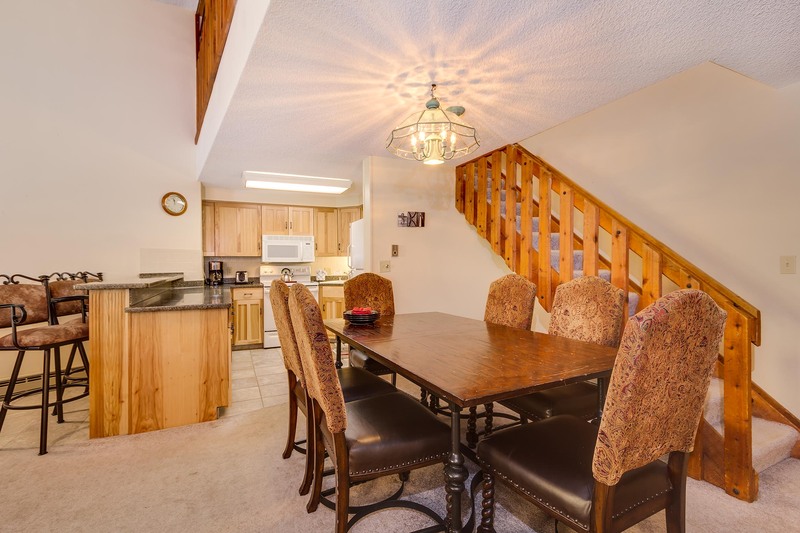 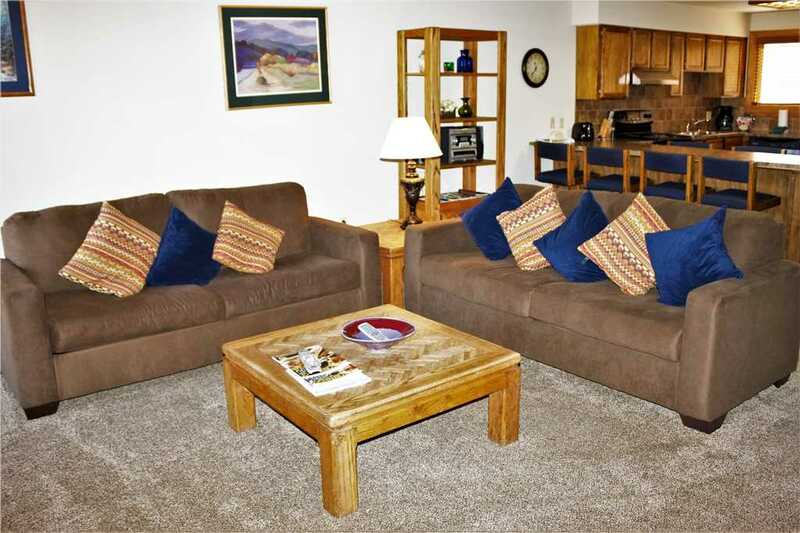 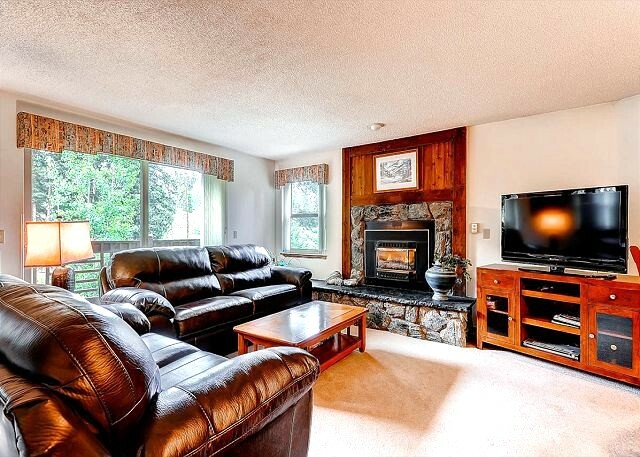 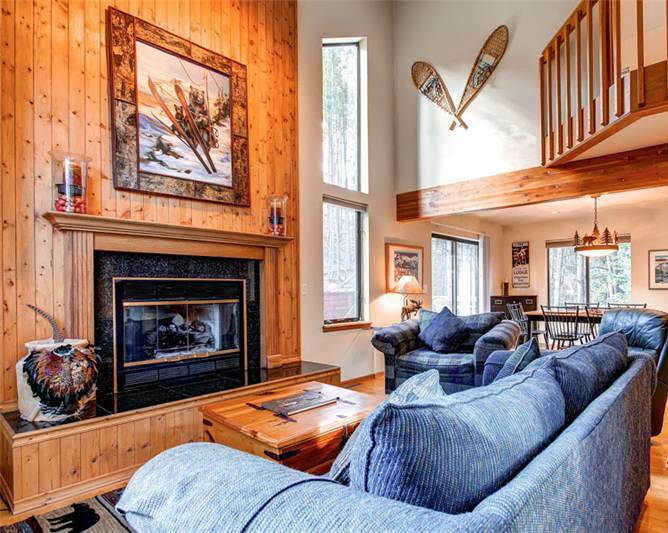 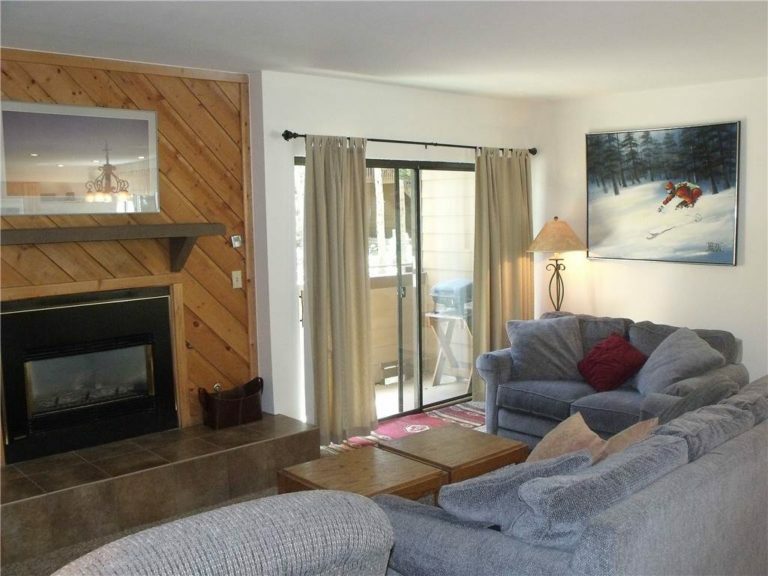 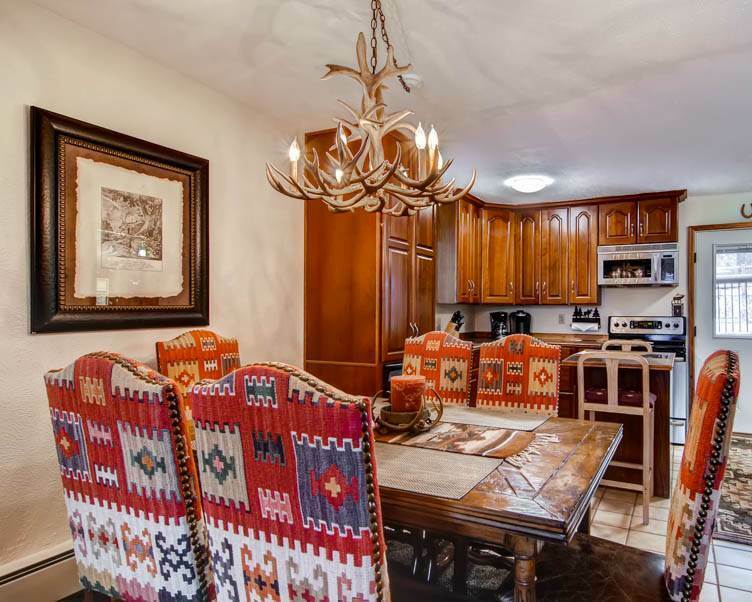 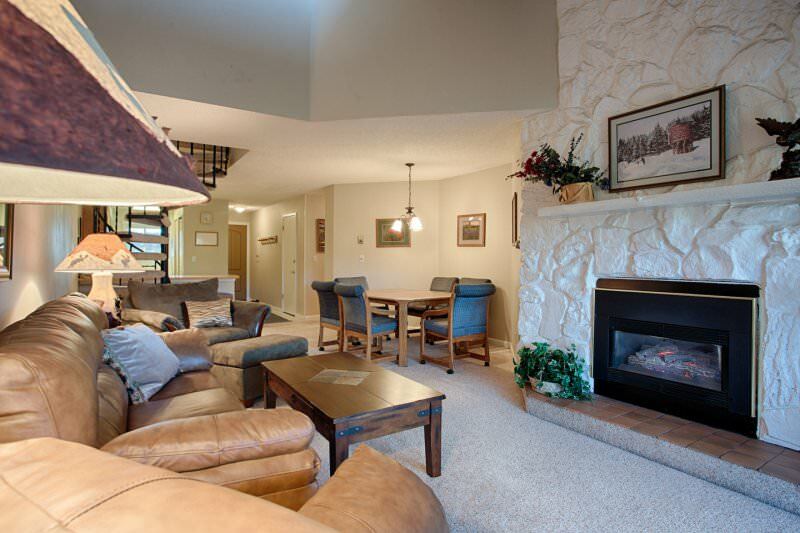 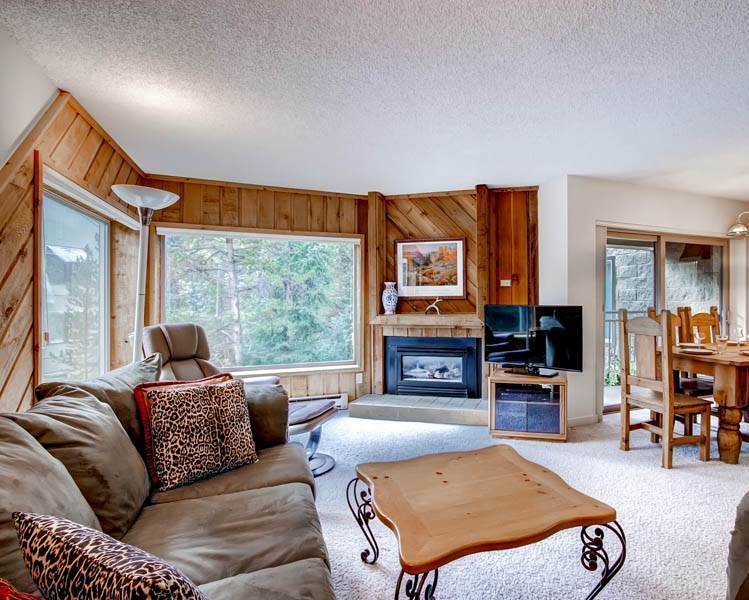 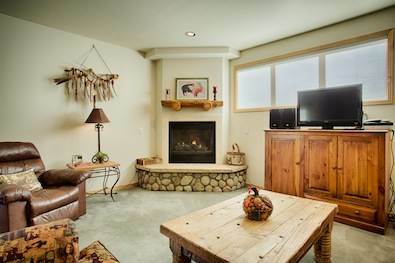 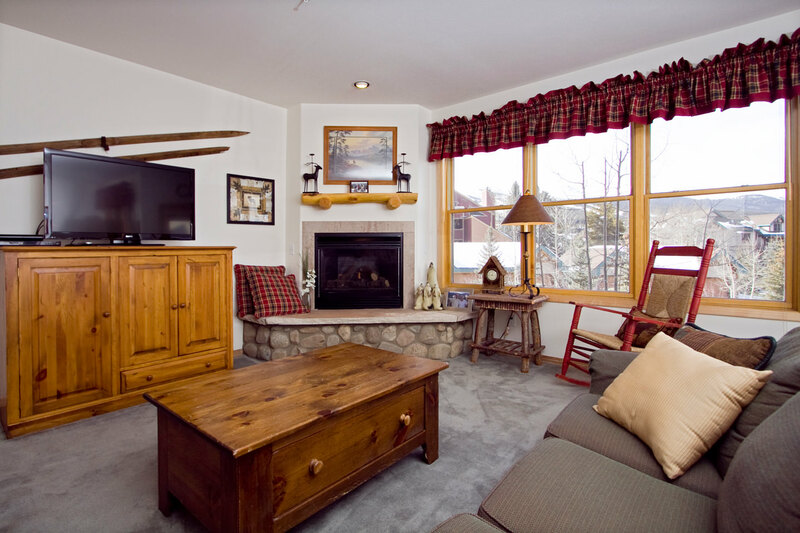 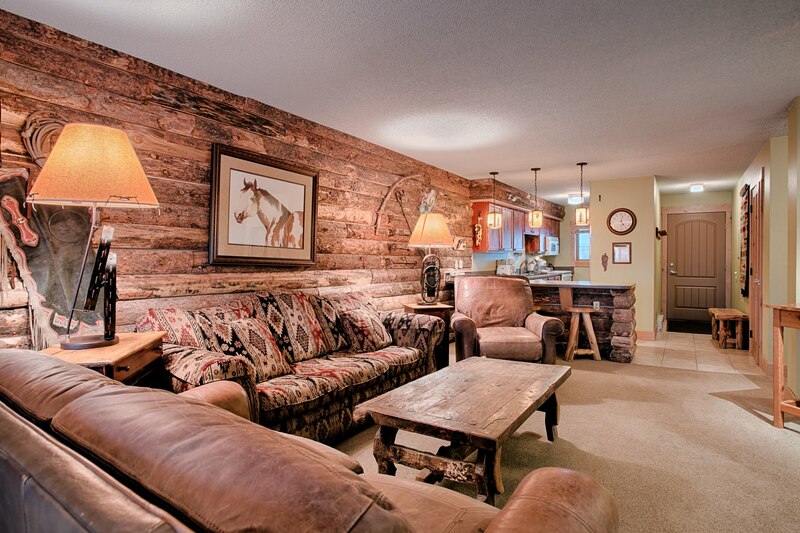 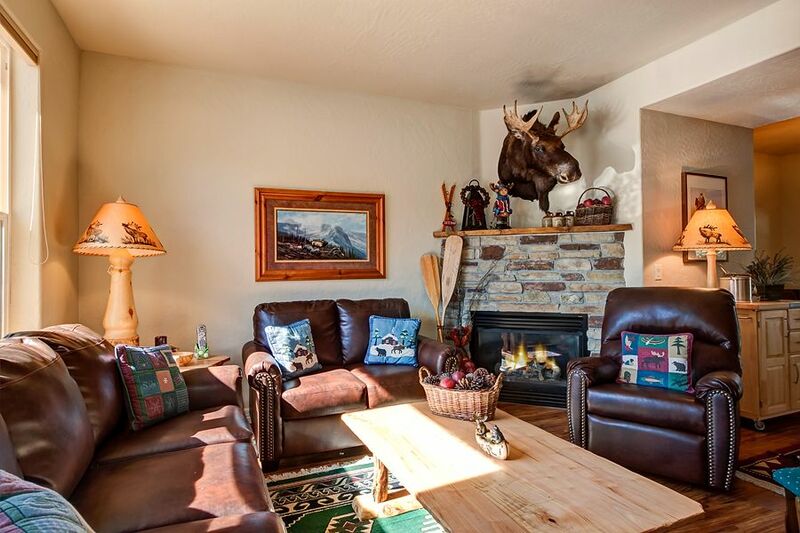 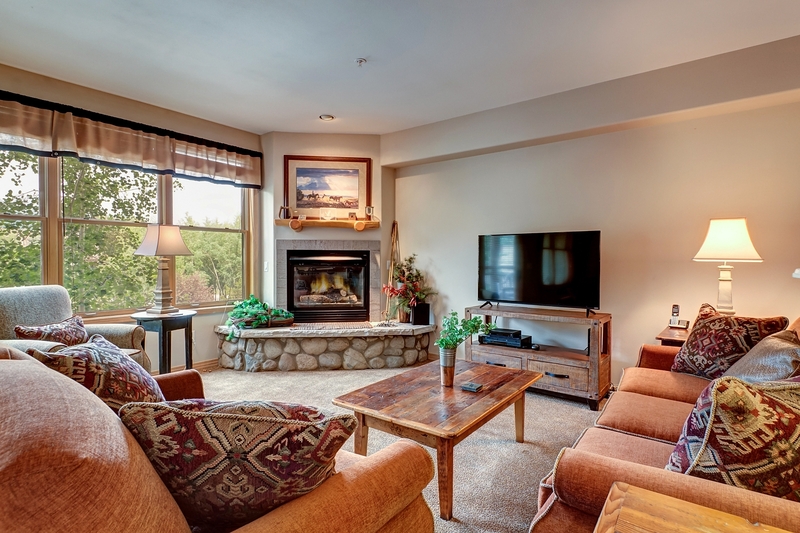 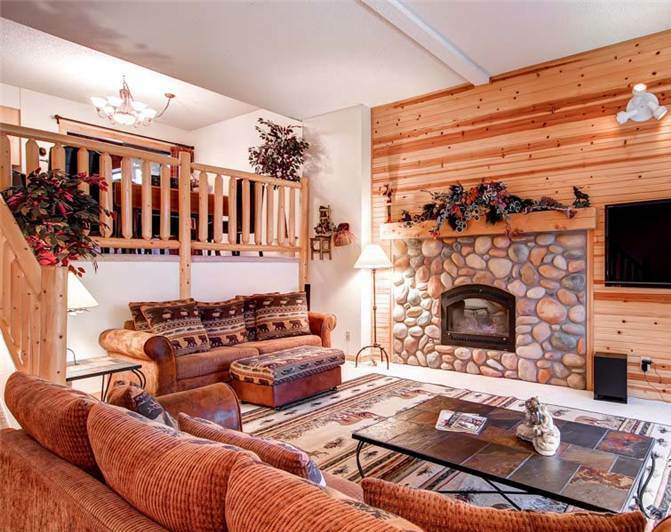 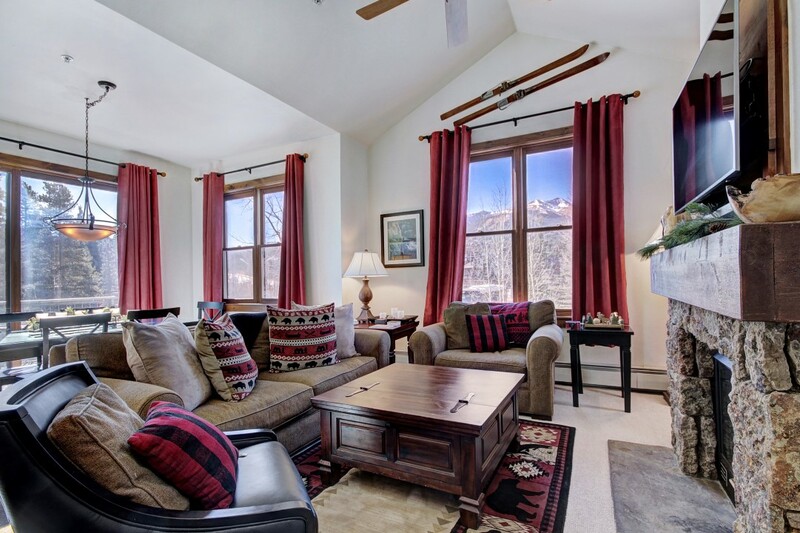 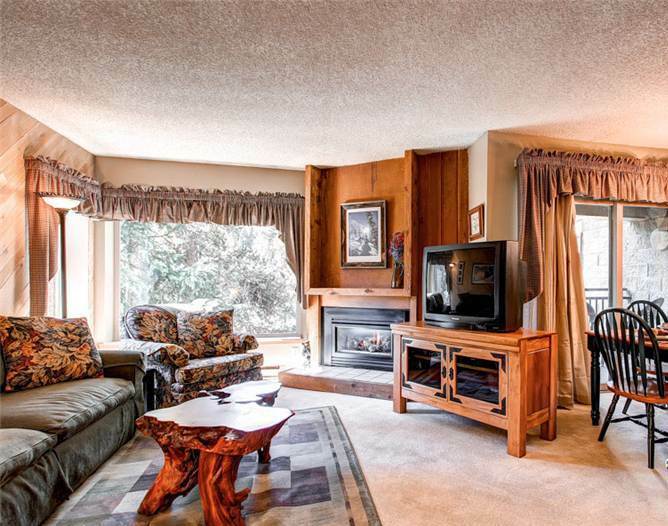 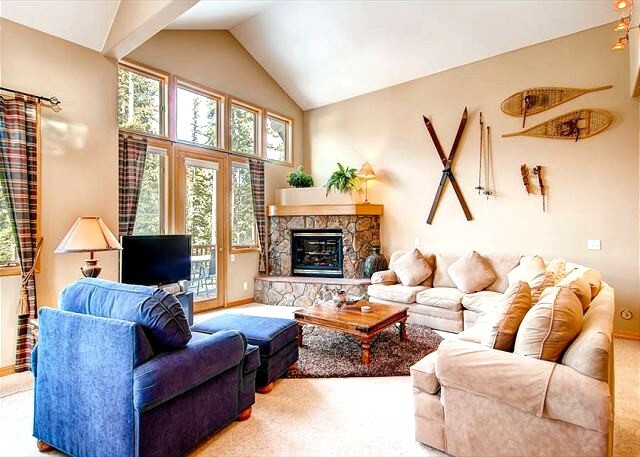 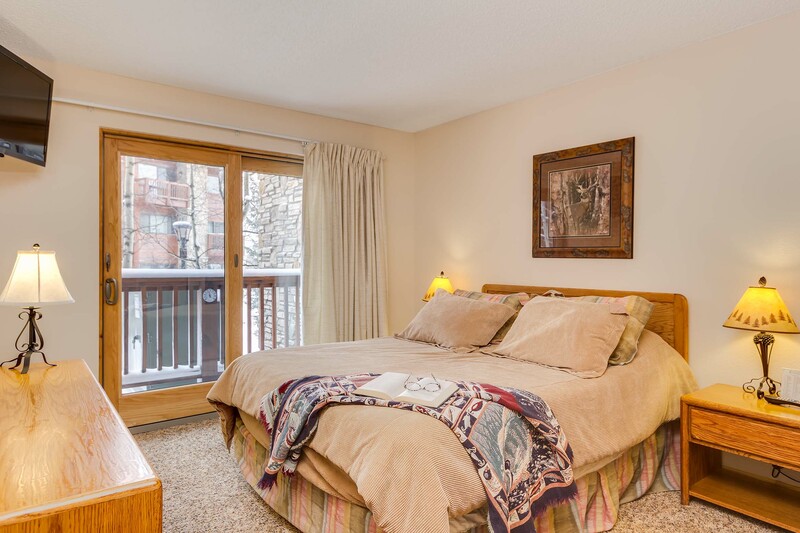 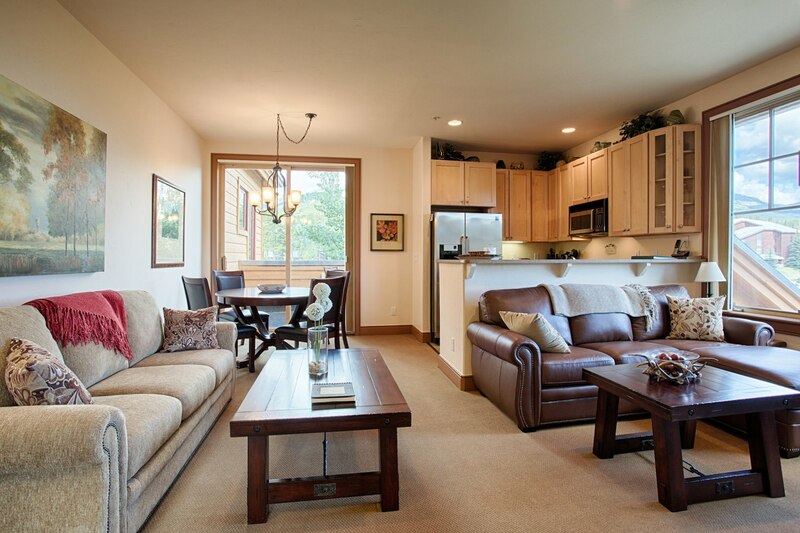 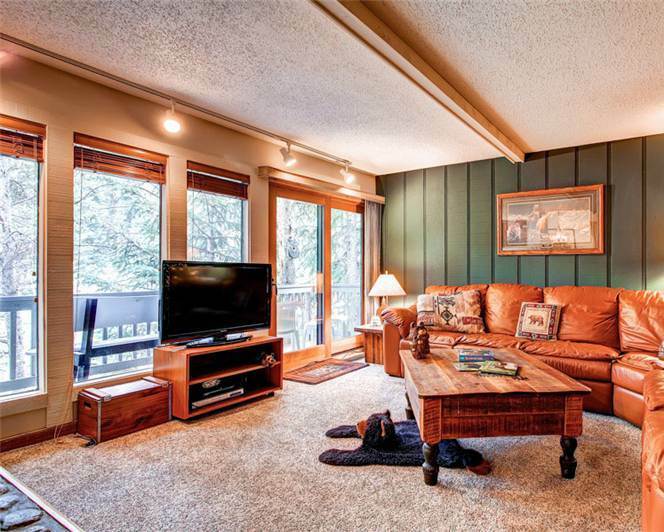 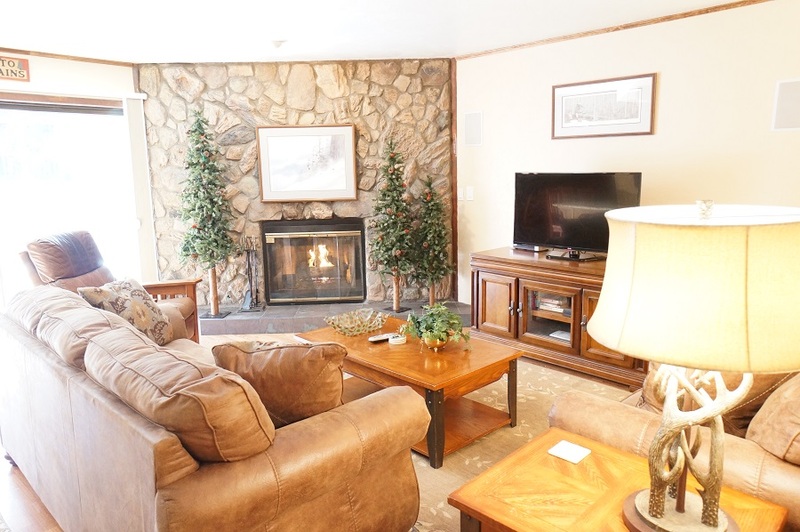 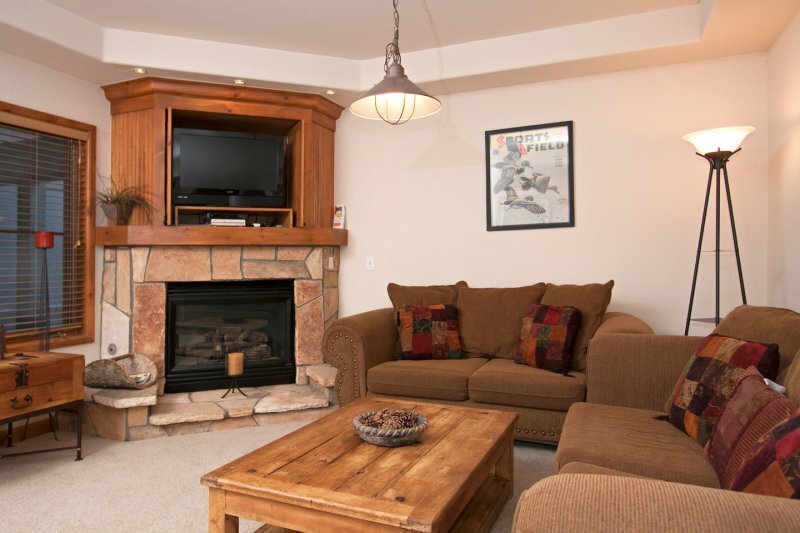 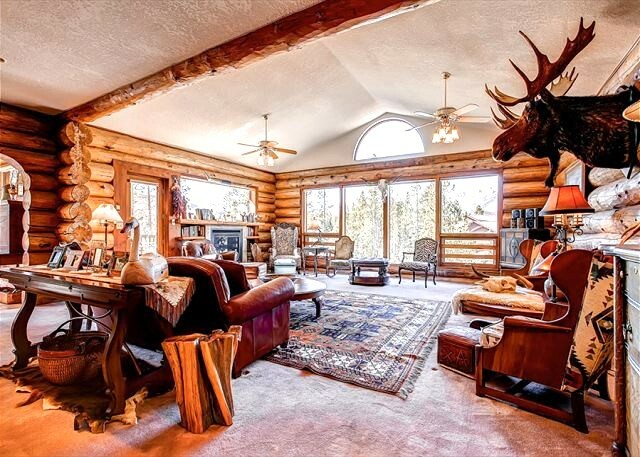 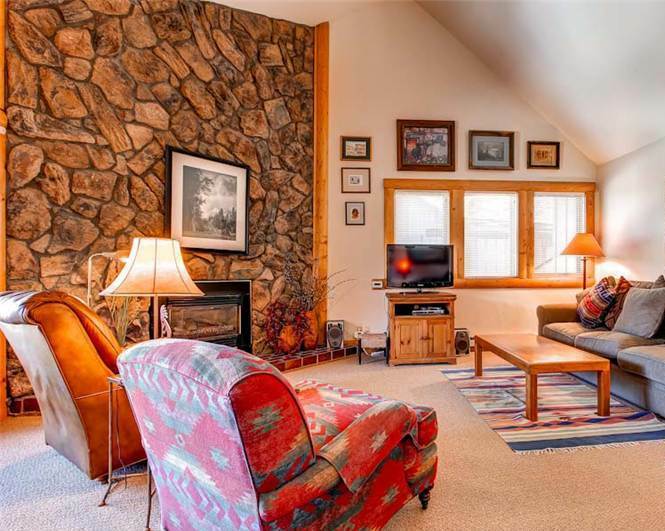 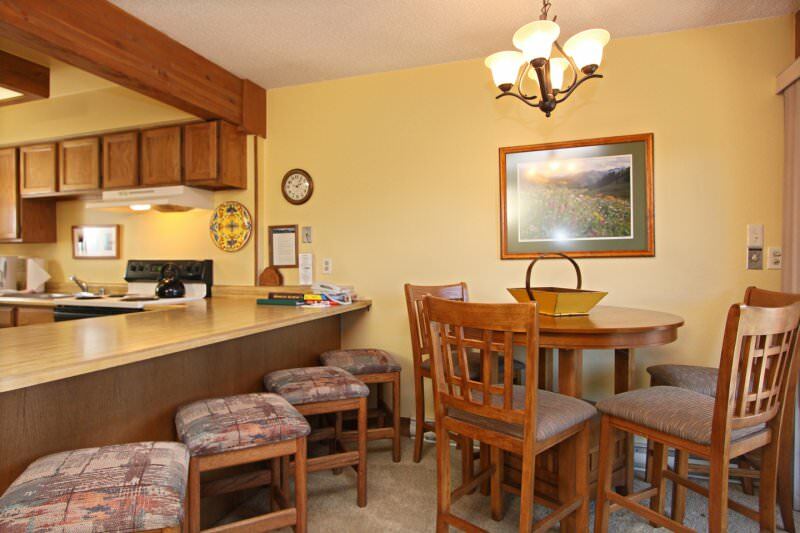 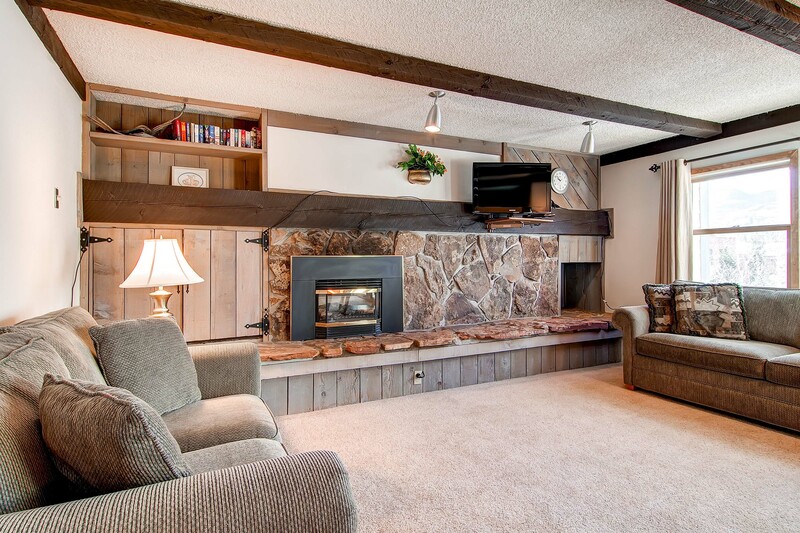 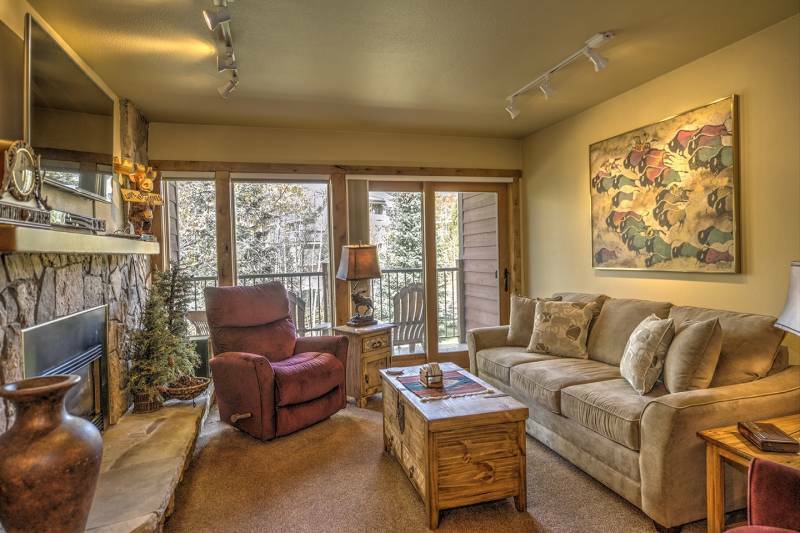 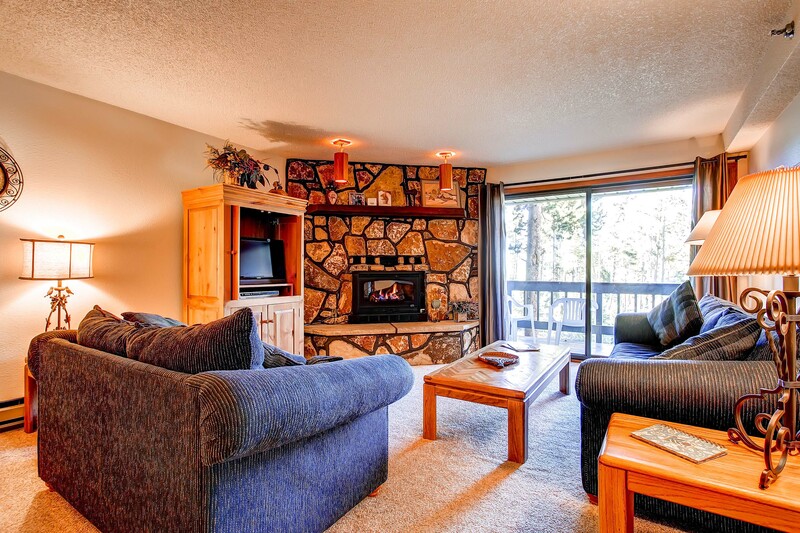 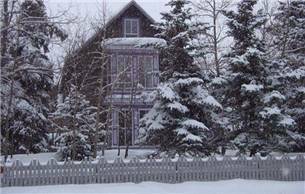 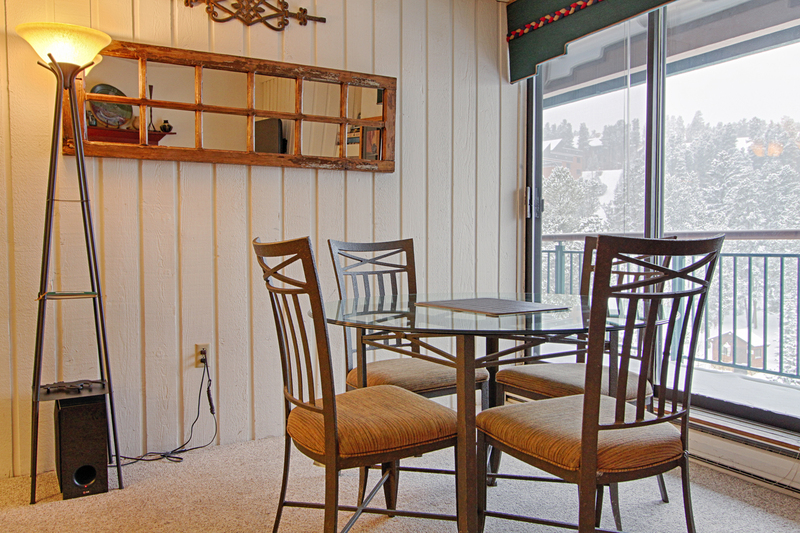 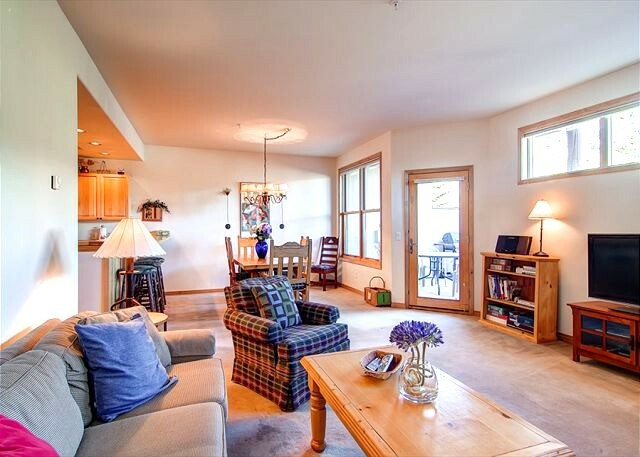 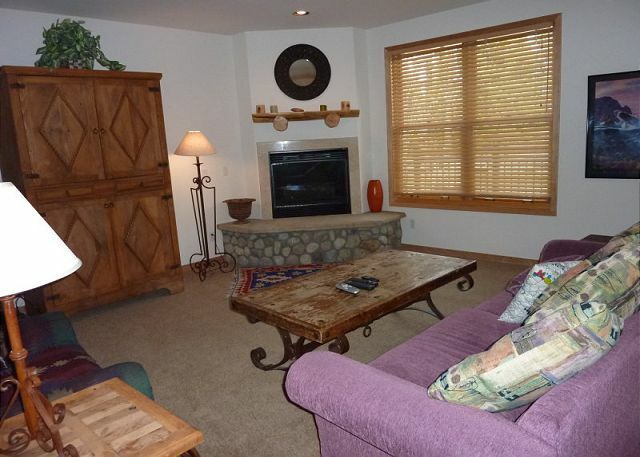 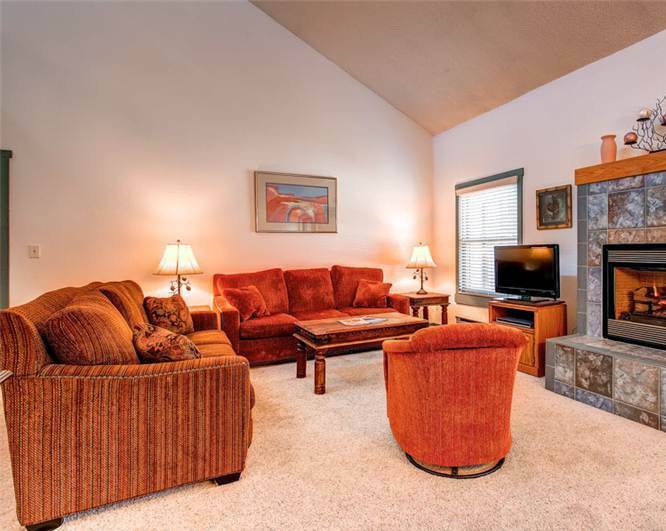 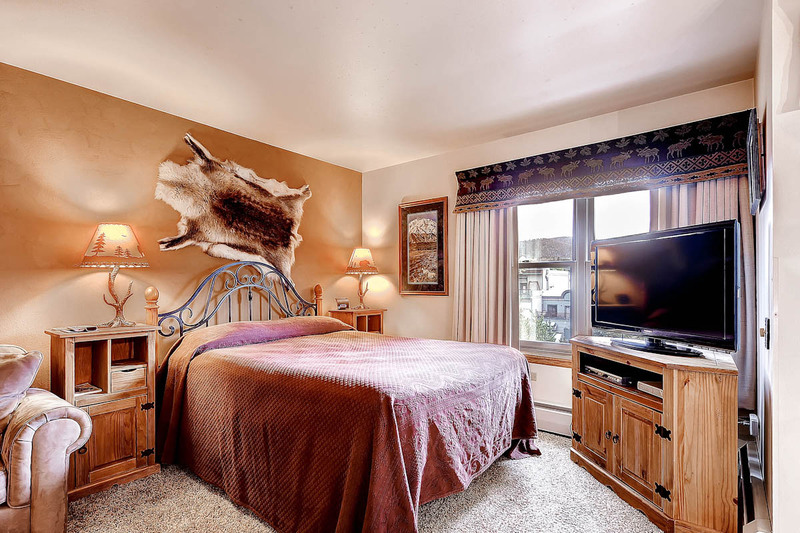 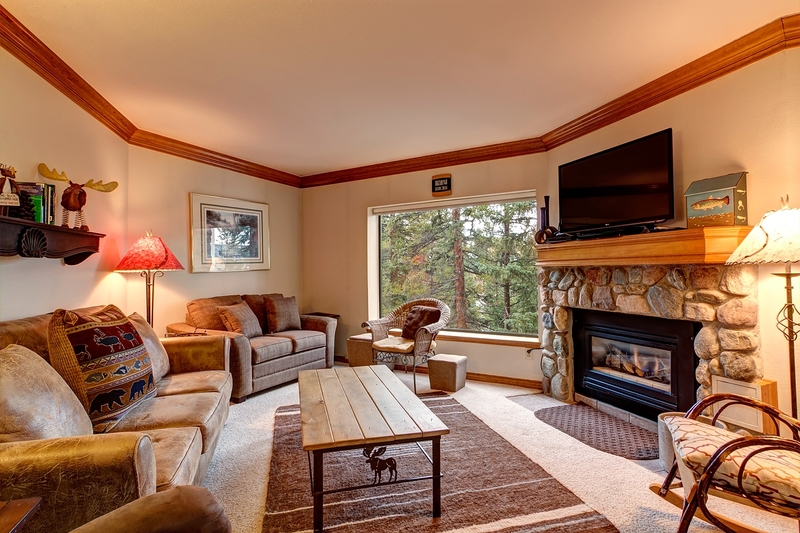 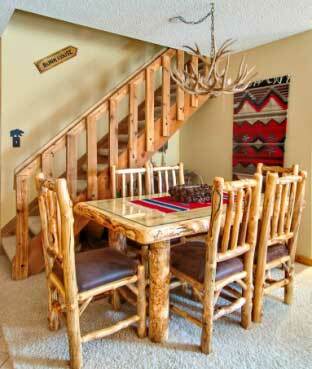 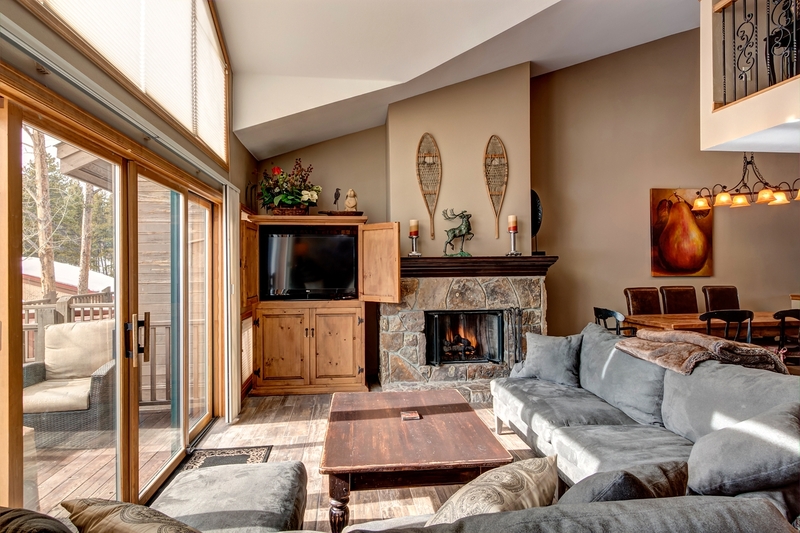 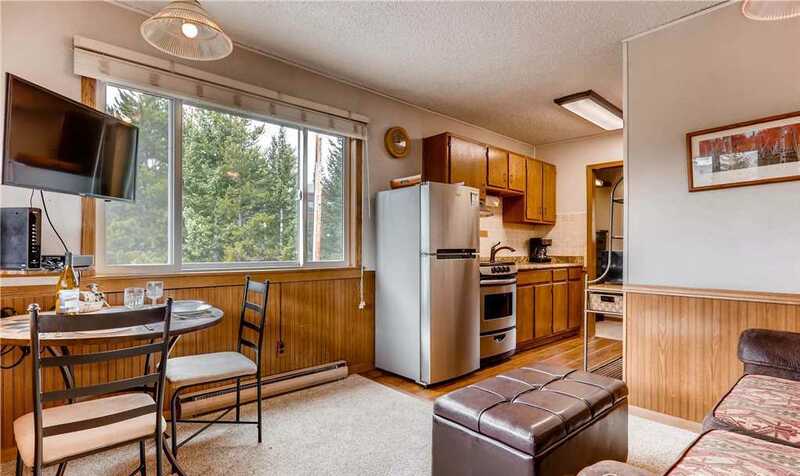 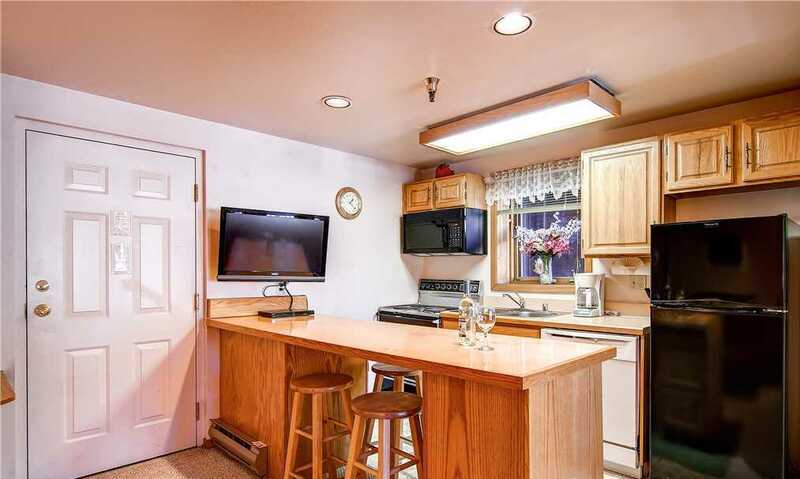 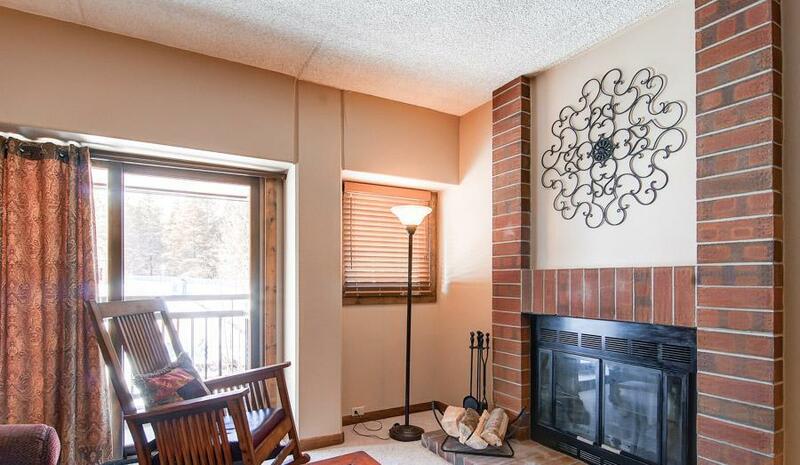 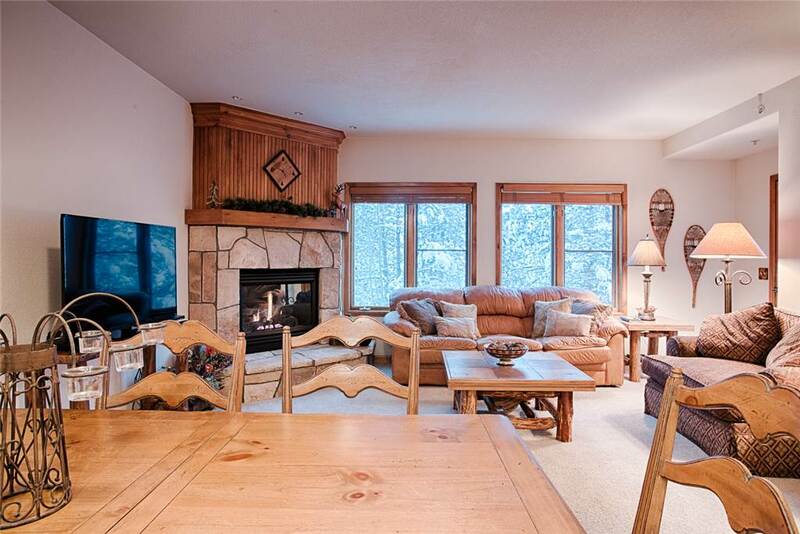 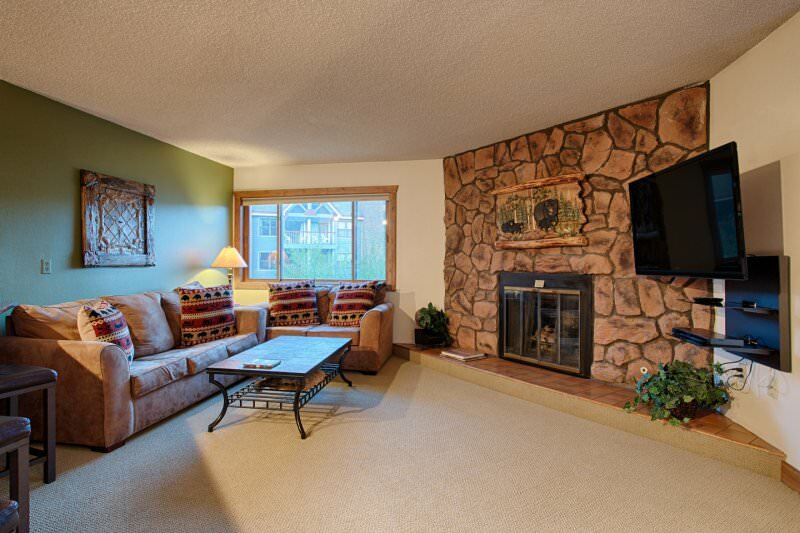 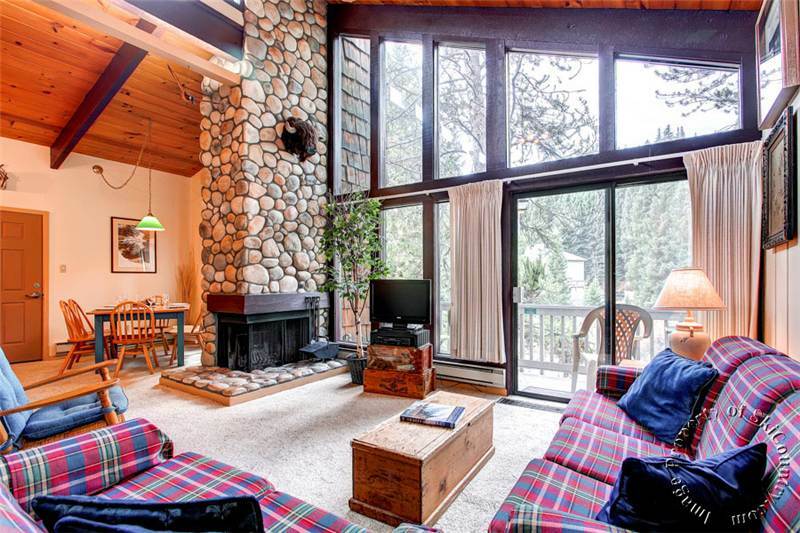 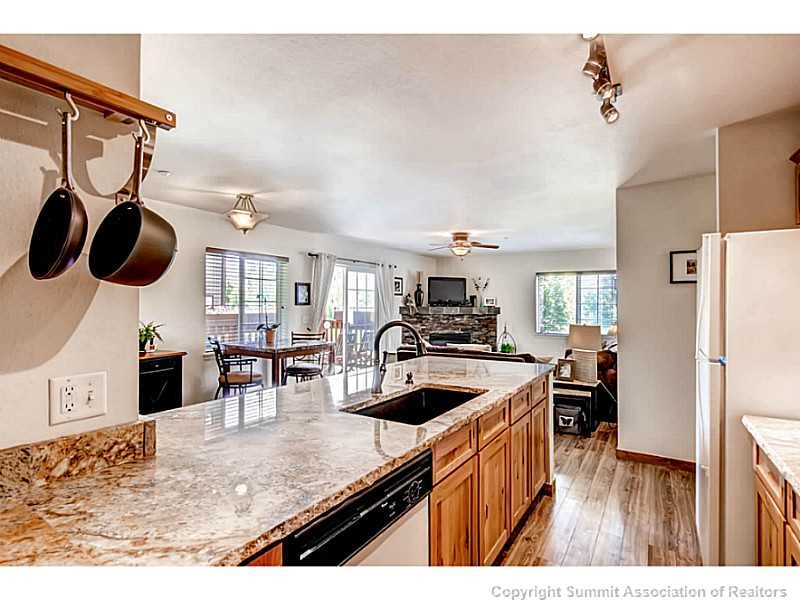 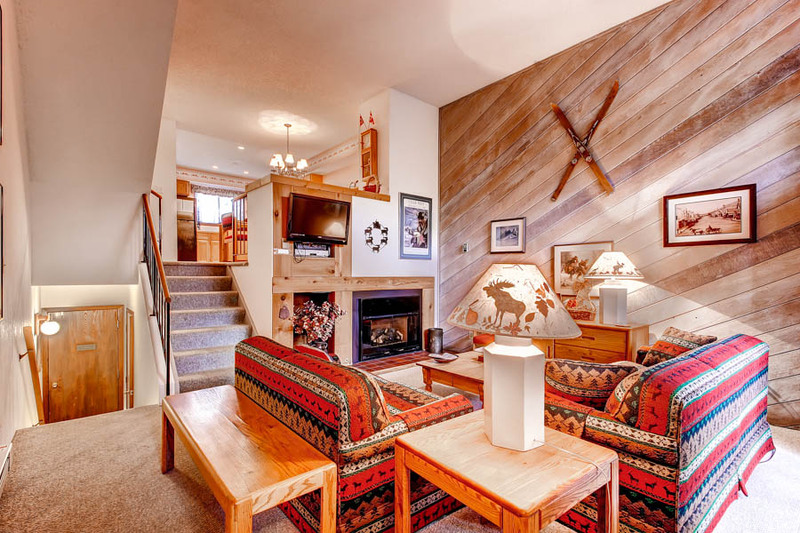 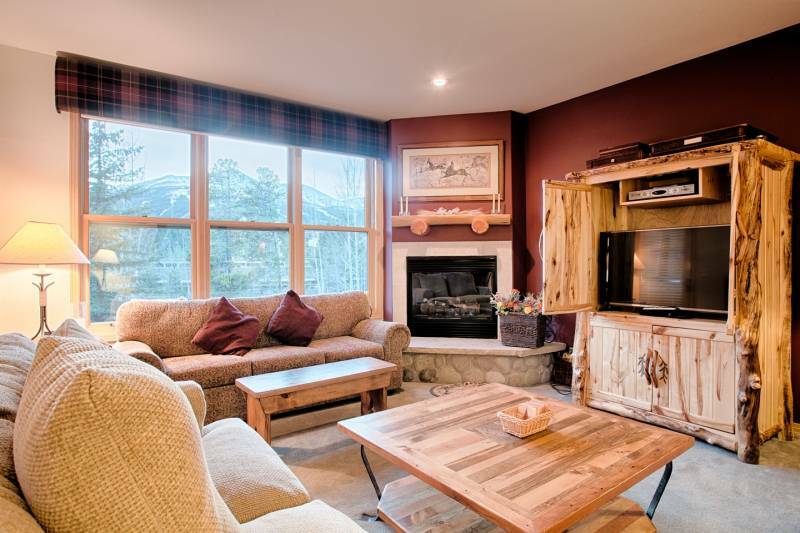 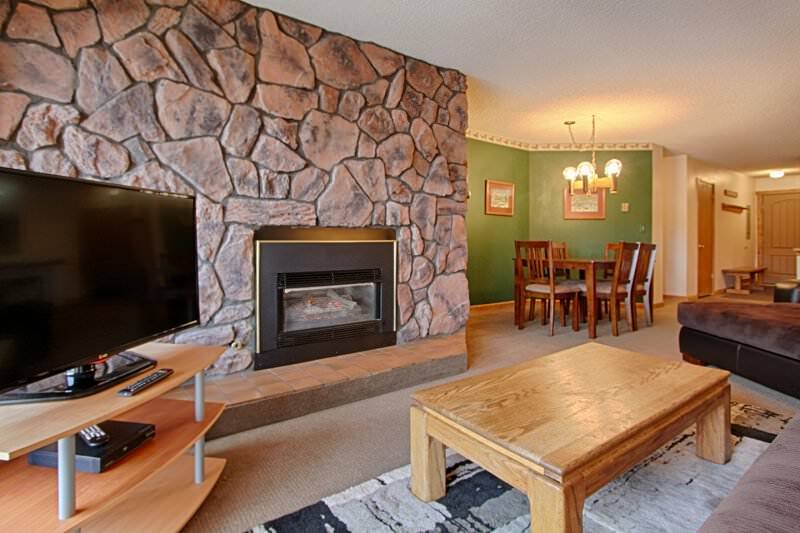 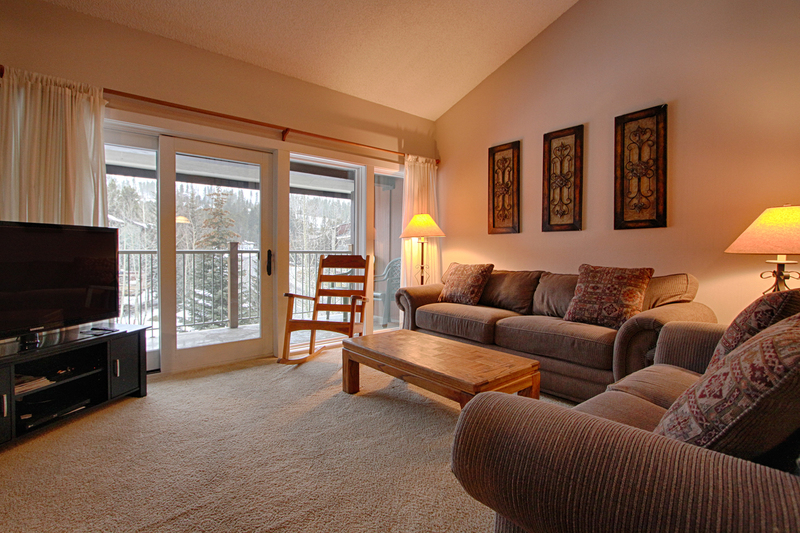 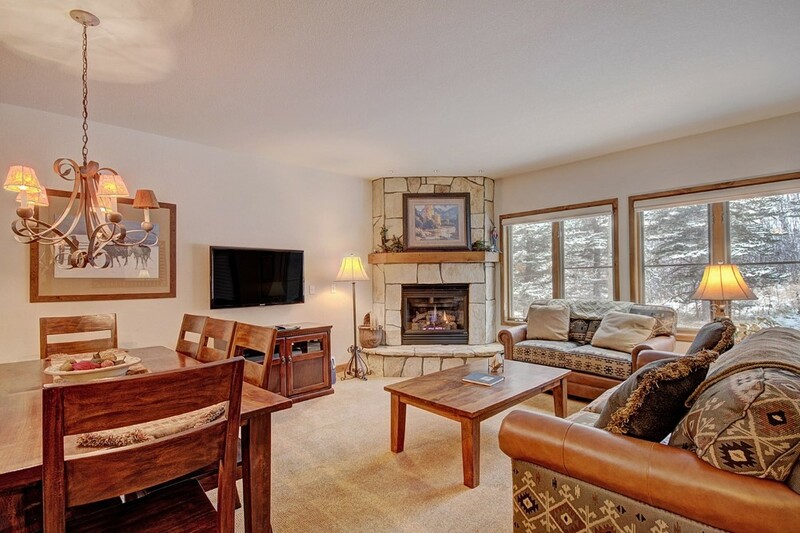 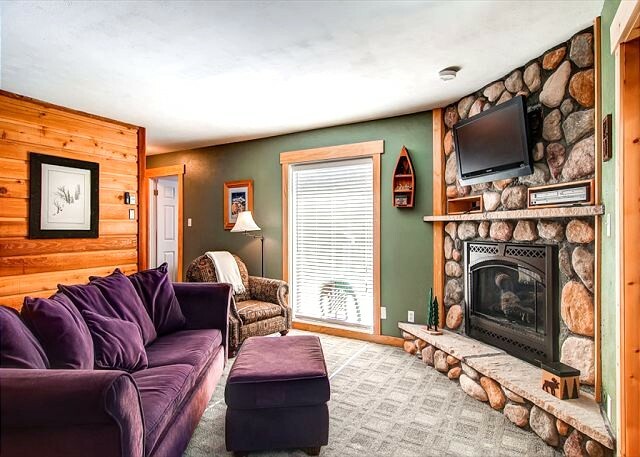 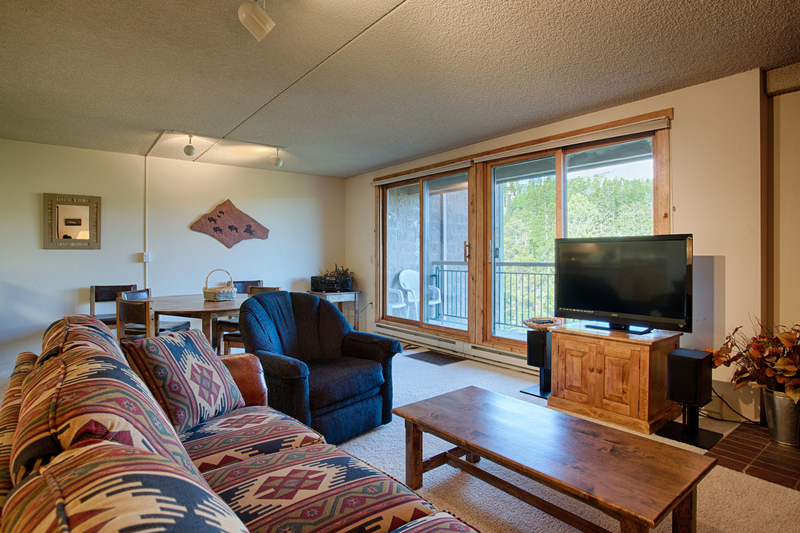 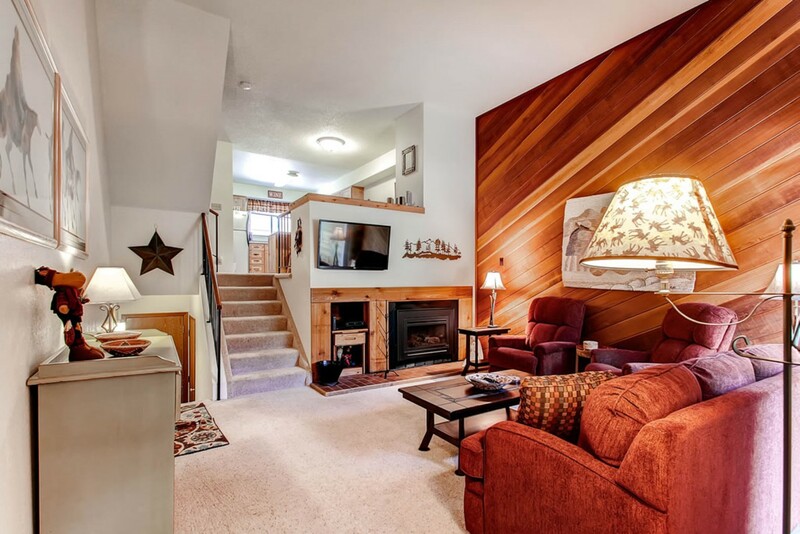 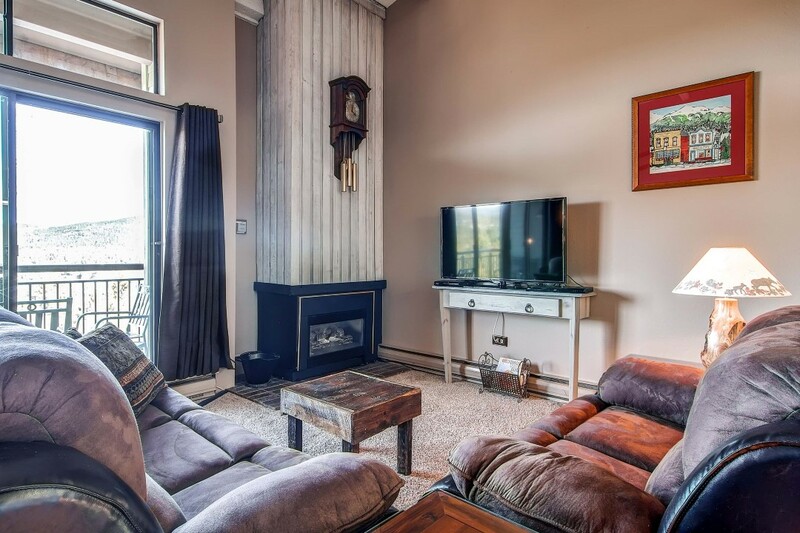 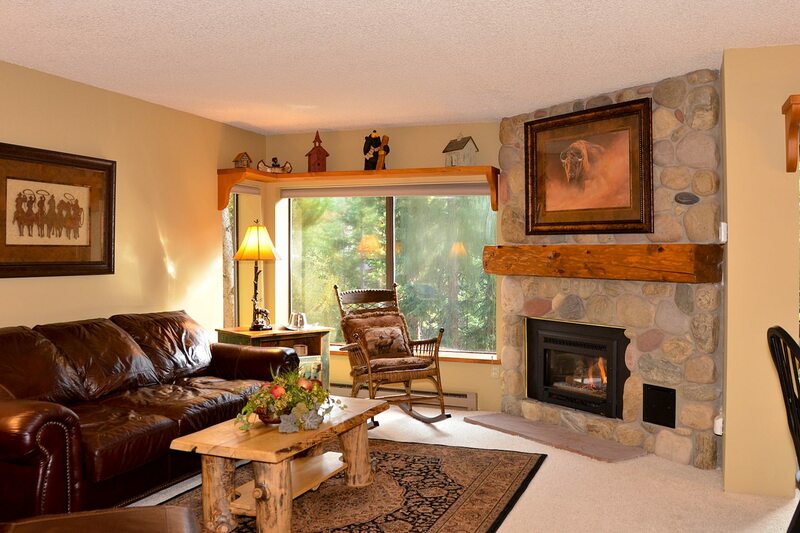 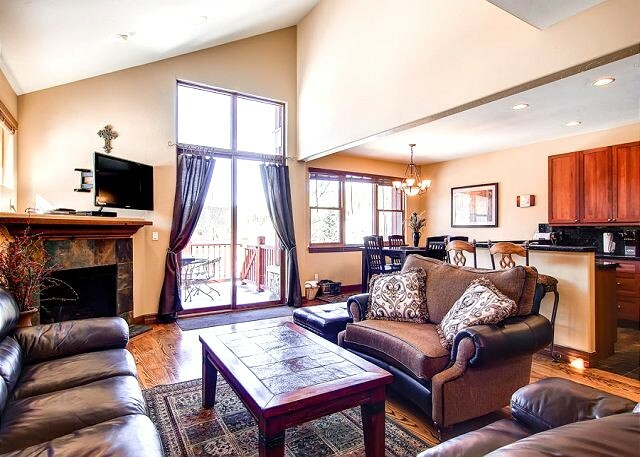 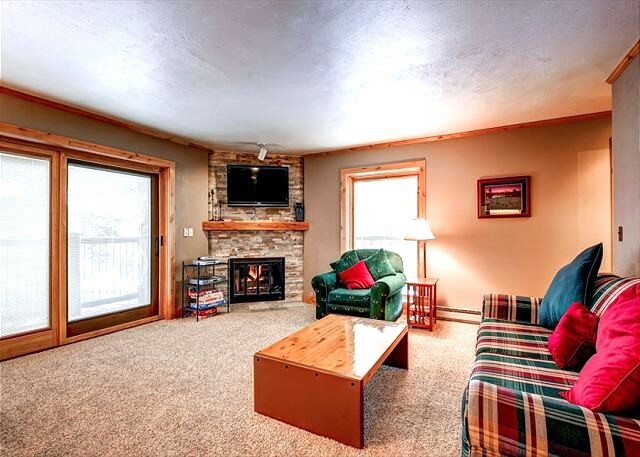 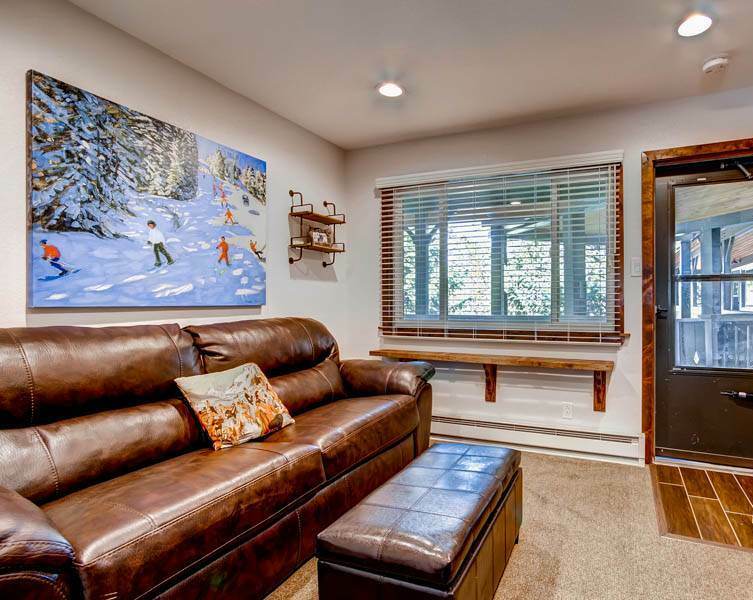 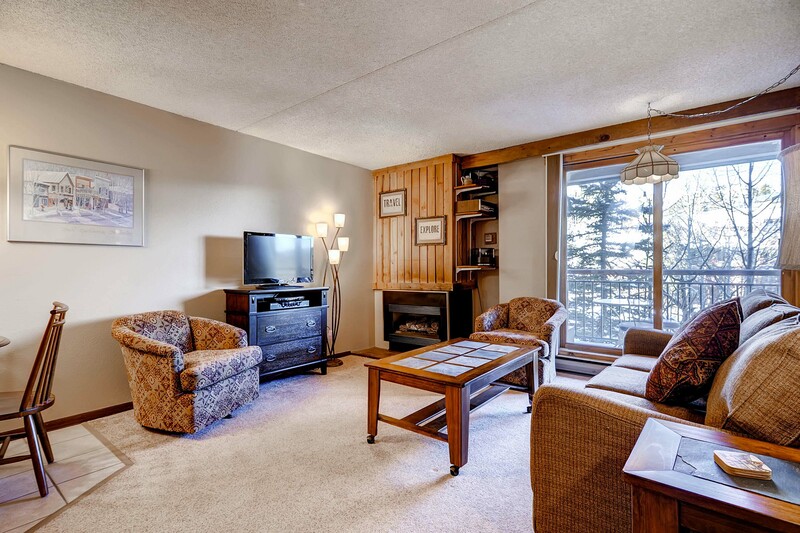 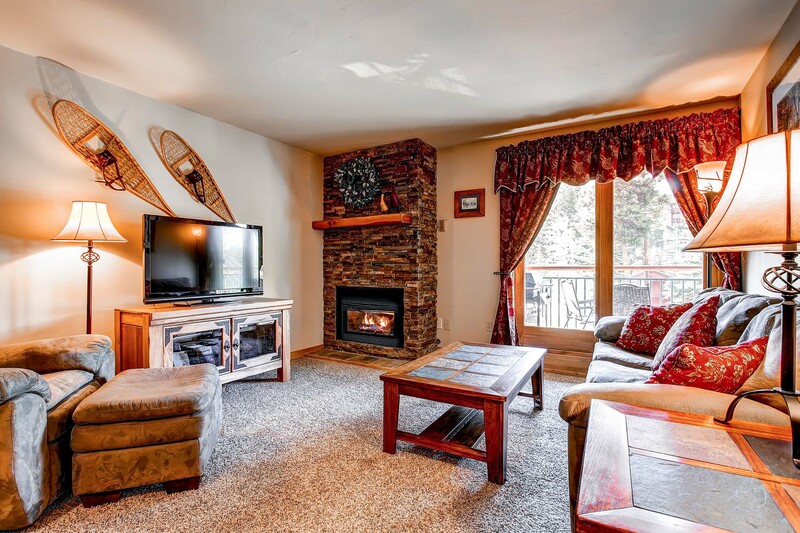 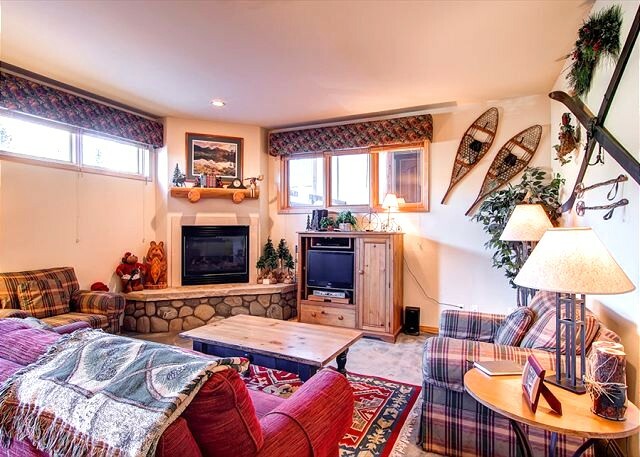 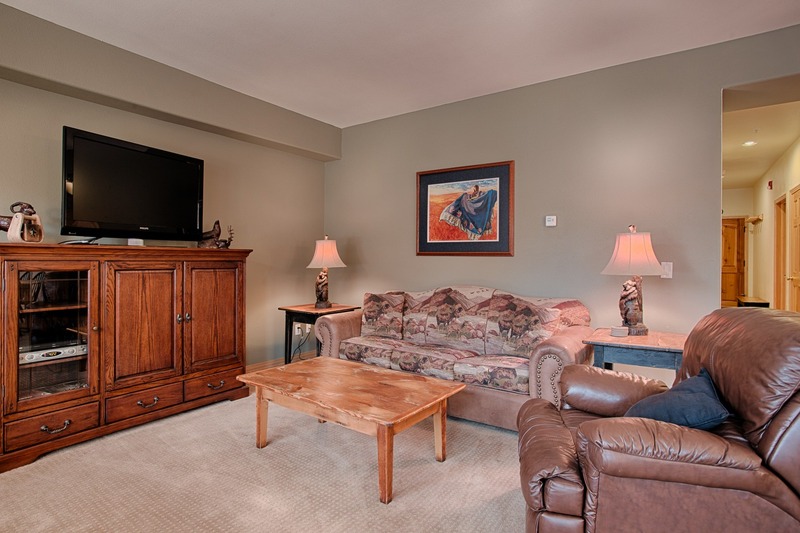 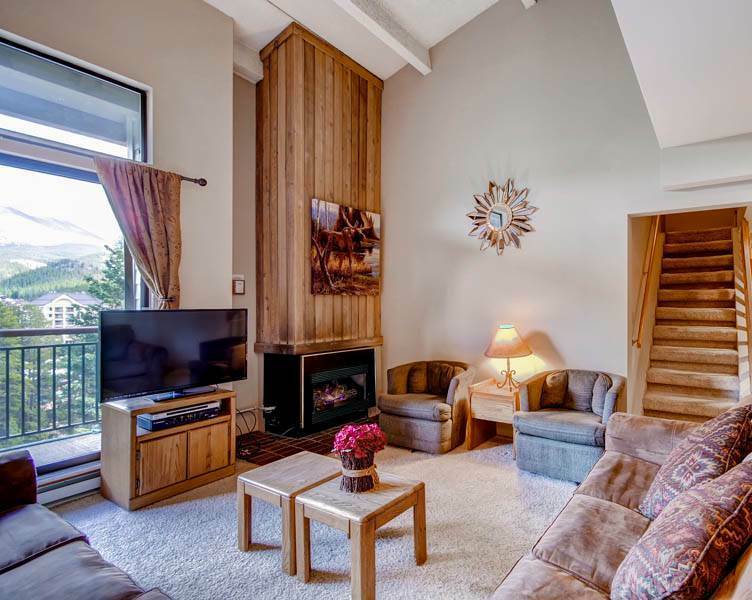 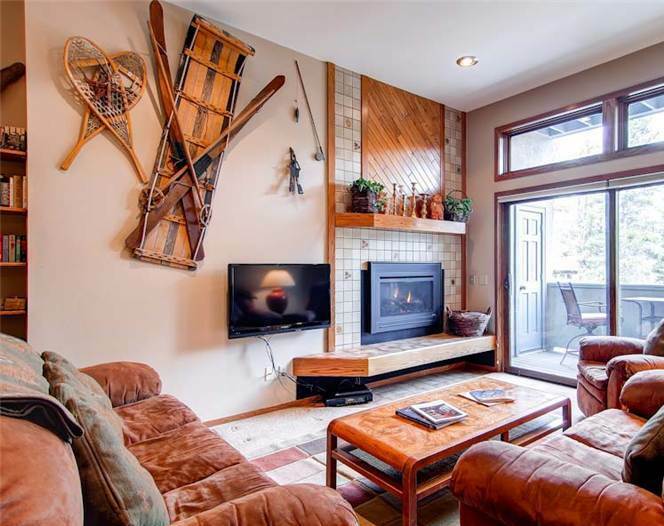 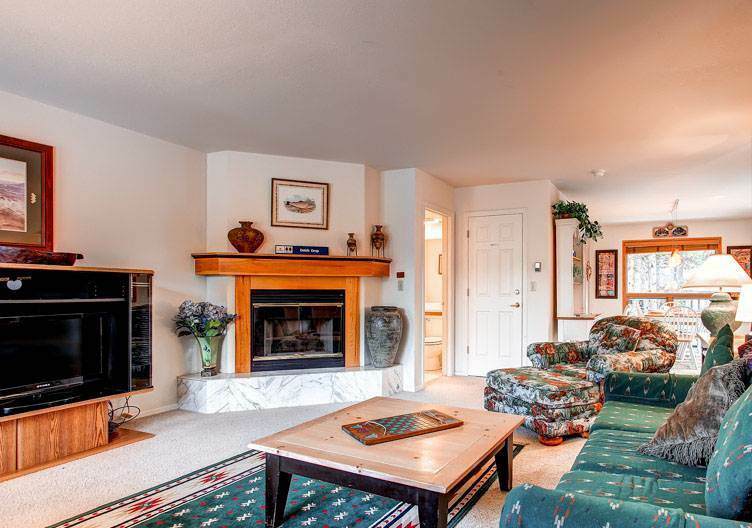 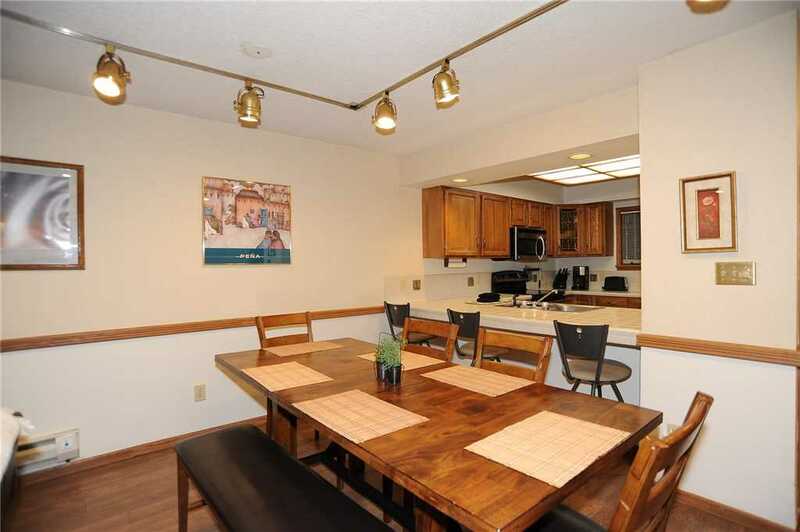 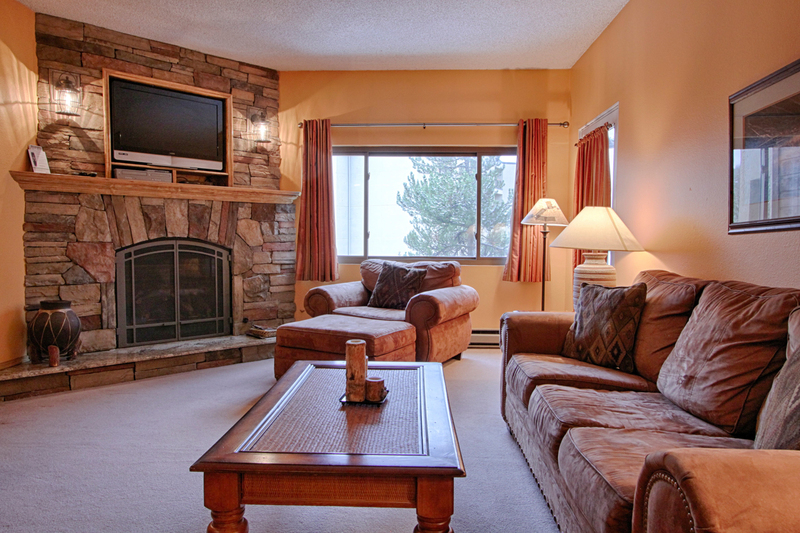 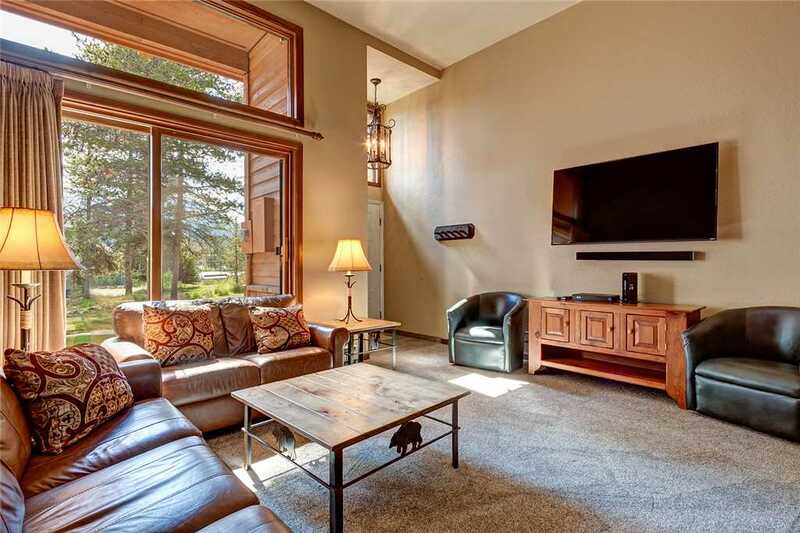 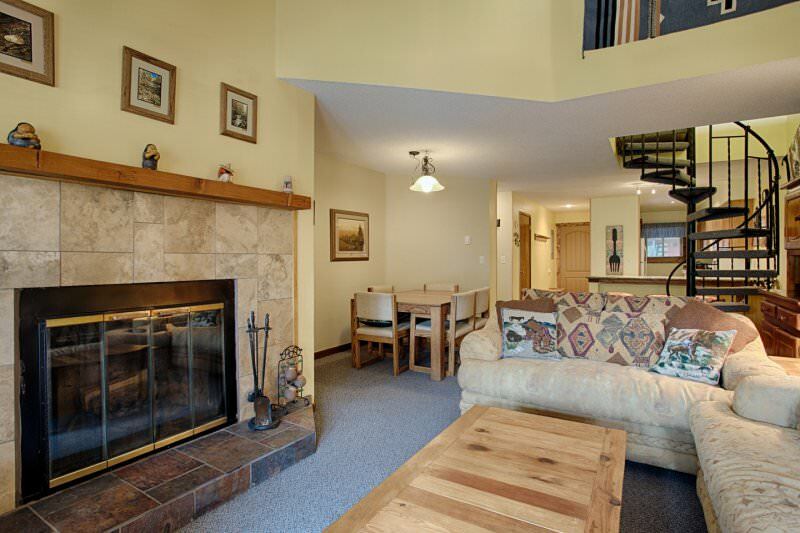 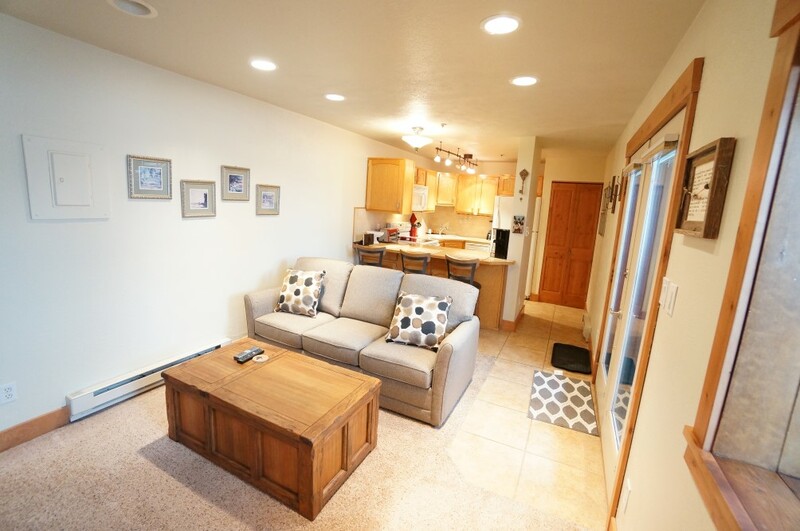 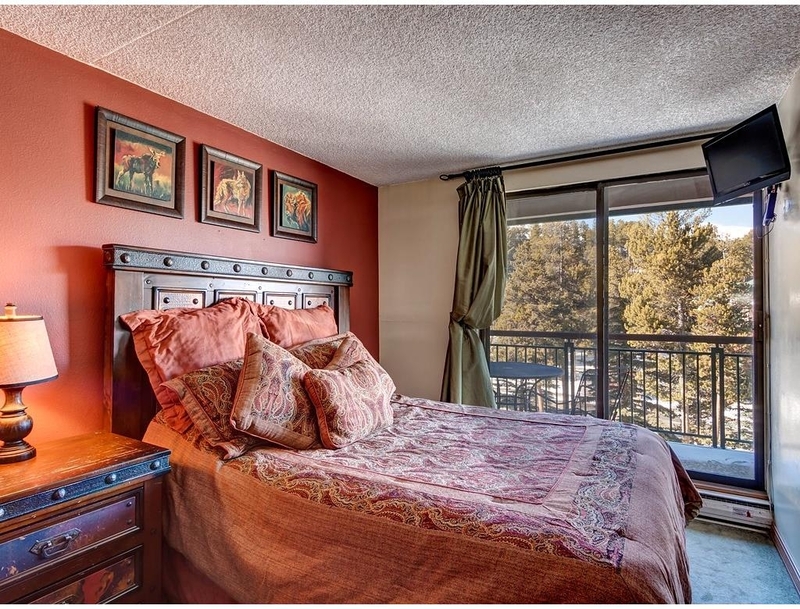 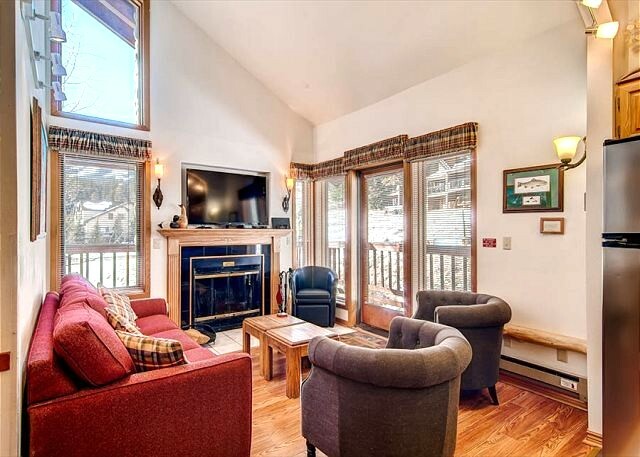 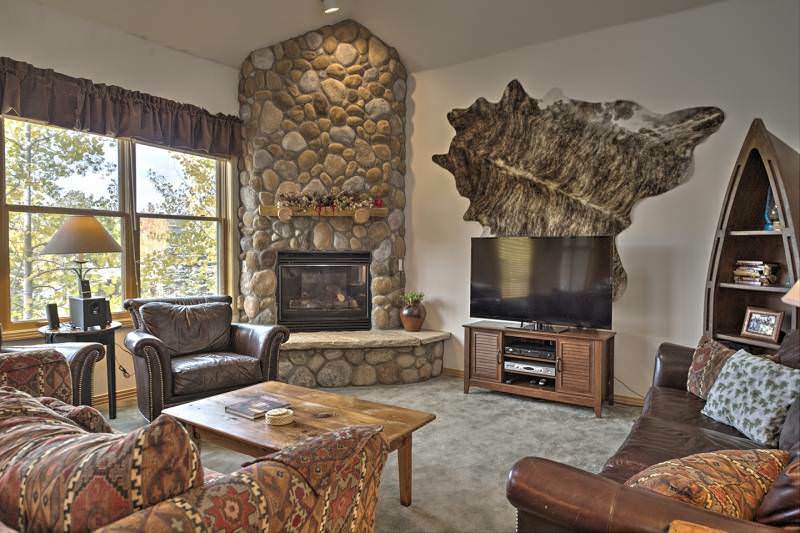 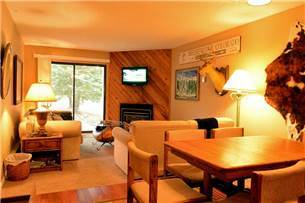 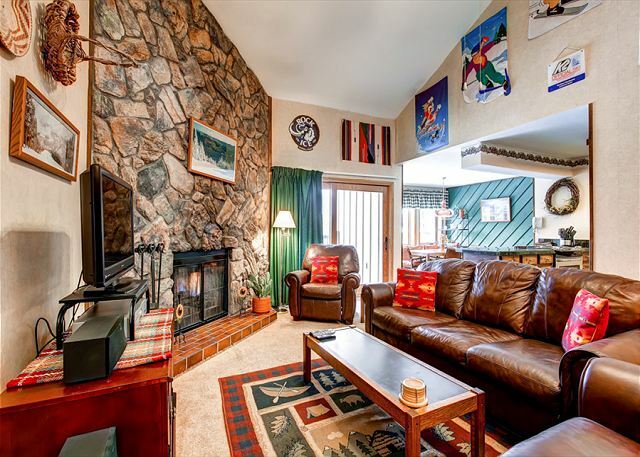 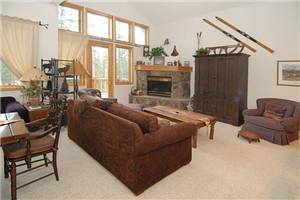 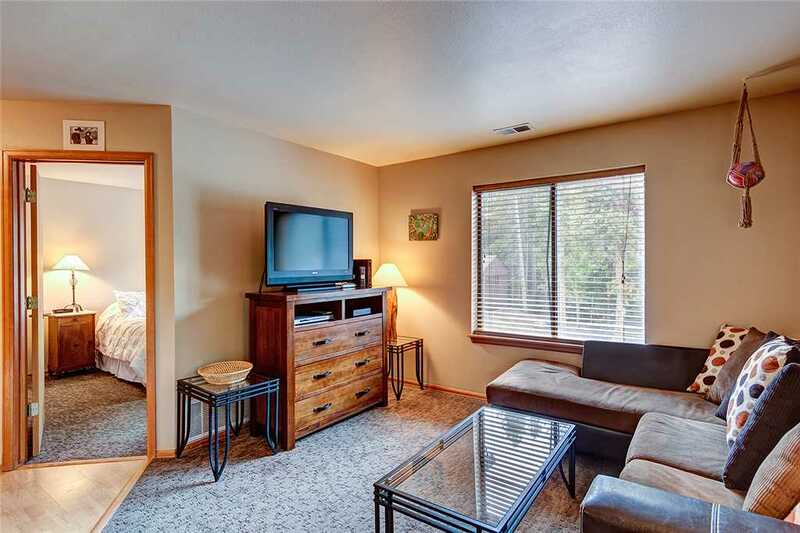 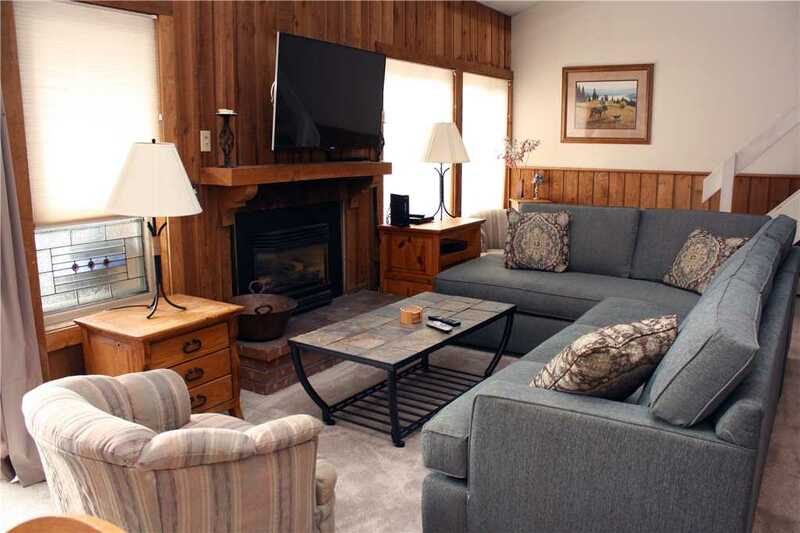 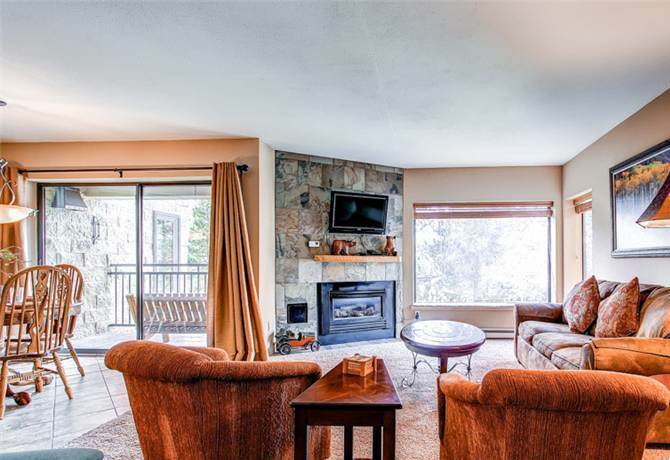 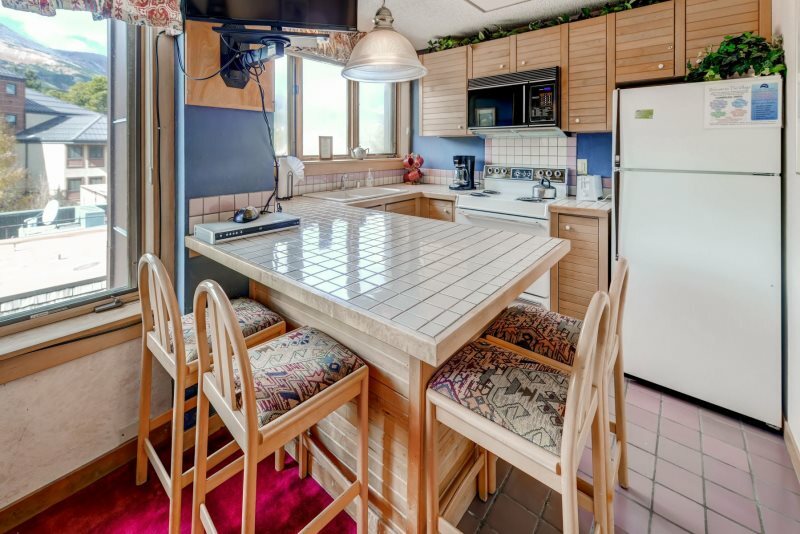 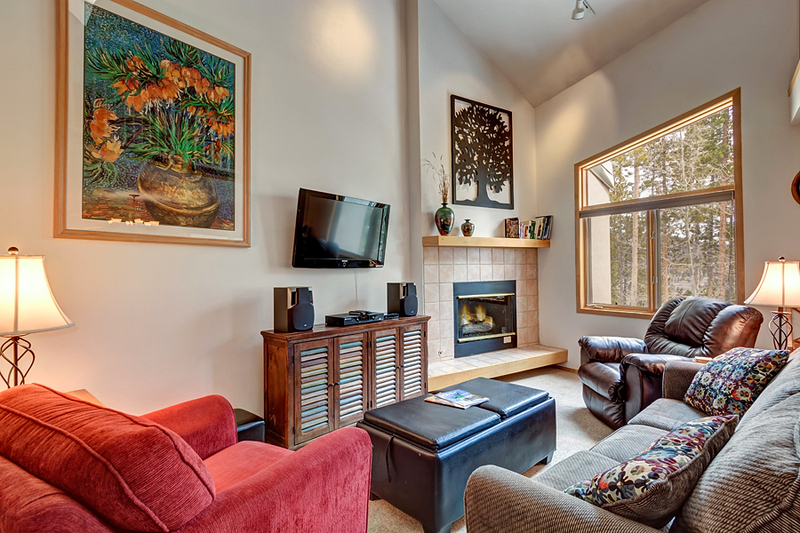 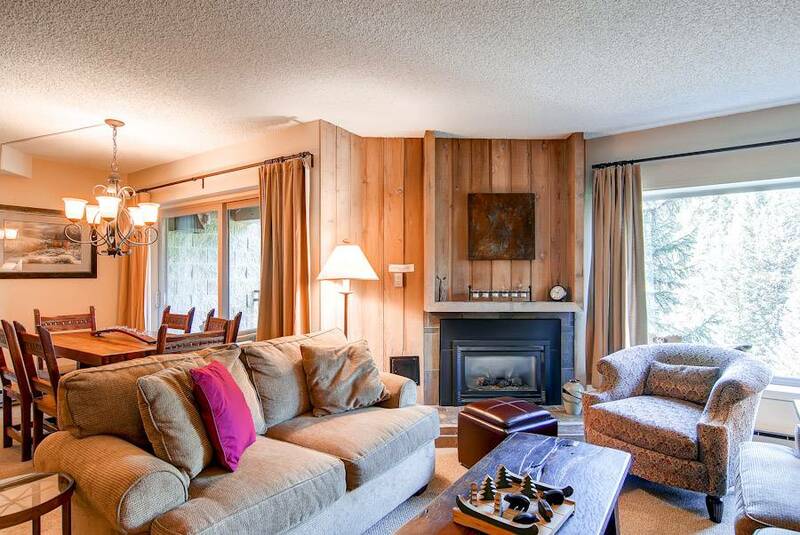 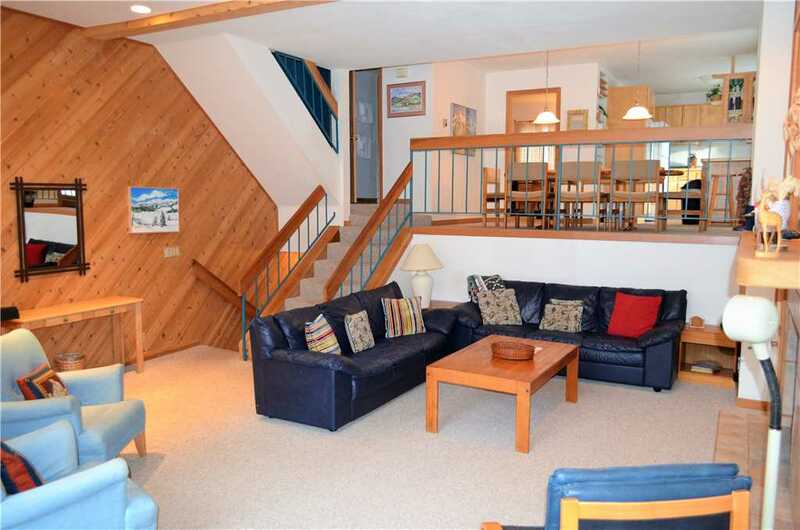 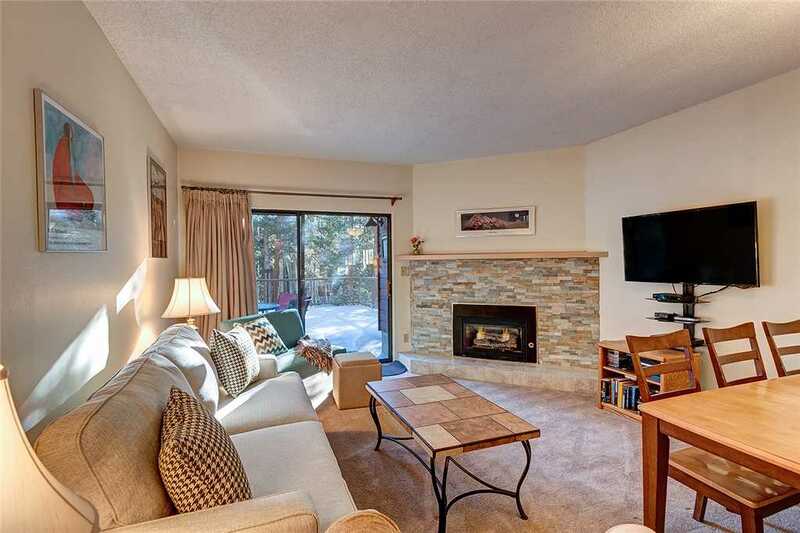 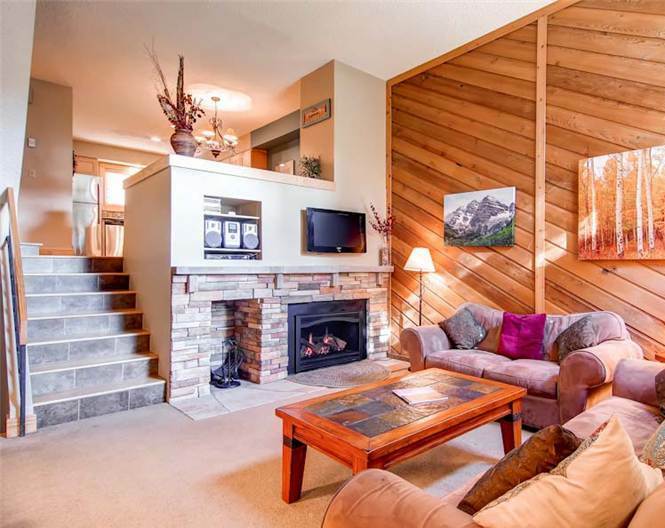 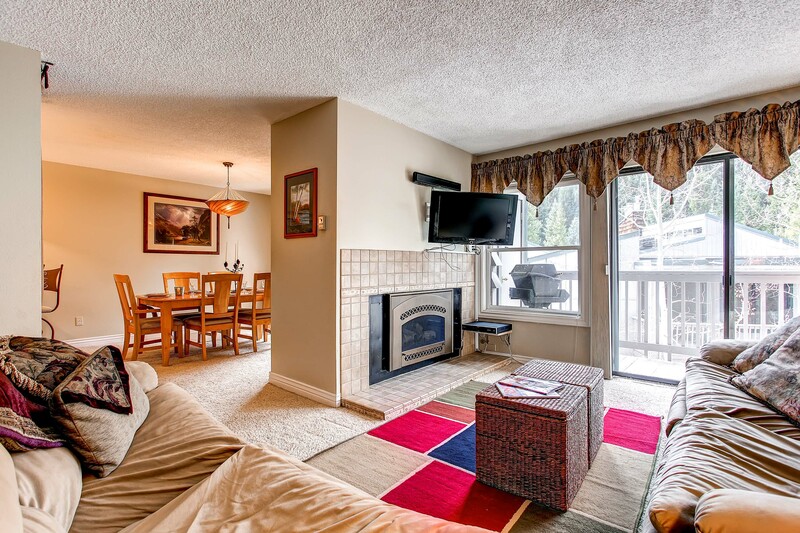 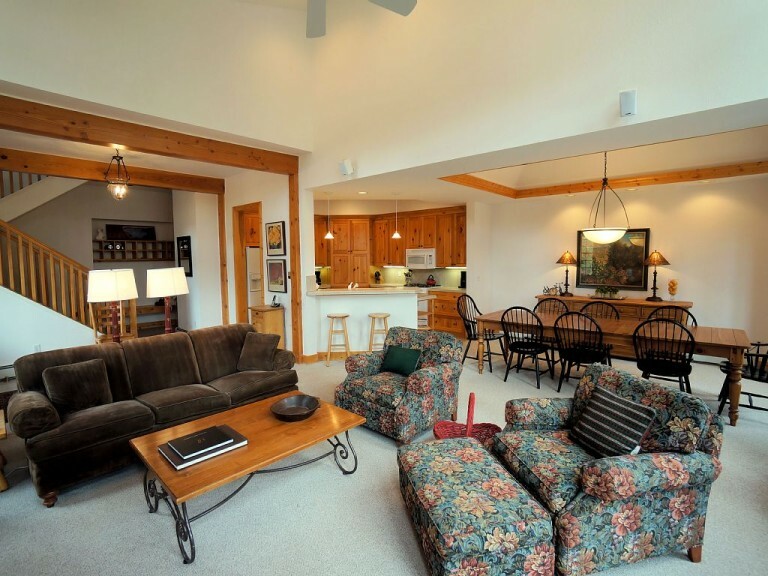 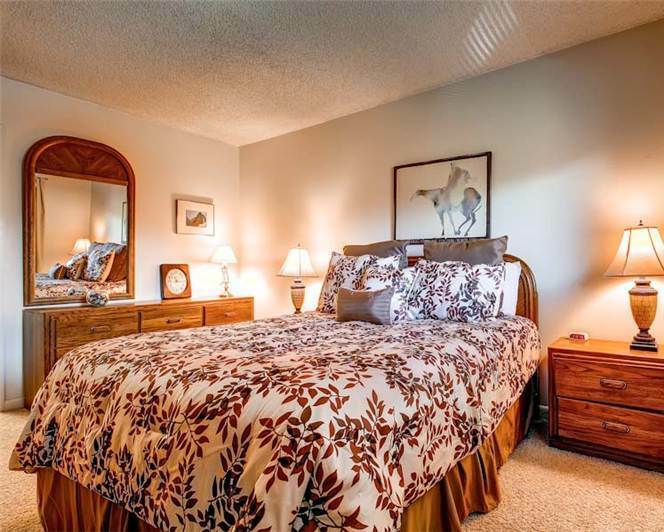 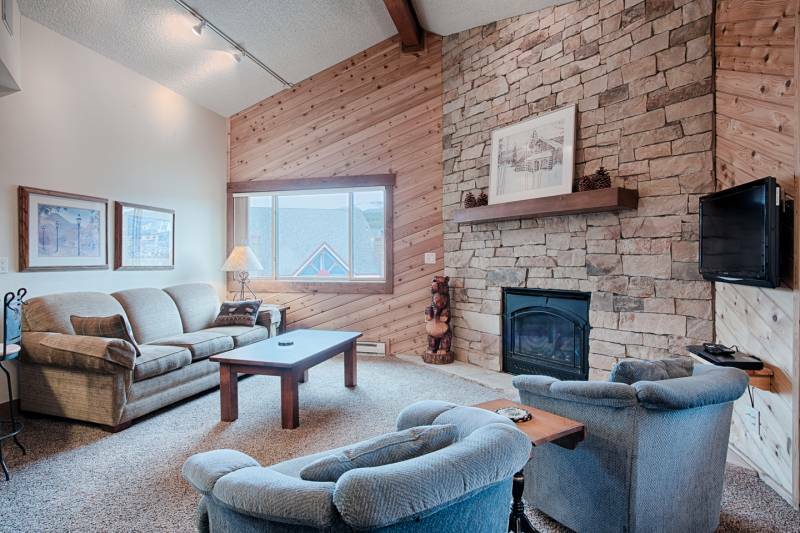 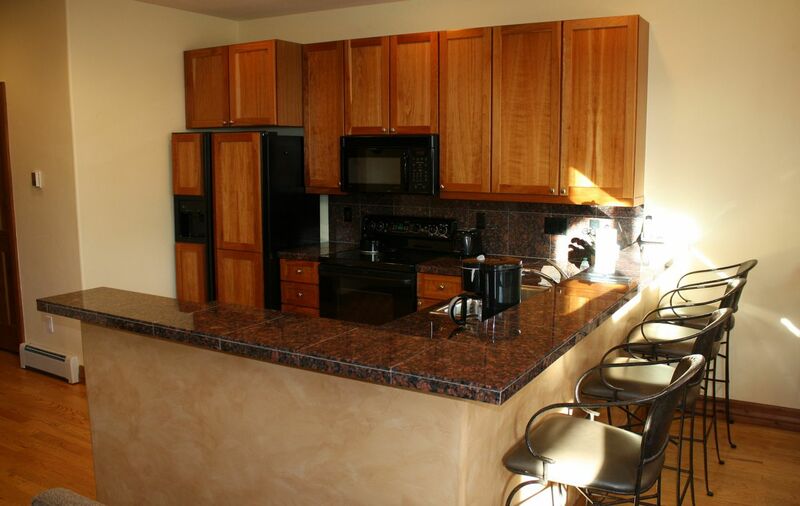 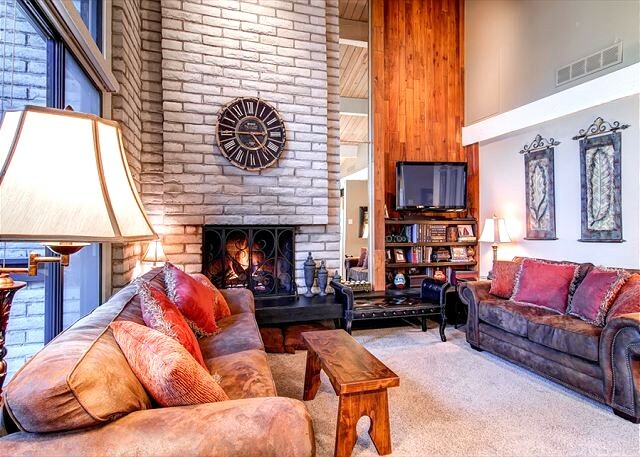 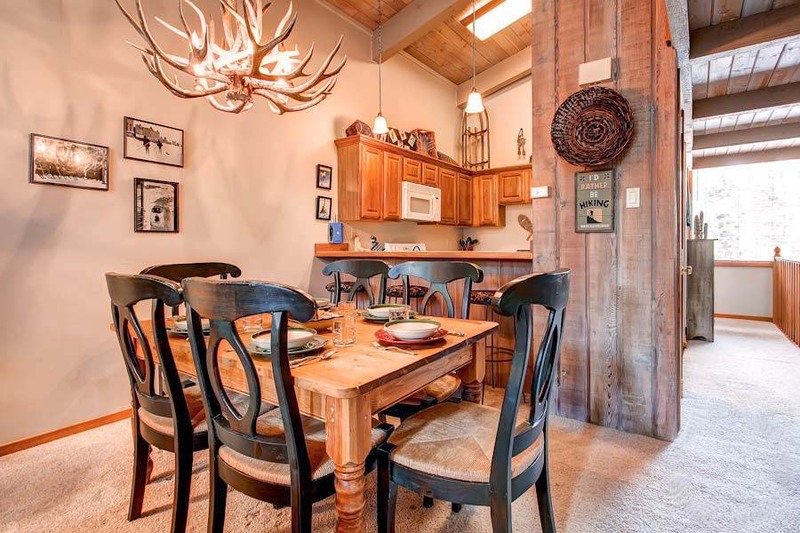 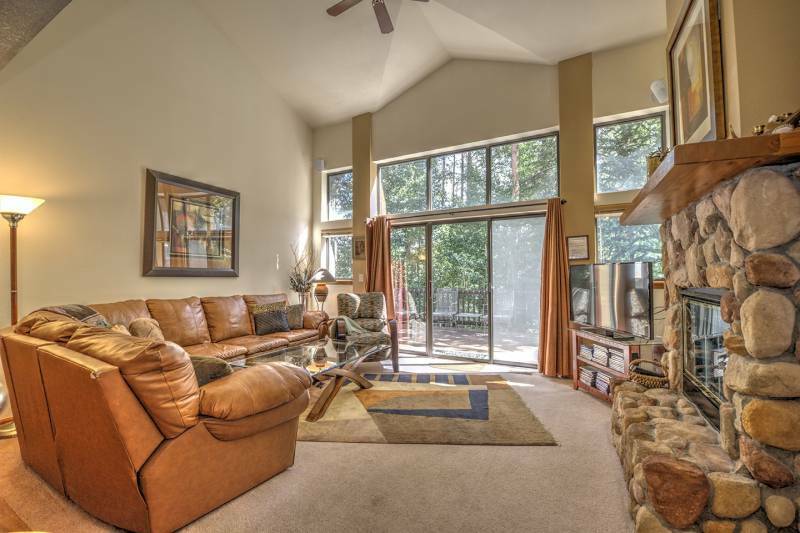 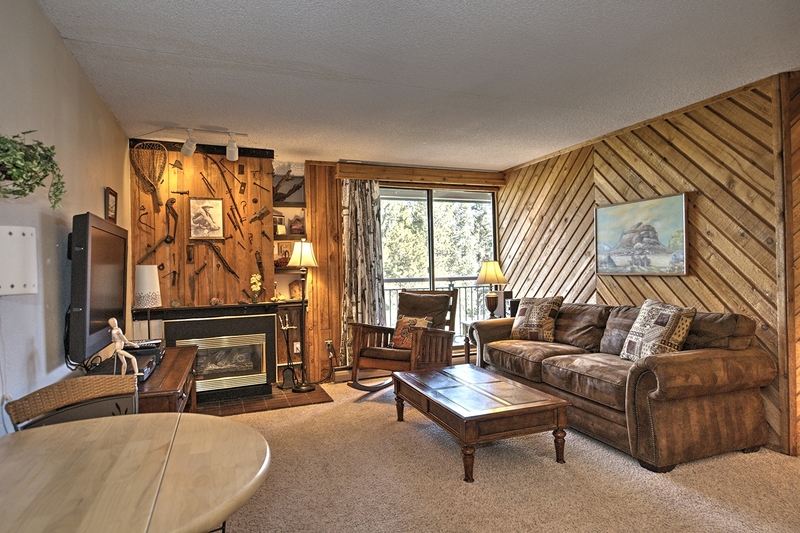 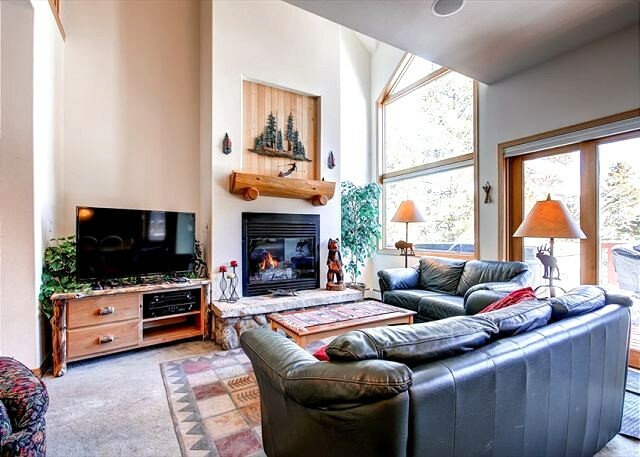 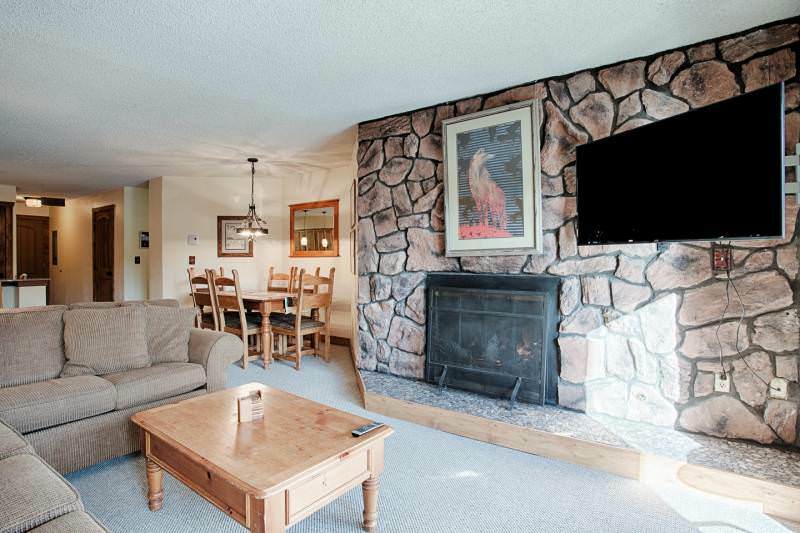 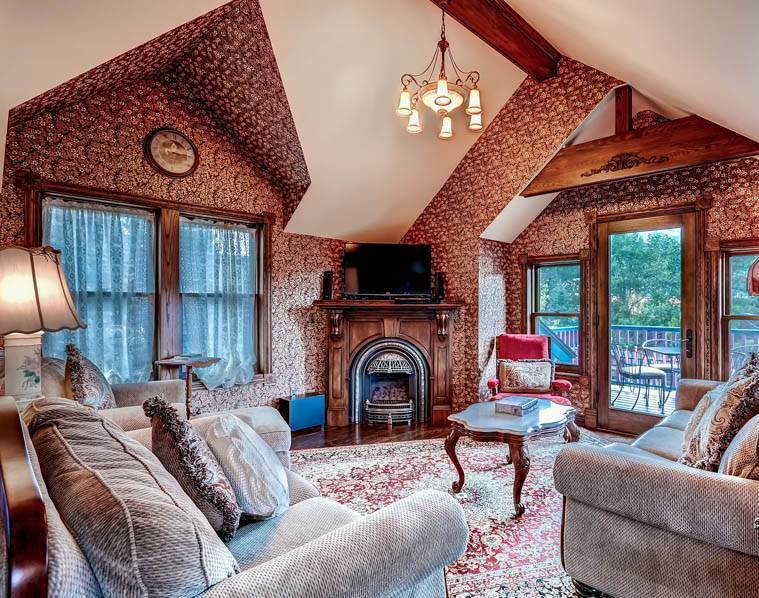 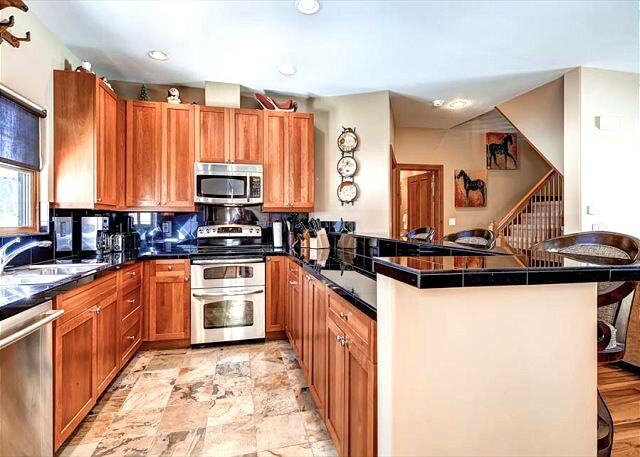 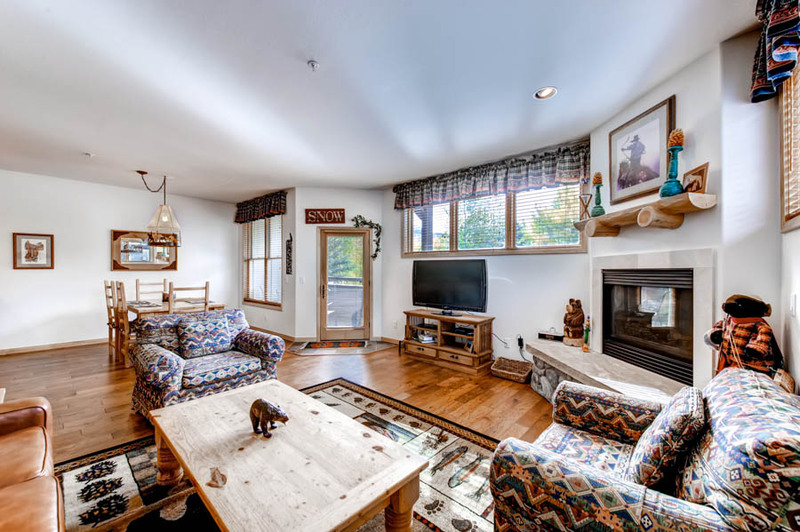 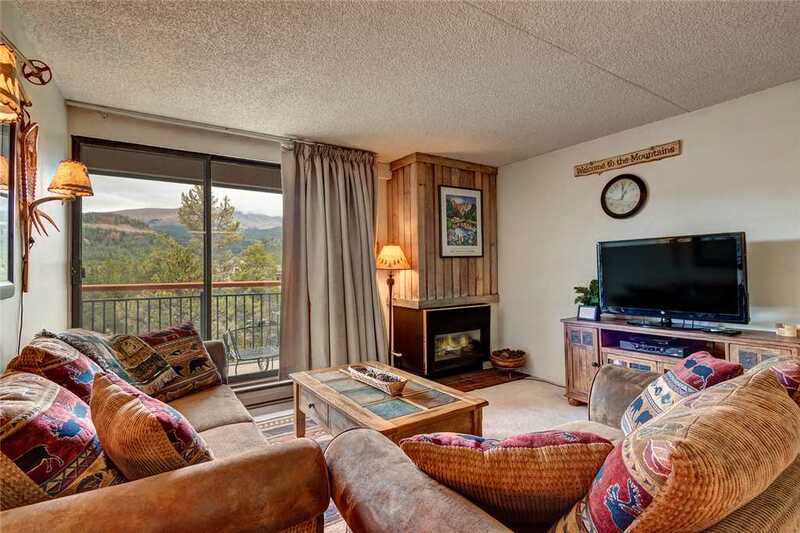 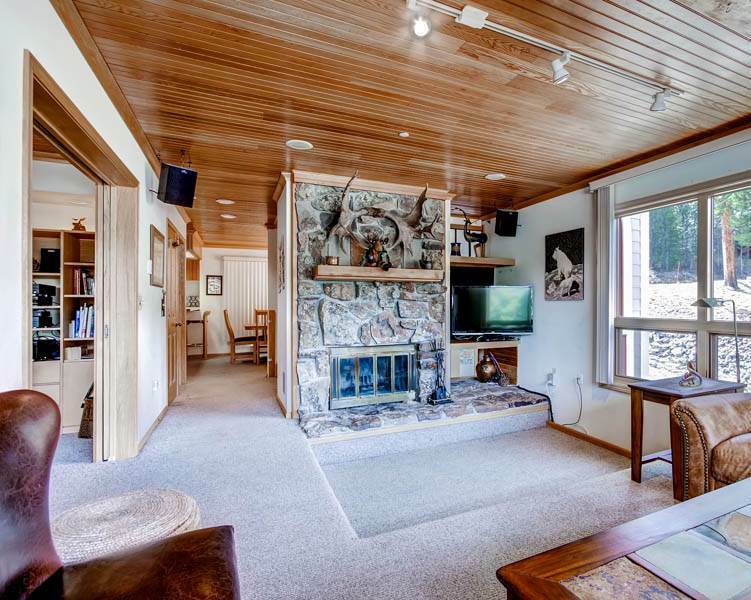 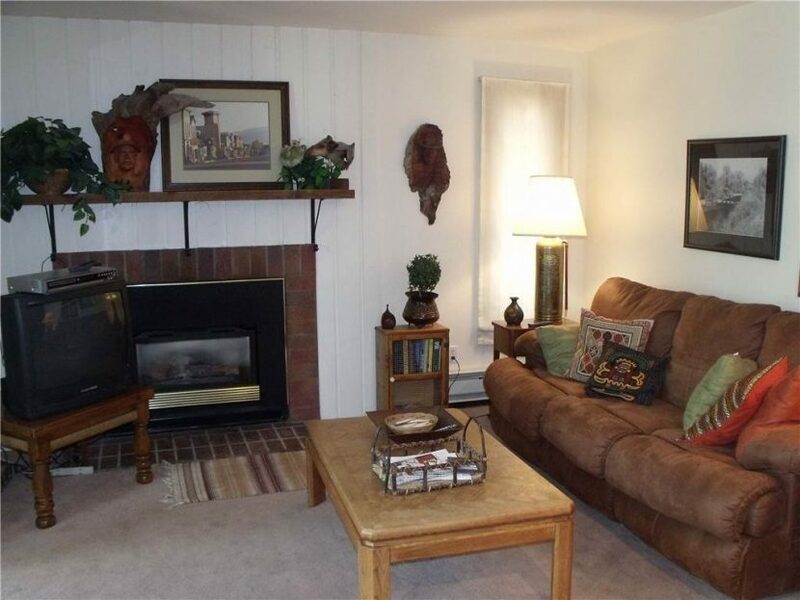 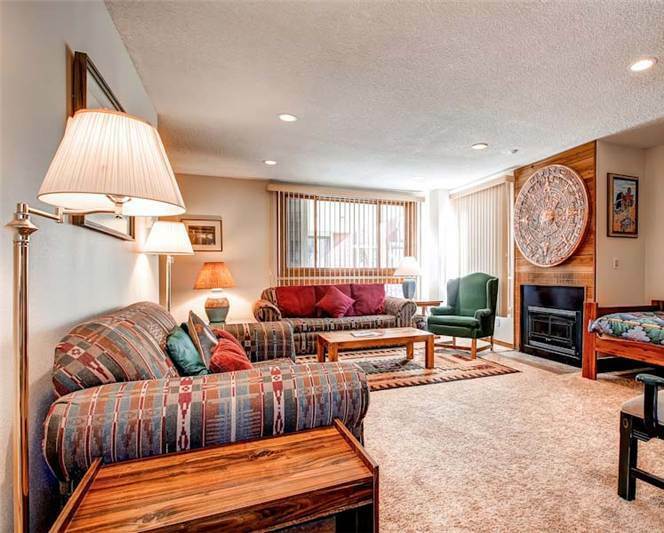 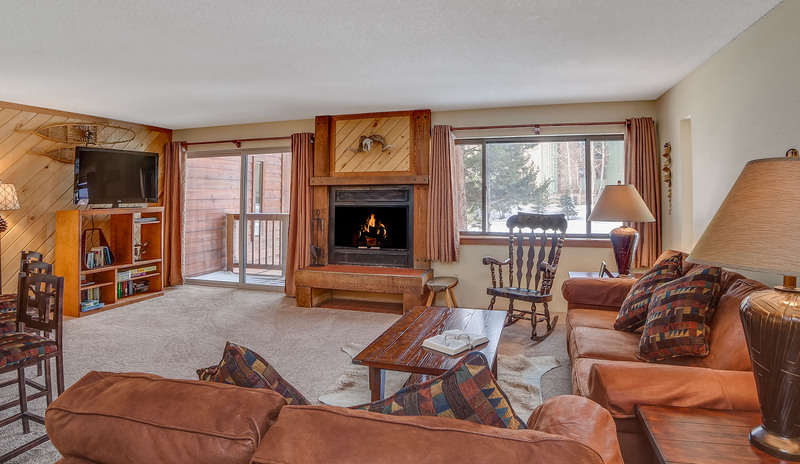 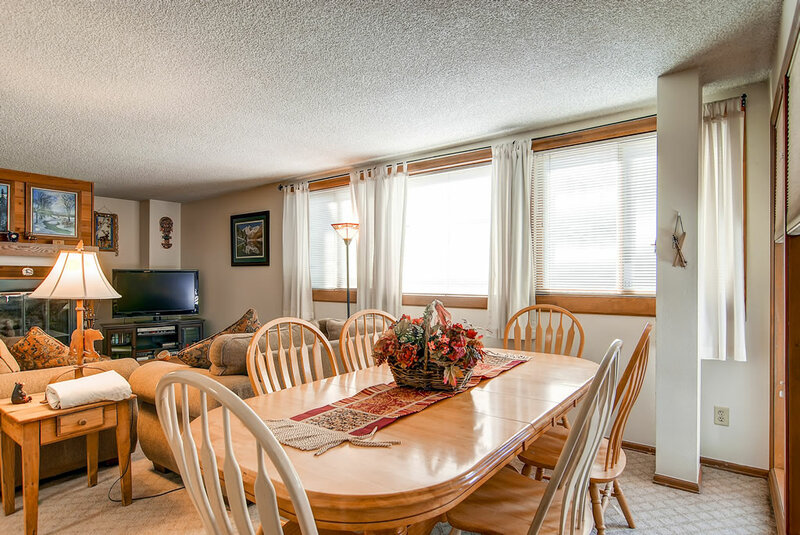 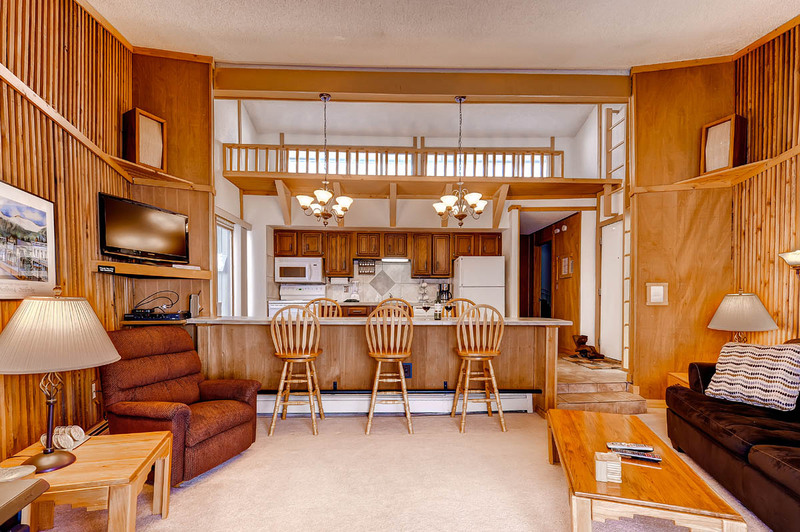 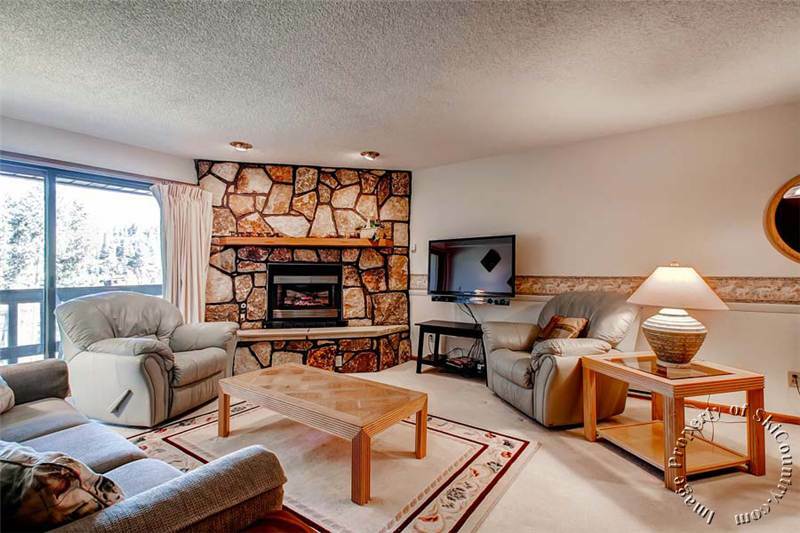 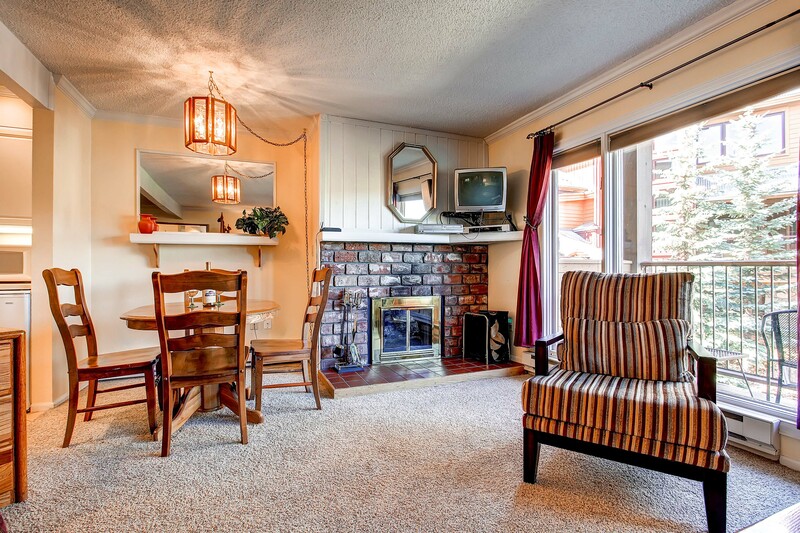 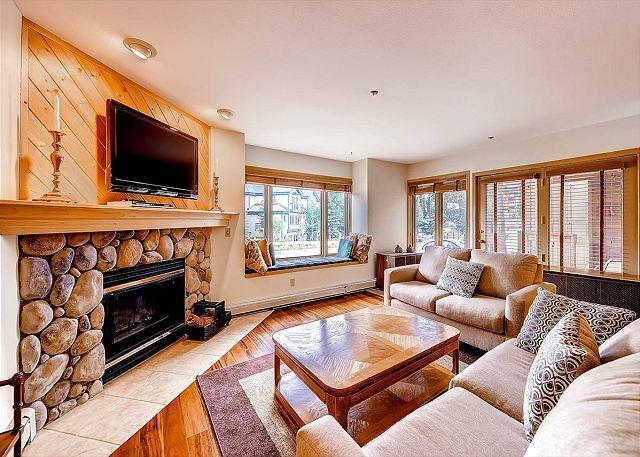 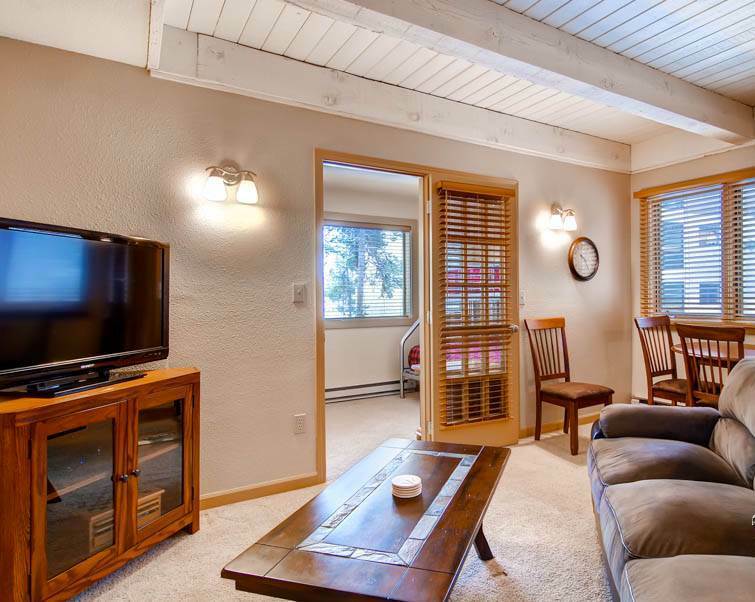 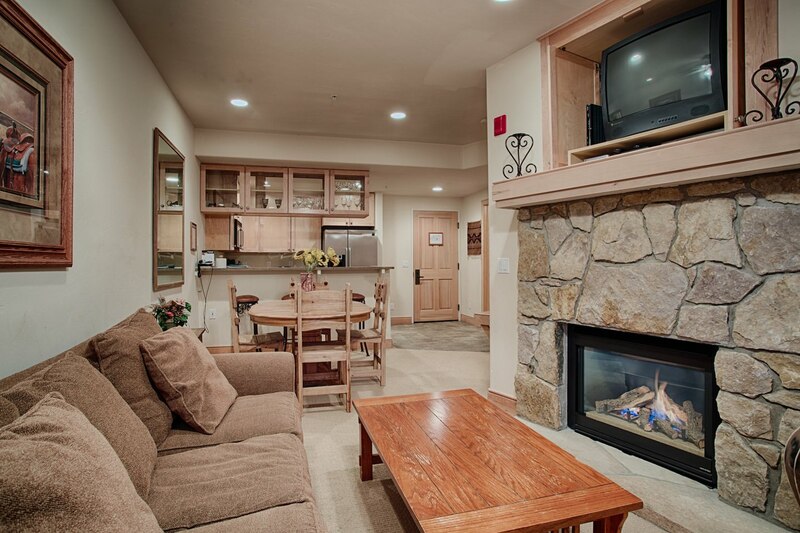 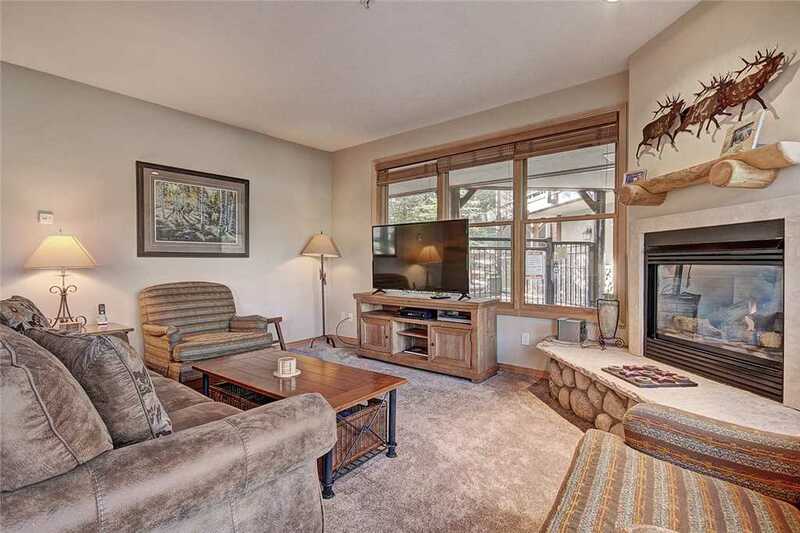 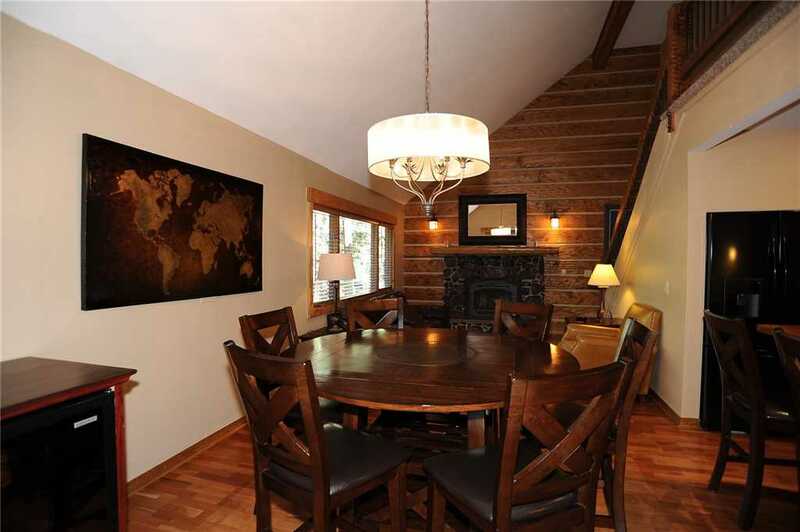 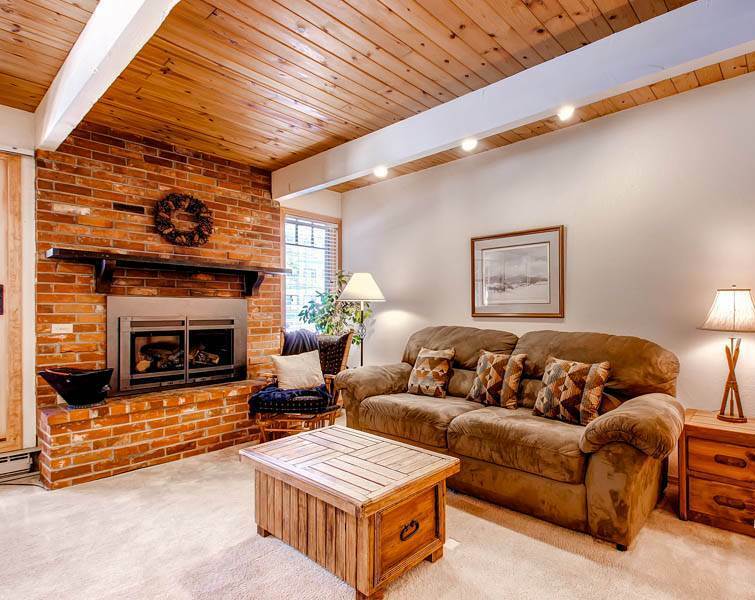 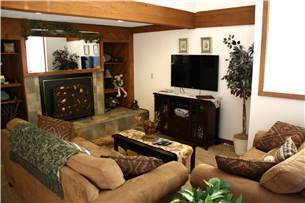 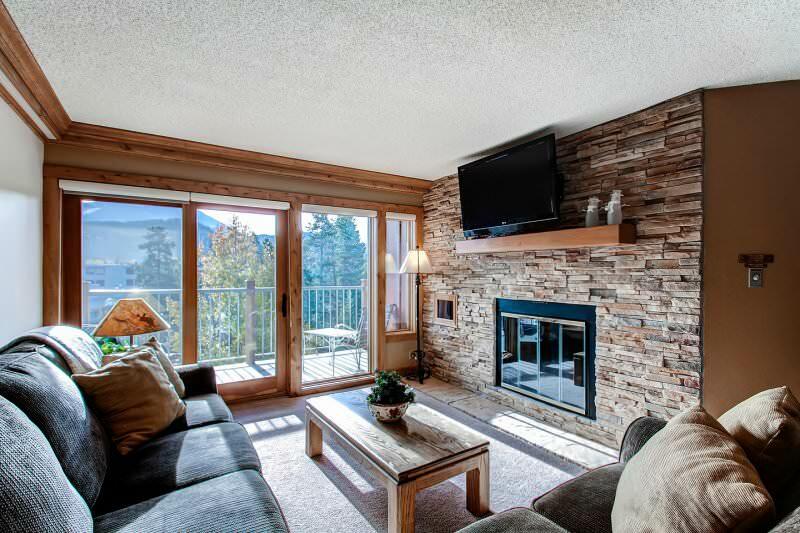 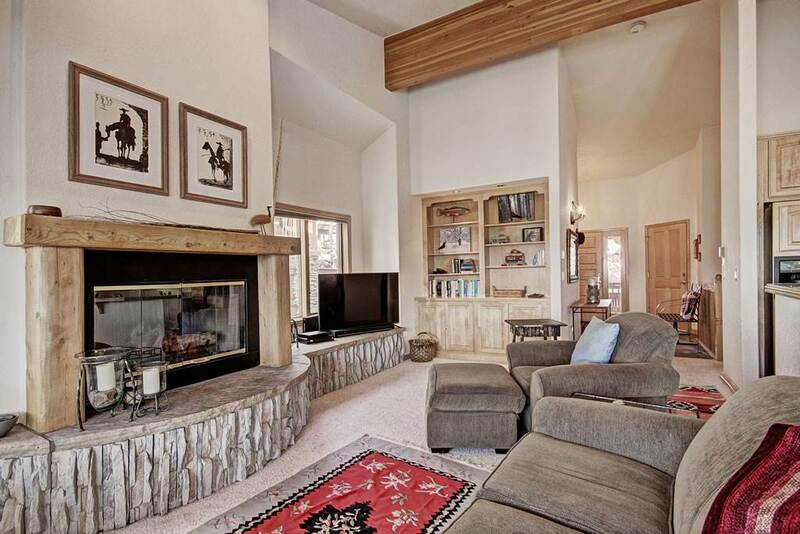 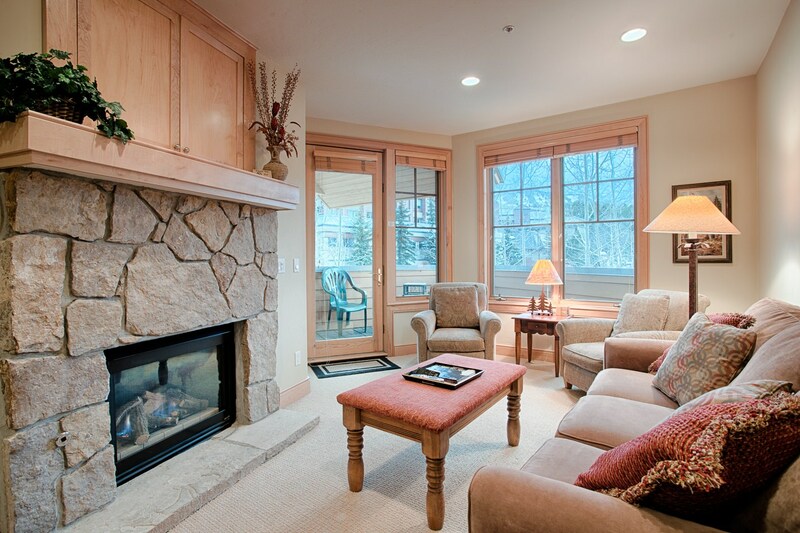 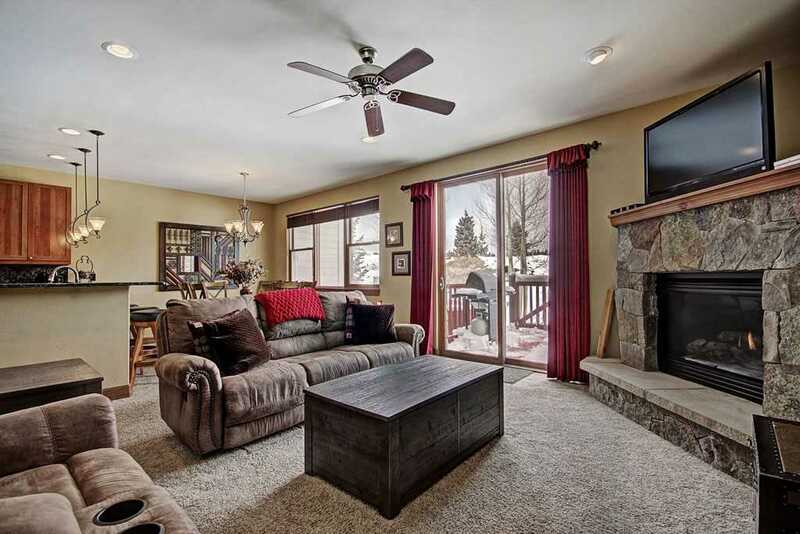 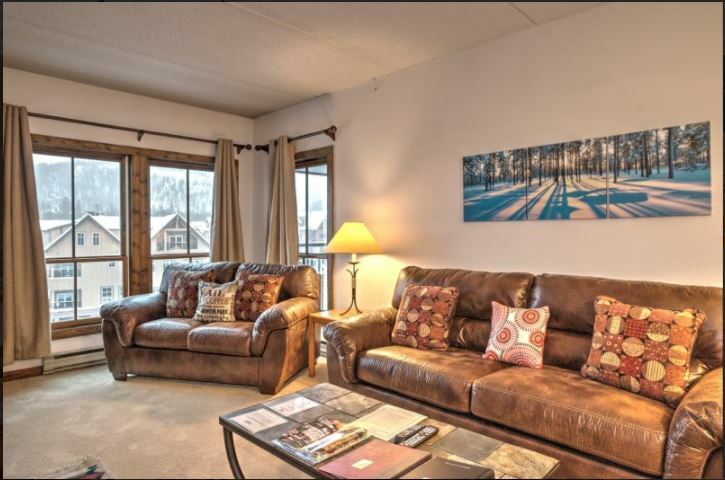 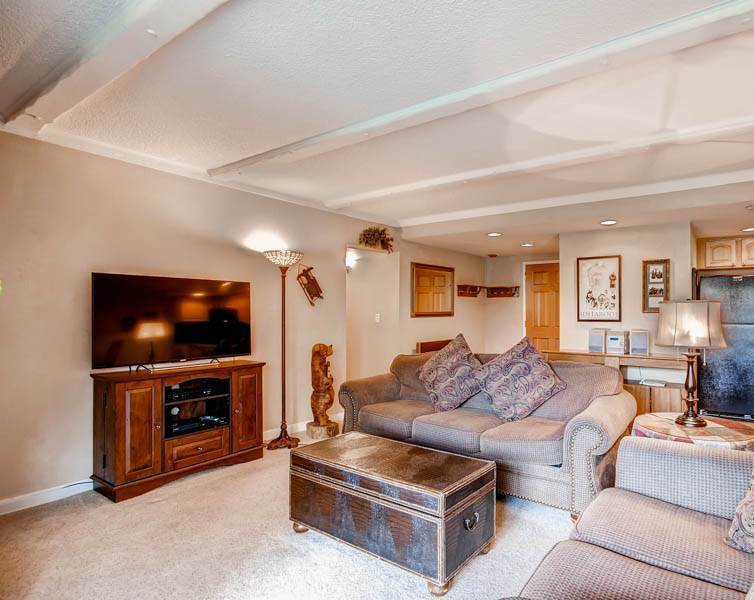 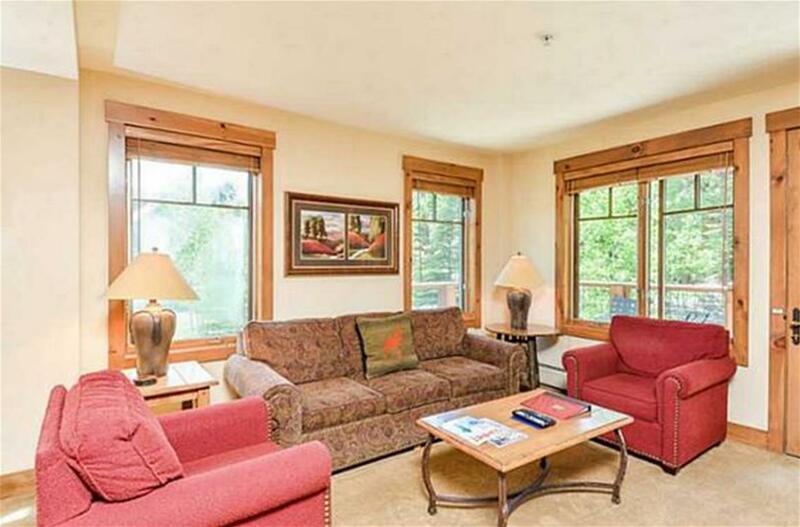 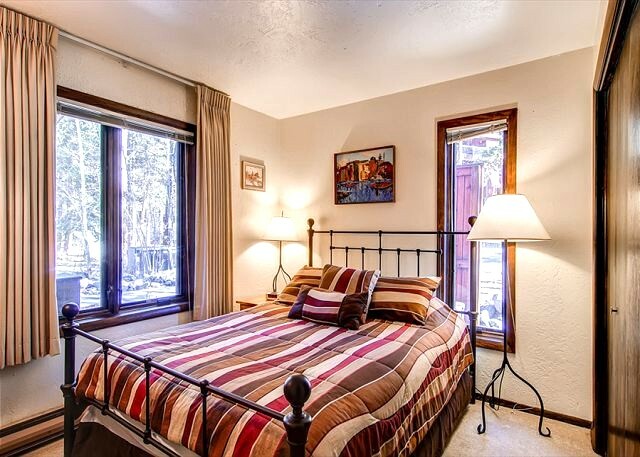 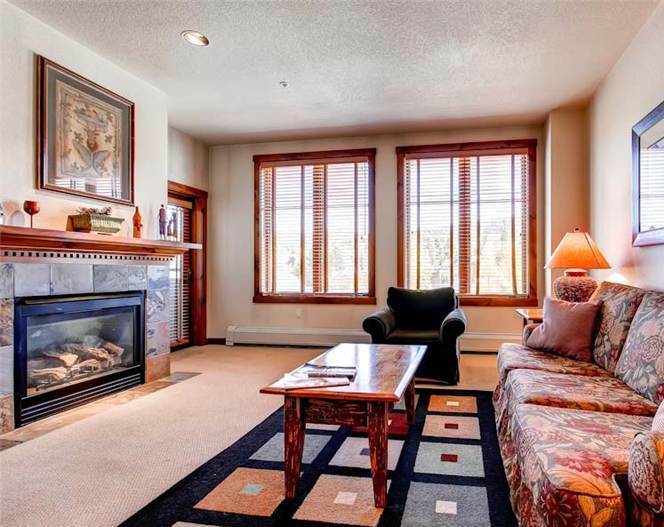 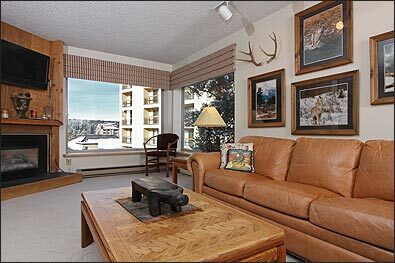 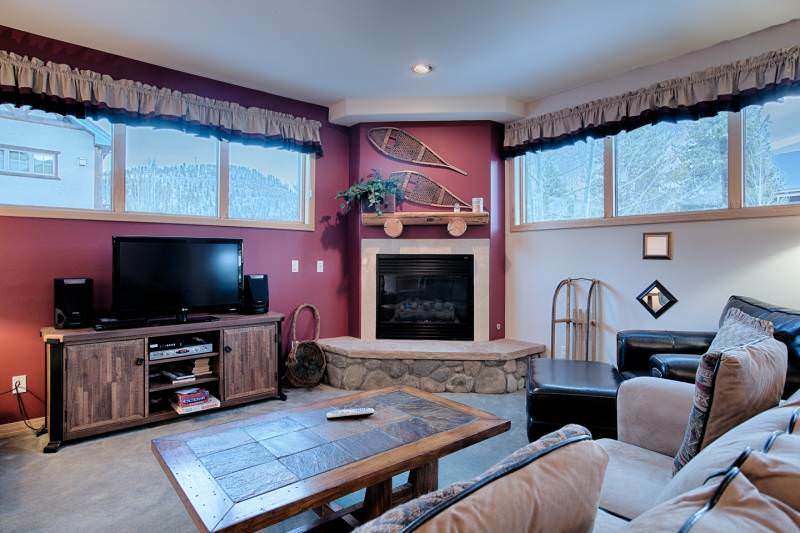 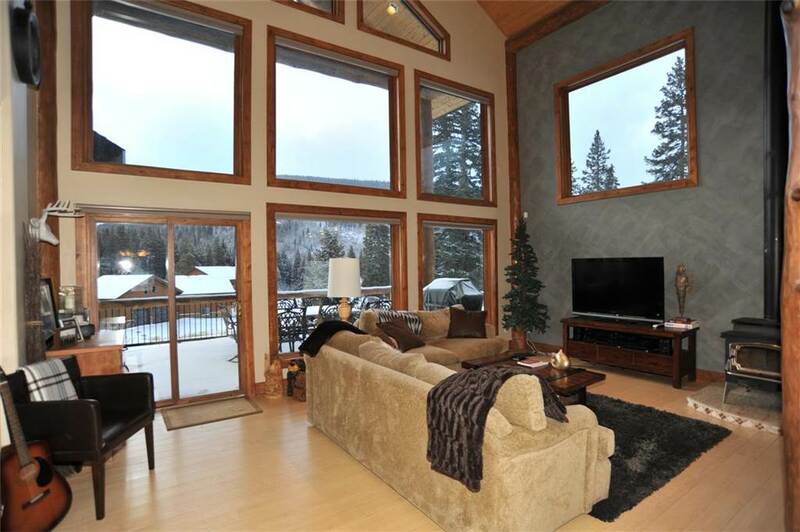 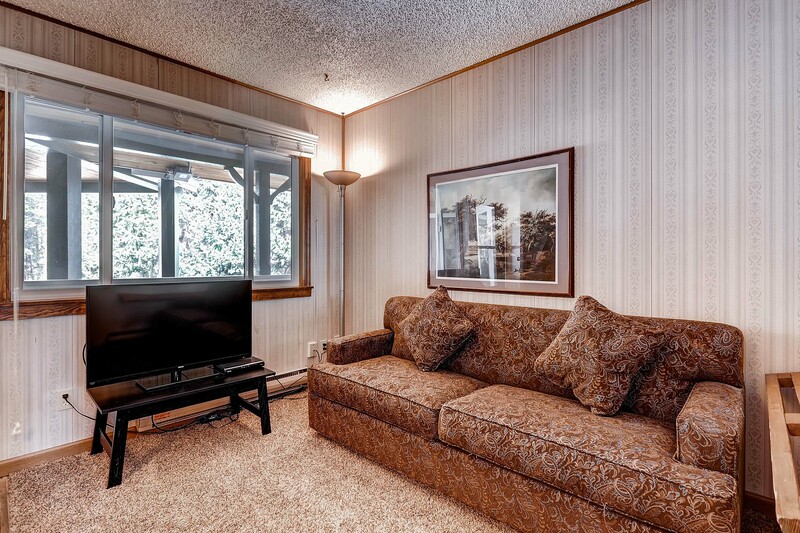 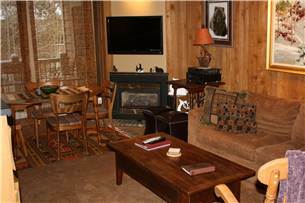 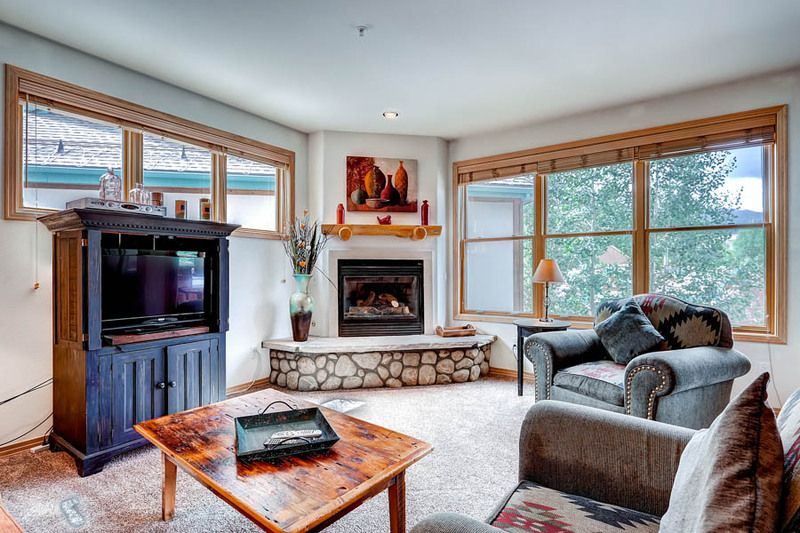 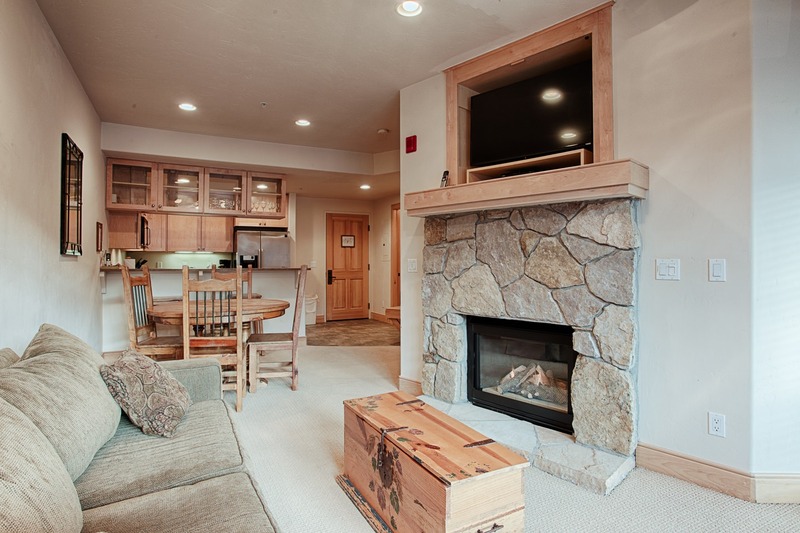 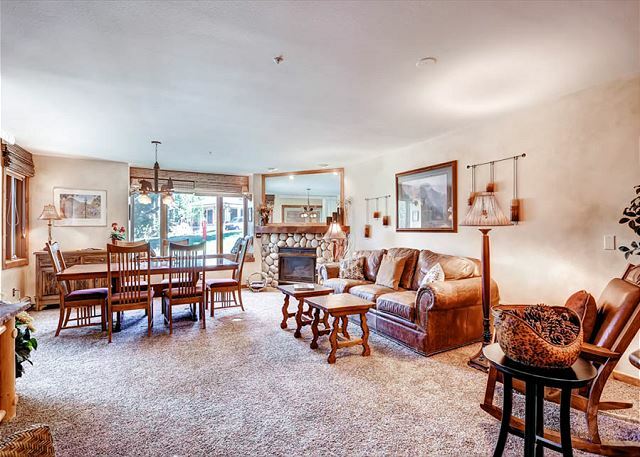 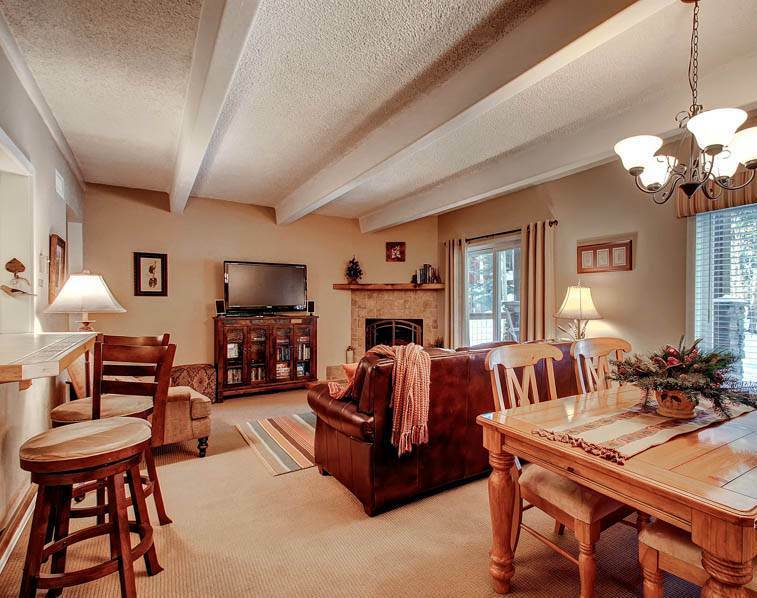 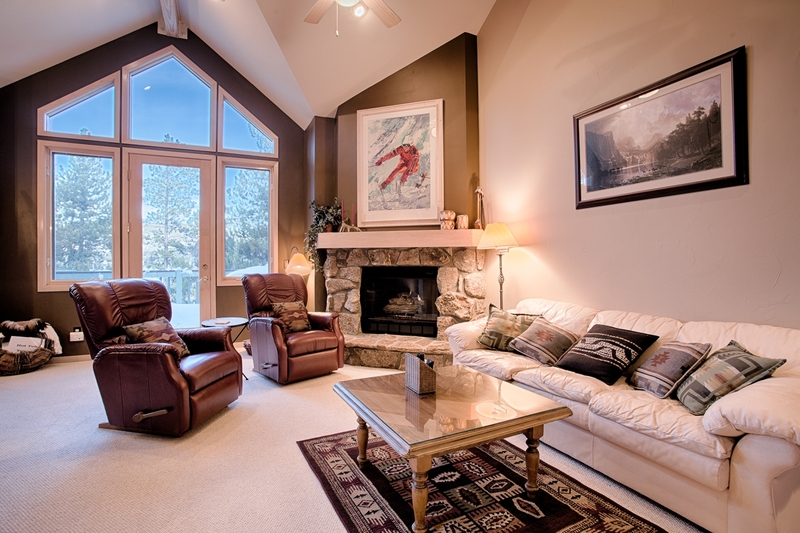 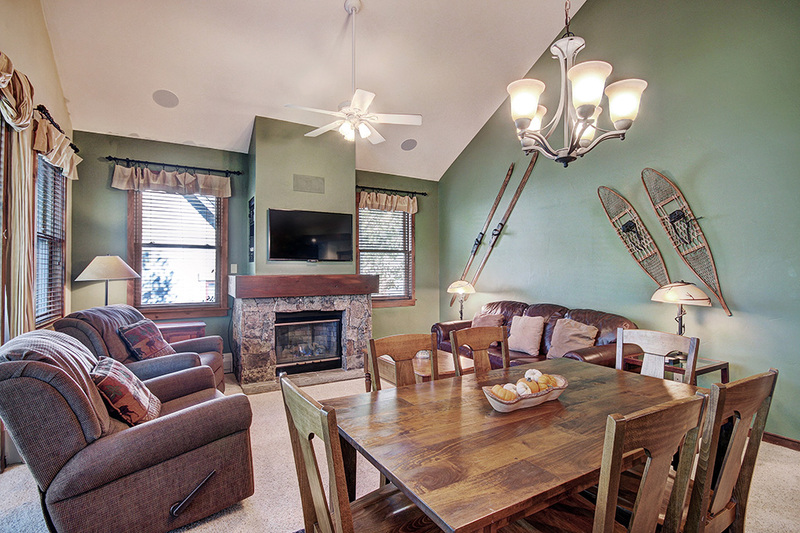 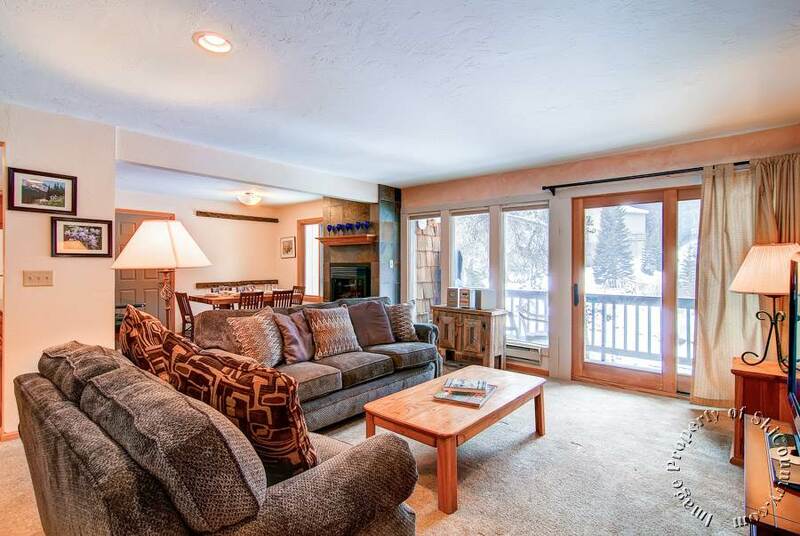 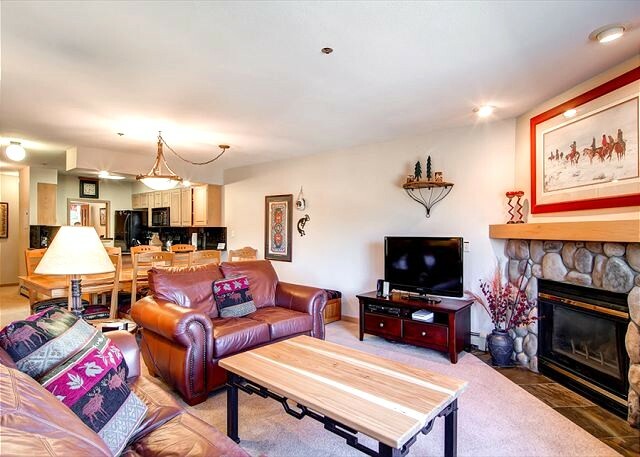 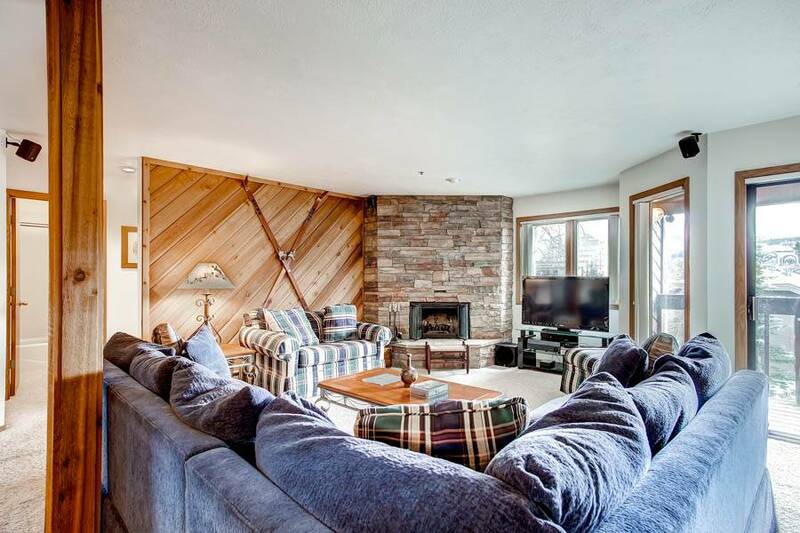 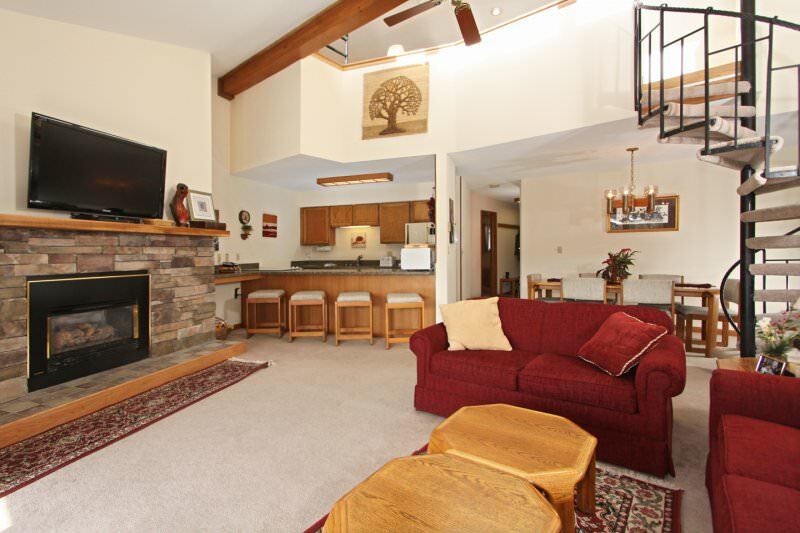 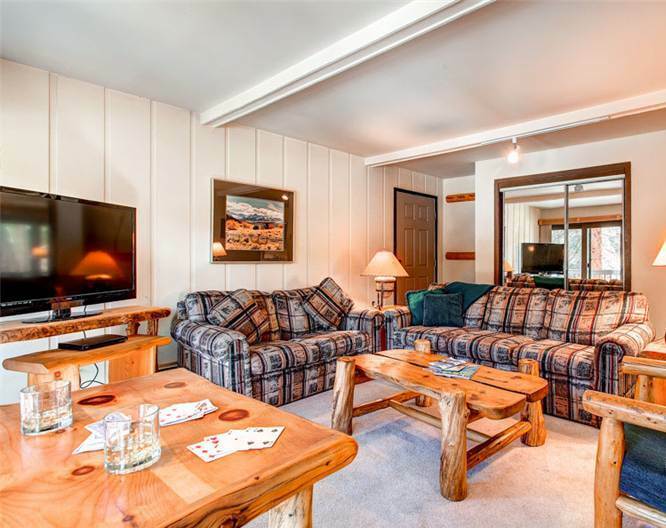 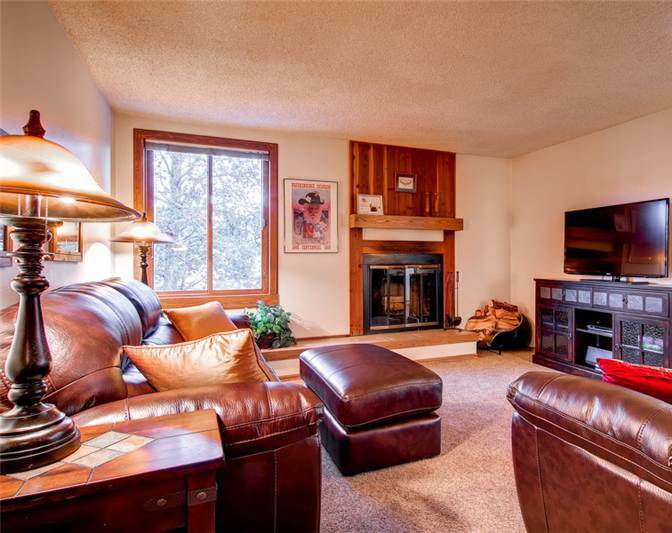 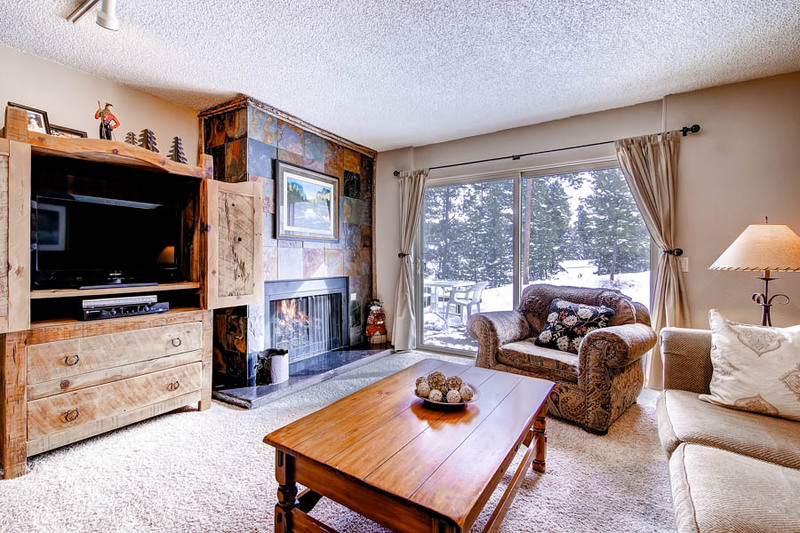 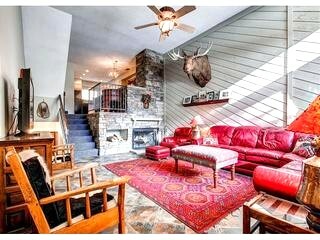 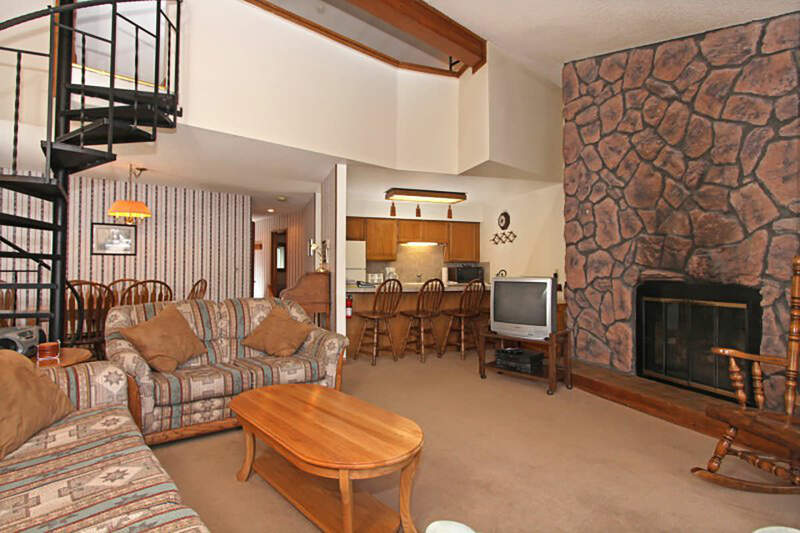 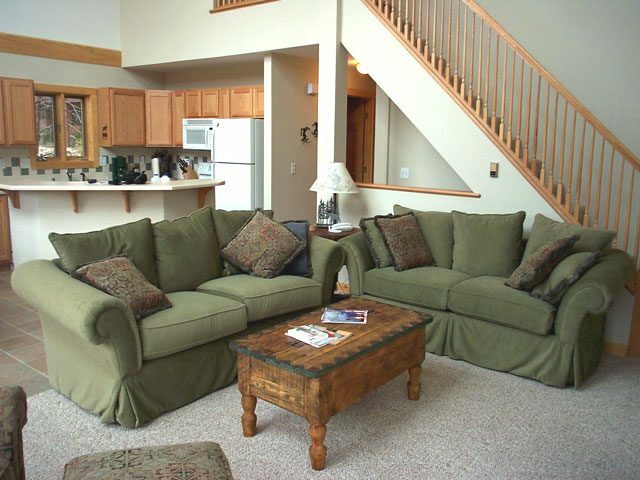 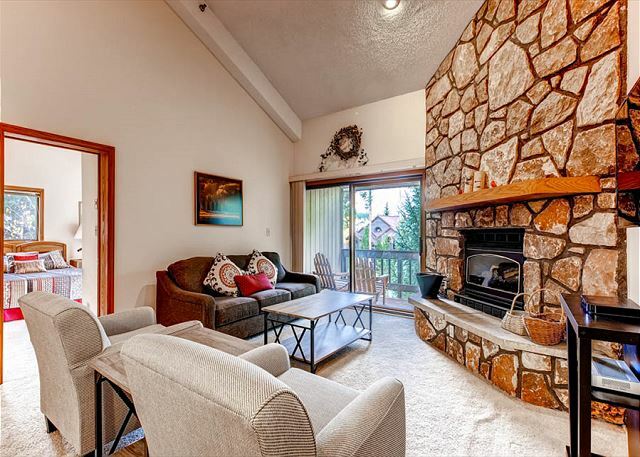 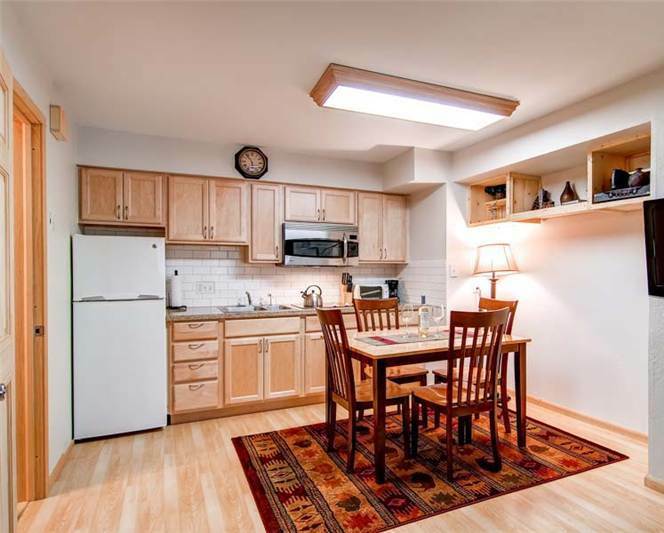 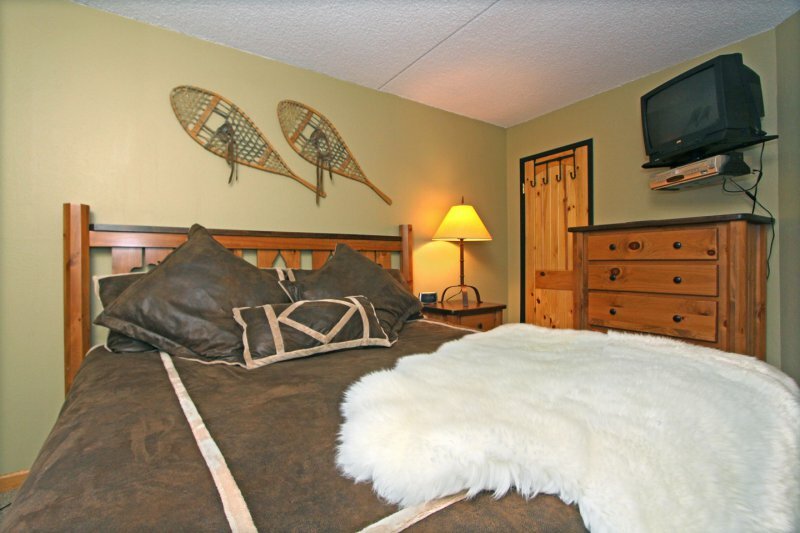 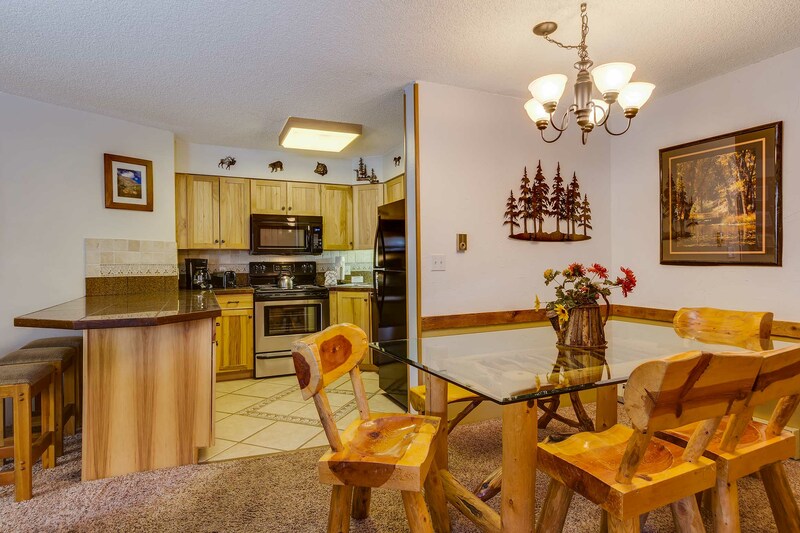 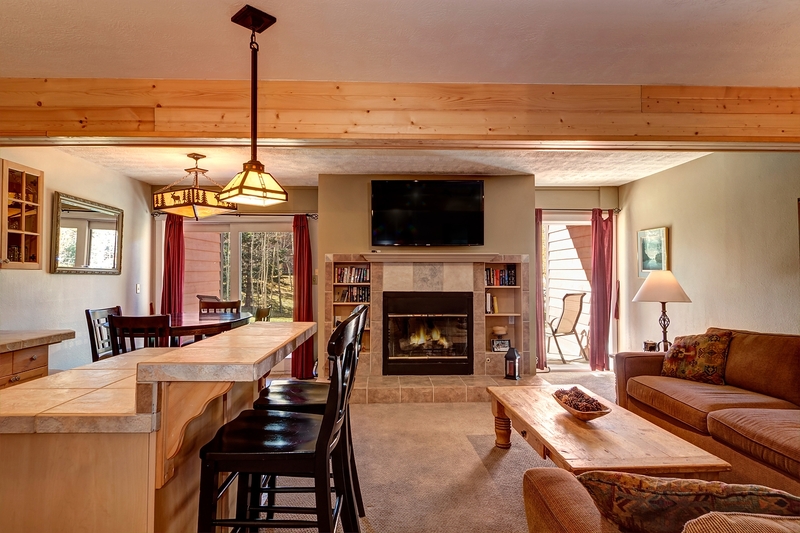 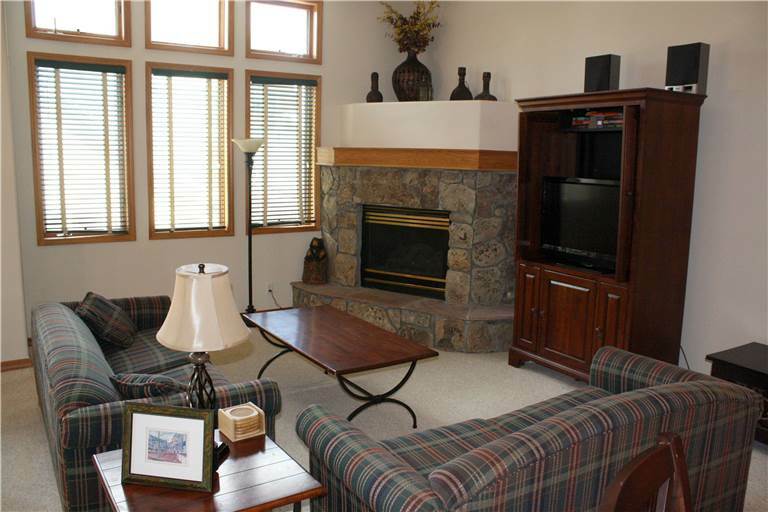 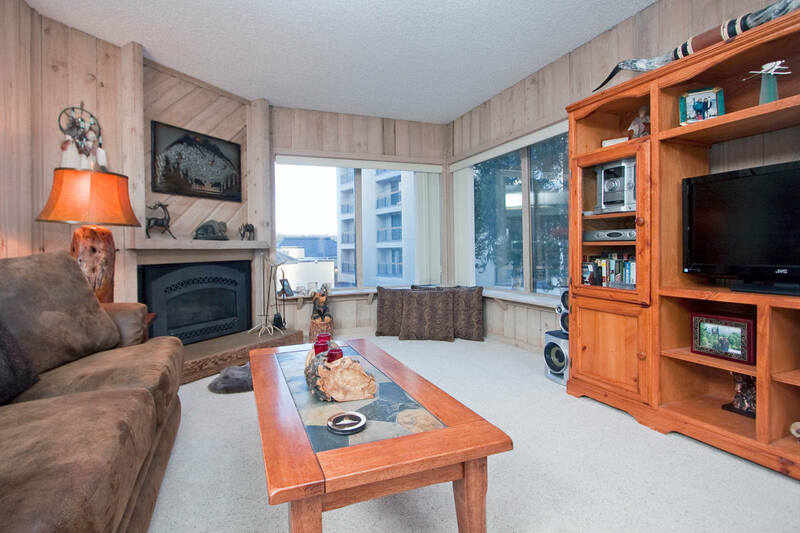 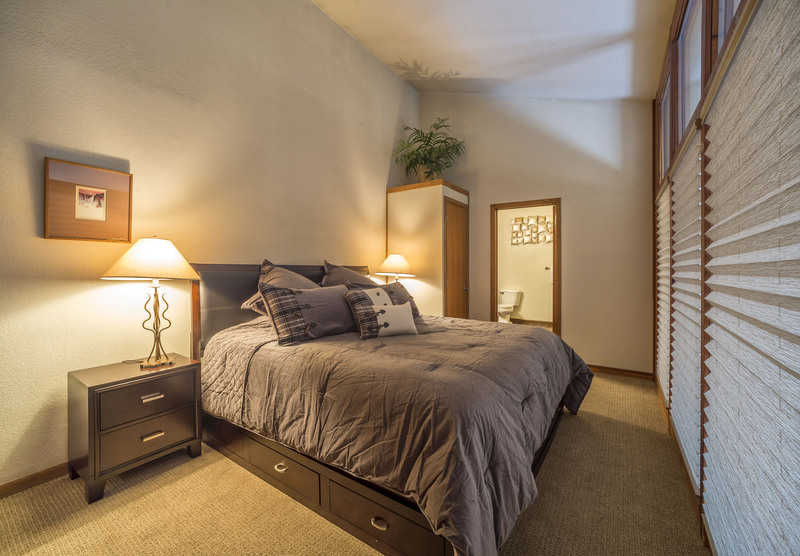 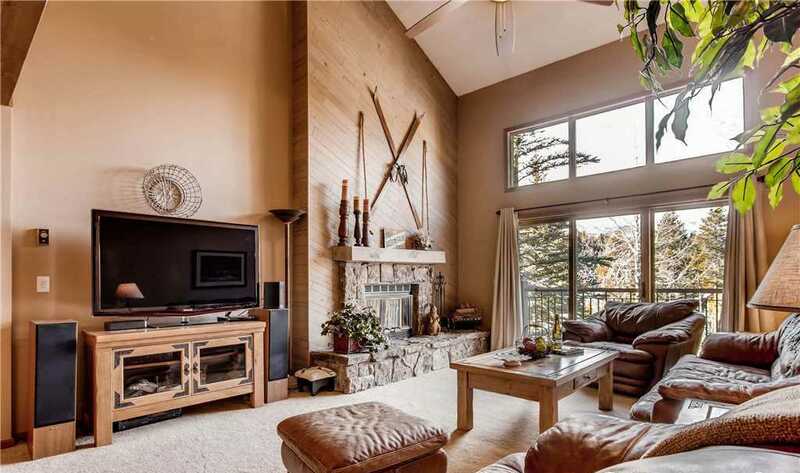 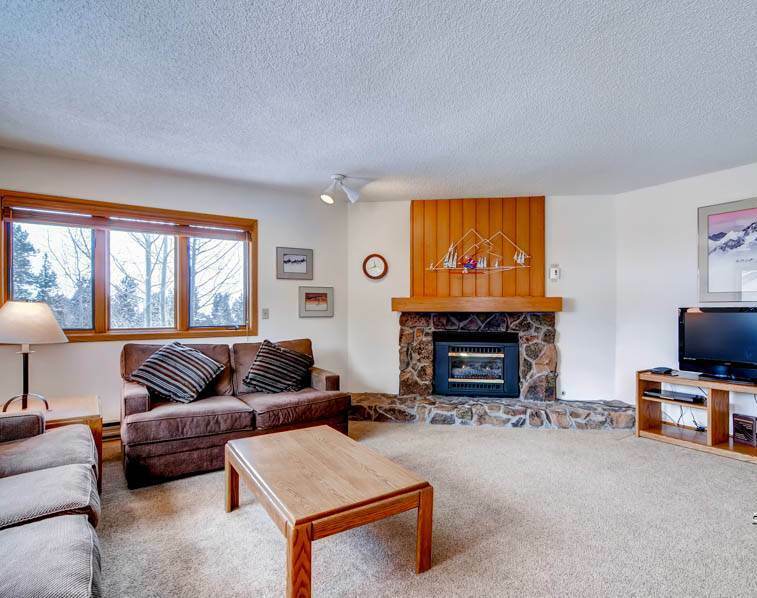 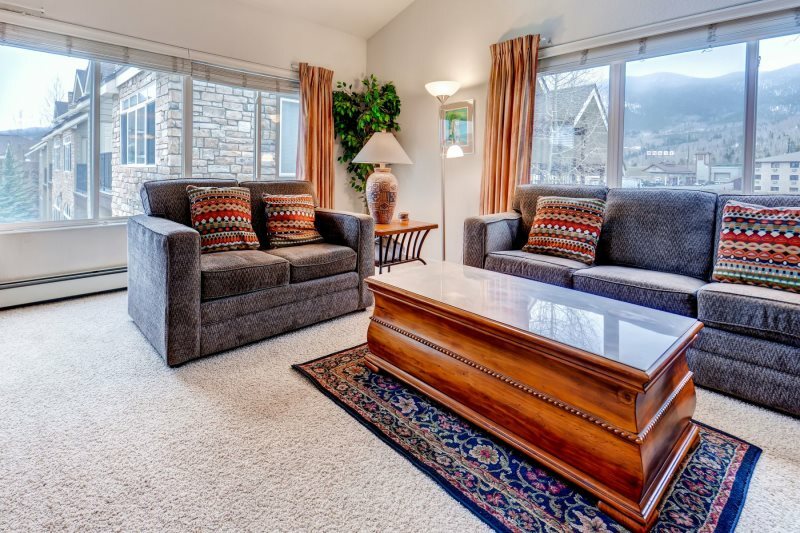 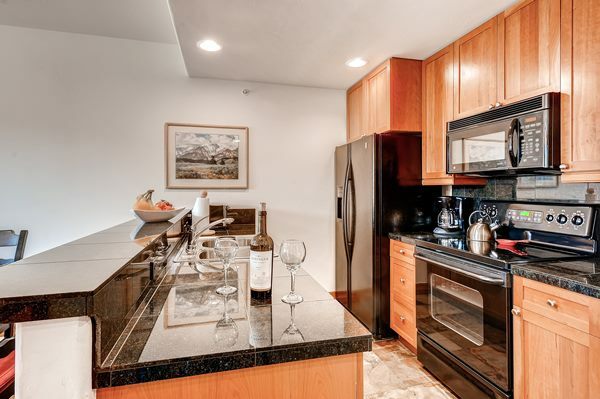 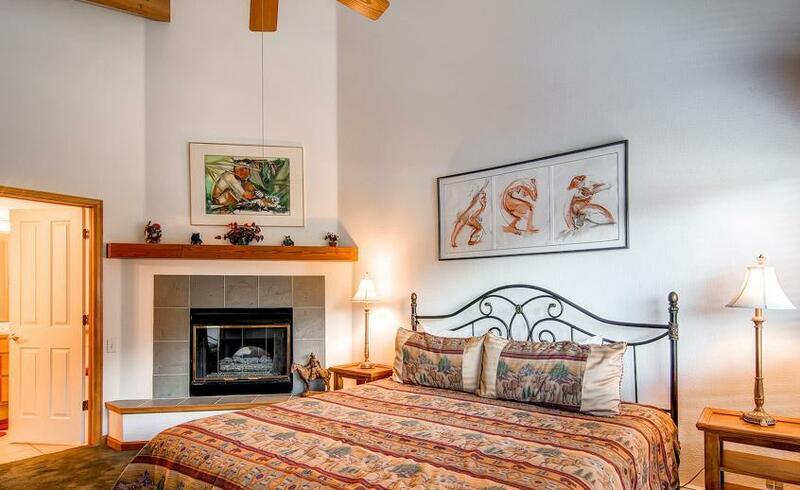 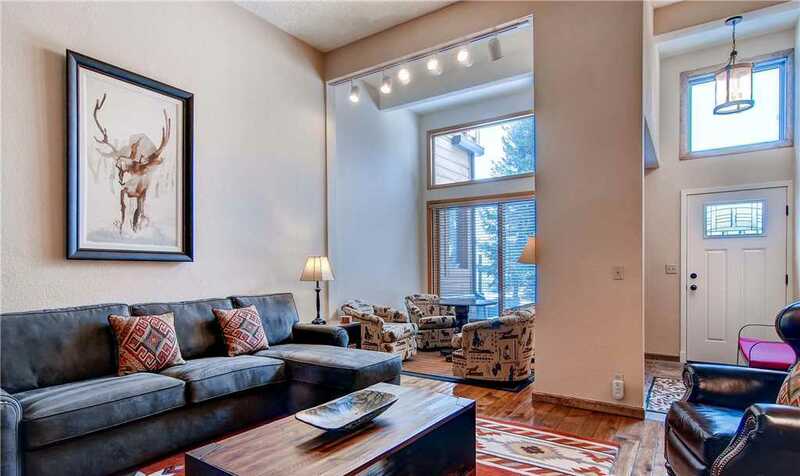 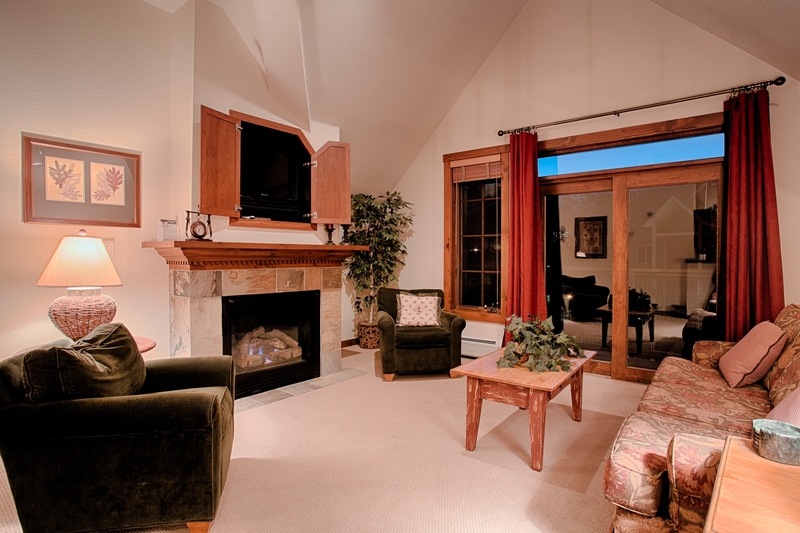 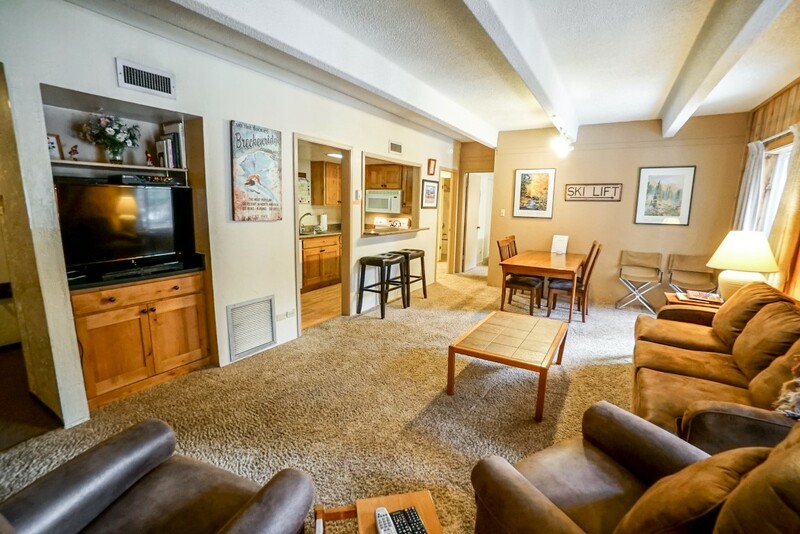 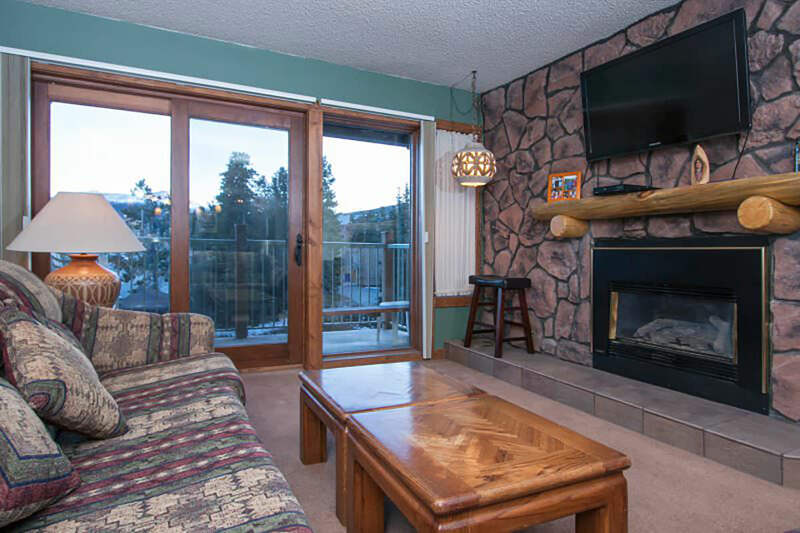 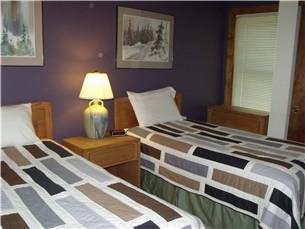 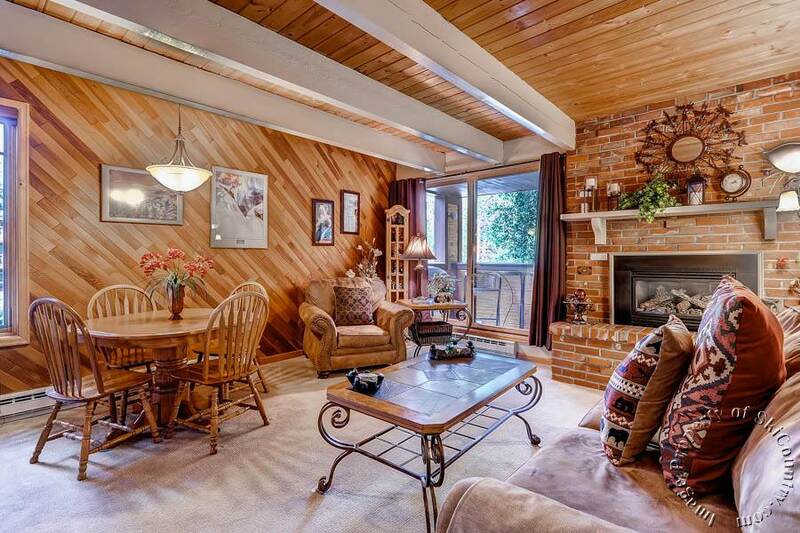 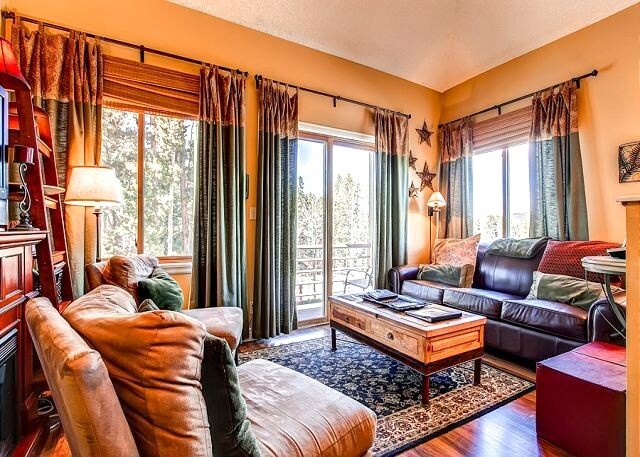 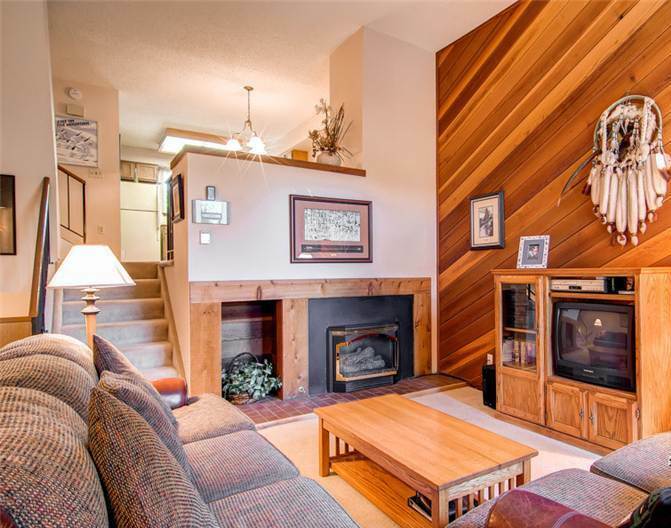 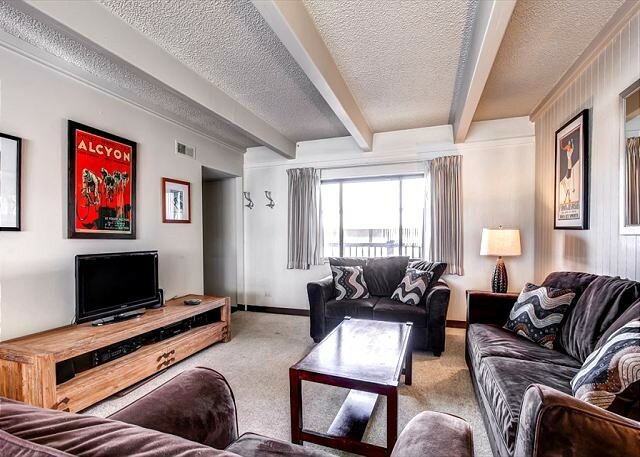 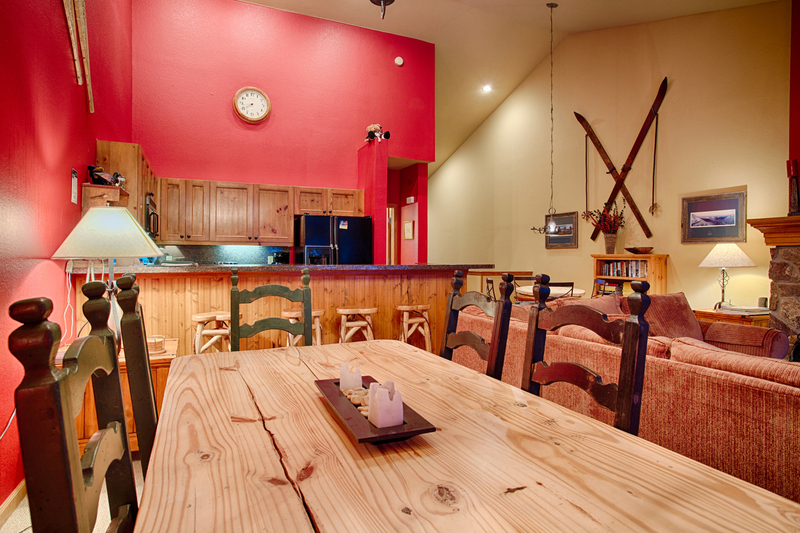 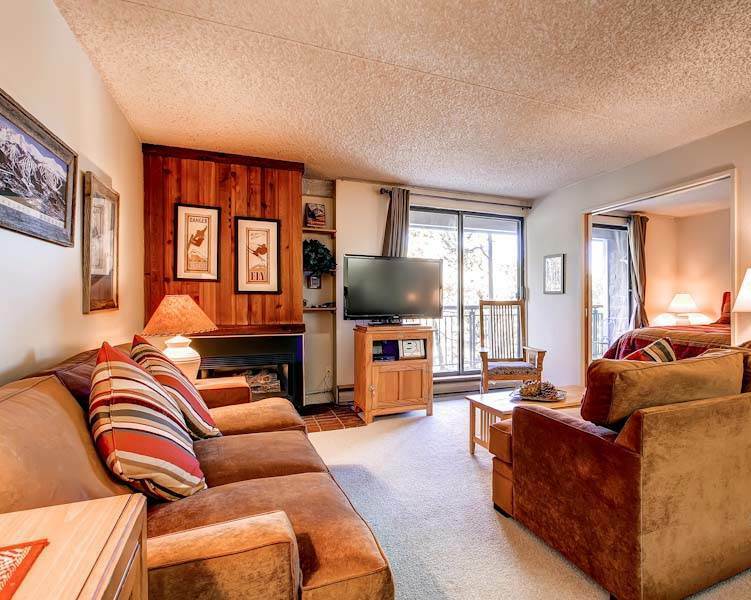 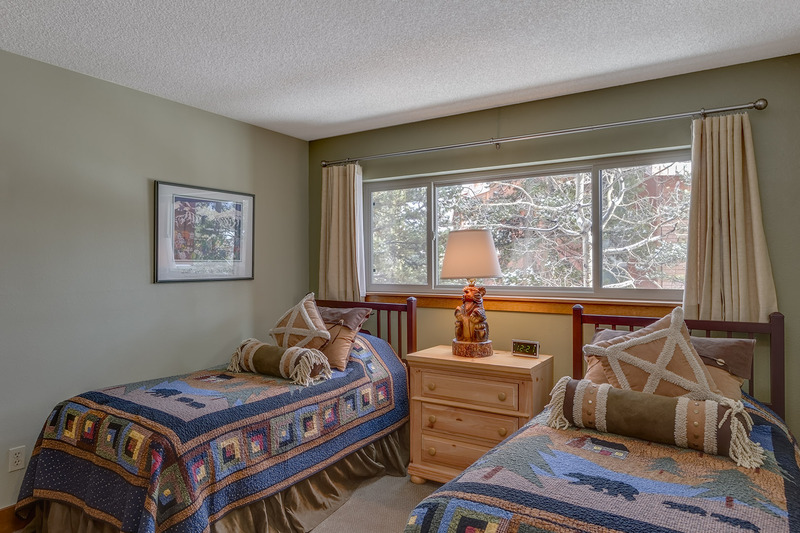 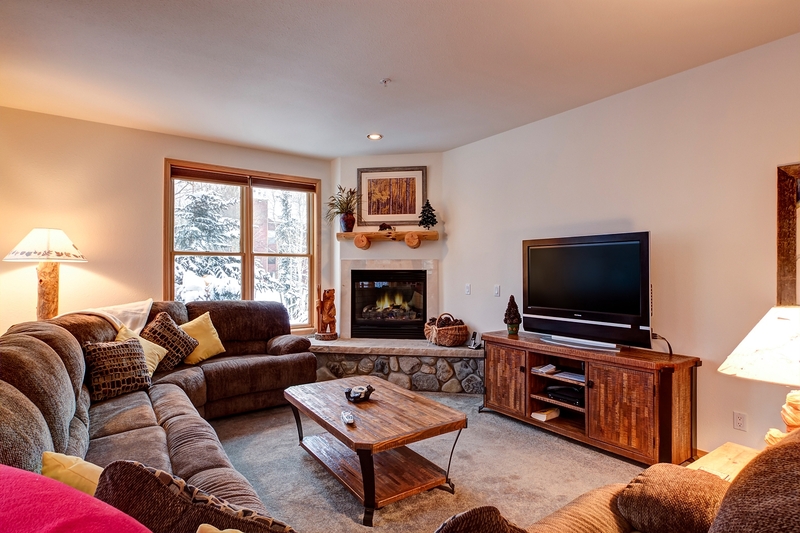 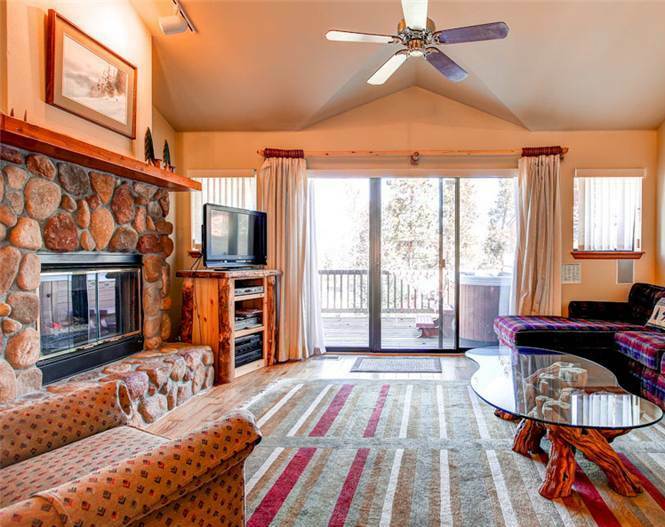 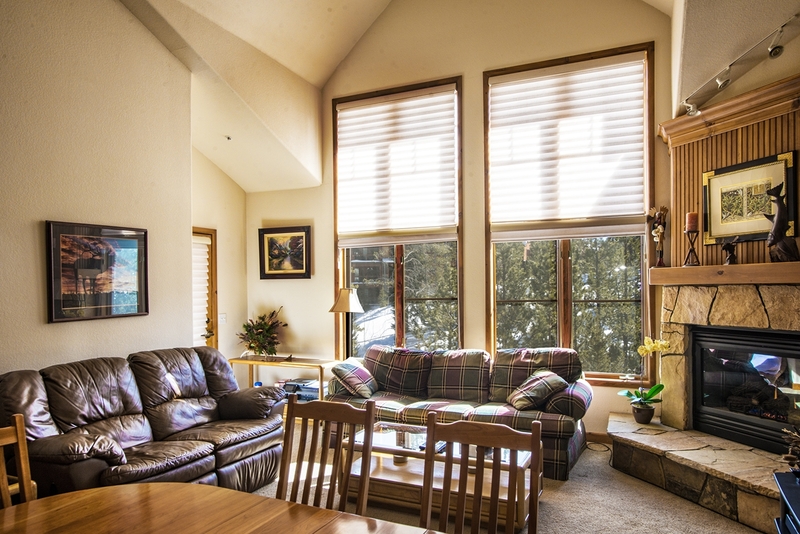 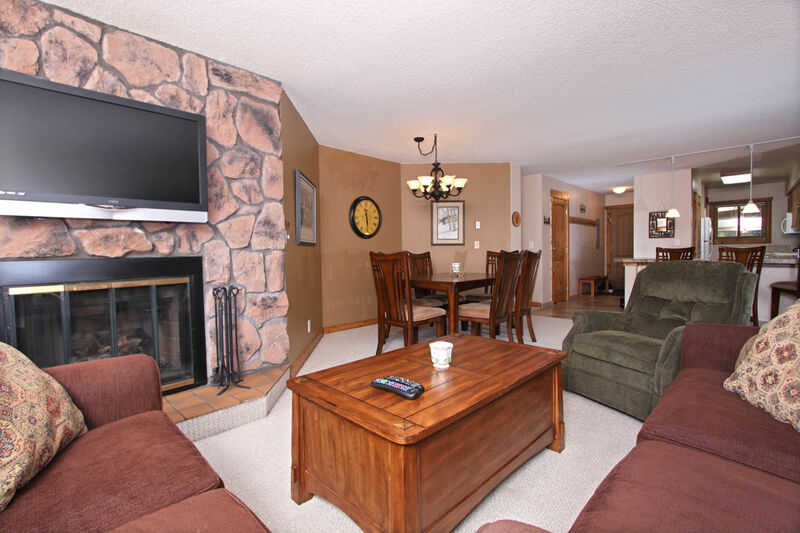 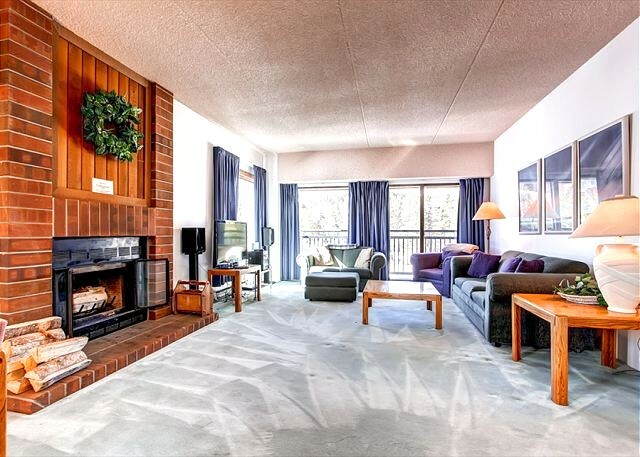 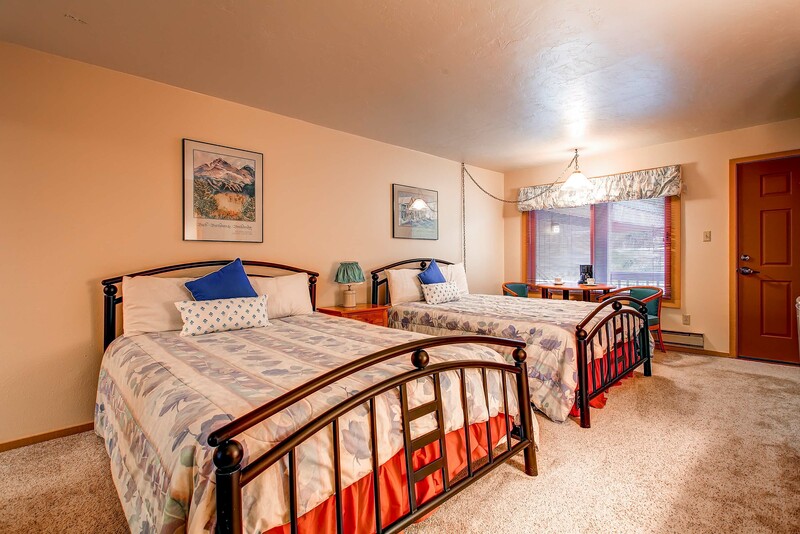 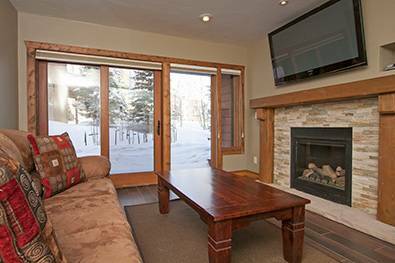 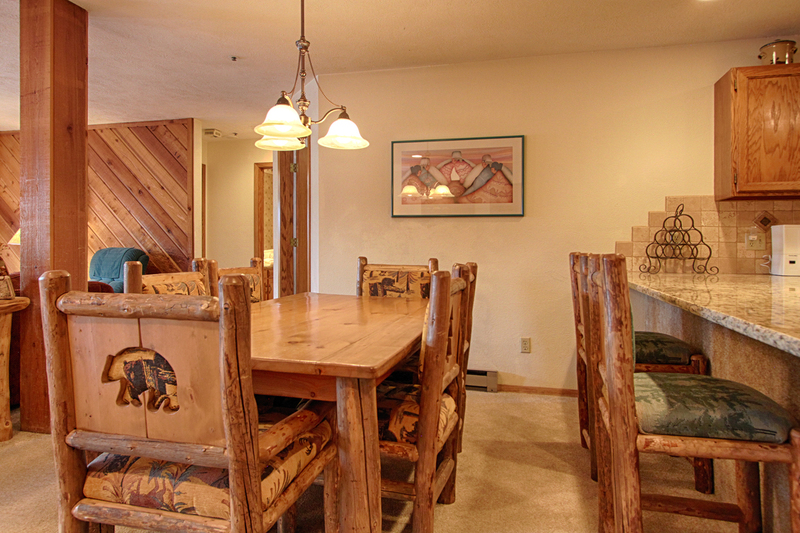 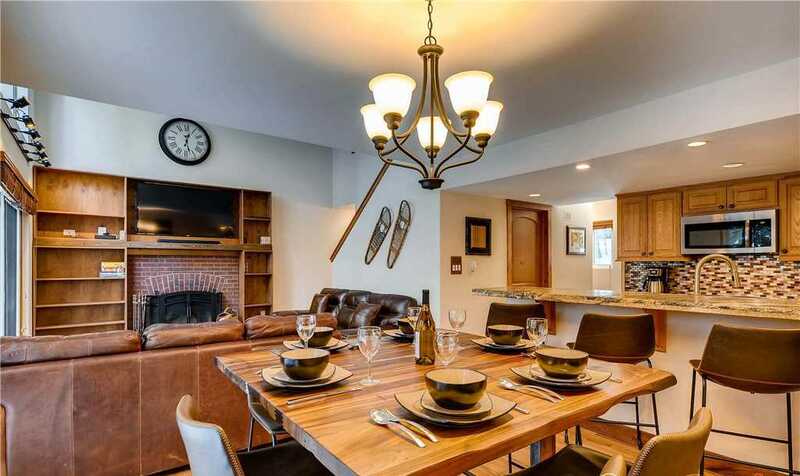 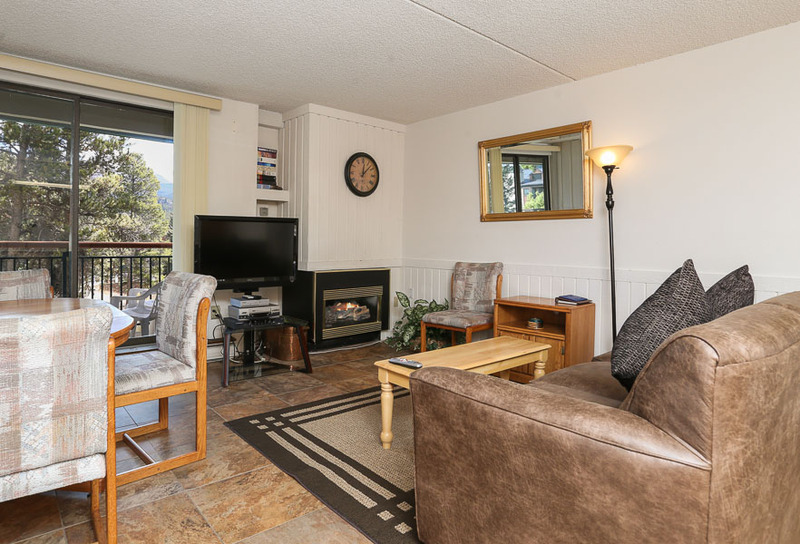 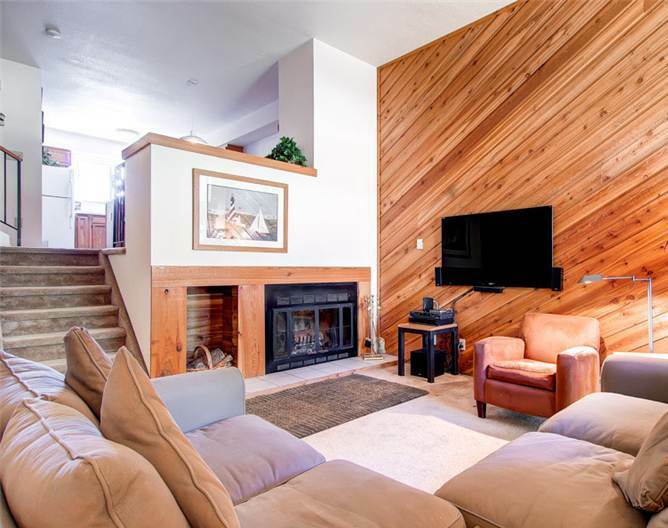 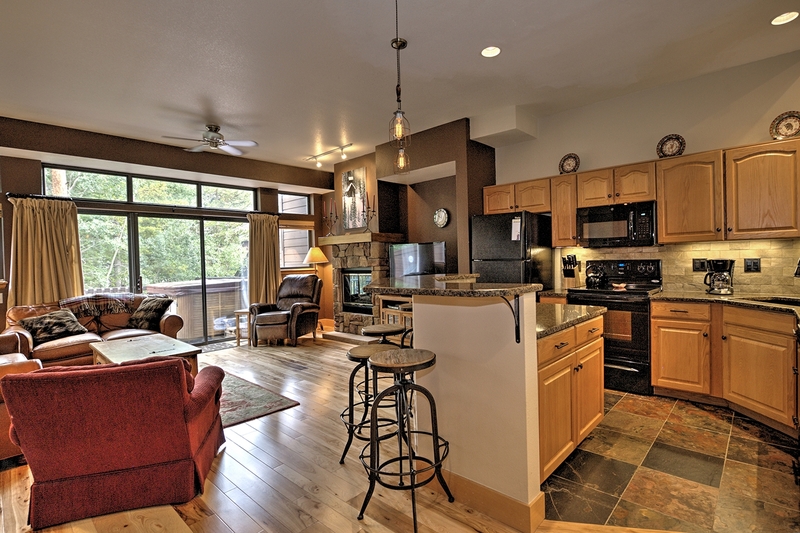 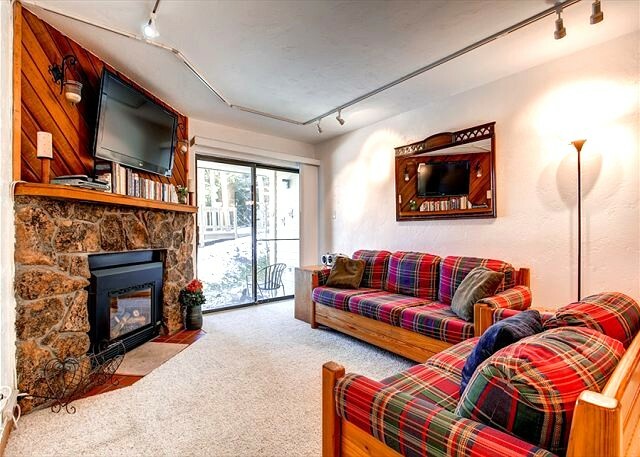 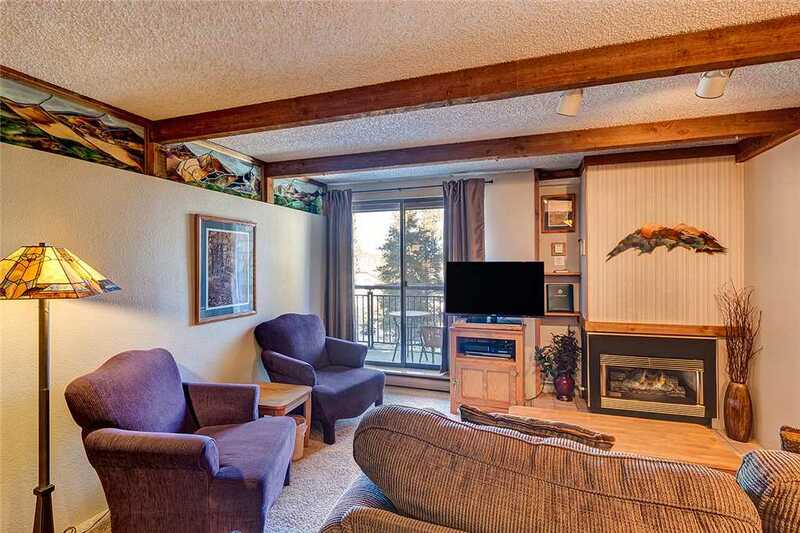 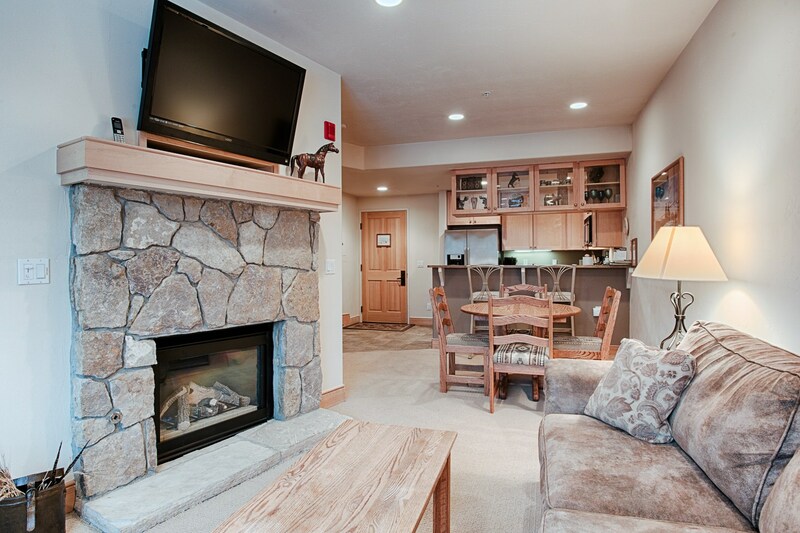 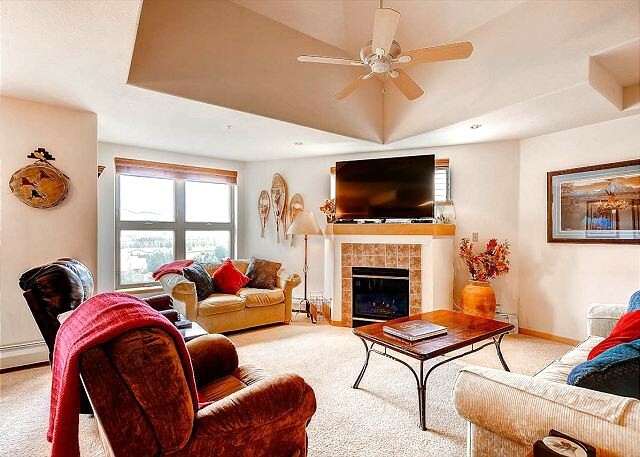 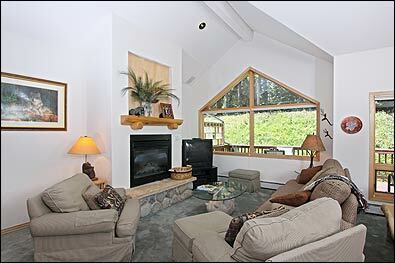 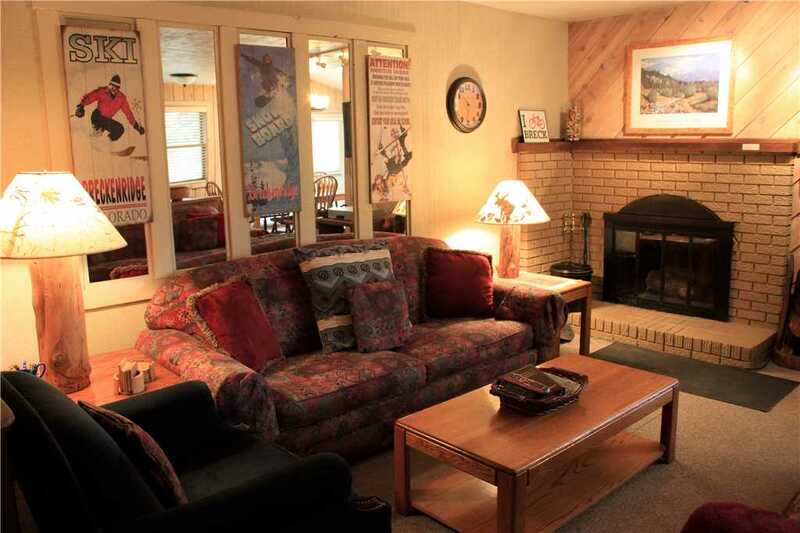 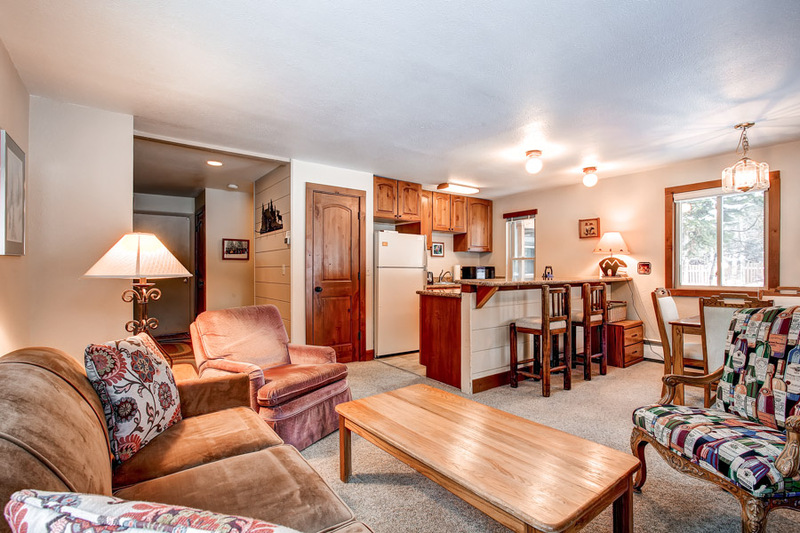 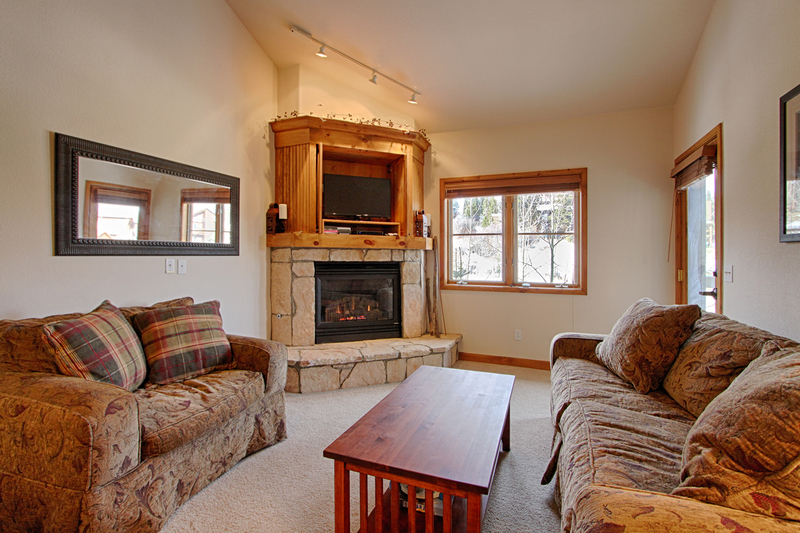 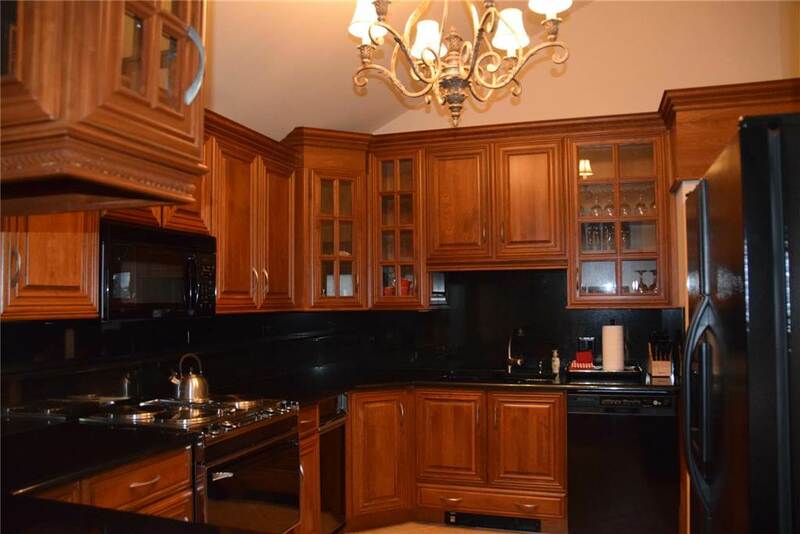 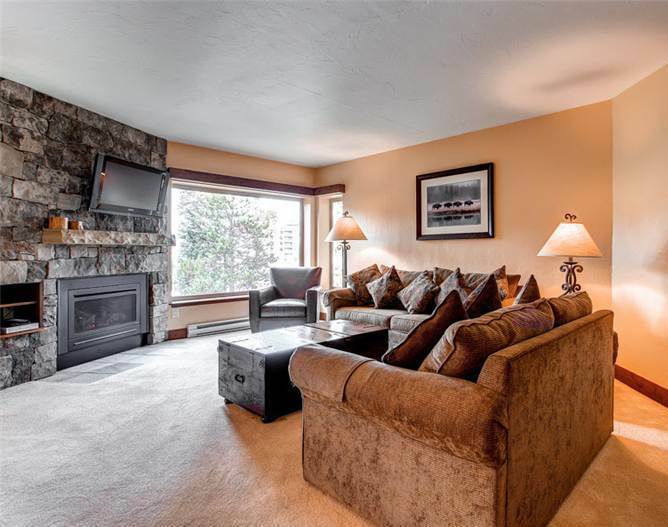 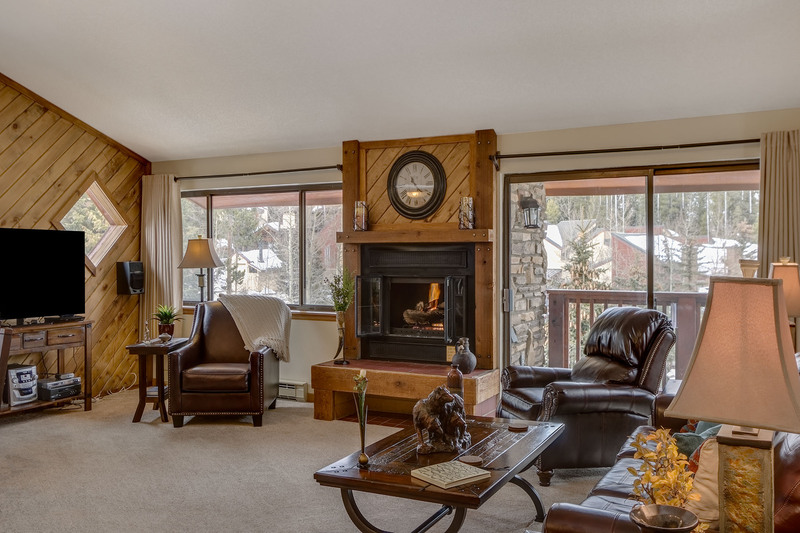 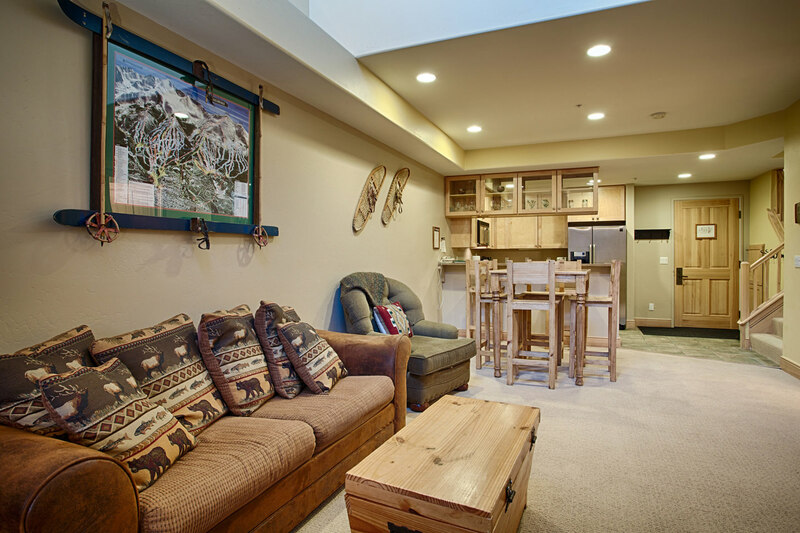 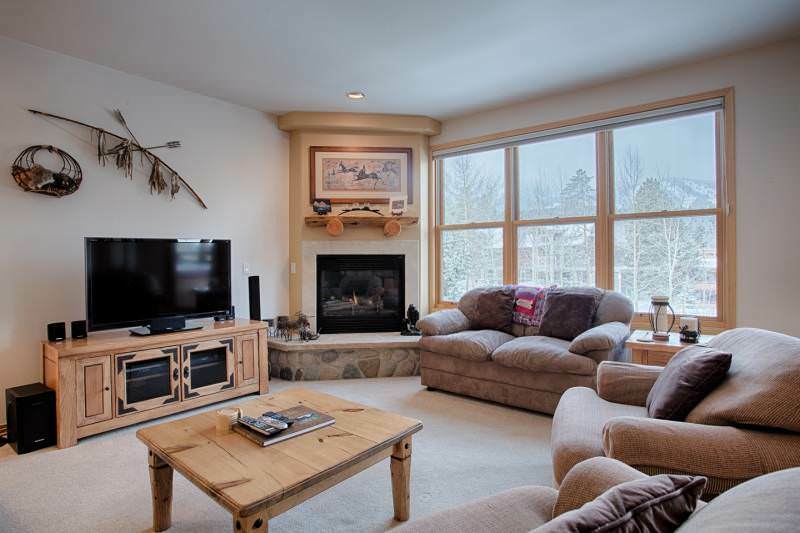 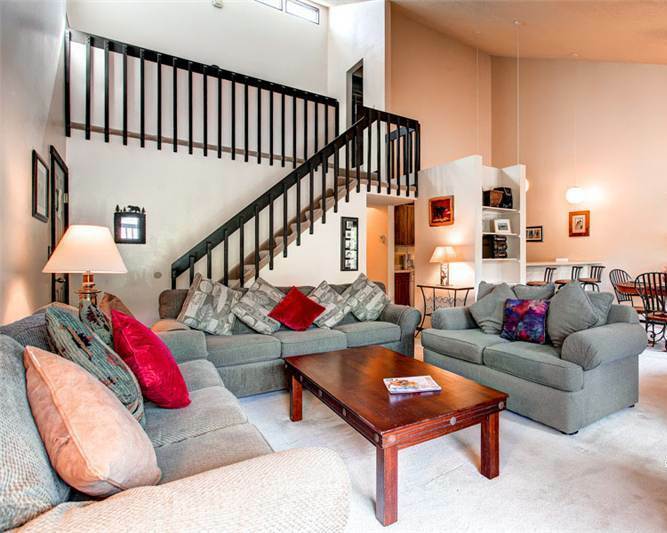 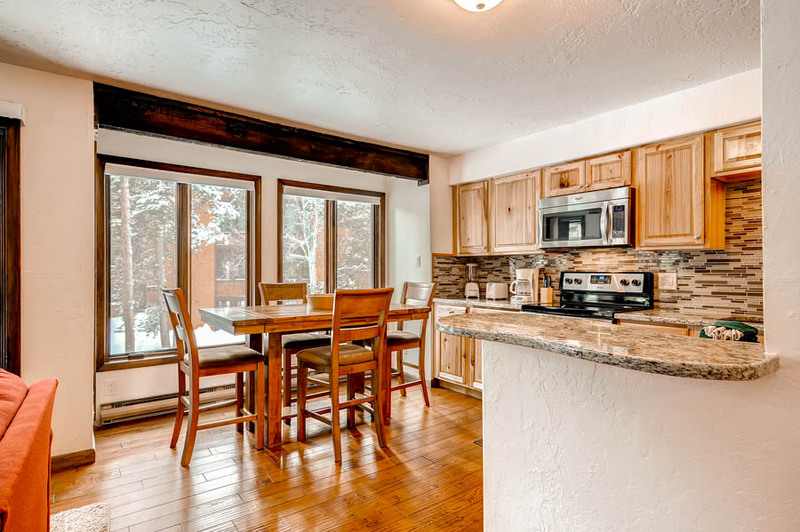 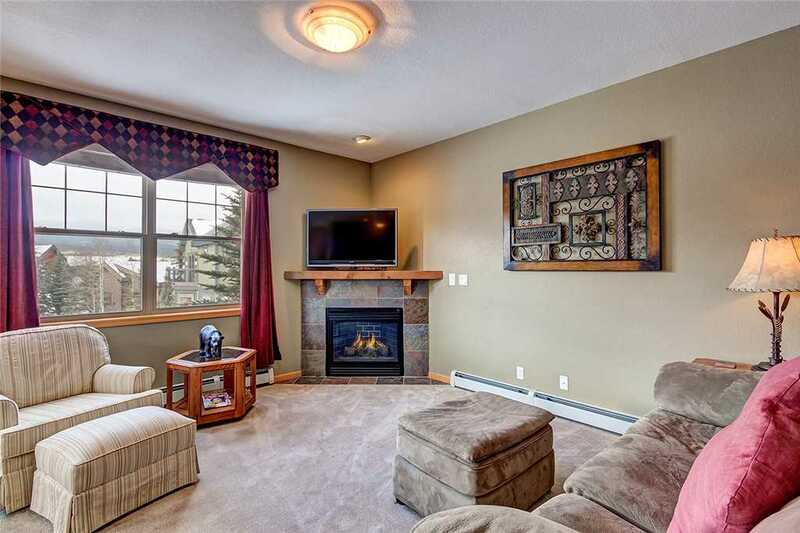 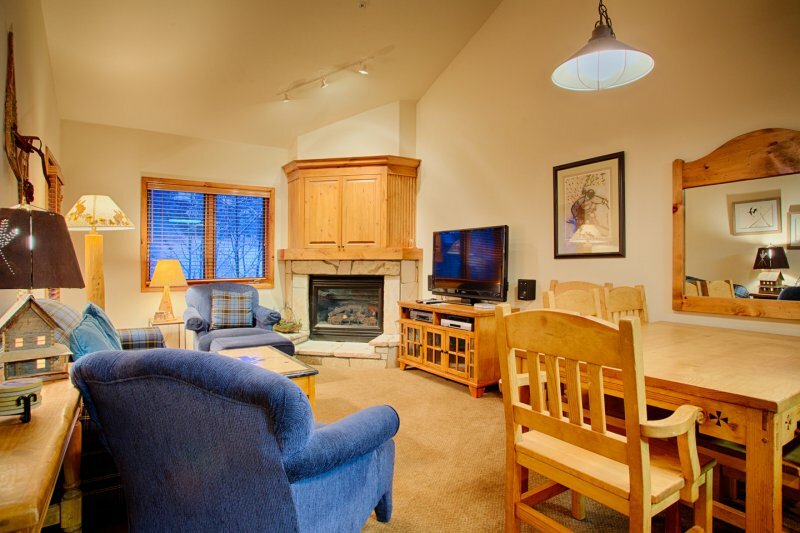 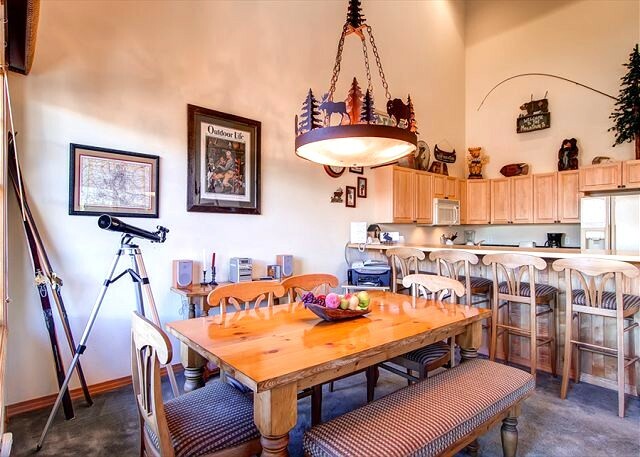 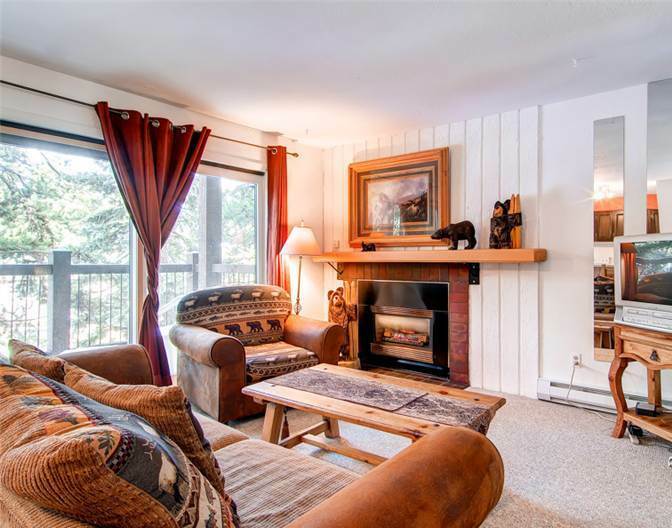 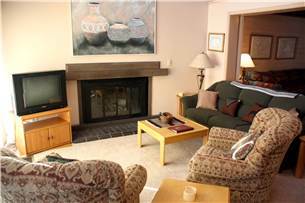 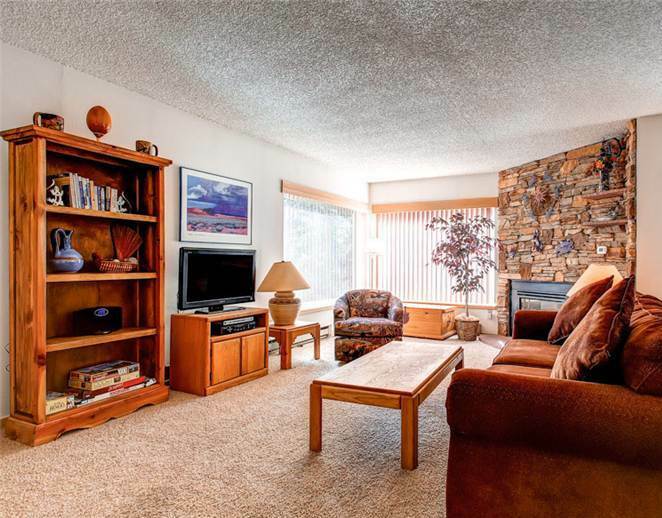 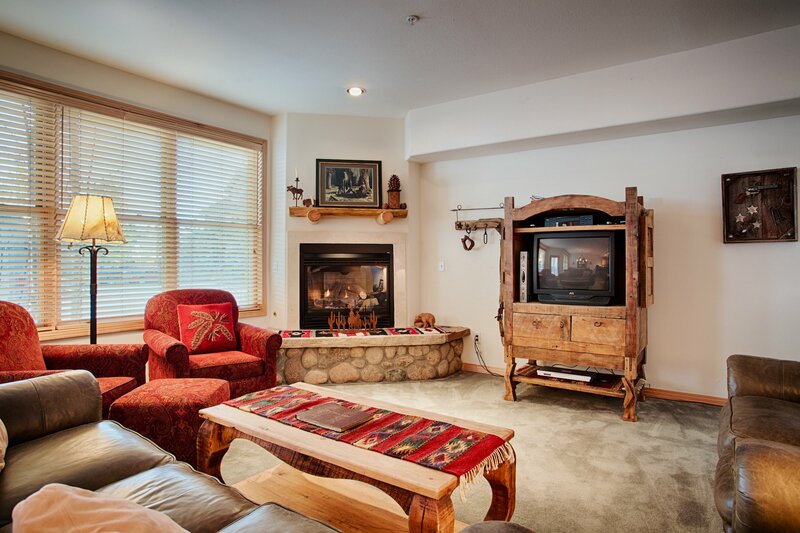 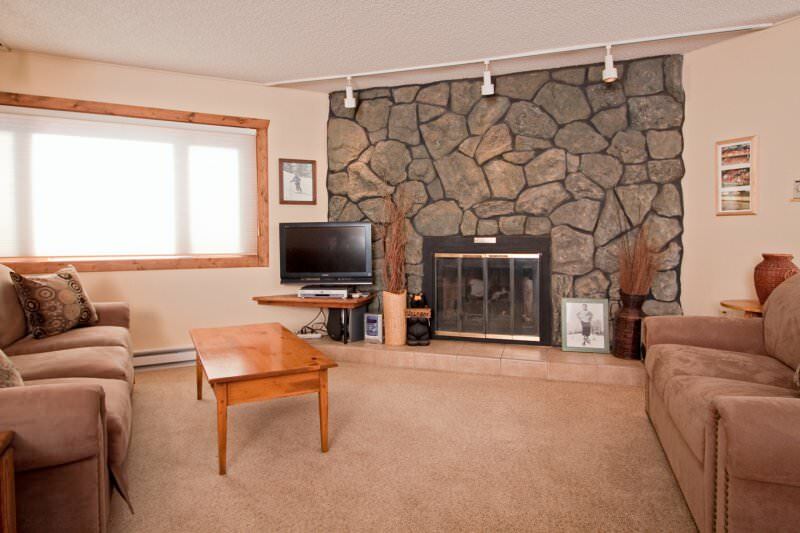 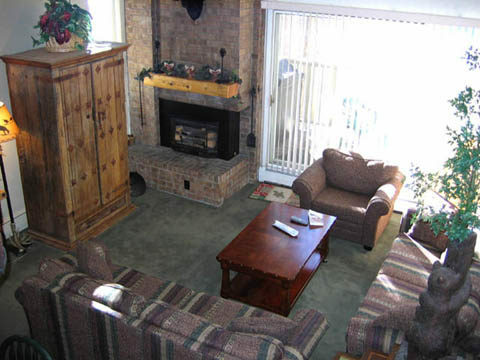 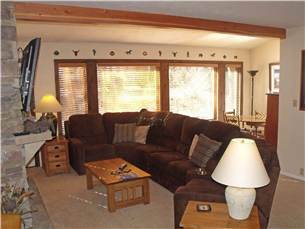 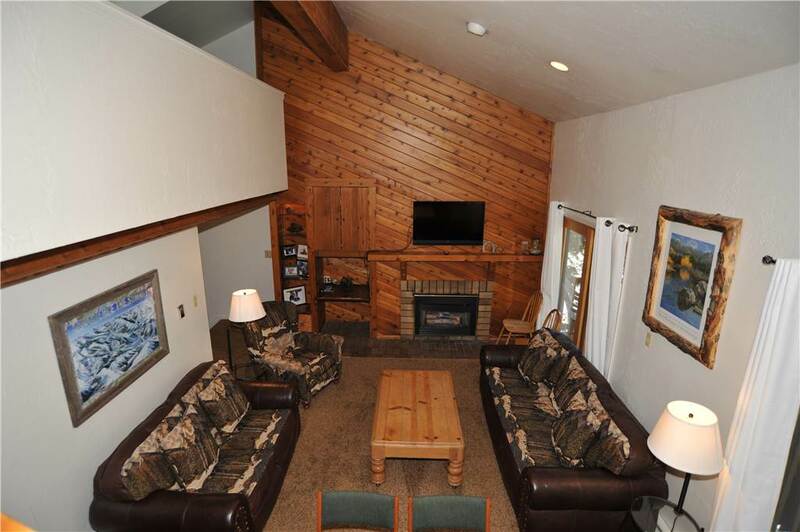 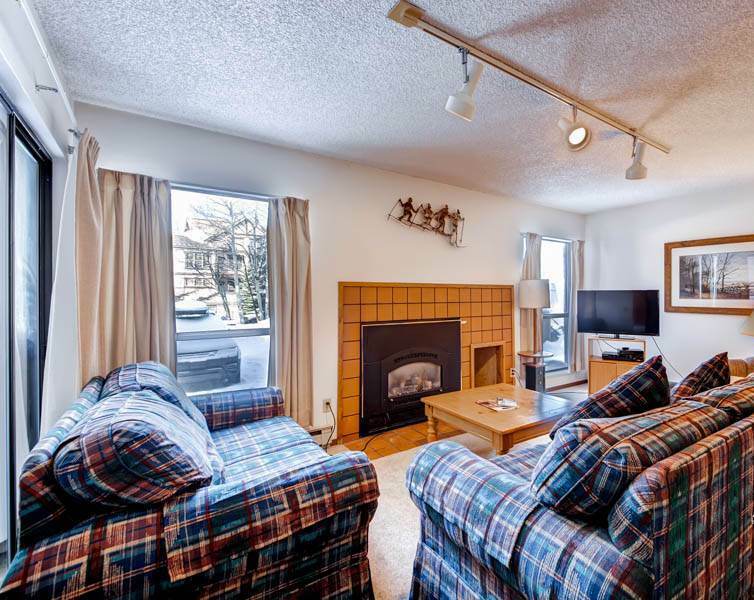 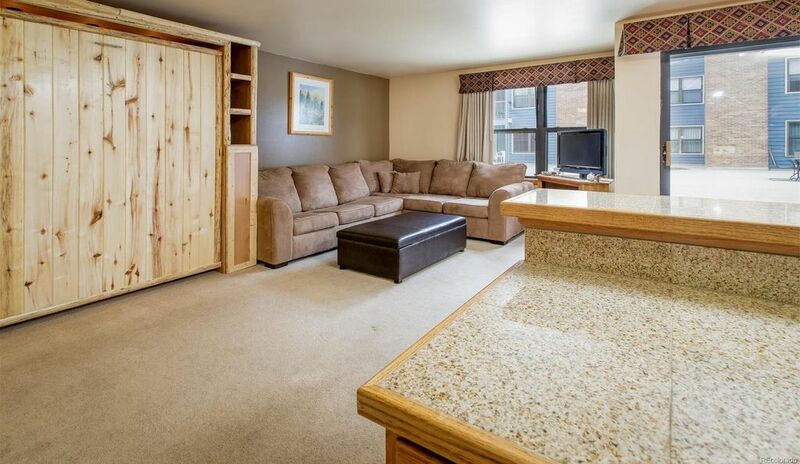 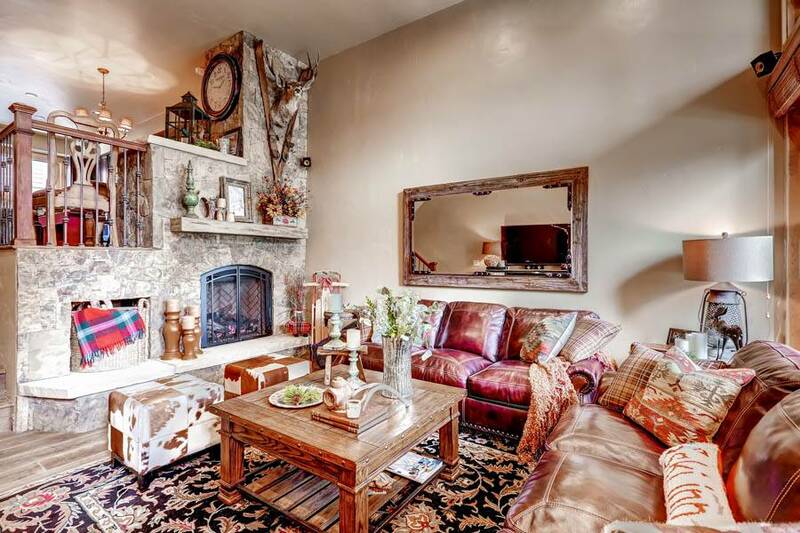 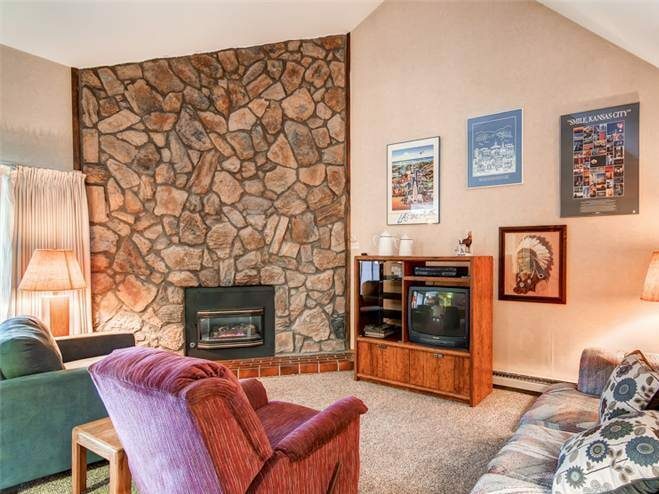 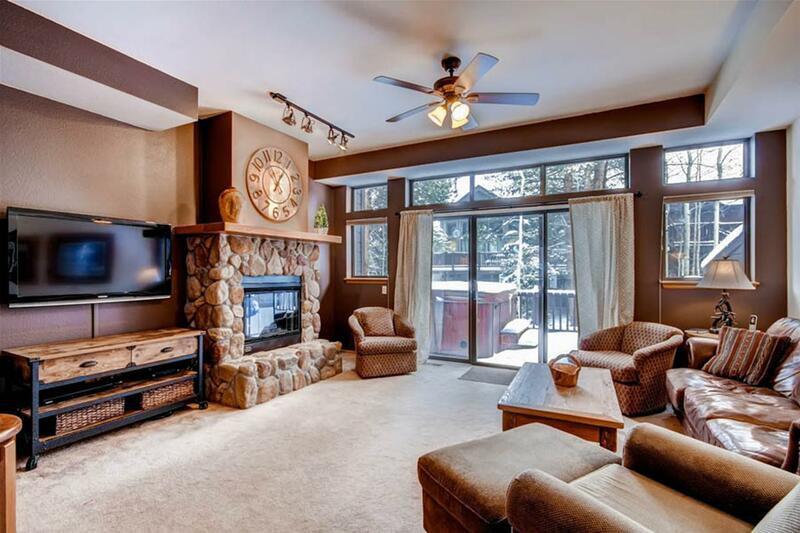 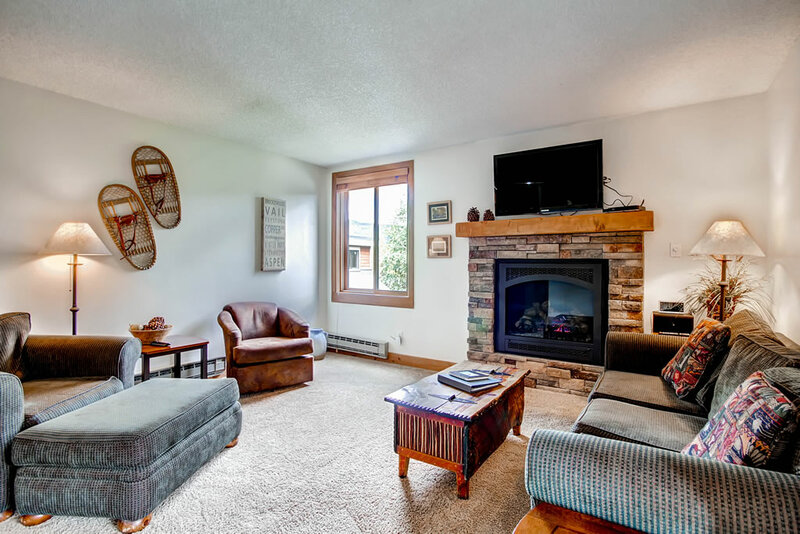 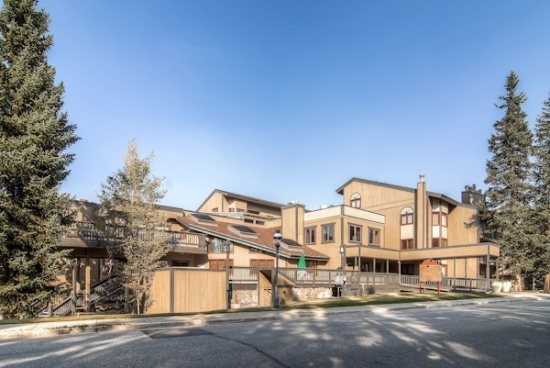 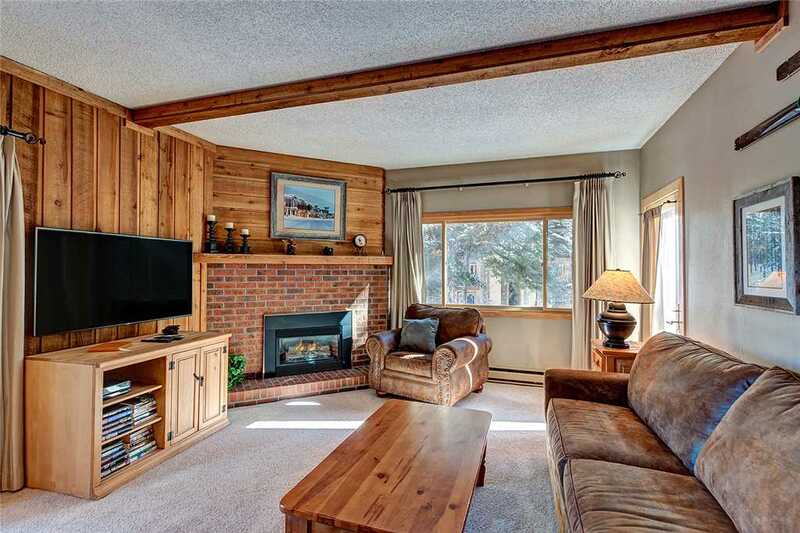 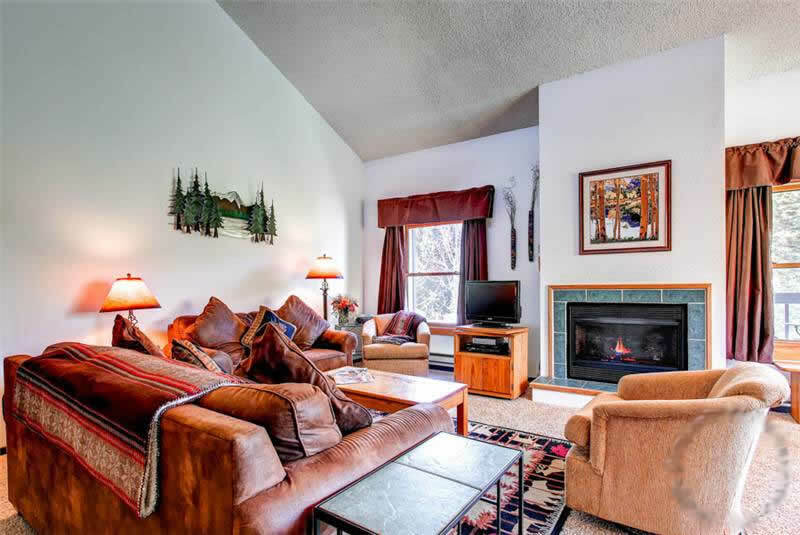 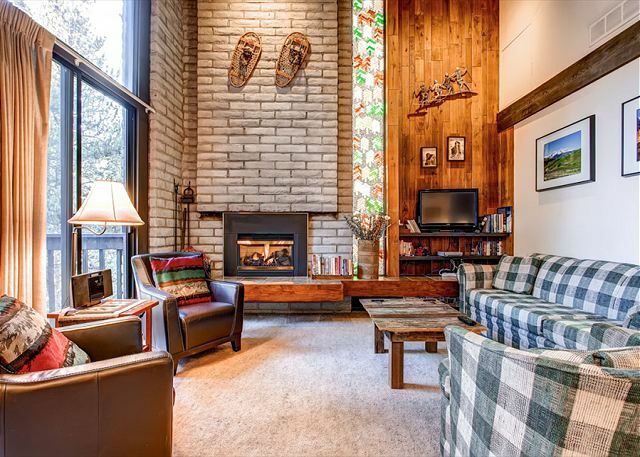 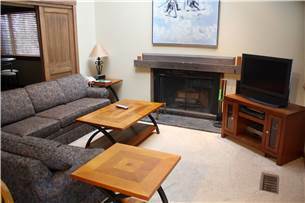 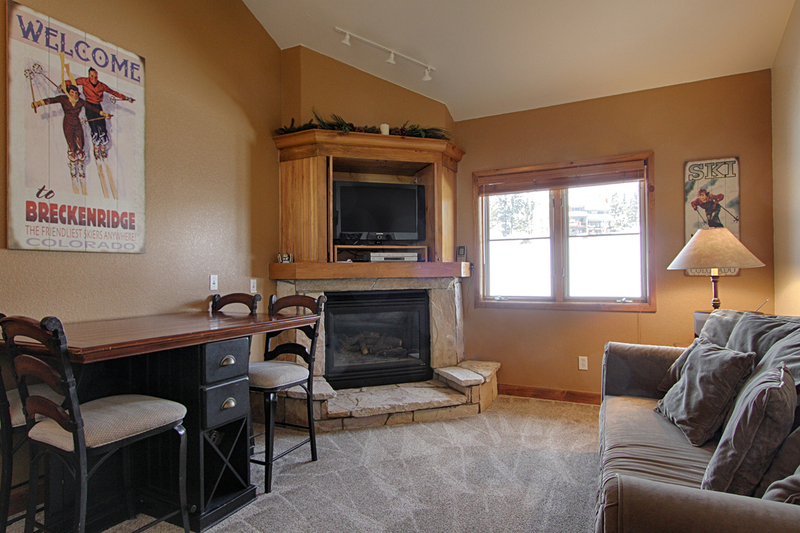 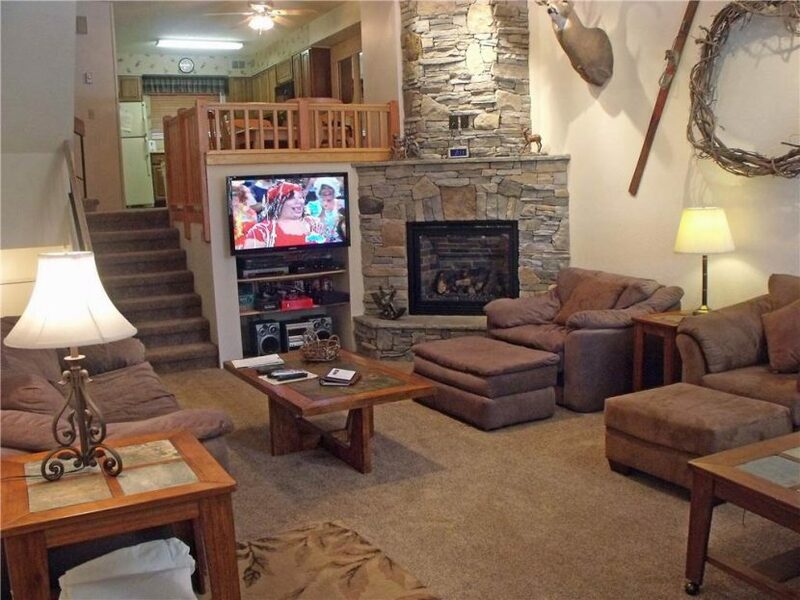 Condo includes outside locking ski closet. 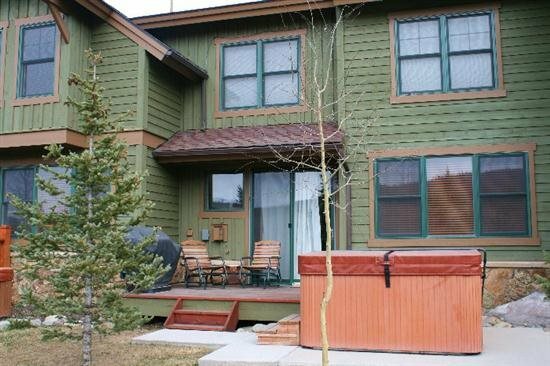 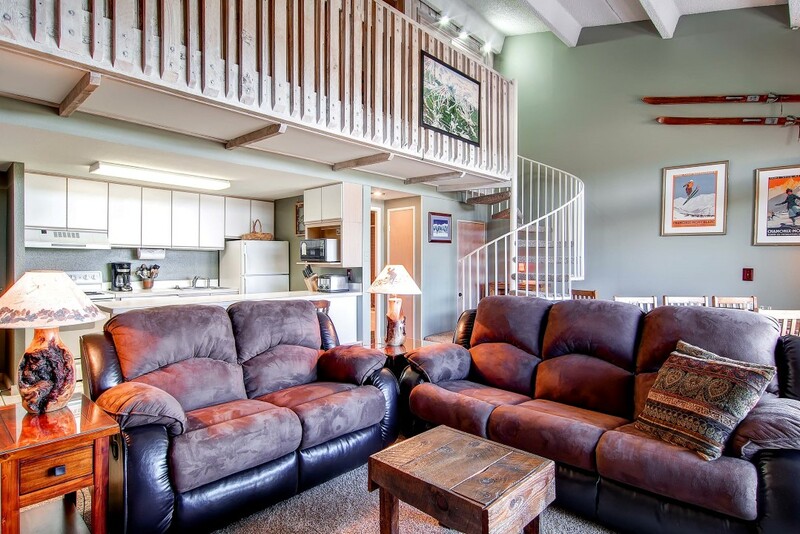 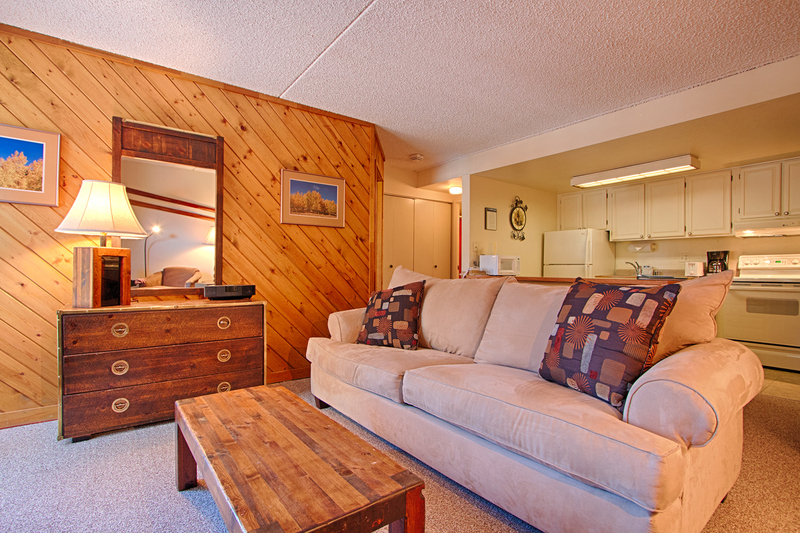 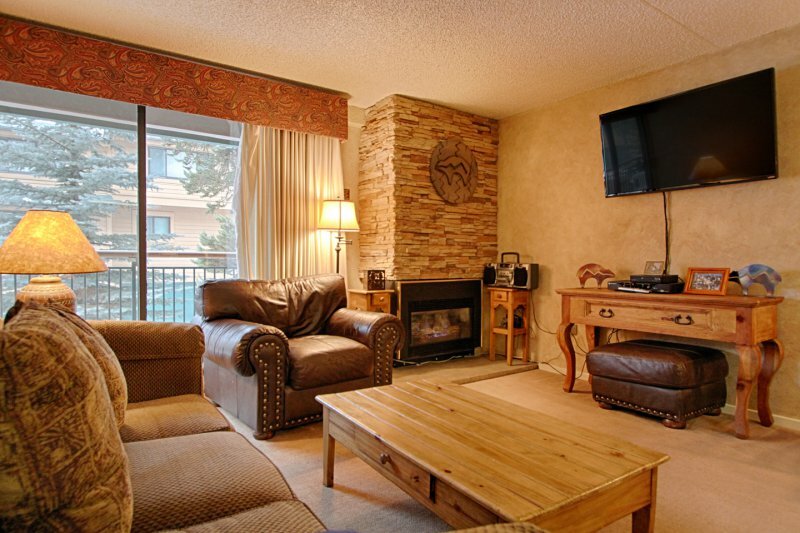 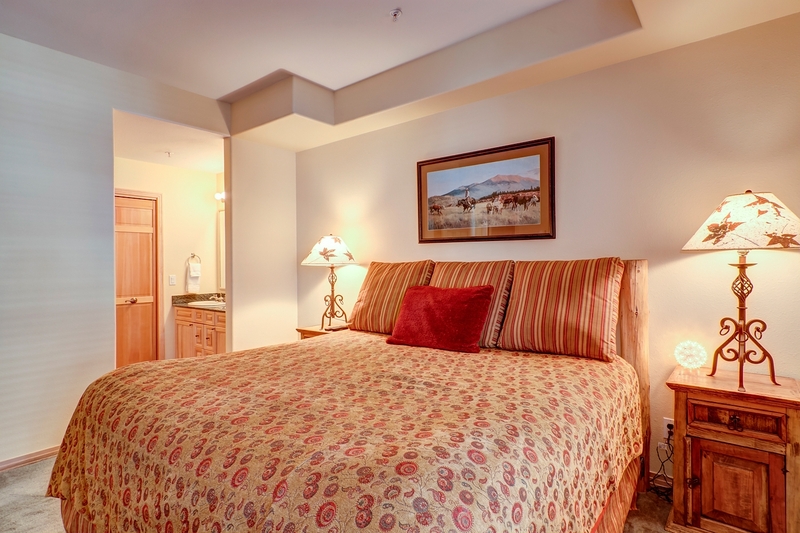 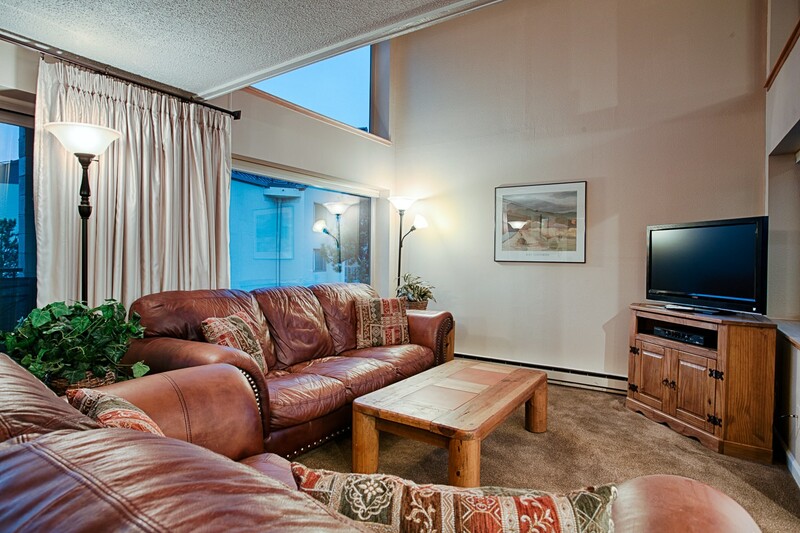 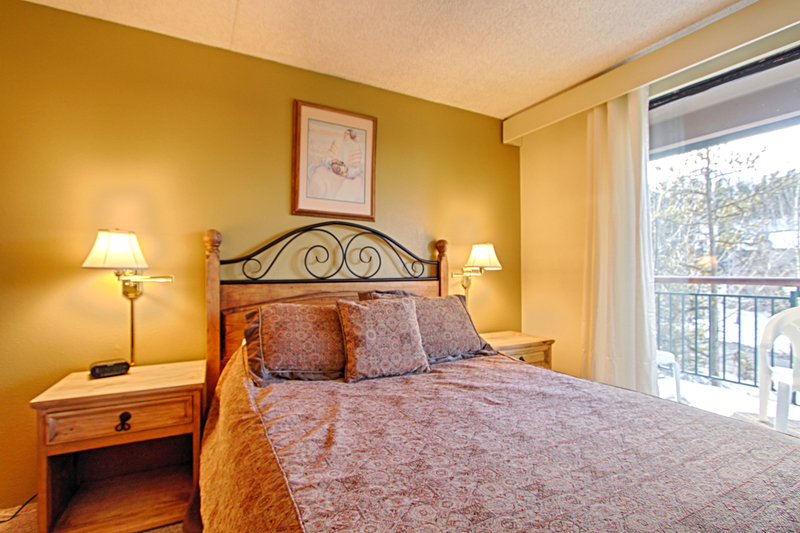 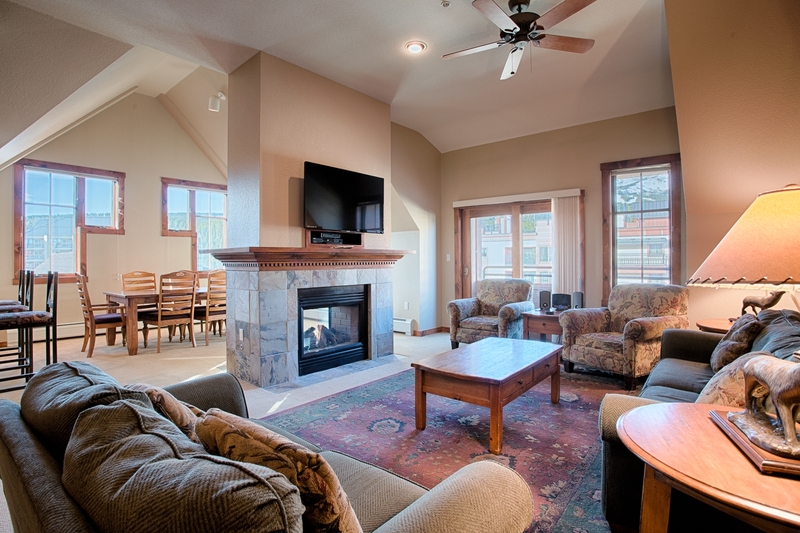 Relax in the Hot tubs and heated indoor/outdoor swimming pool. 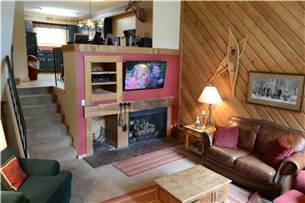 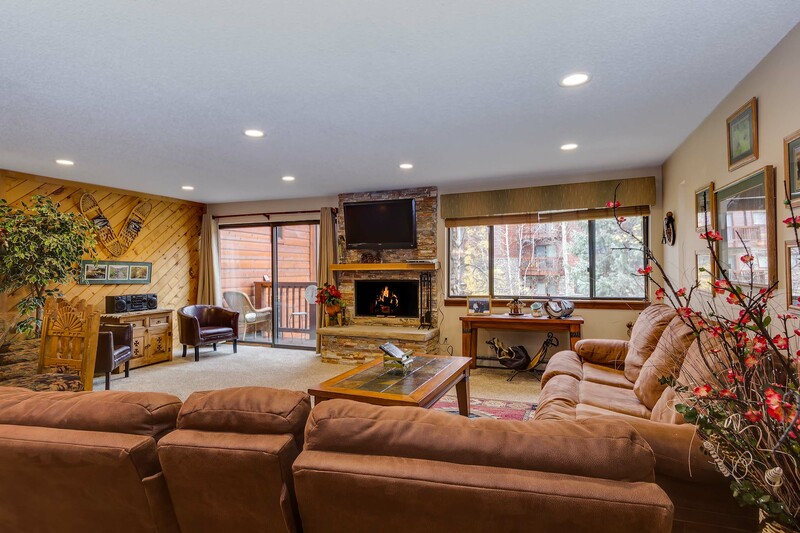 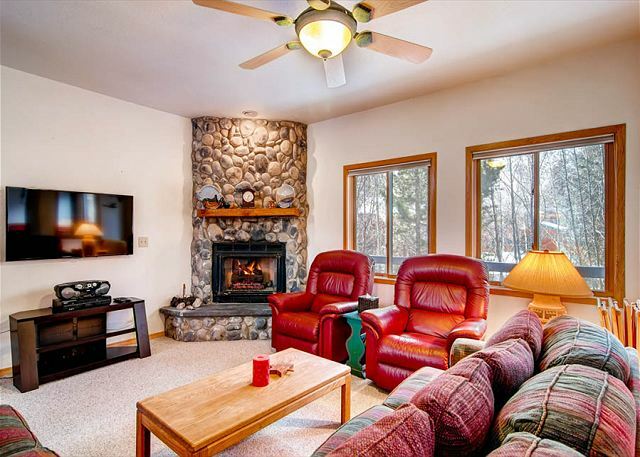 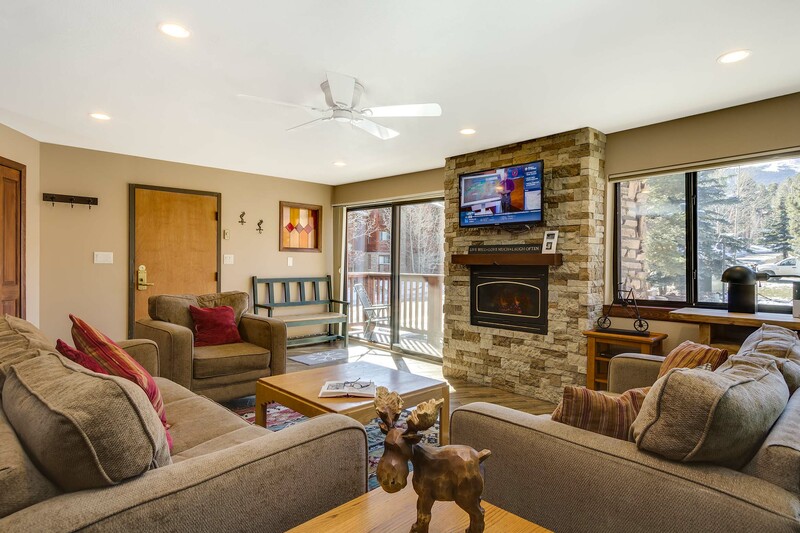 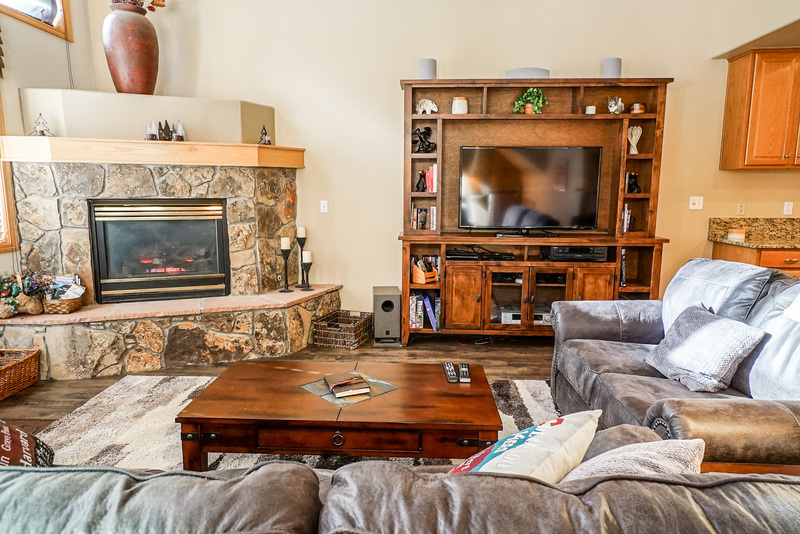 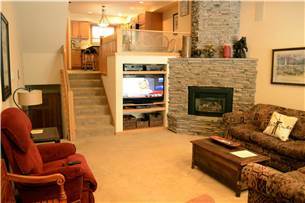 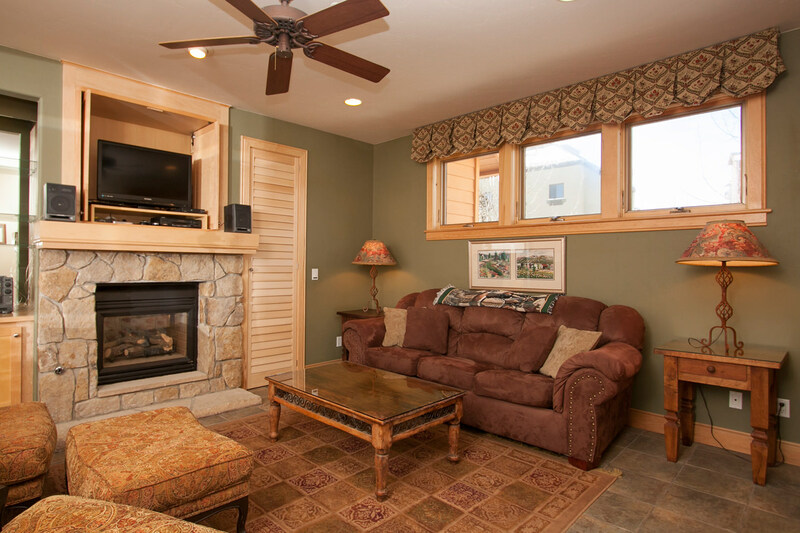 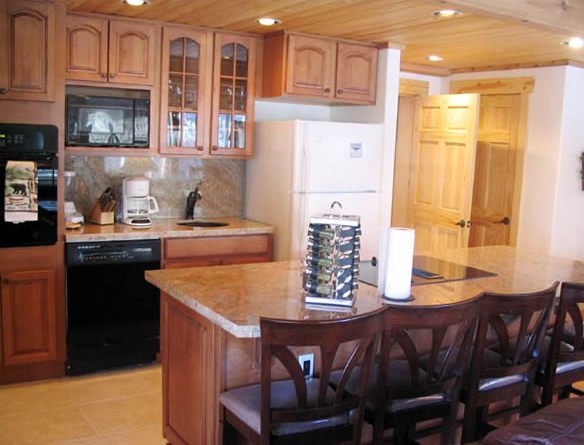 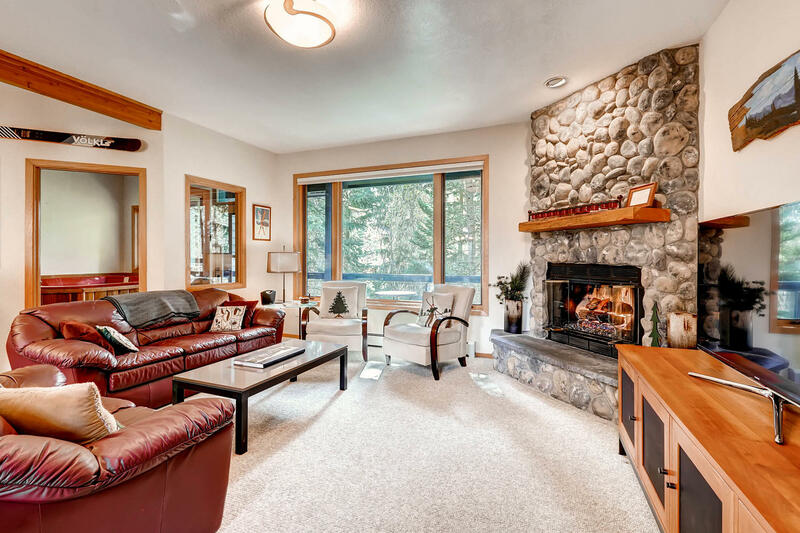 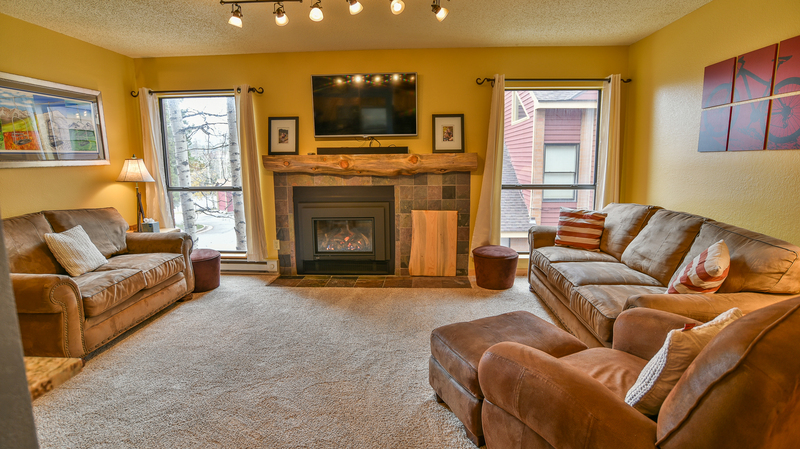 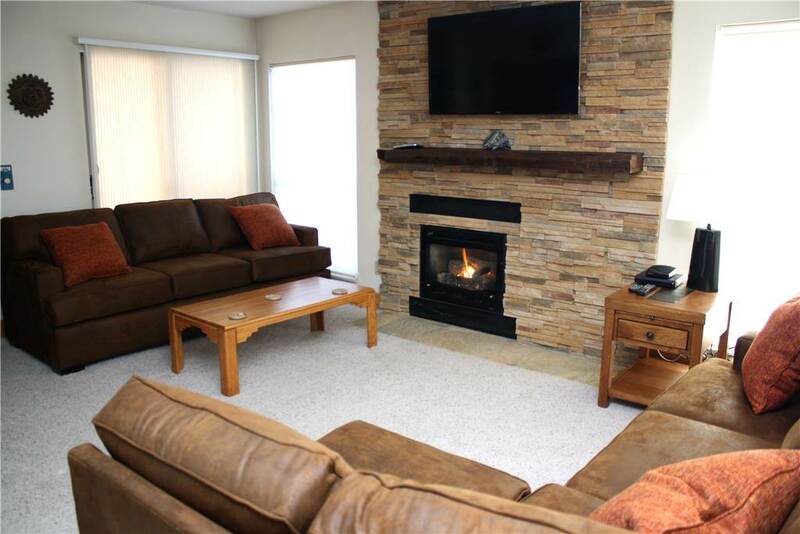 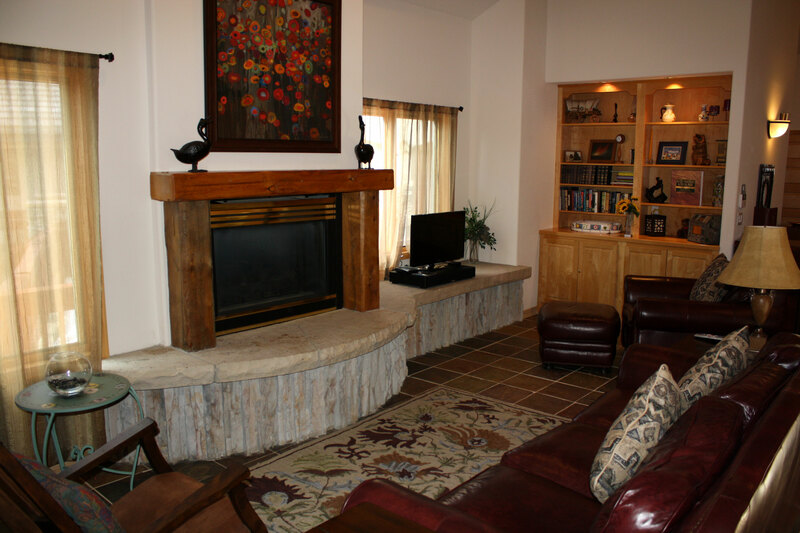 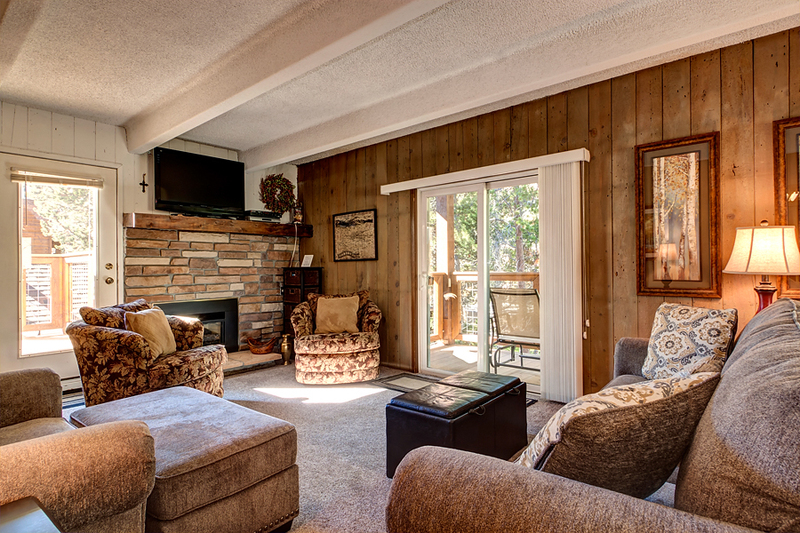 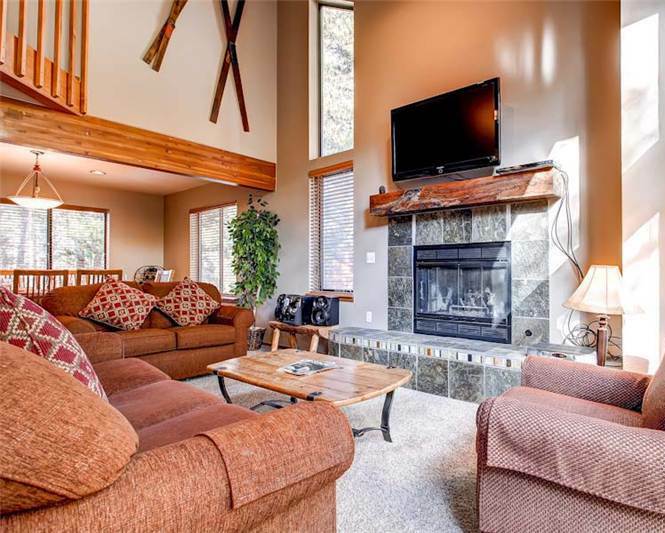 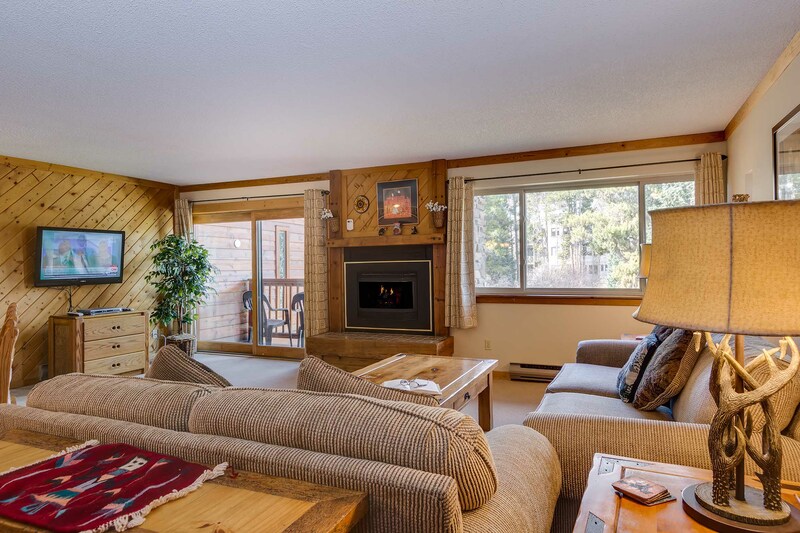 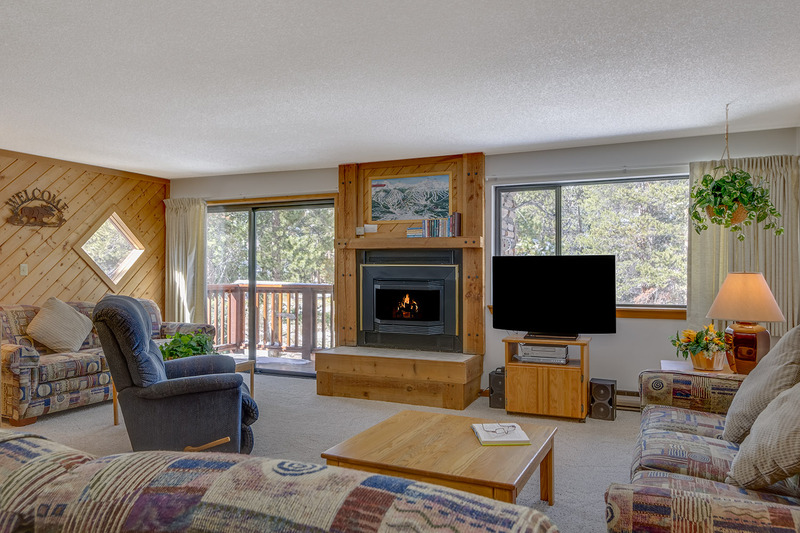 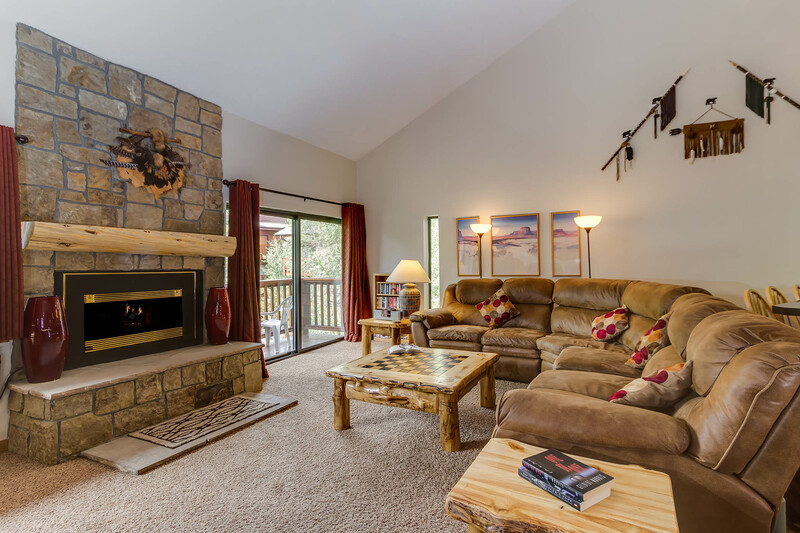 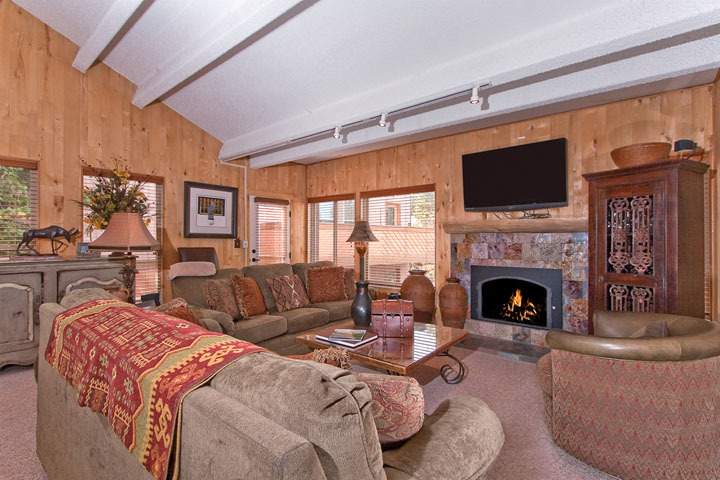 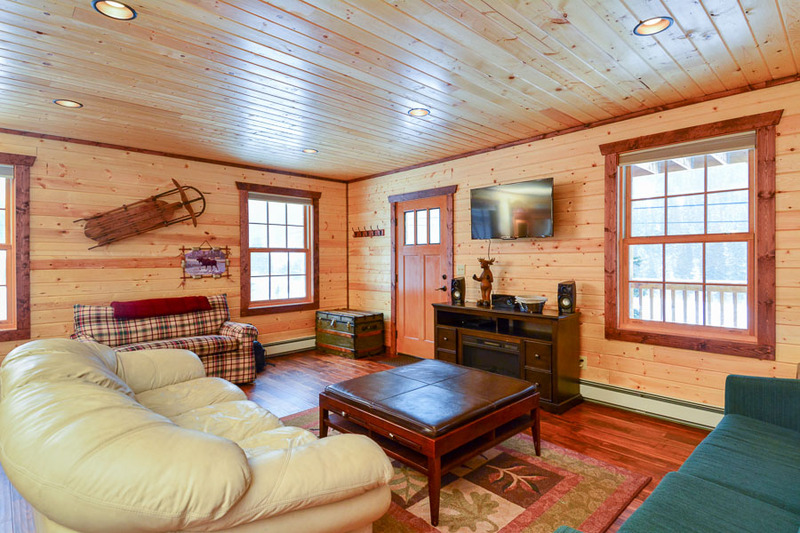 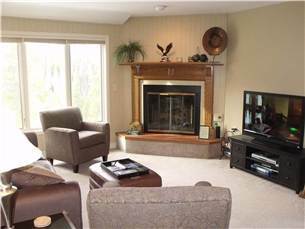 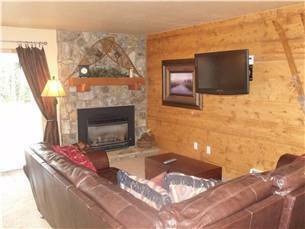 In-line gas grill on deck, front loadwasher and dryer, 42′ and 32′ HD LCD Flat screen, two DVD/VCR, Gas Fireplace,Stereo and WI-FI .